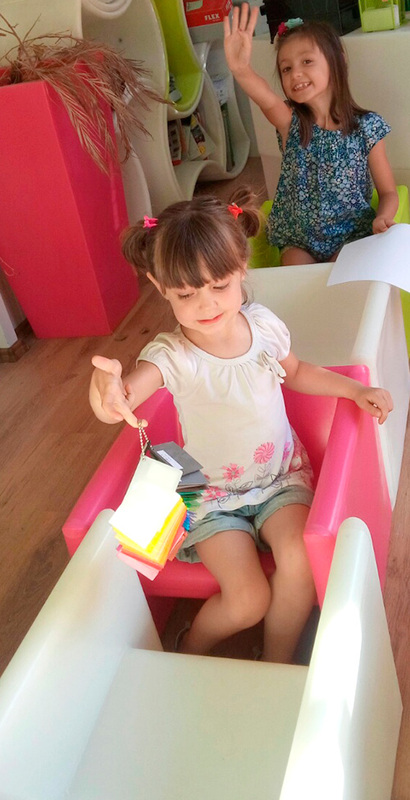 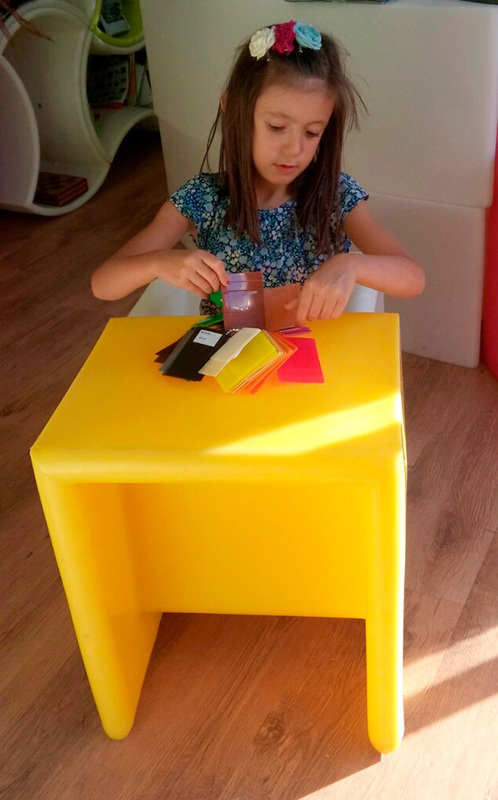 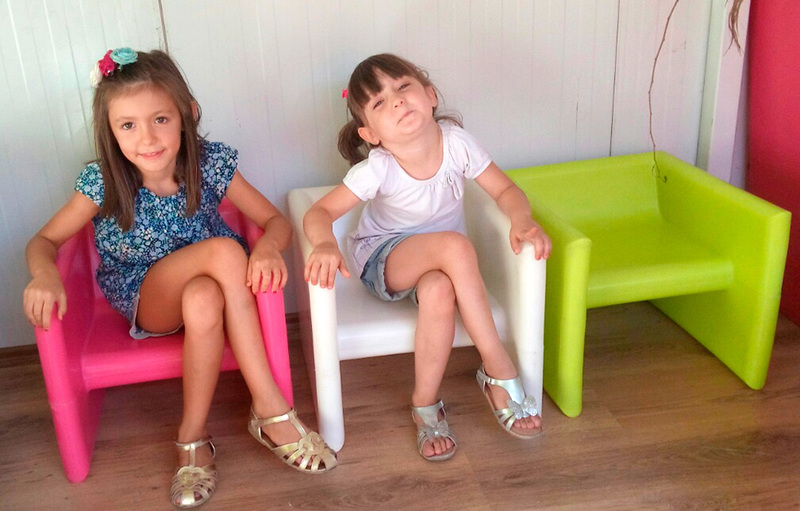 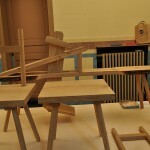 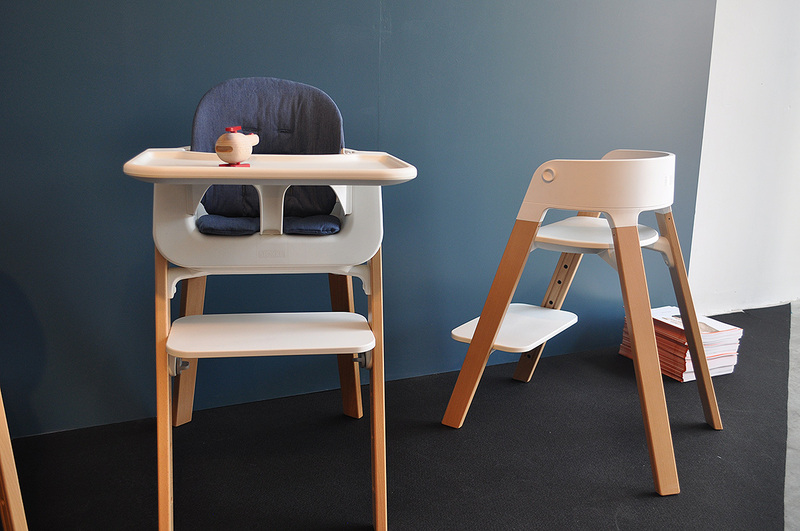 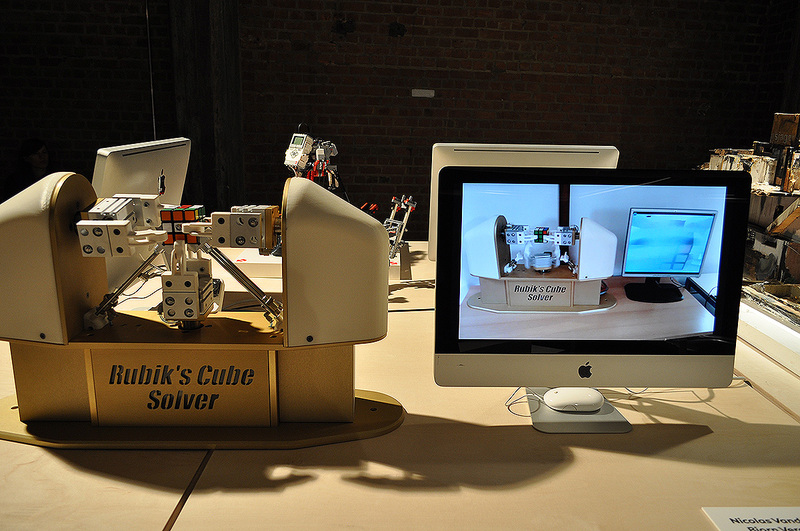 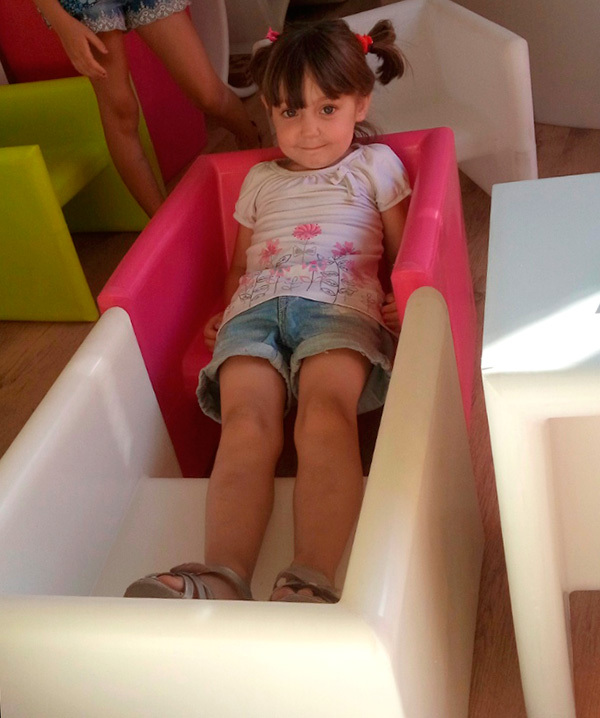 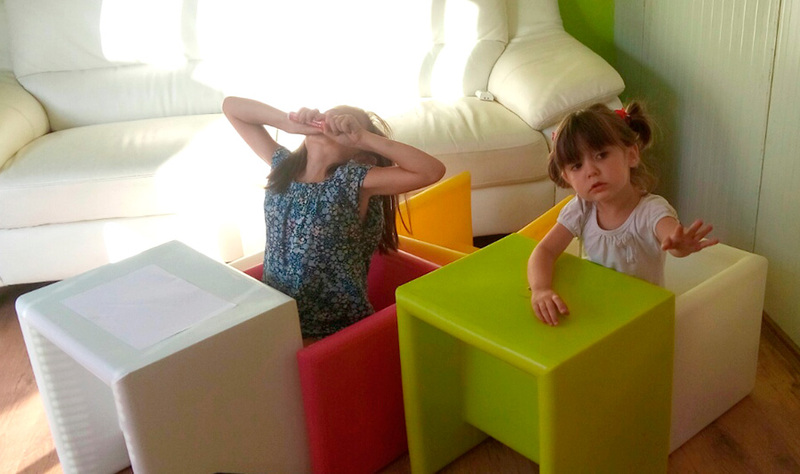 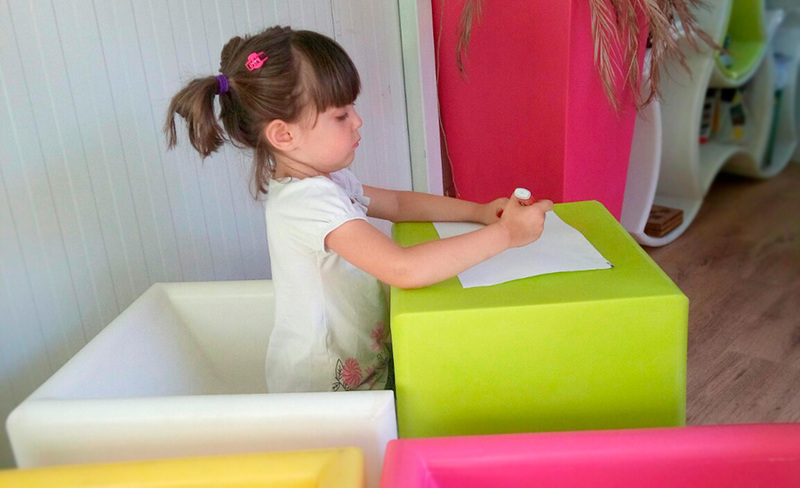 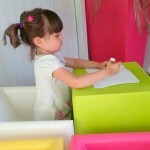 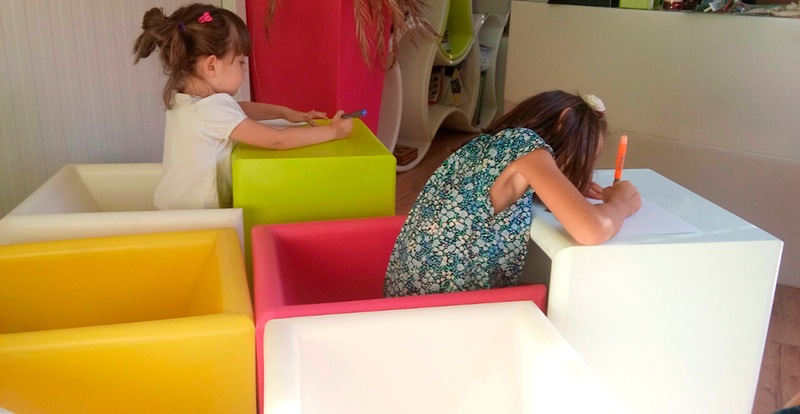 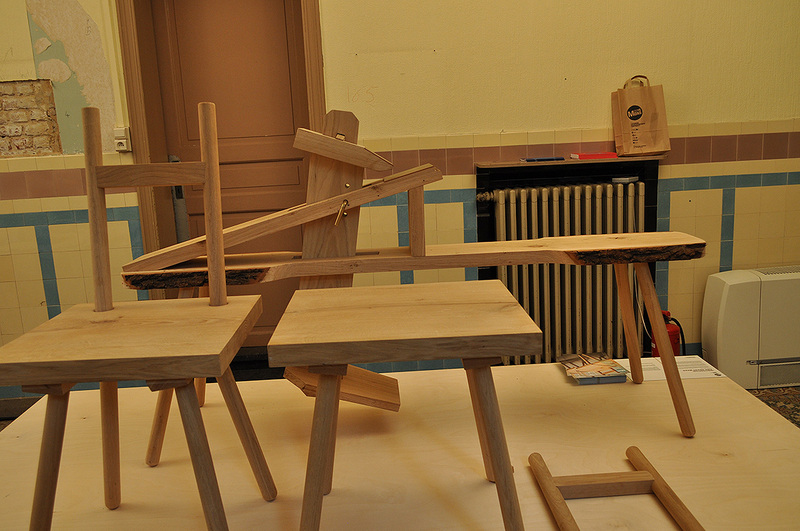 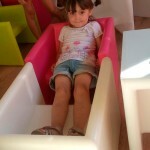 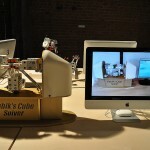 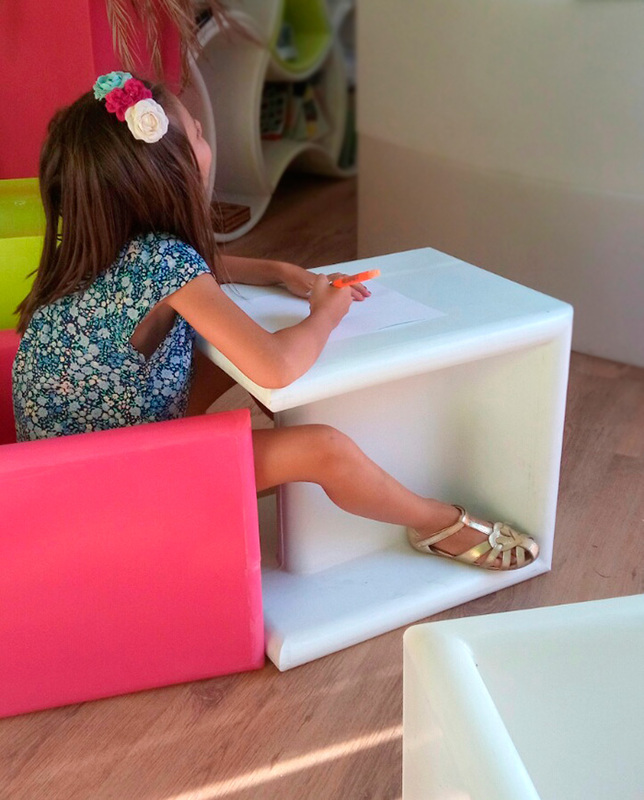 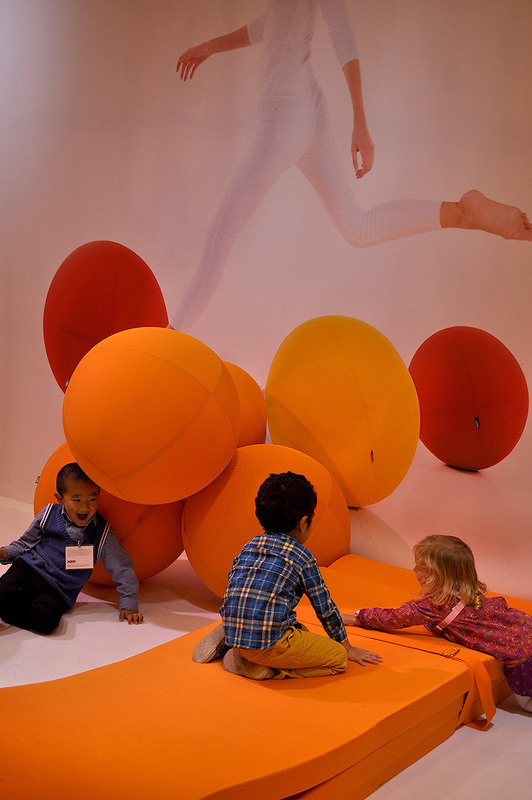 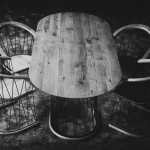 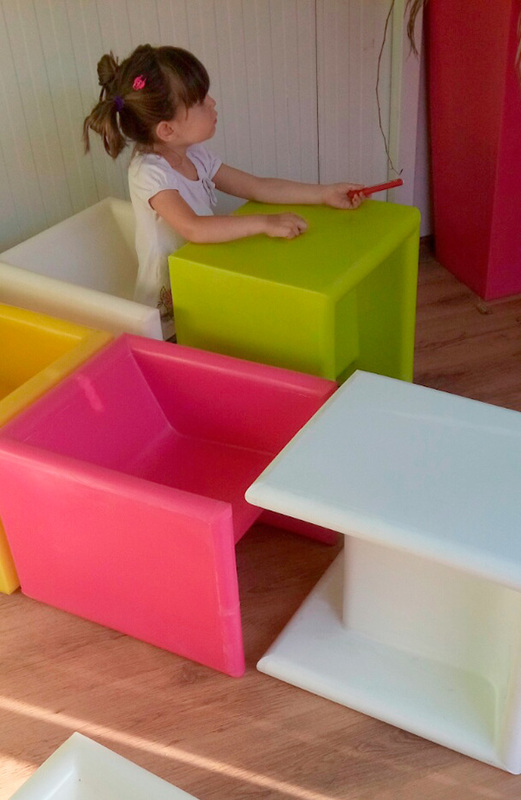 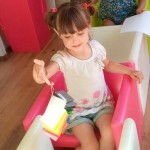 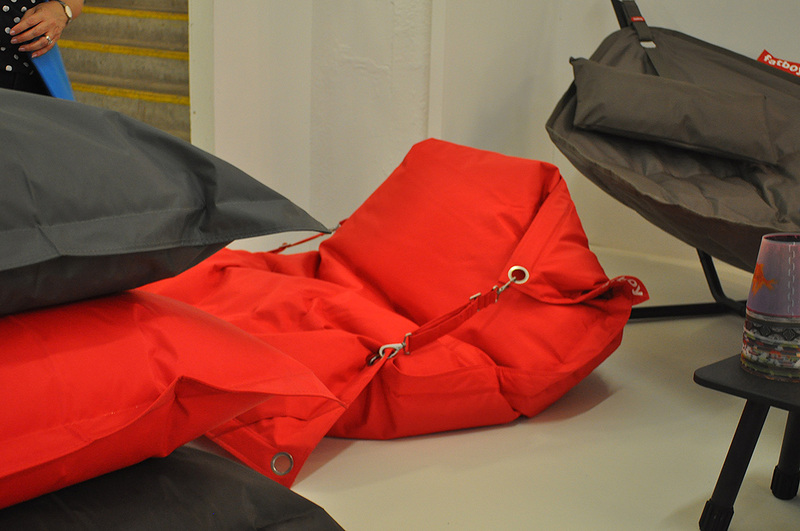 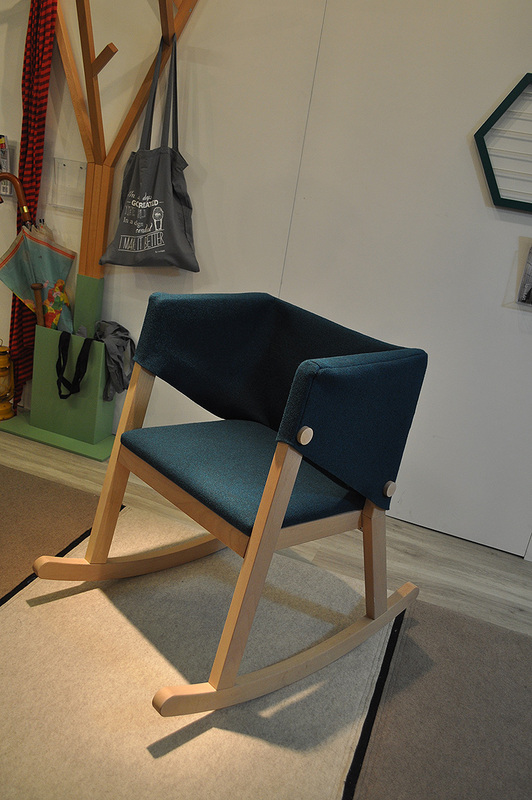 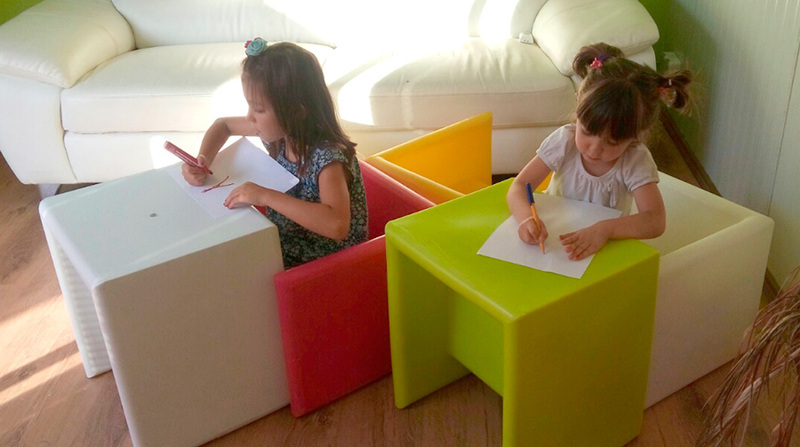 The chair is a part of a system for kids 2-8yrs old – chair, table, two seater and a desk/long table. 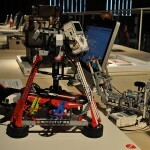 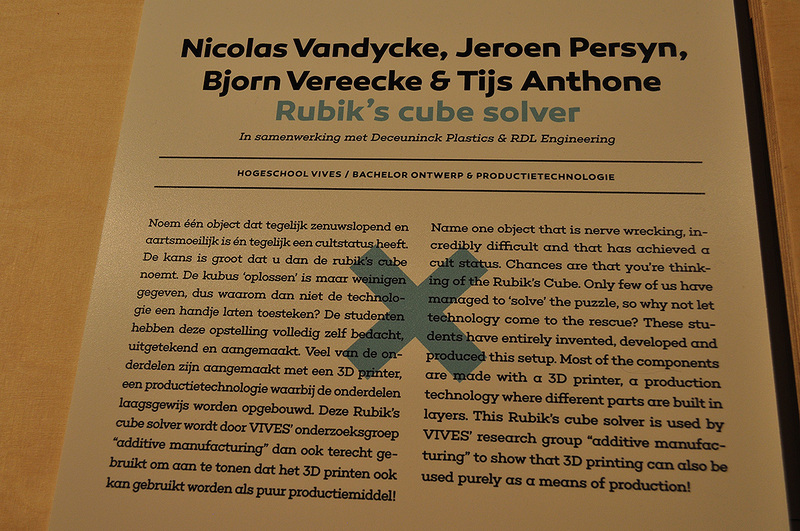 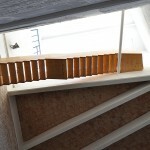 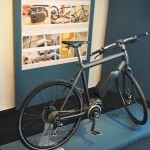 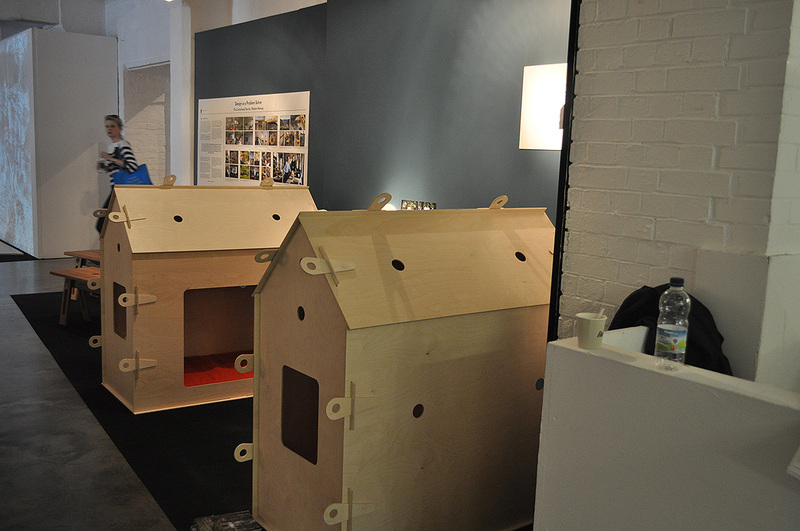 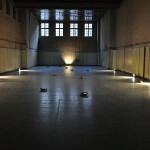 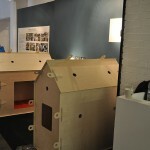 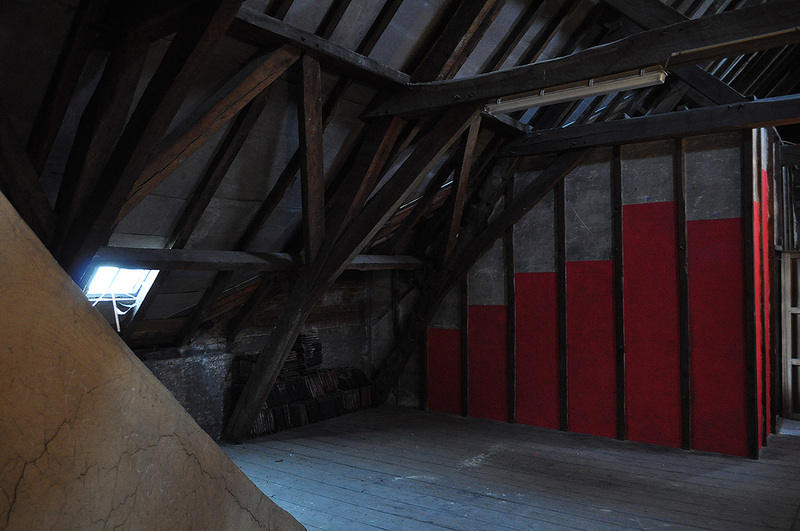 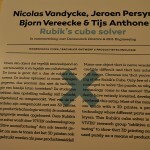 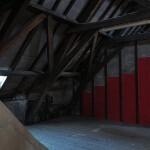 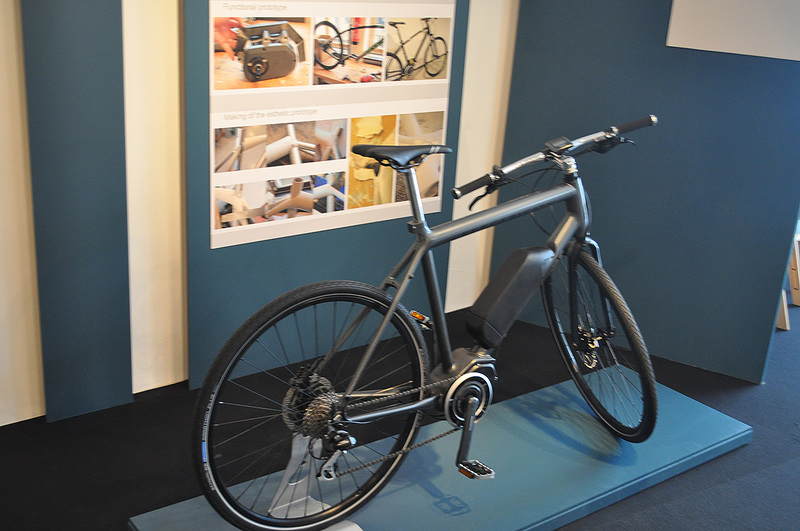 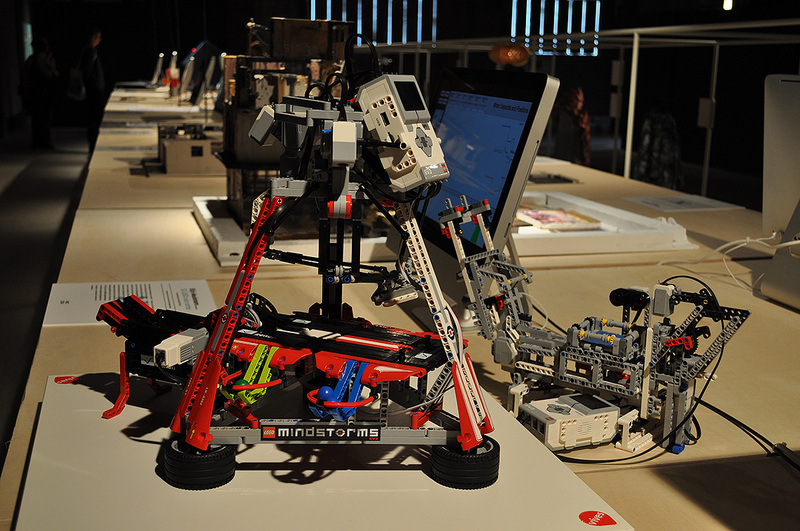 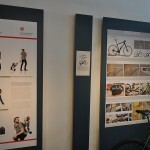 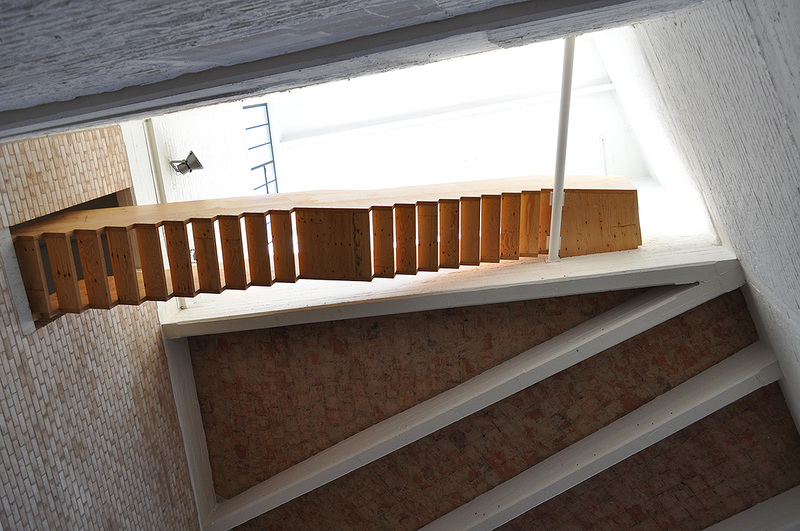 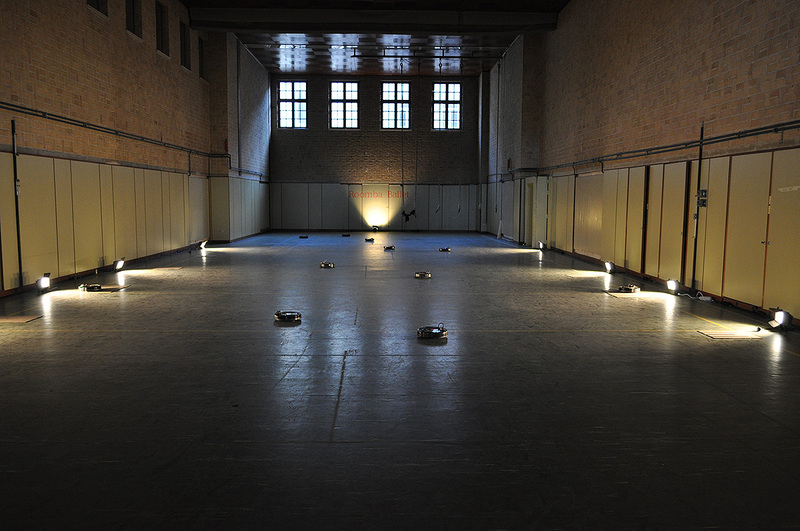 More photos to follow – adult version is on its way! 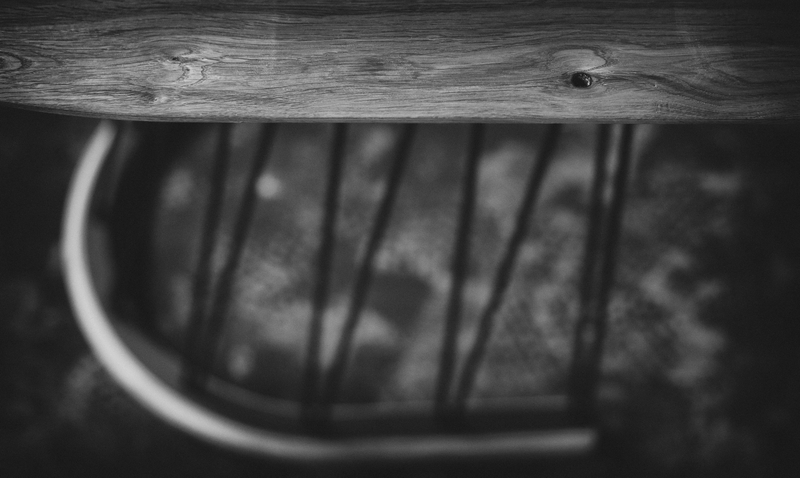 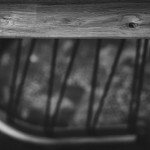 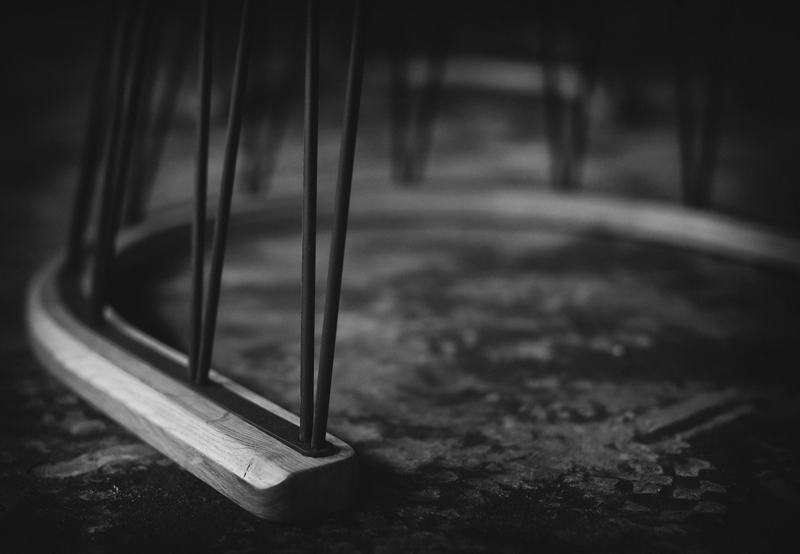 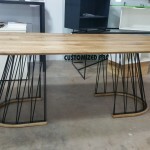 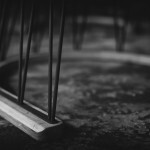 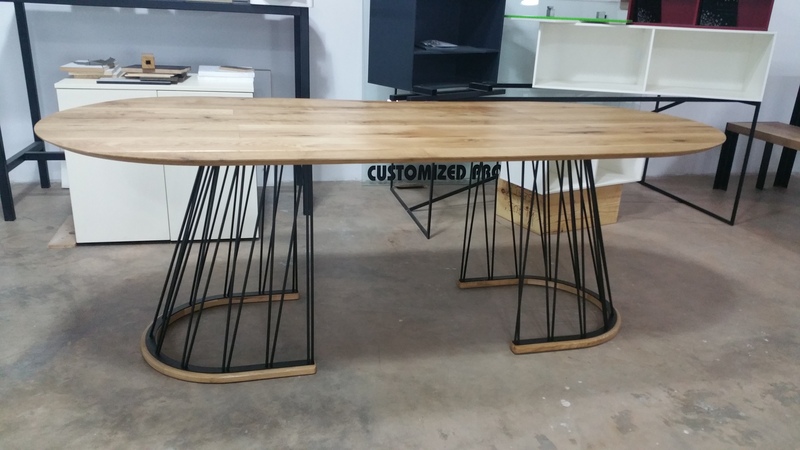 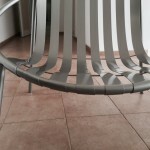 RAIE is a basic metal lounge chair – i am using the base of Lastika chair here for the initial prototype and will add another frame and a chair for the next version. 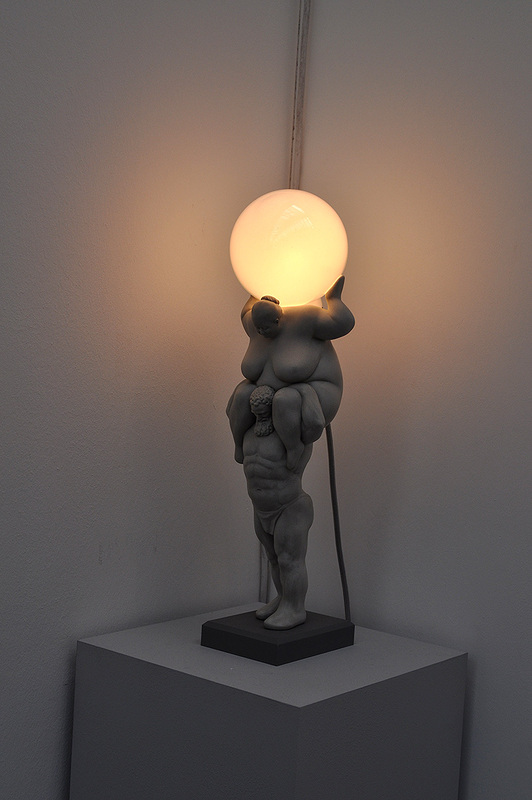 Cushion will be supplied with small support for the head. 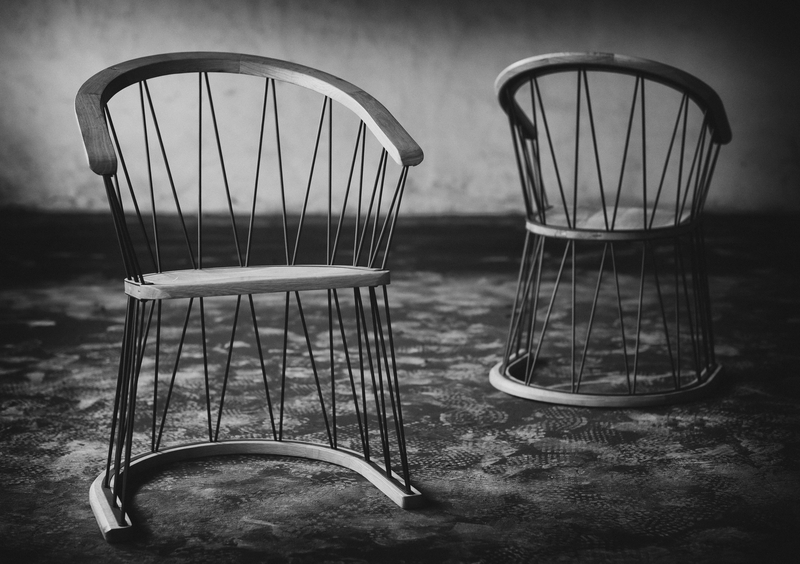 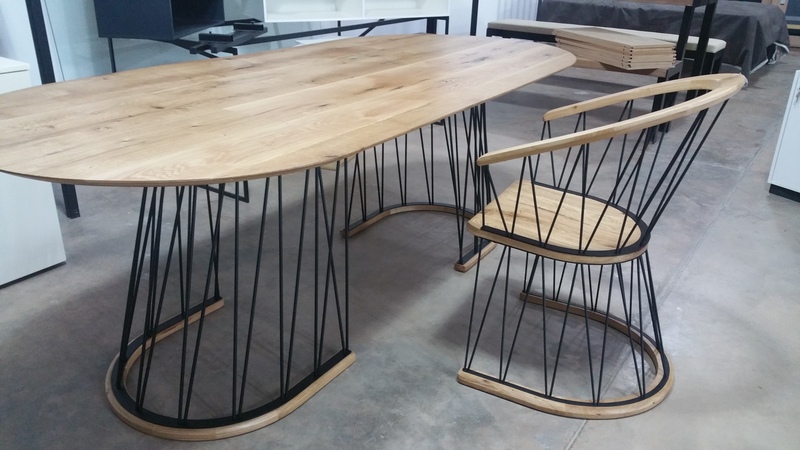 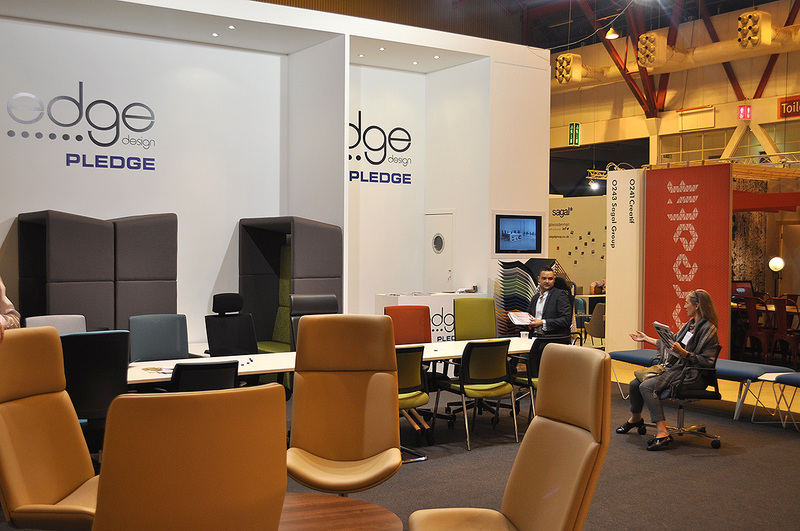 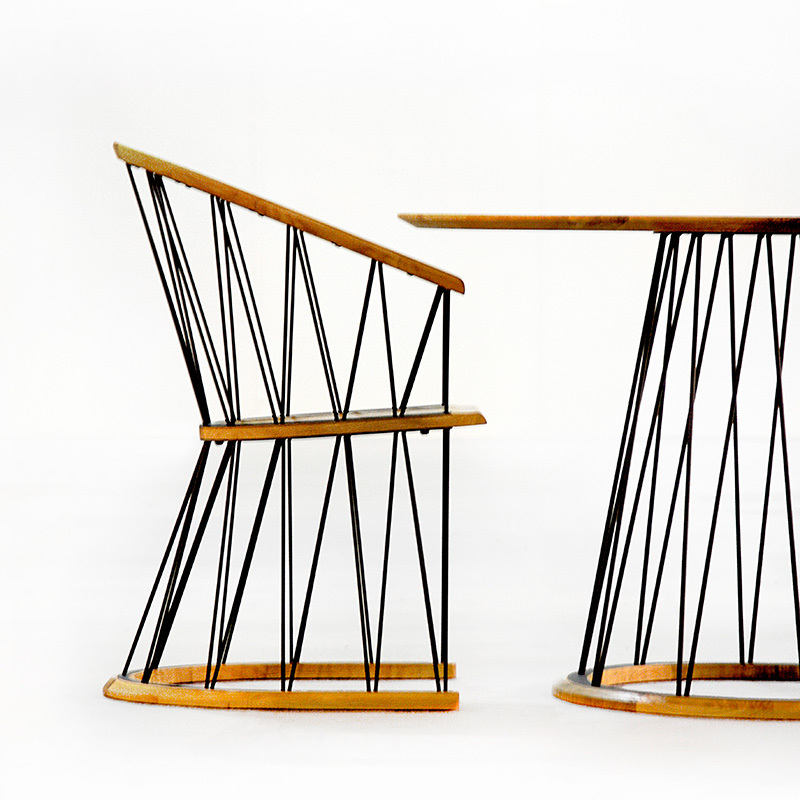 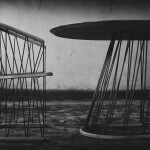 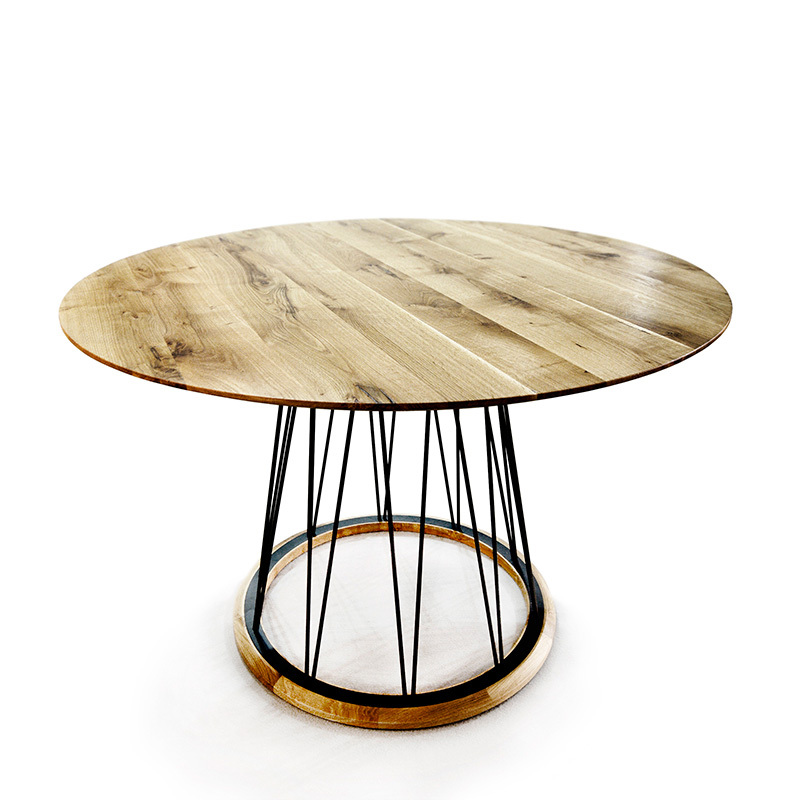 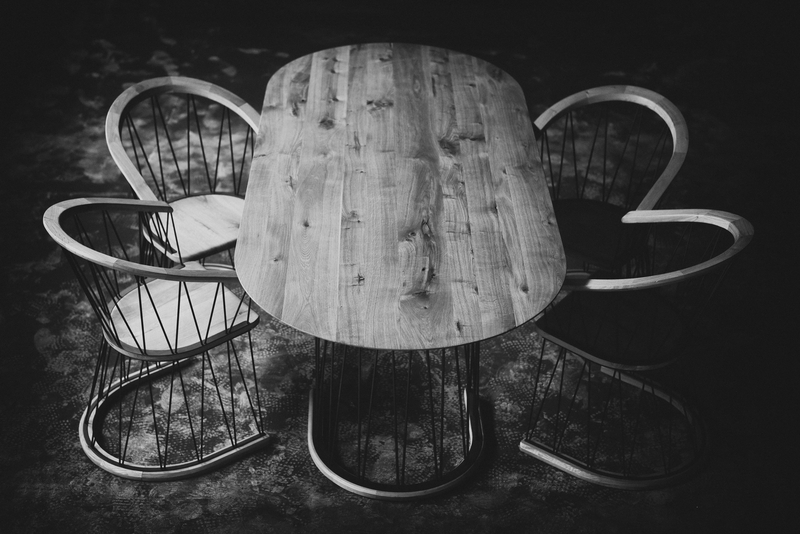 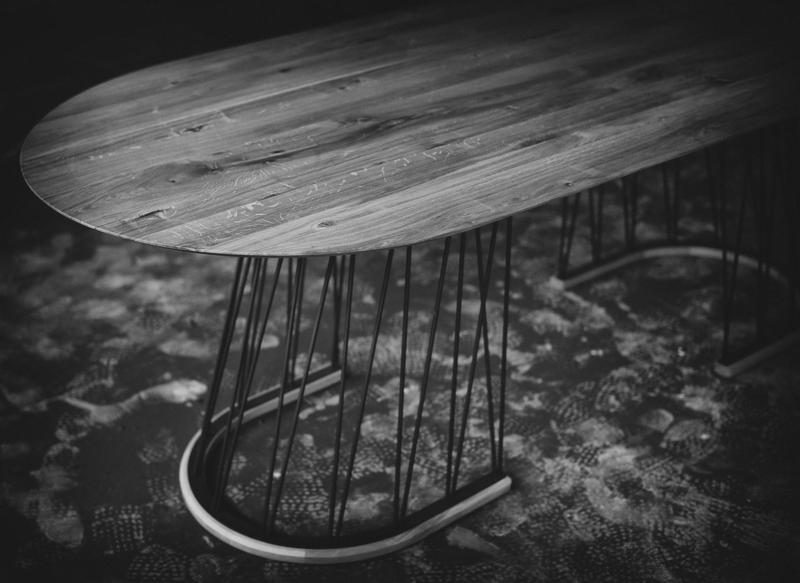 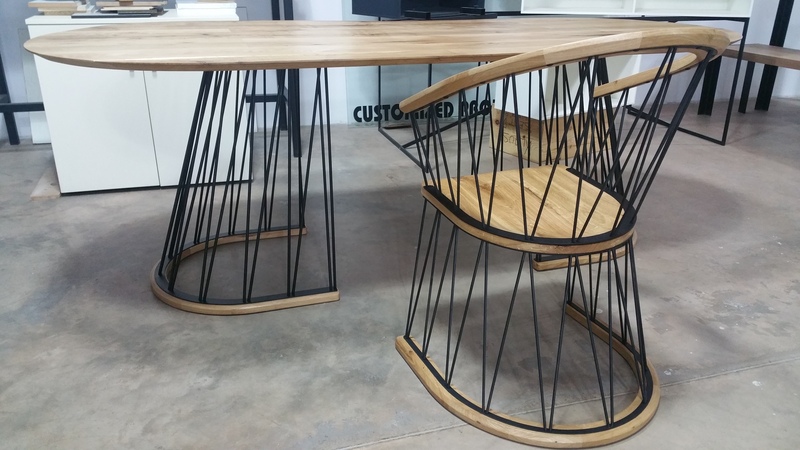 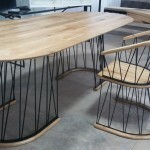 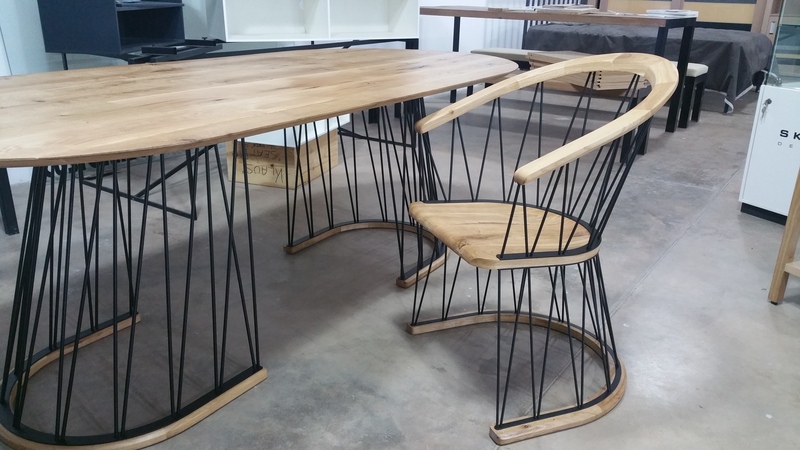 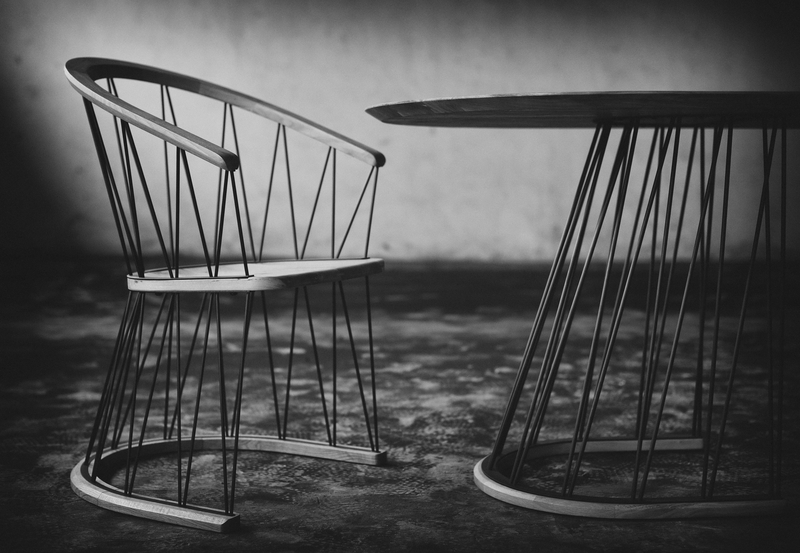 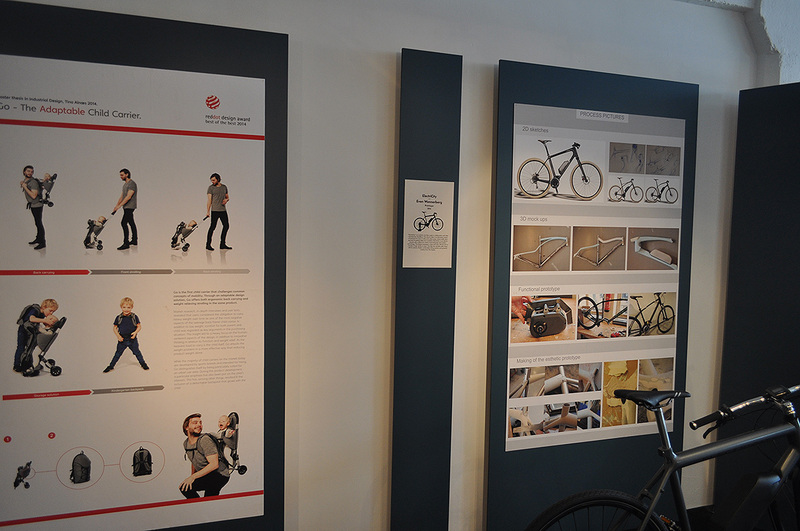 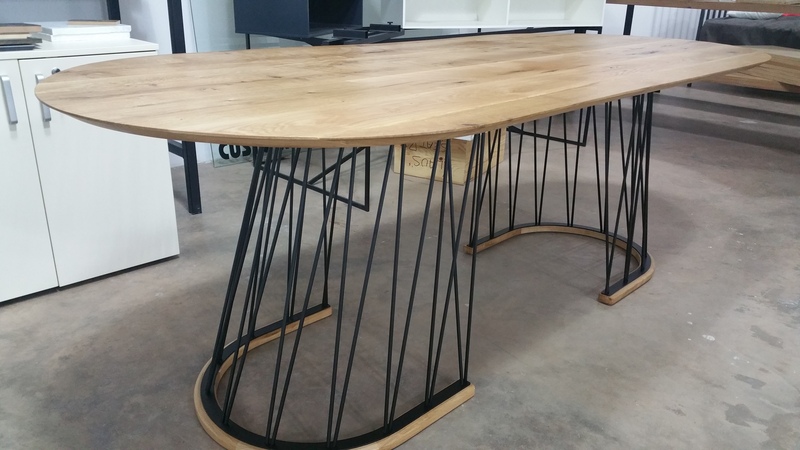 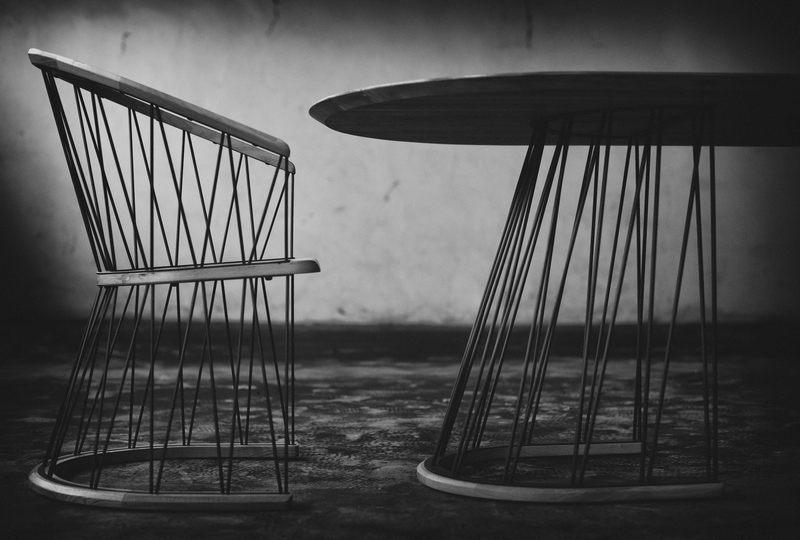 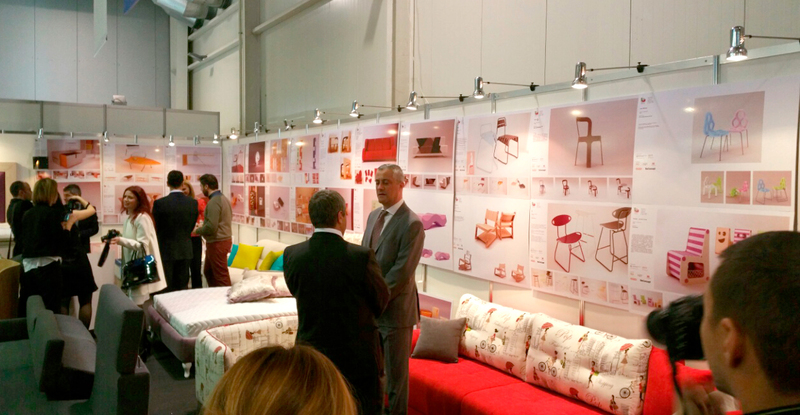 RAIE was showcased for first time on the CHERGA stand at The World of the Furniture 2015 exhibition in Sofia, Bulgaria and won the first place in The Furniture of the Year 2015 award in front of another 13 products. 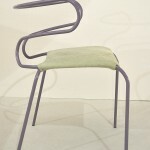 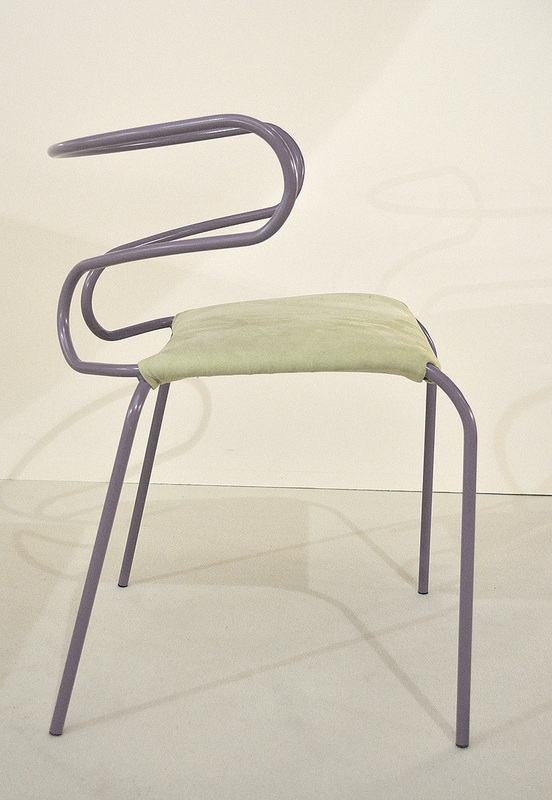 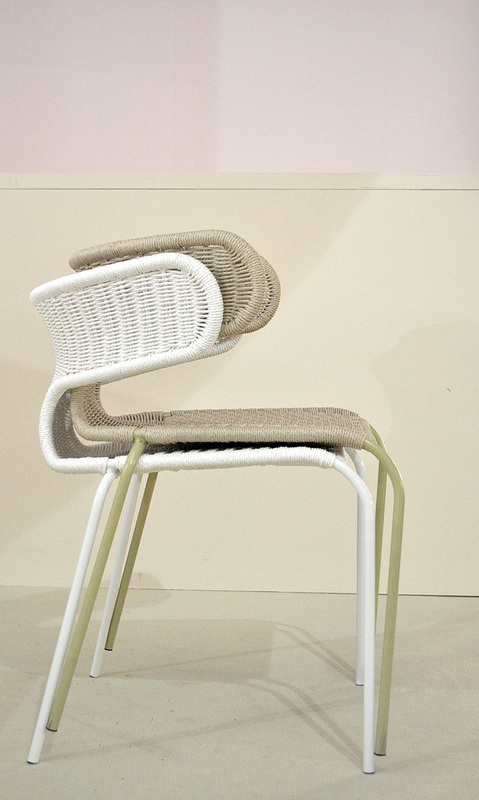 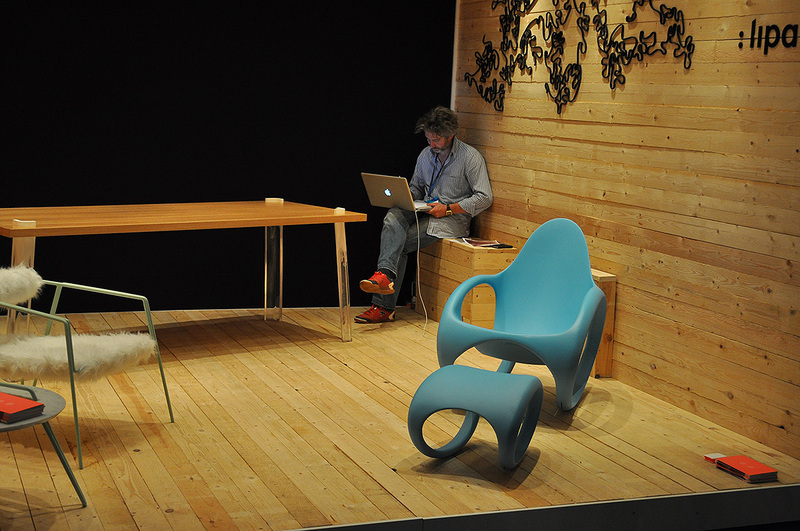 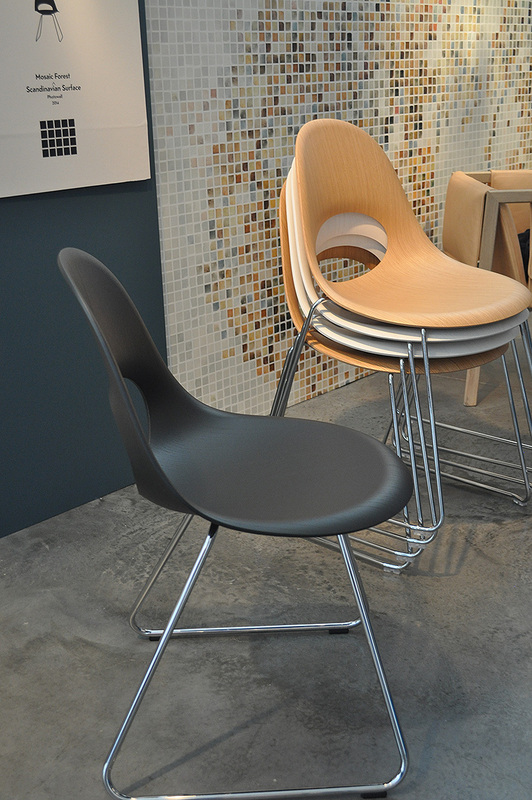 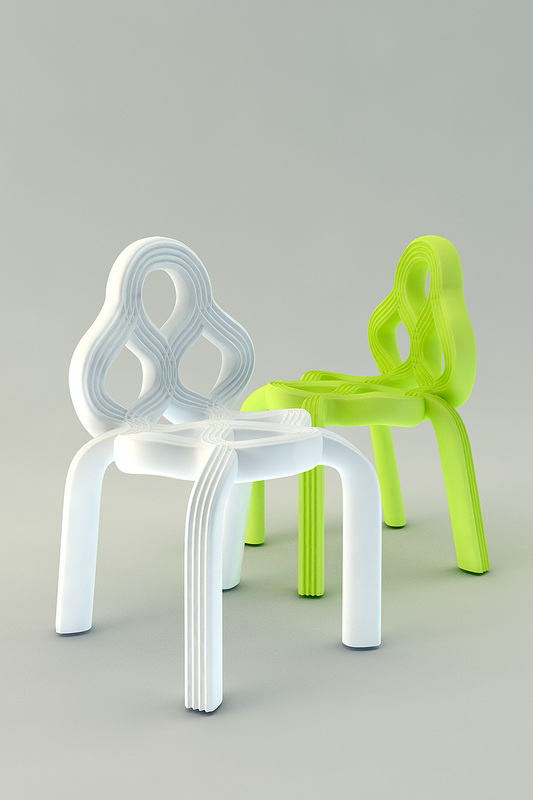 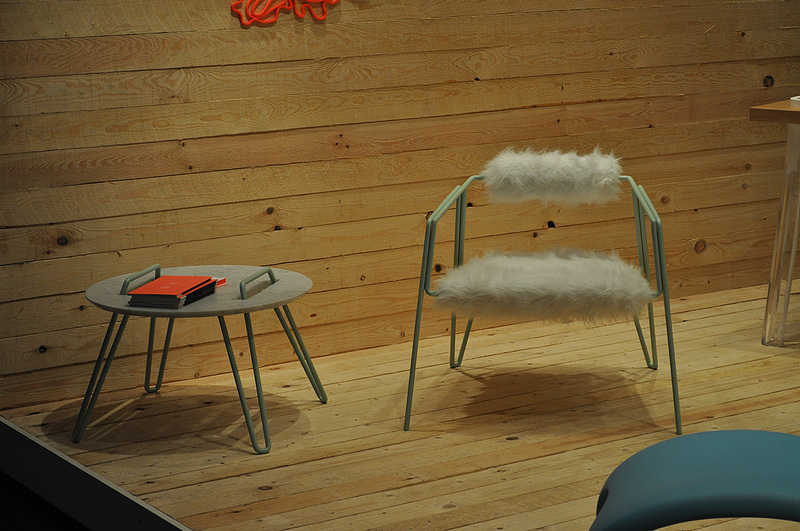 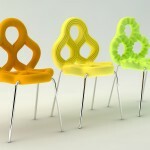 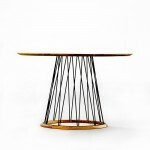 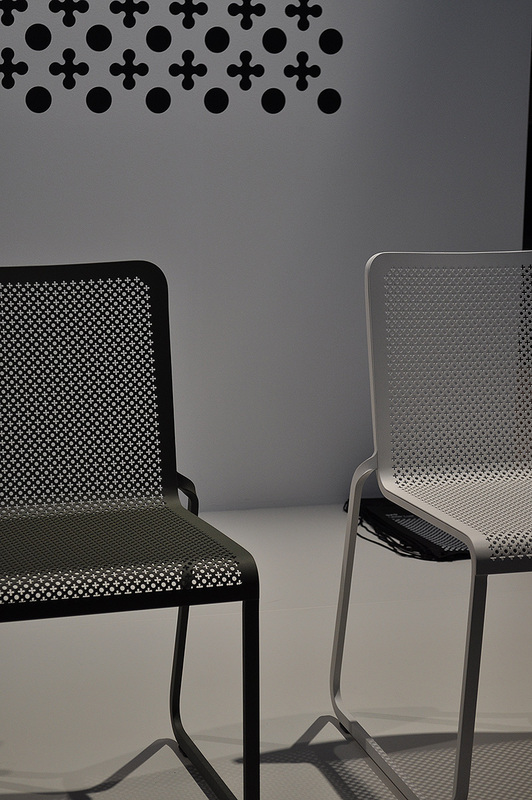 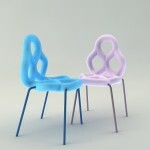 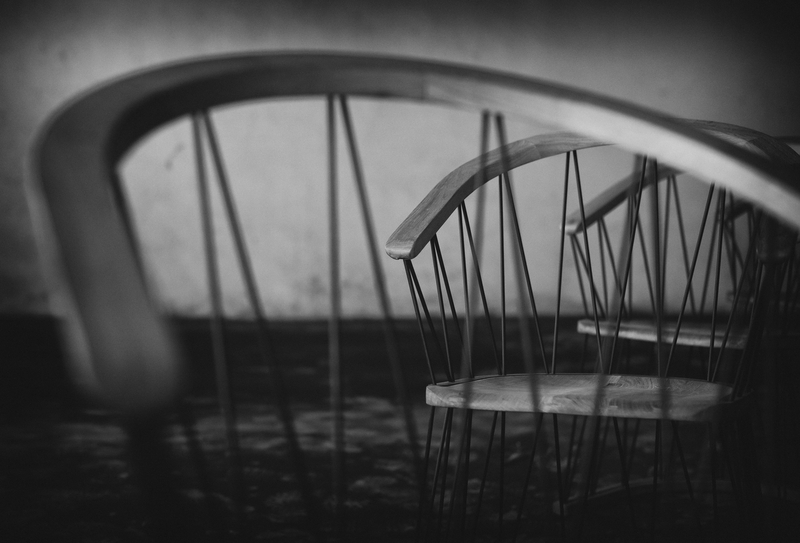 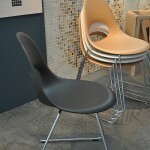 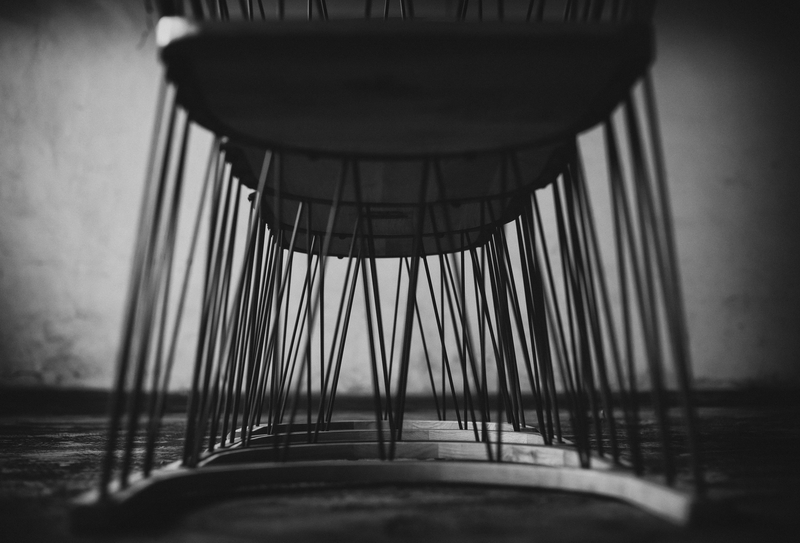 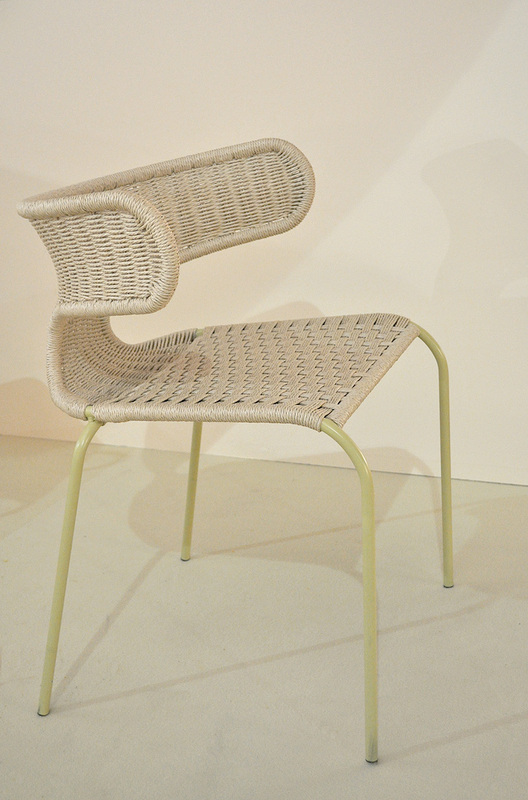 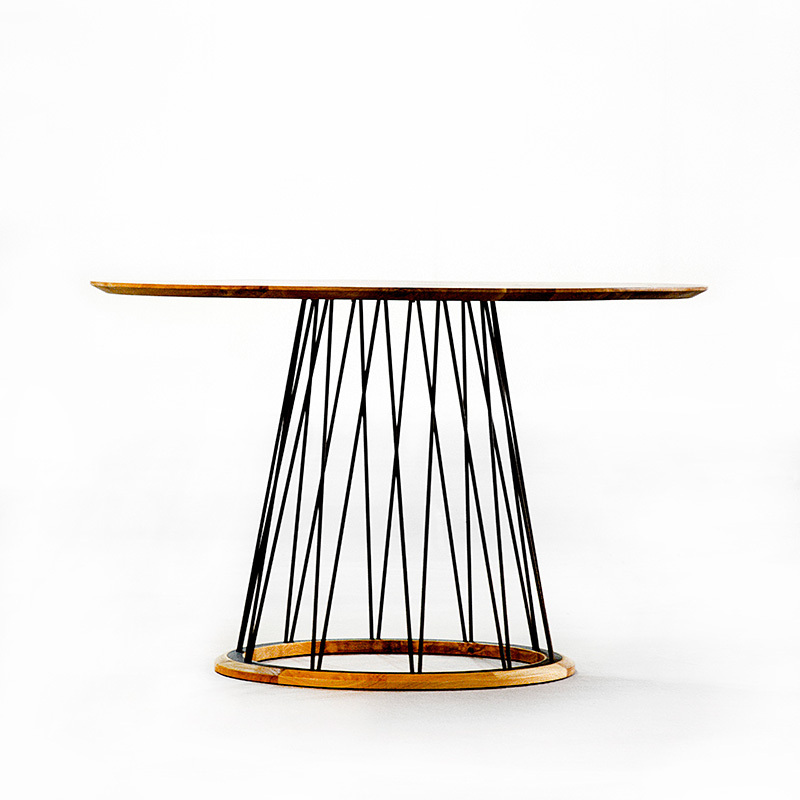 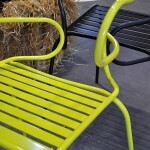 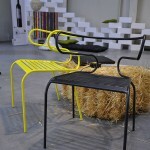 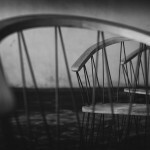 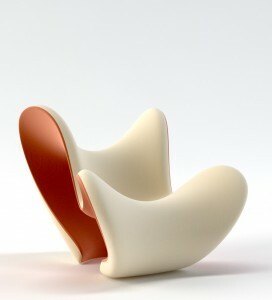 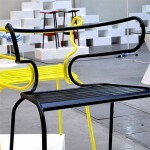 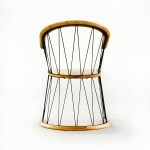 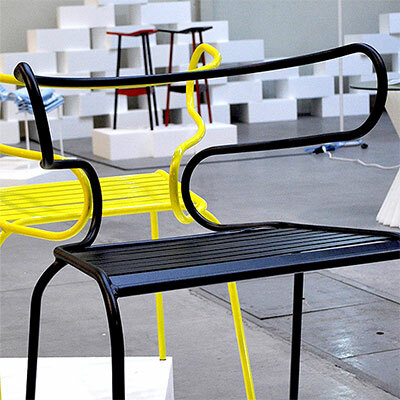 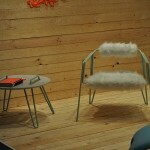 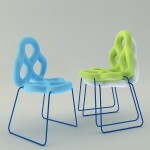 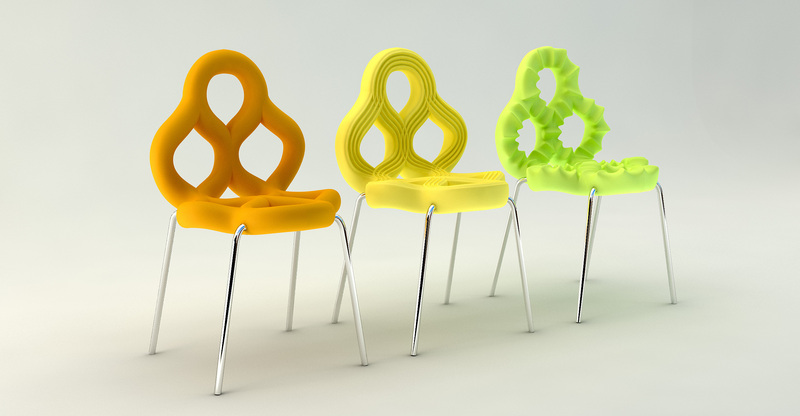 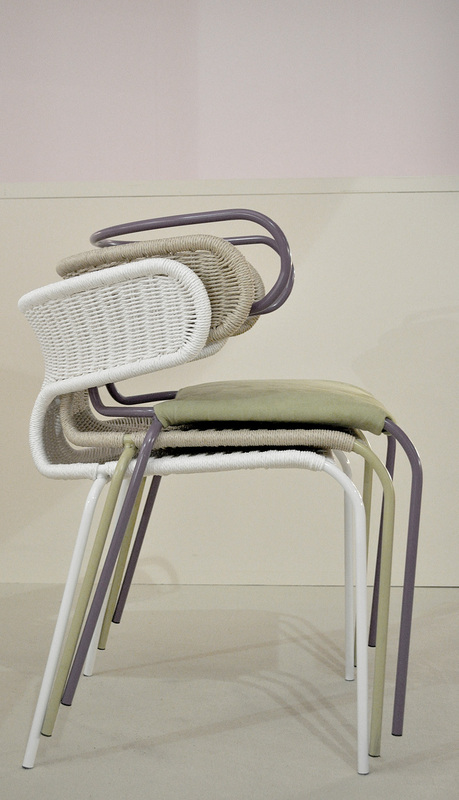 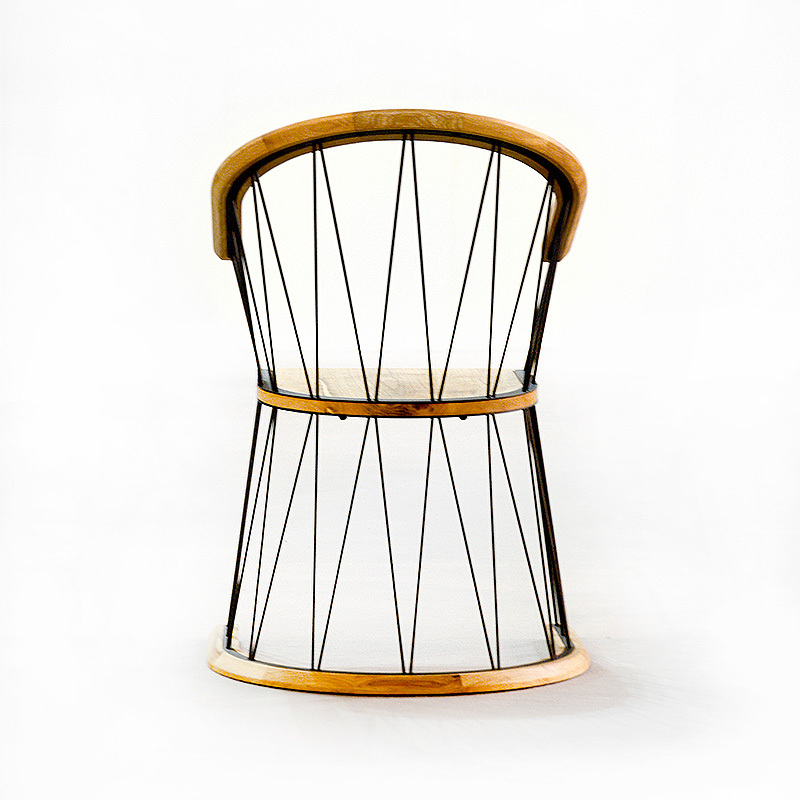 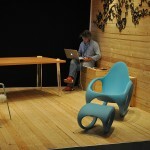 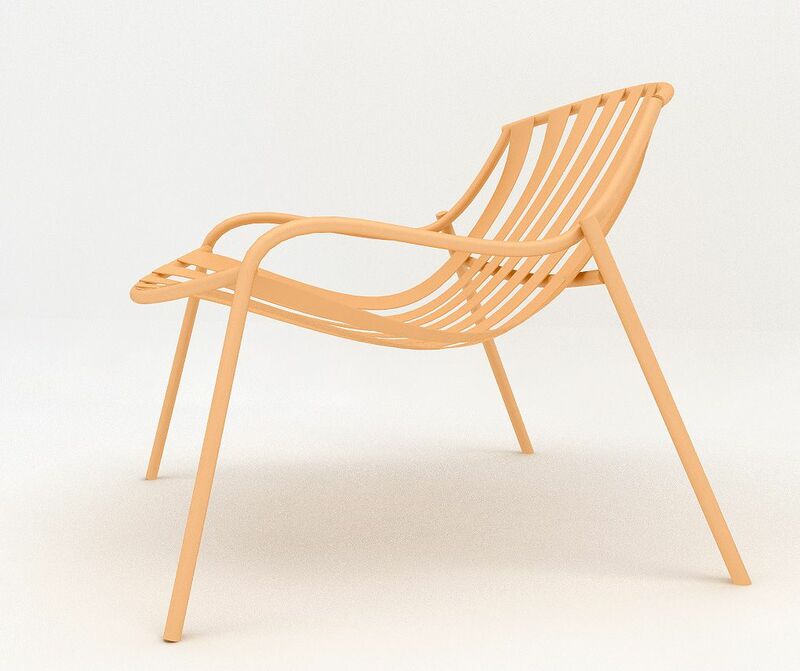 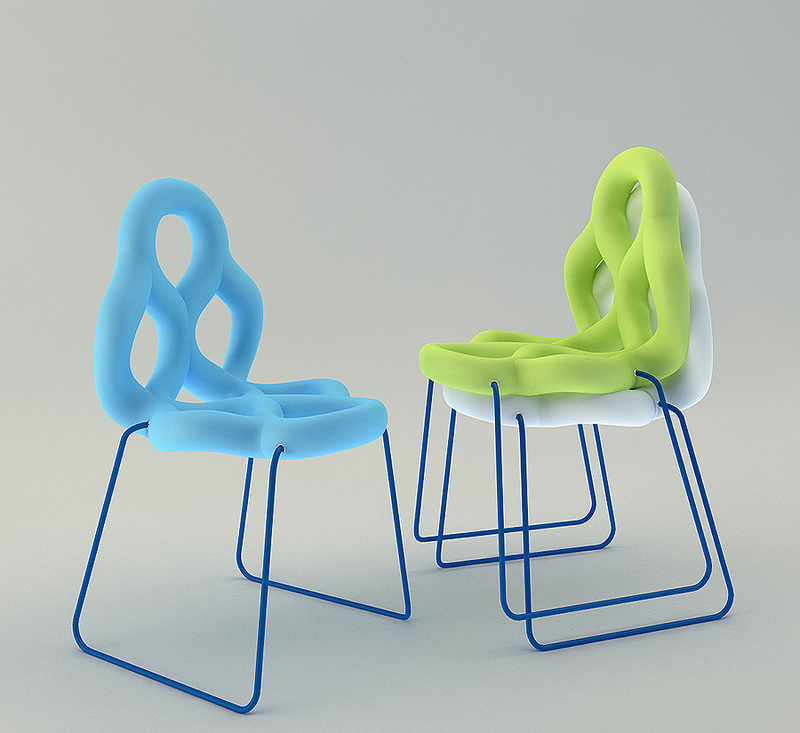 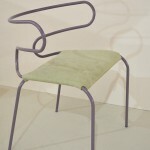 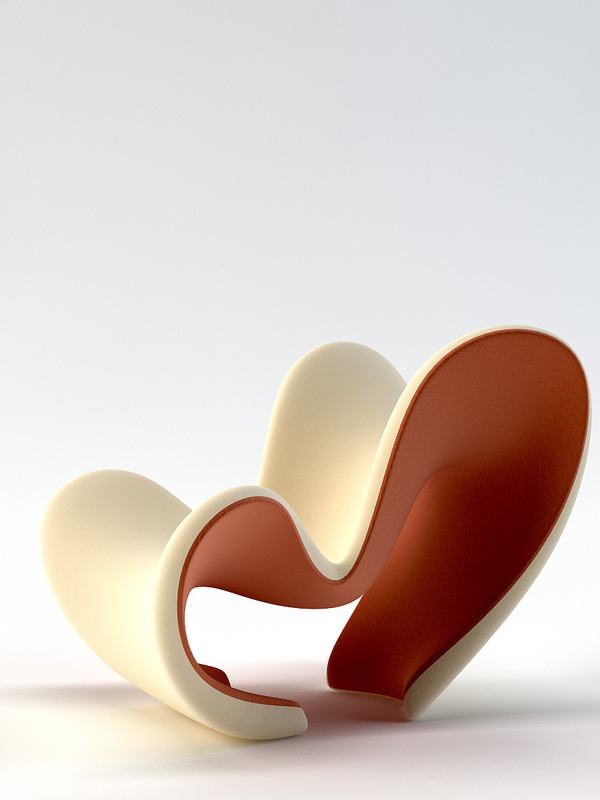 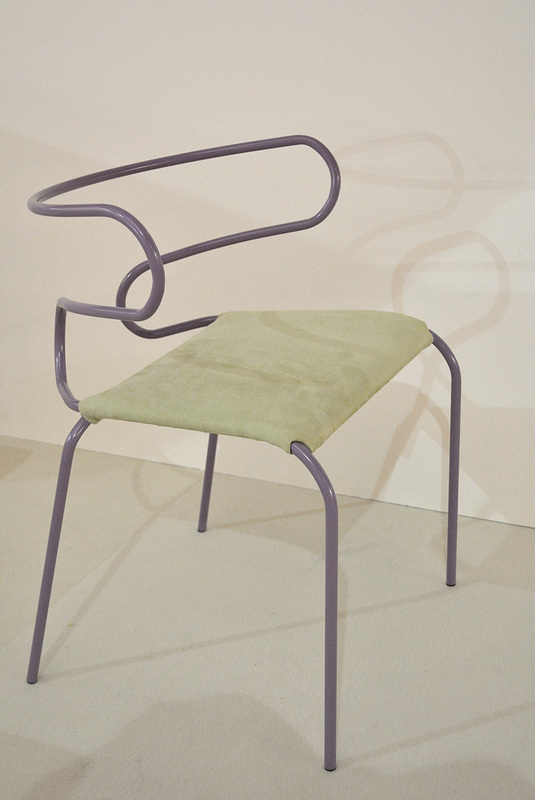 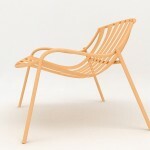 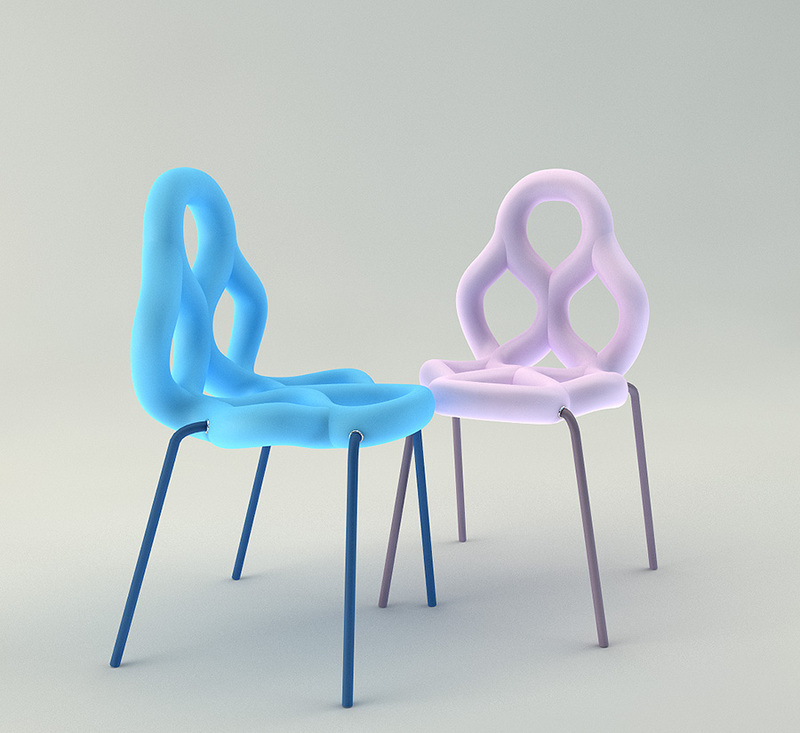 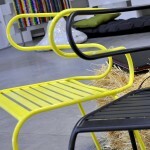 Pretzel is a simple chair consist of a light metal frame molded with soft polyurethane over it. 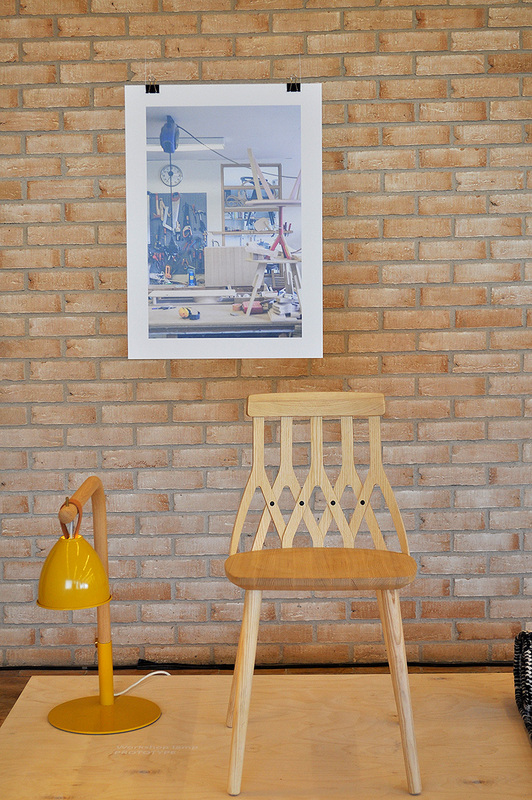 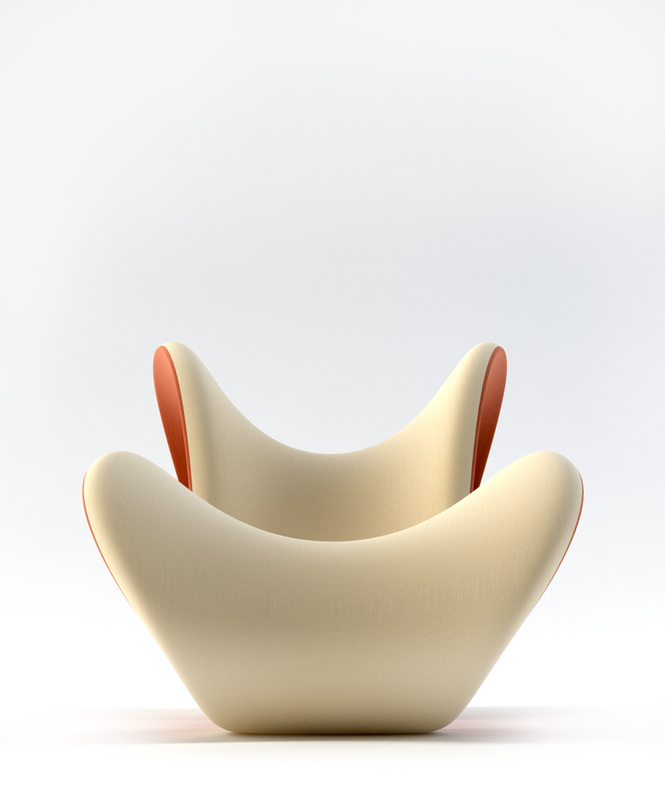 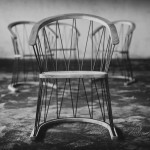 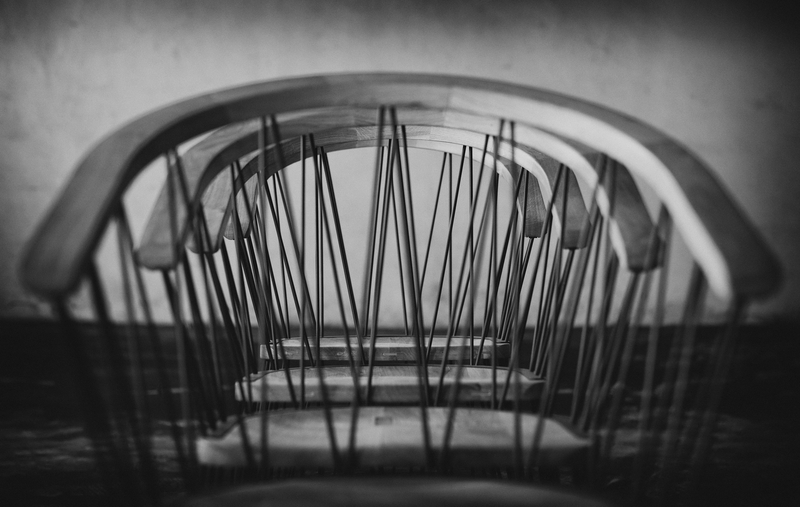 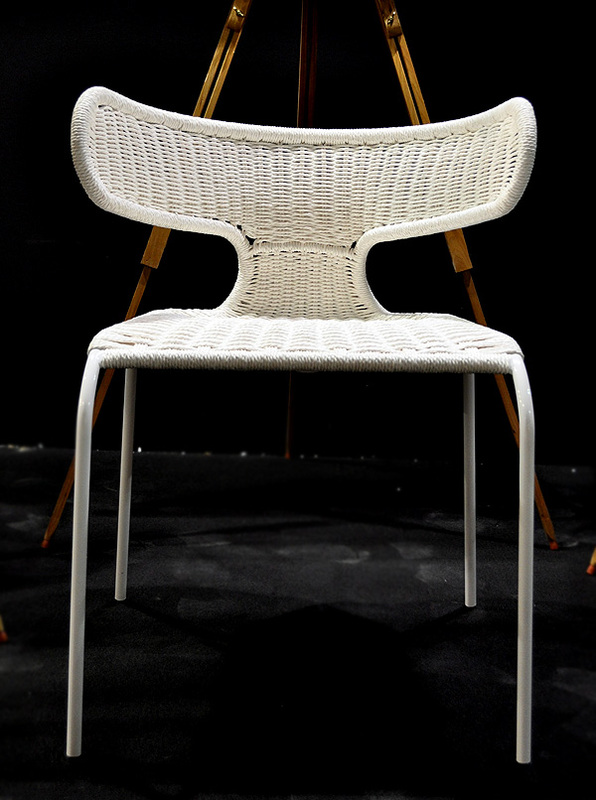 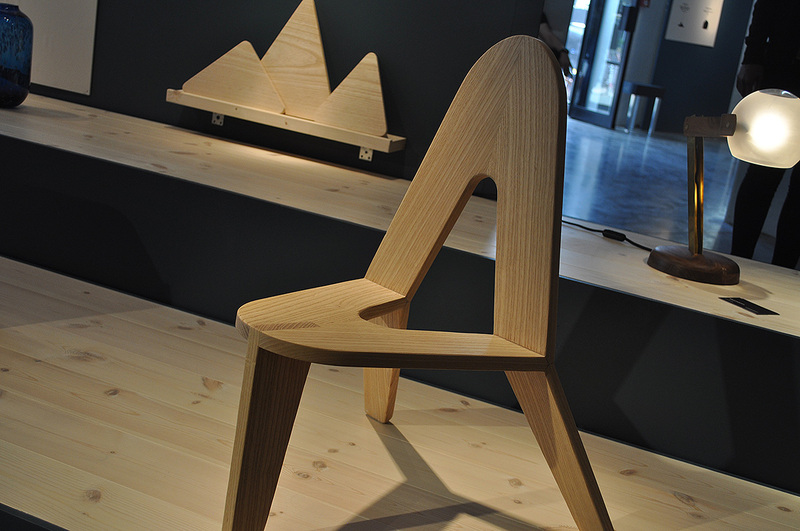 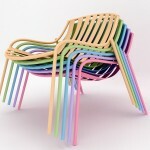 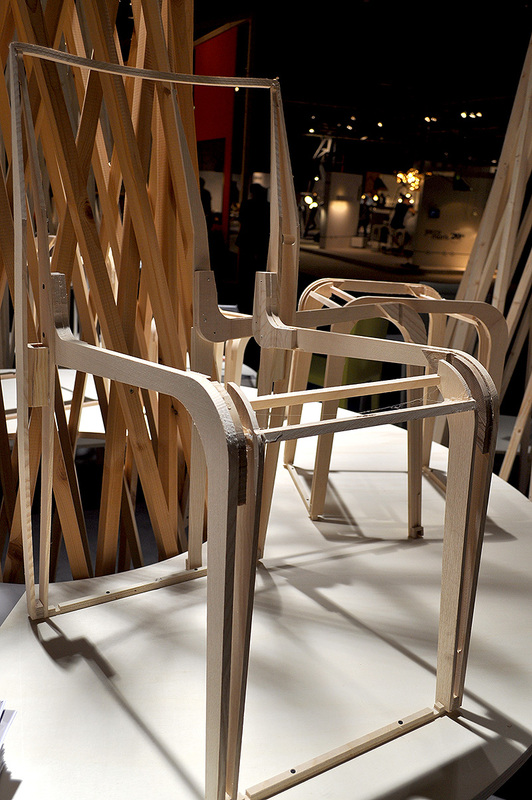 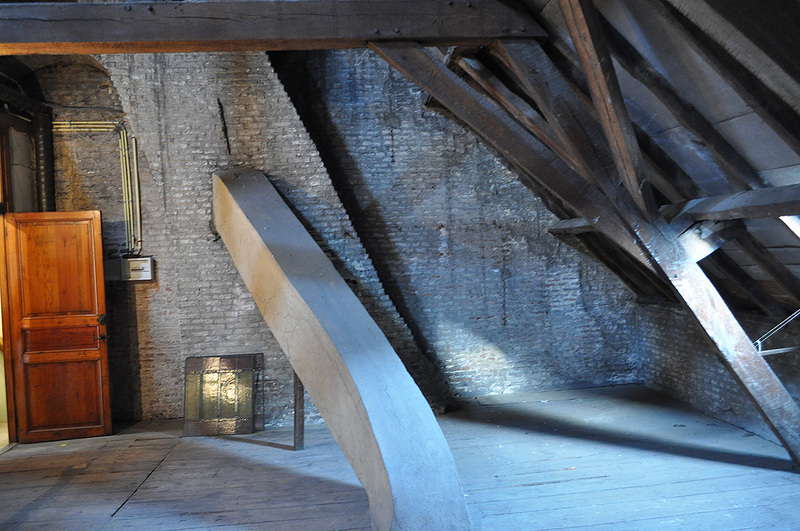 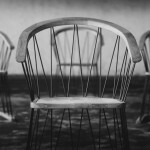 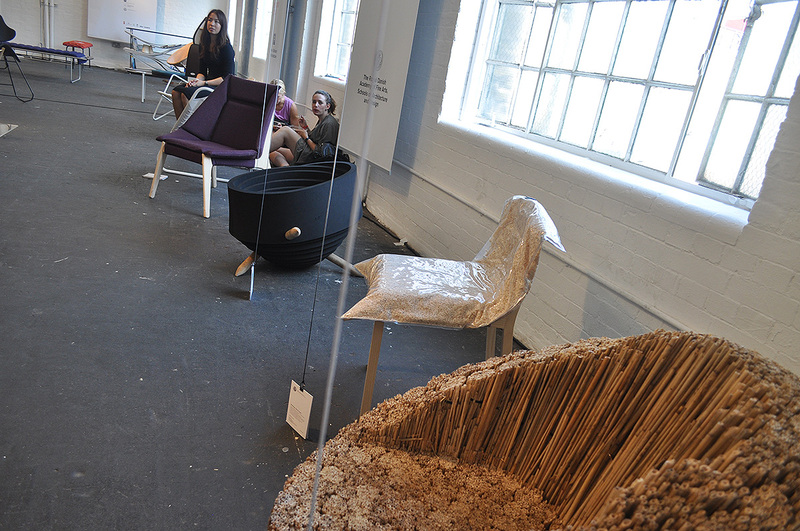 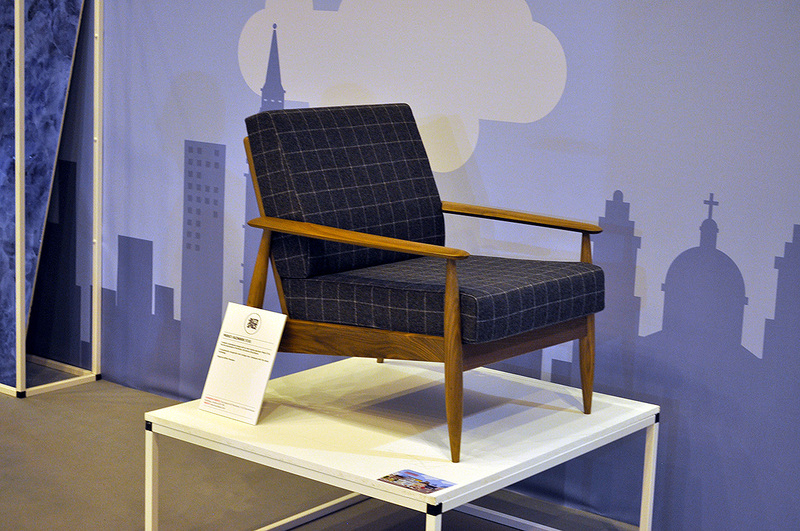 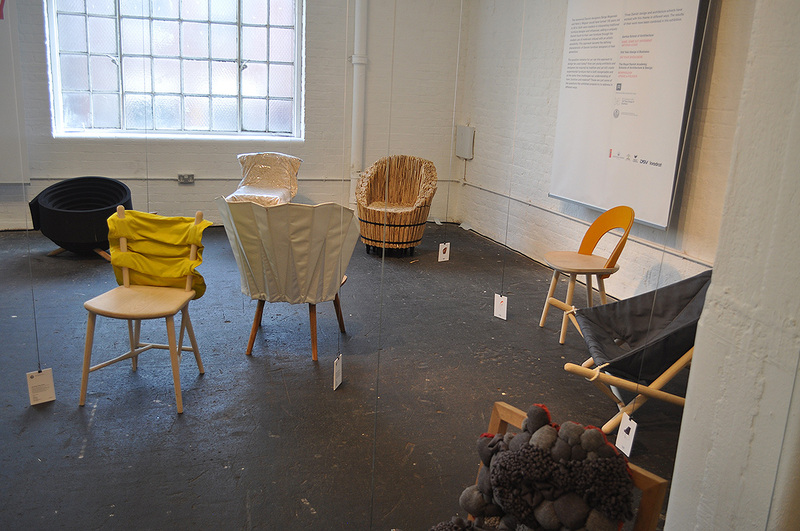 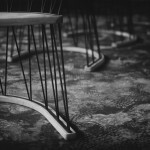 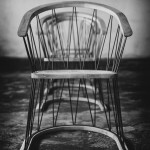 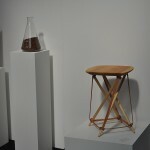 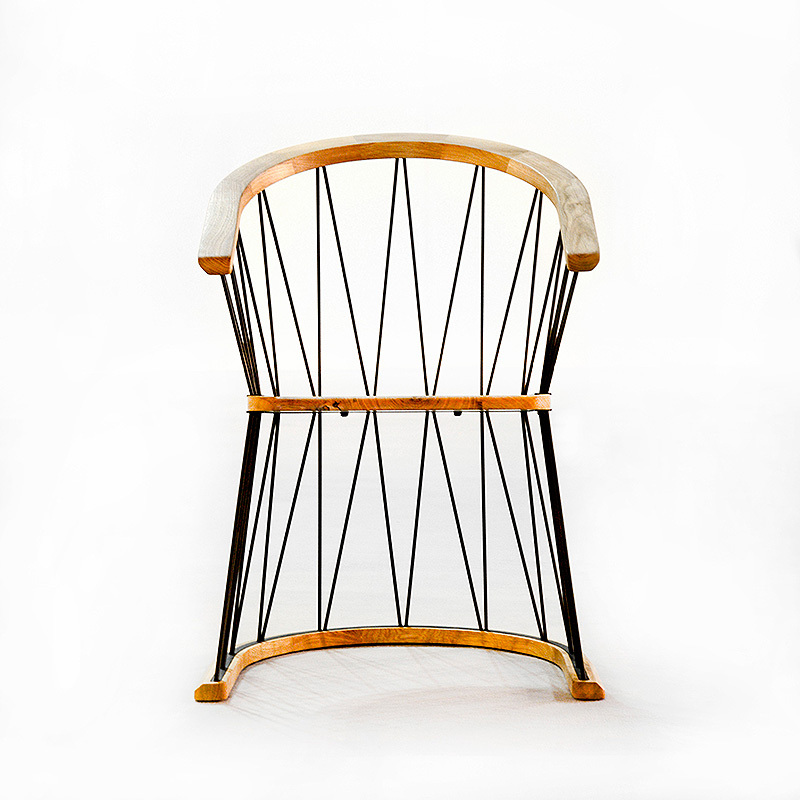 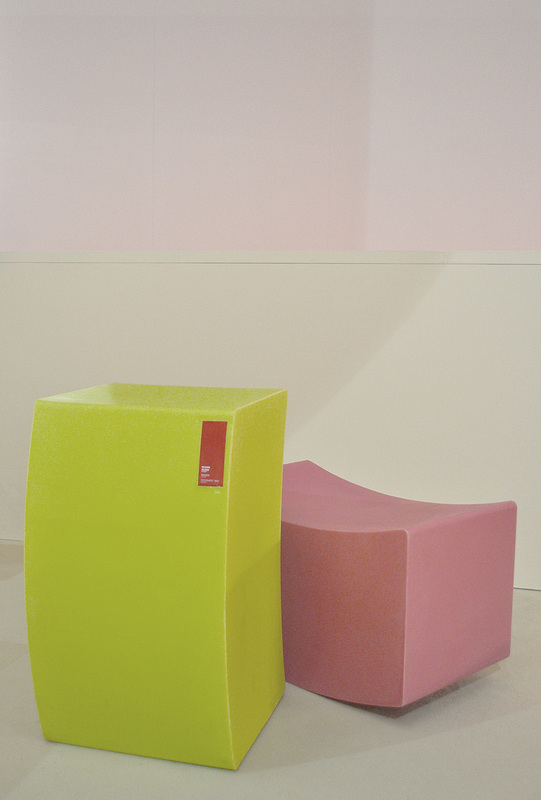 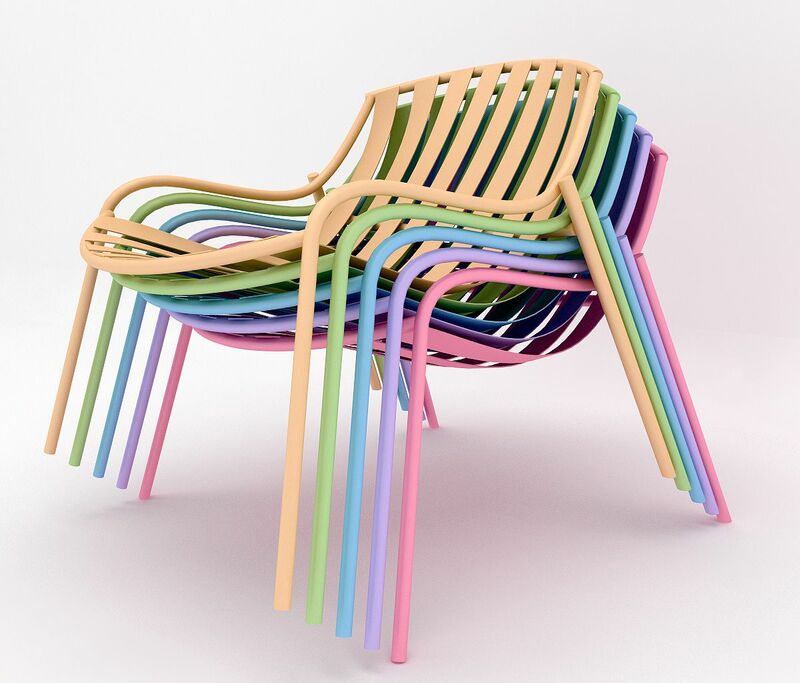 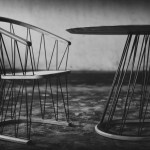 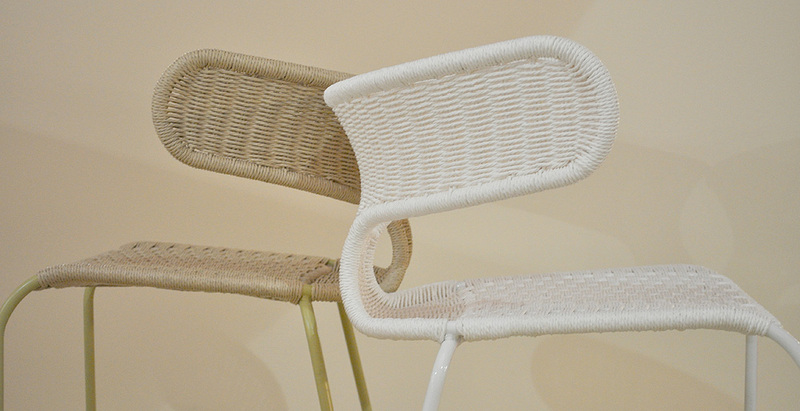 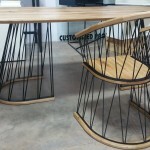 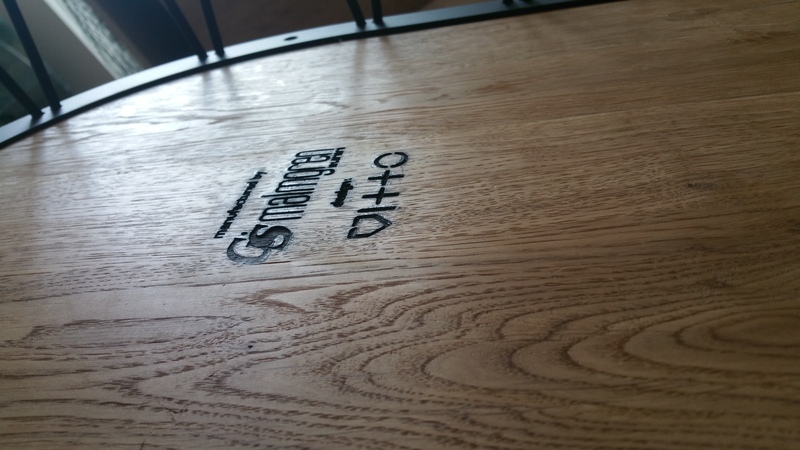 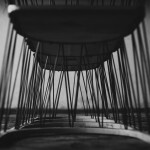 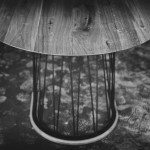 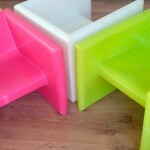 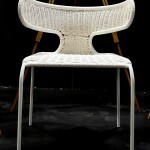 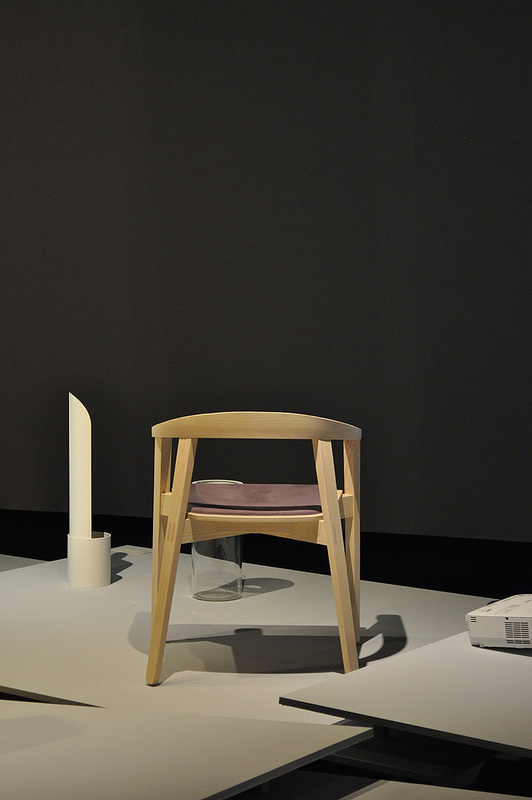 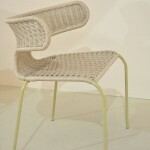 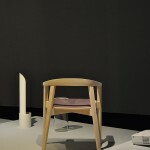 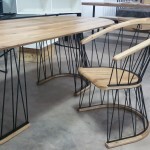 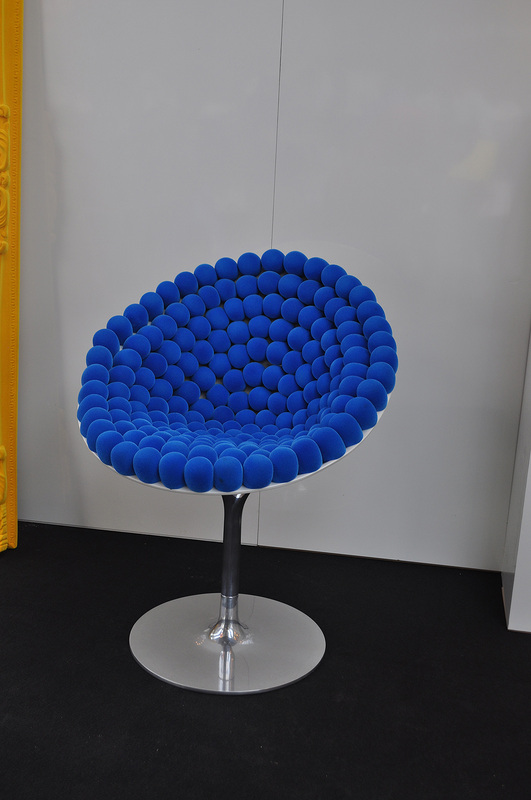 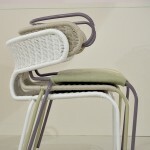 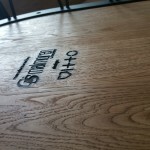 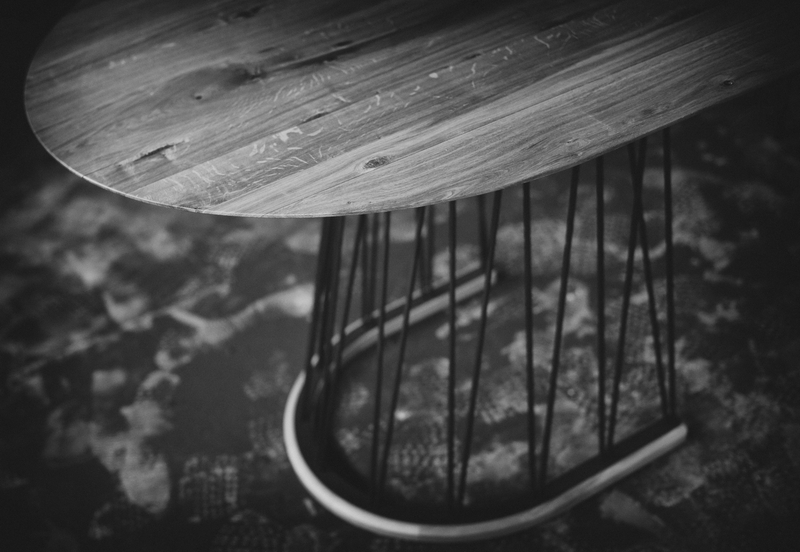 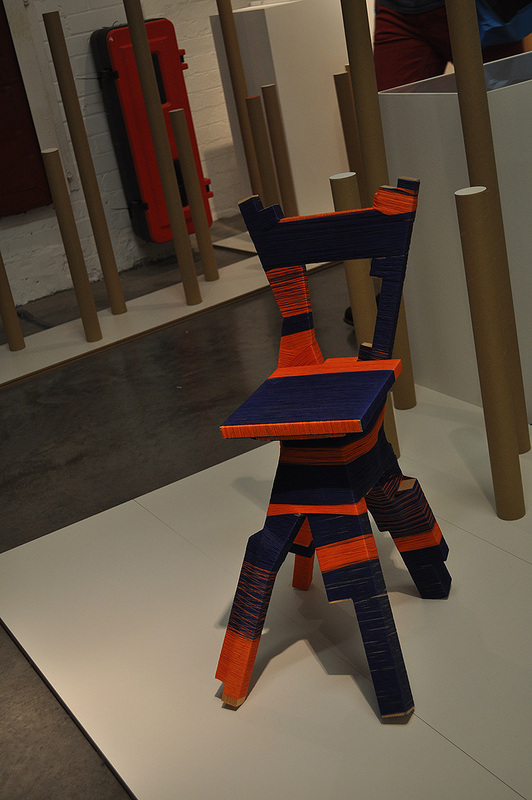 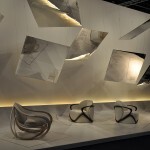 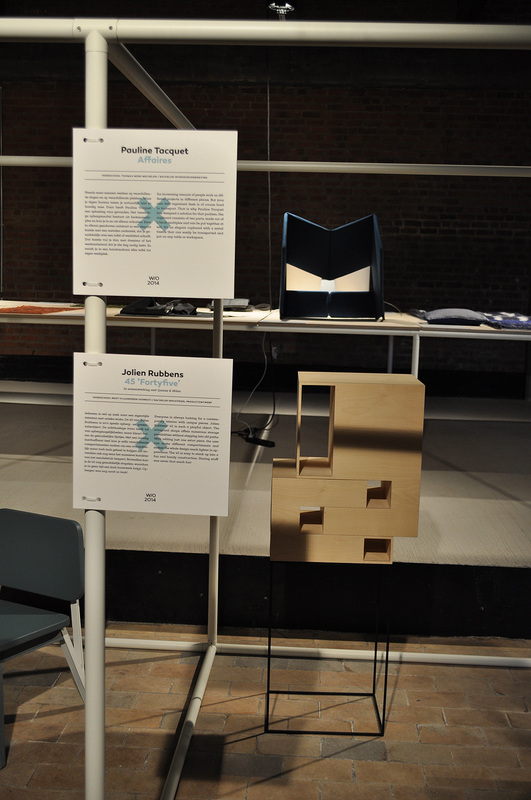 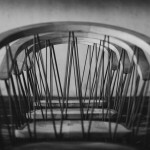 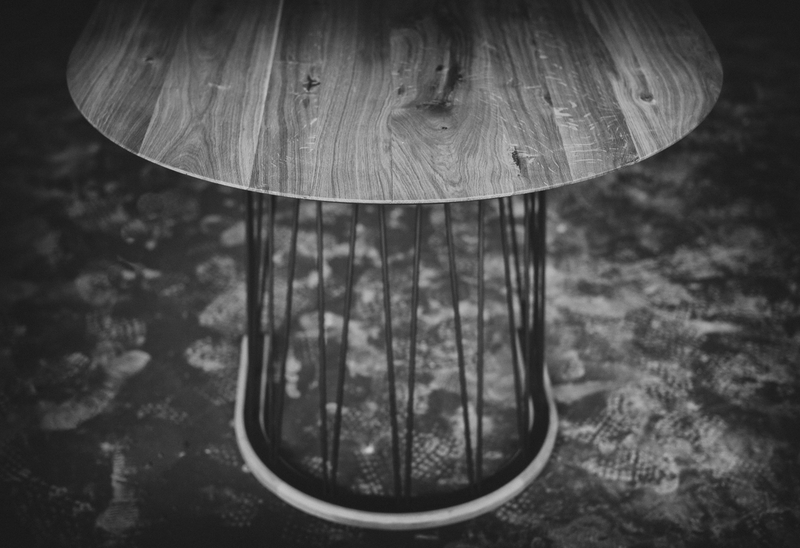 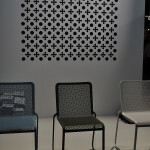 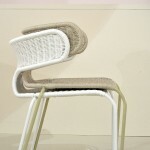 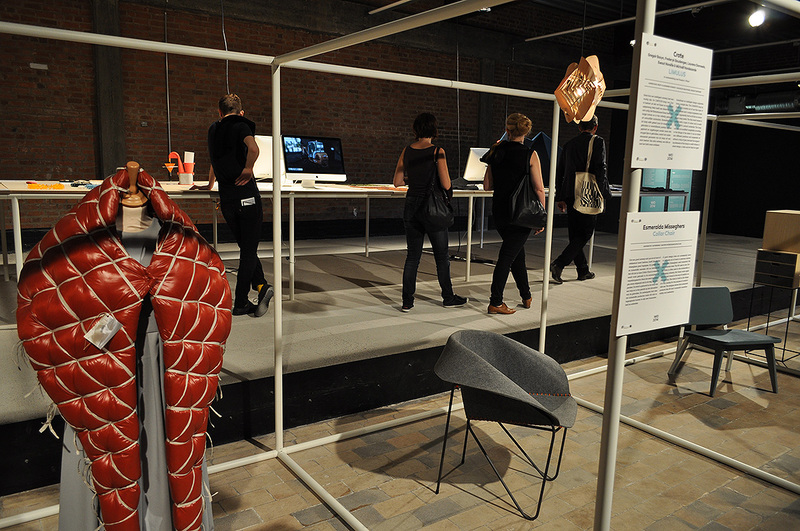 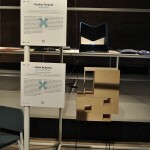 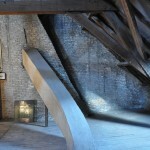 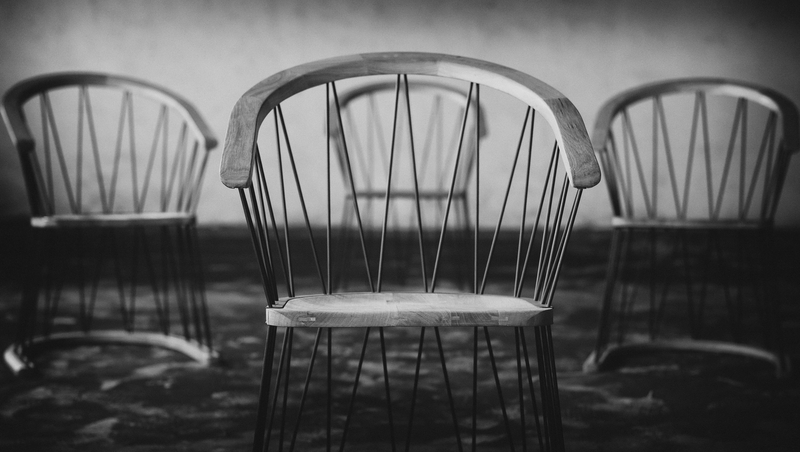 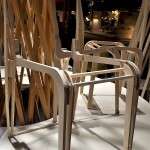 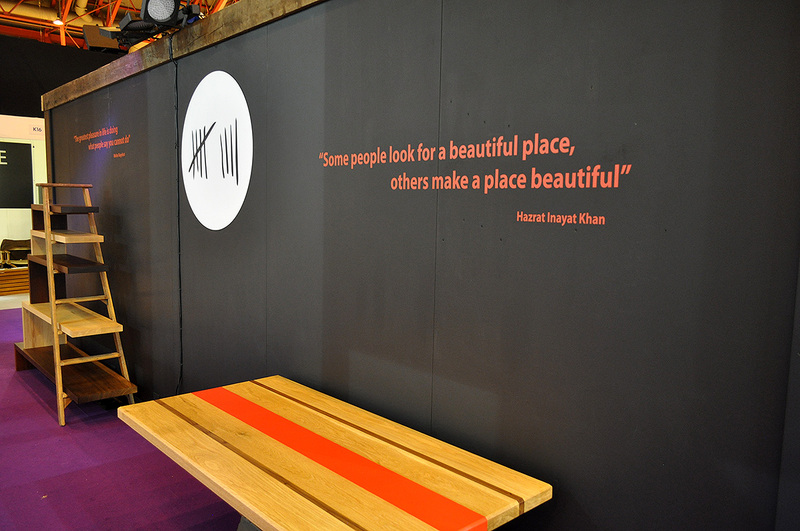 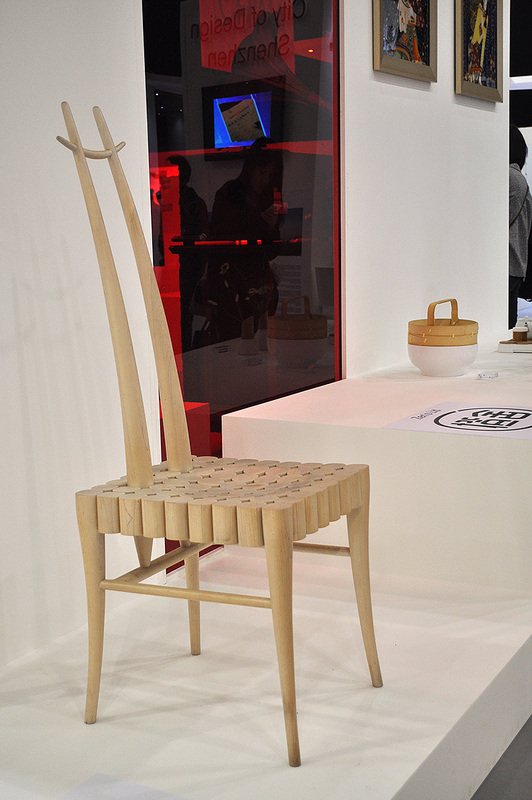 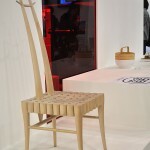 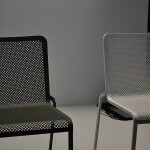 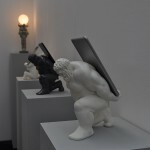 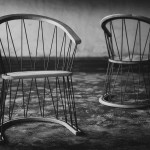 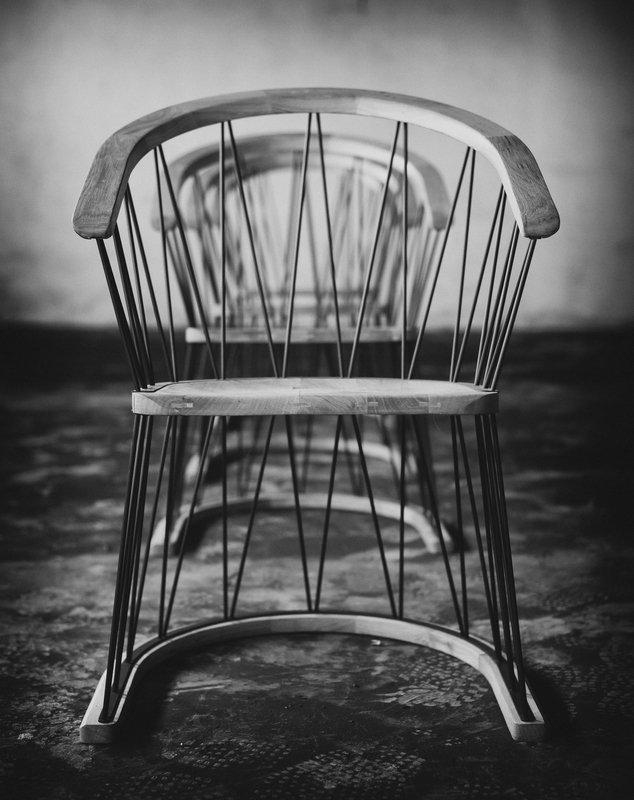 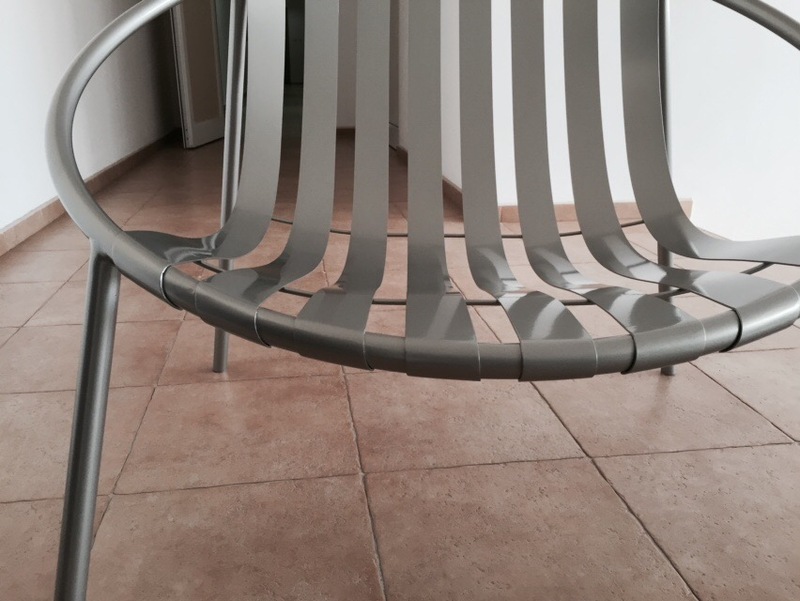 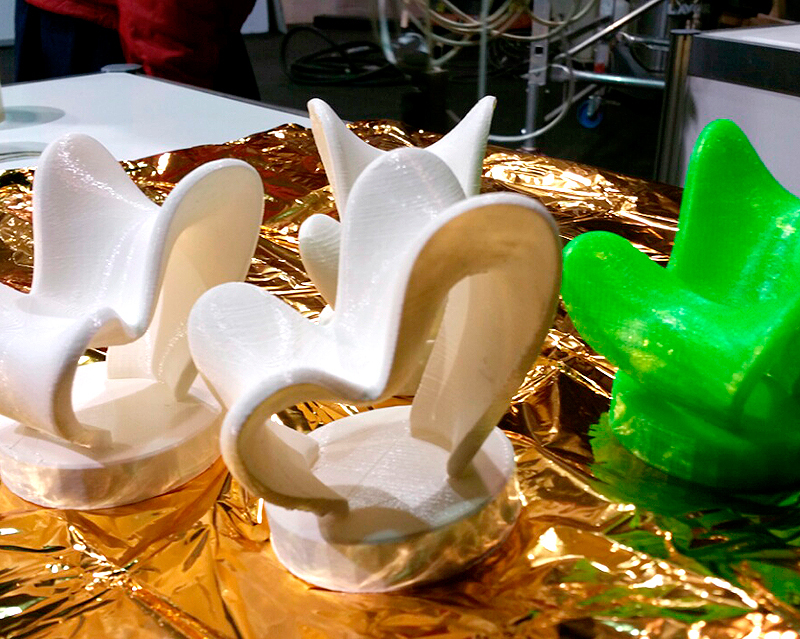 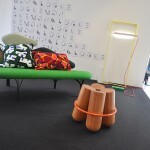 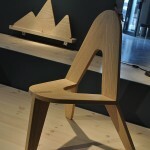 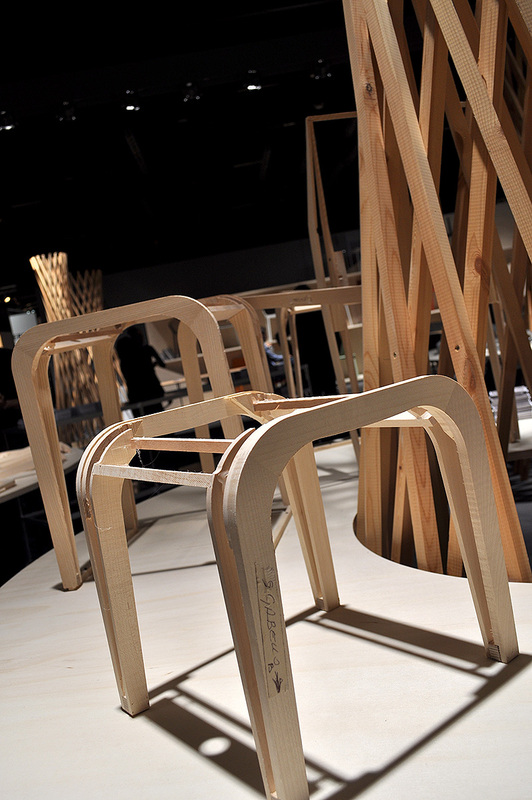 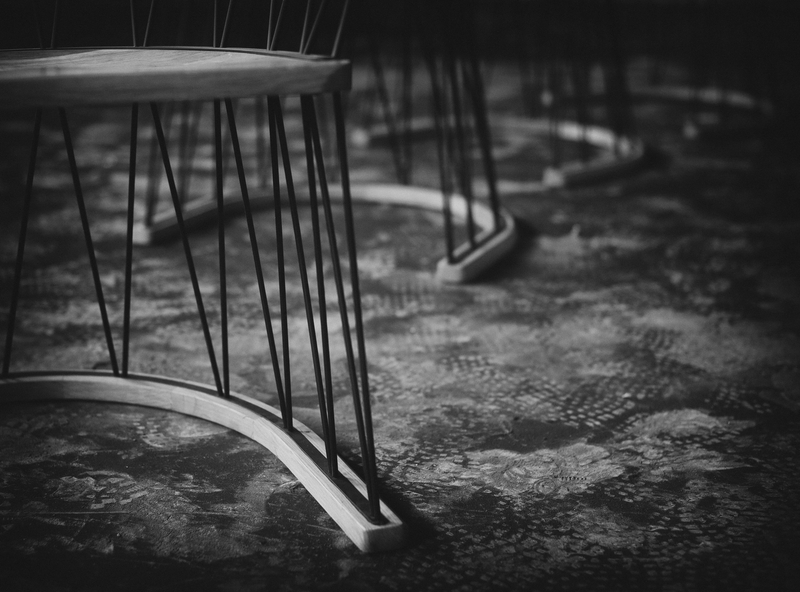 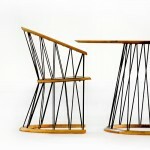 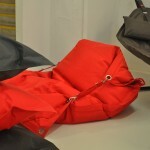 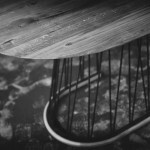 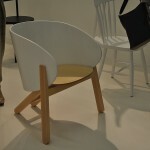 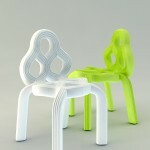 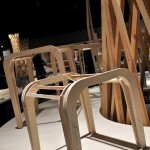 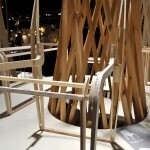 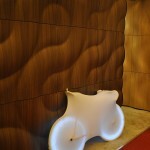 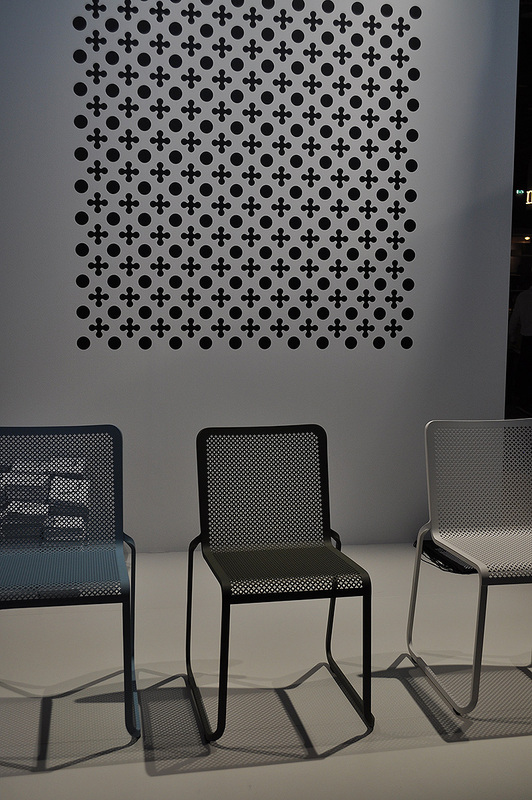 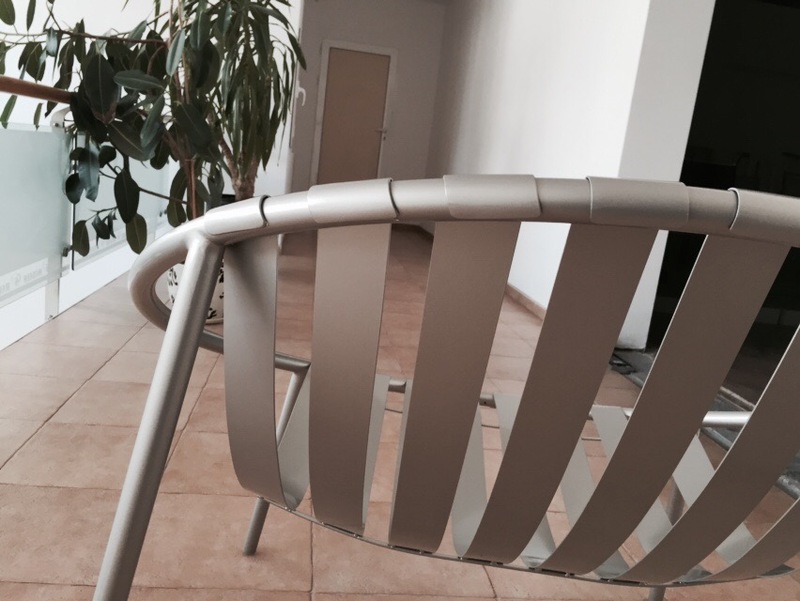 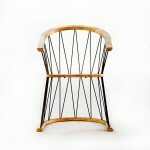 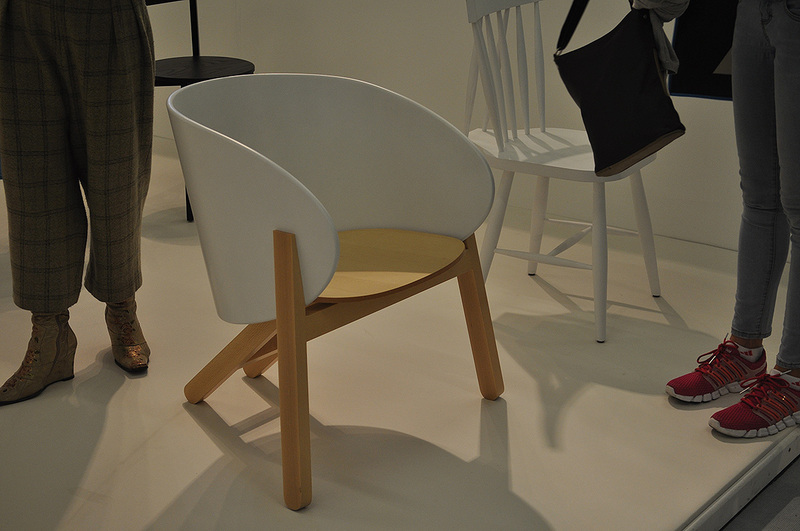 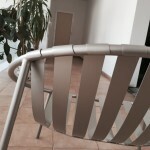 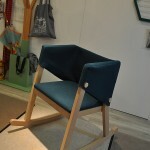 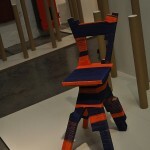 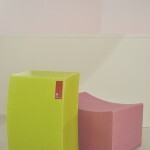 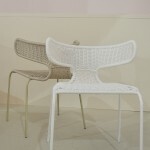 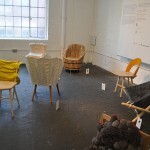 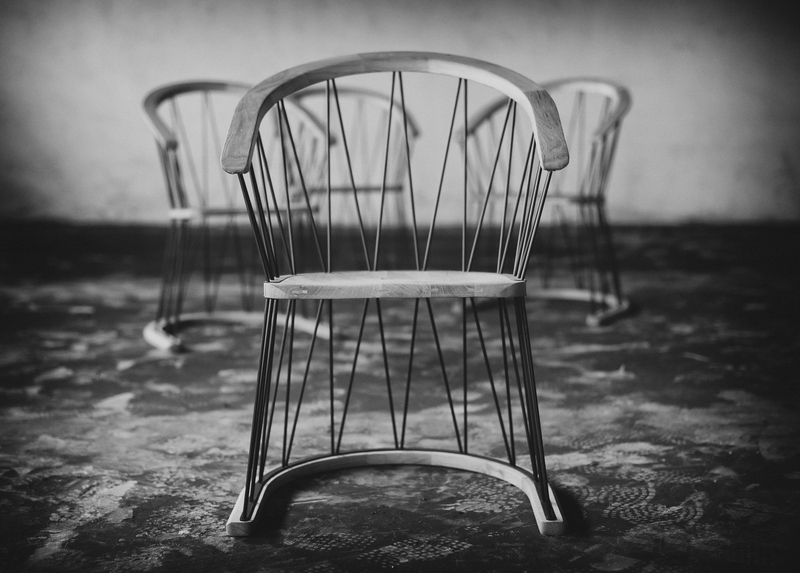 The design of the chair allows different relief designs for the seat to be used. 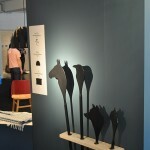 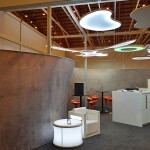 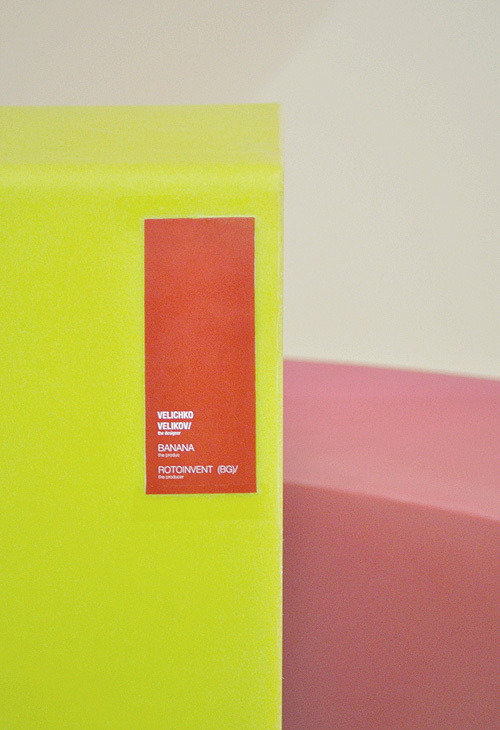 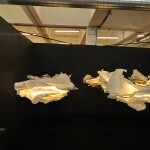 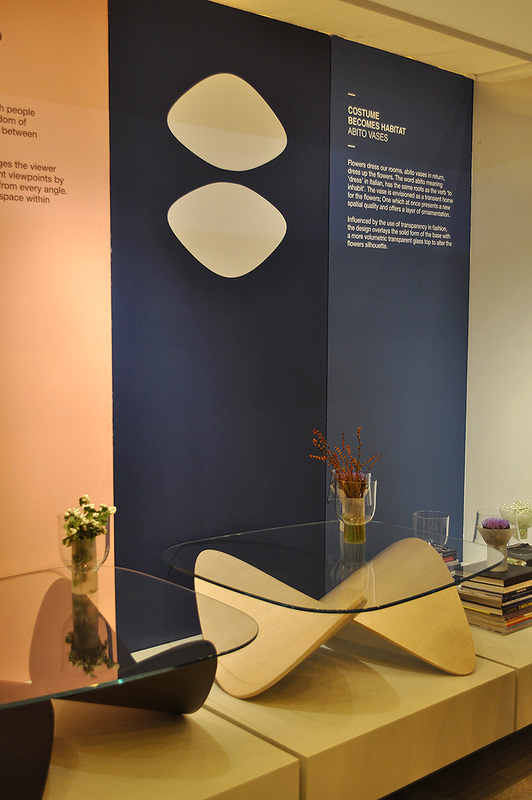 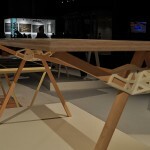 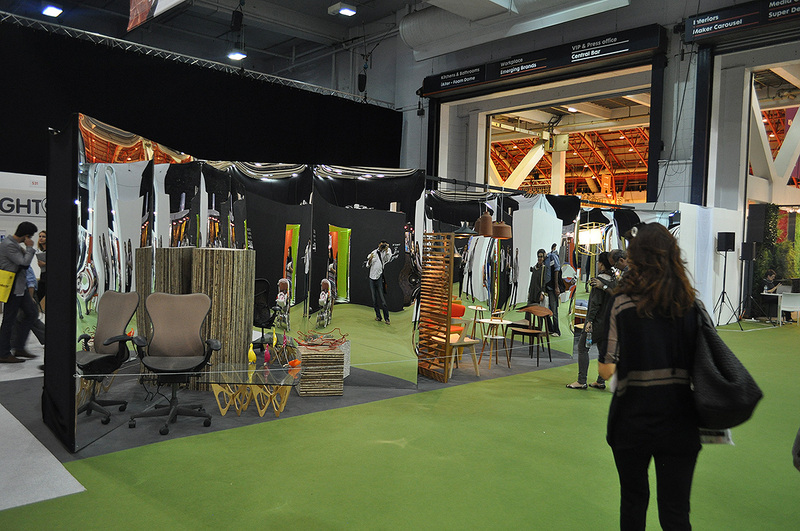 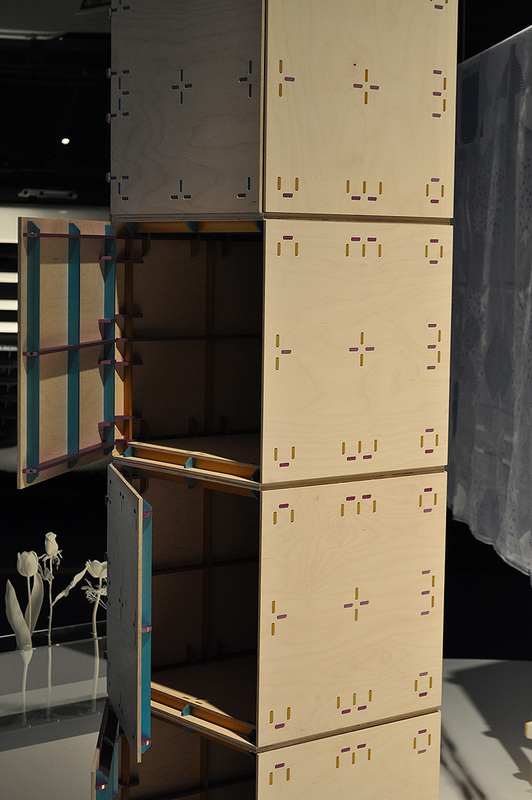 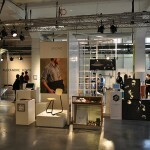 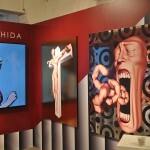 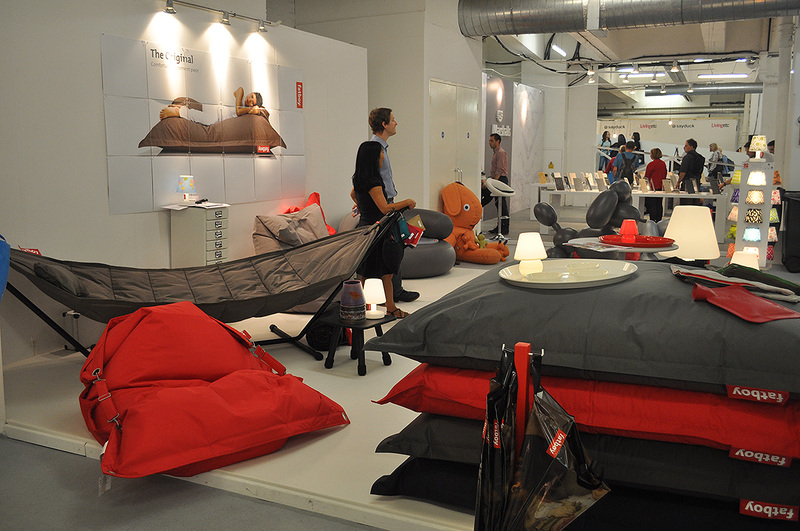 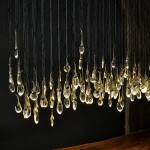 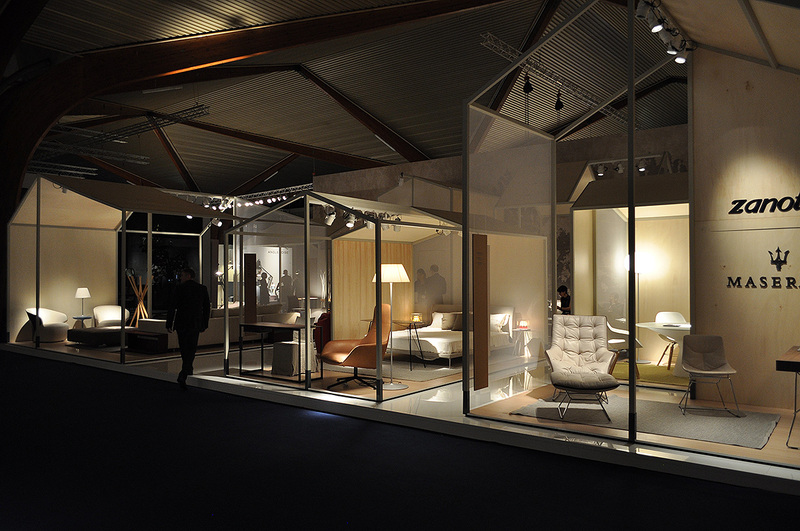 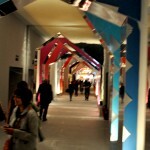 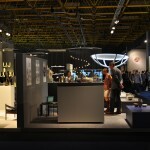 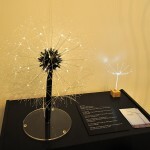 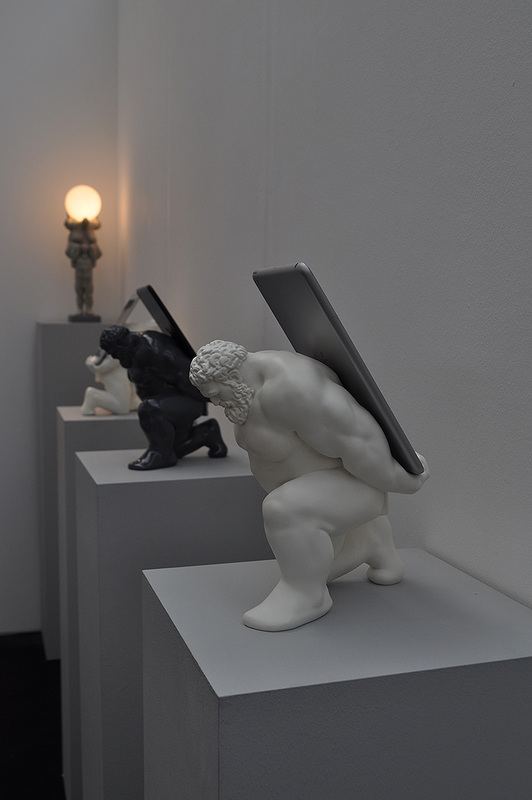 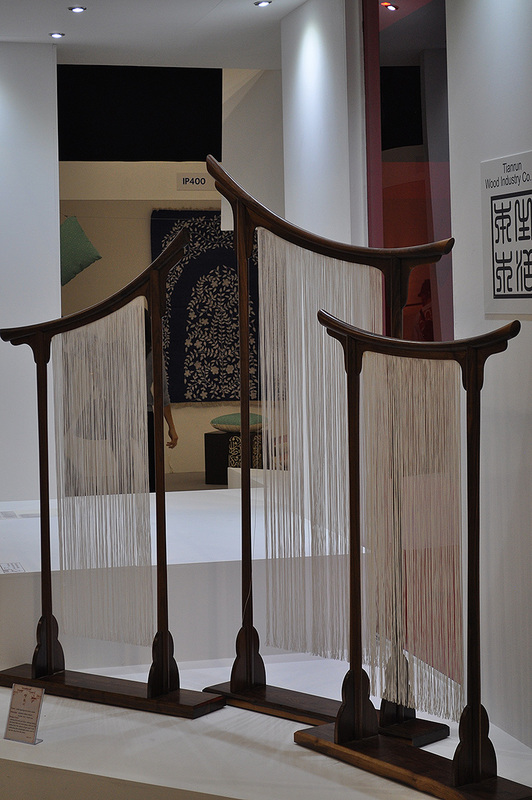 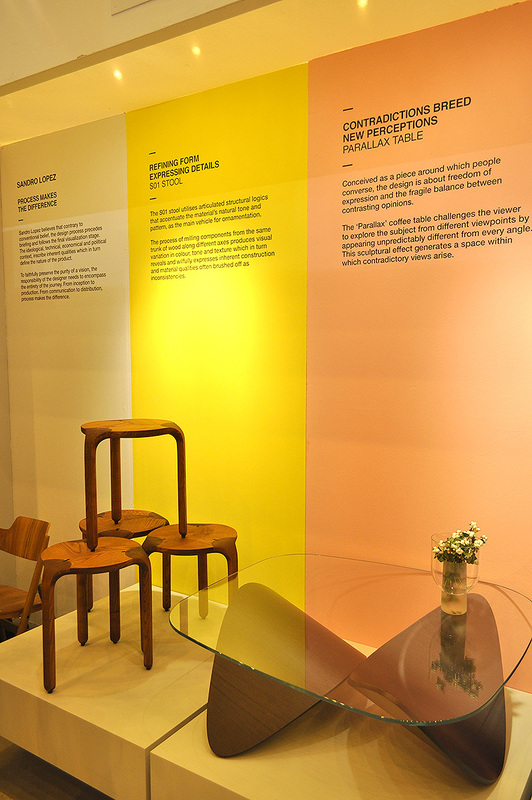 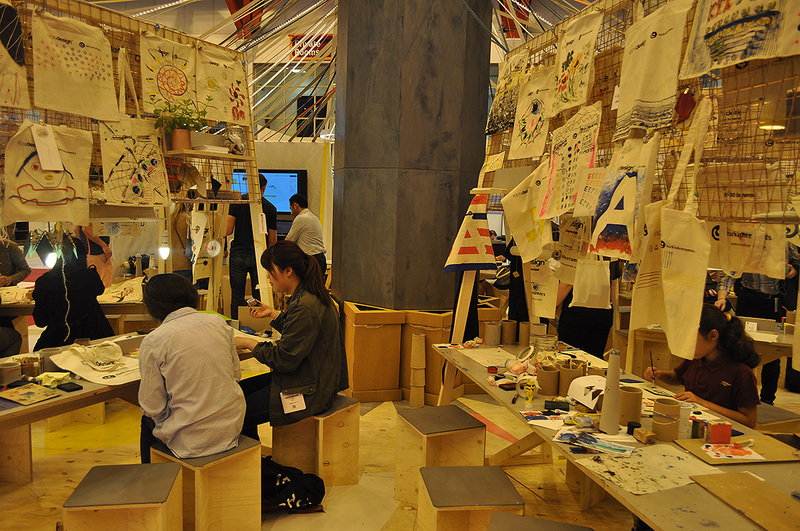 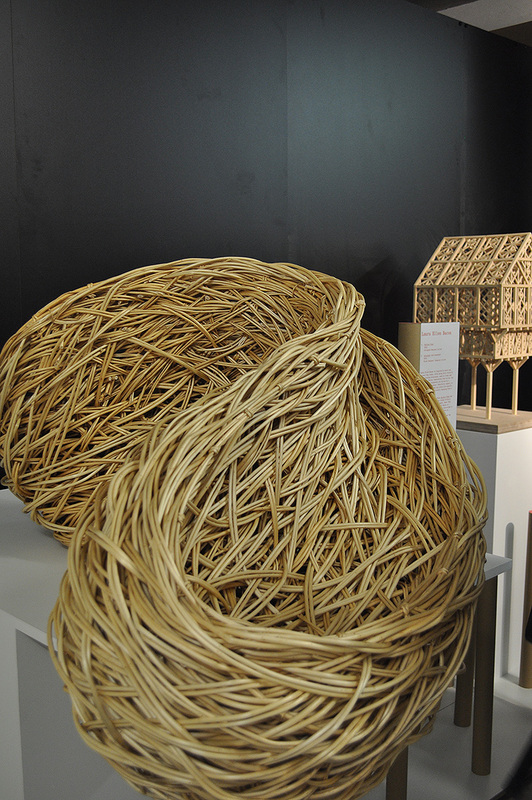 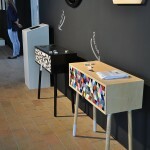 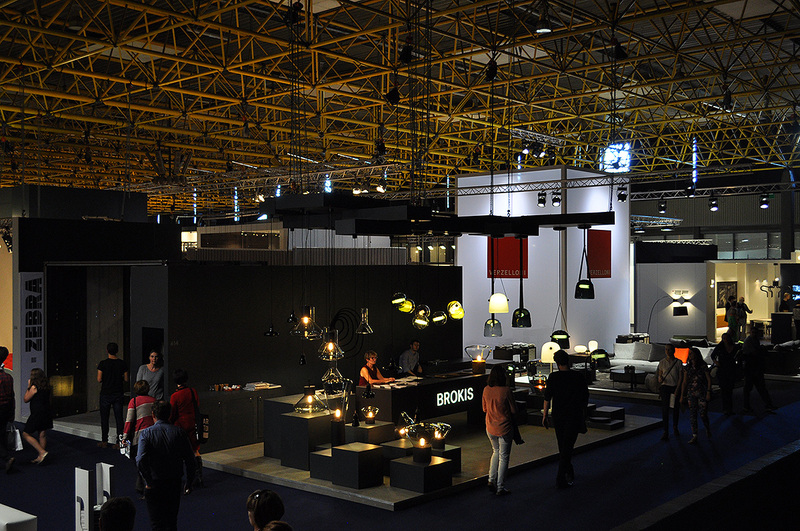 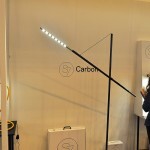 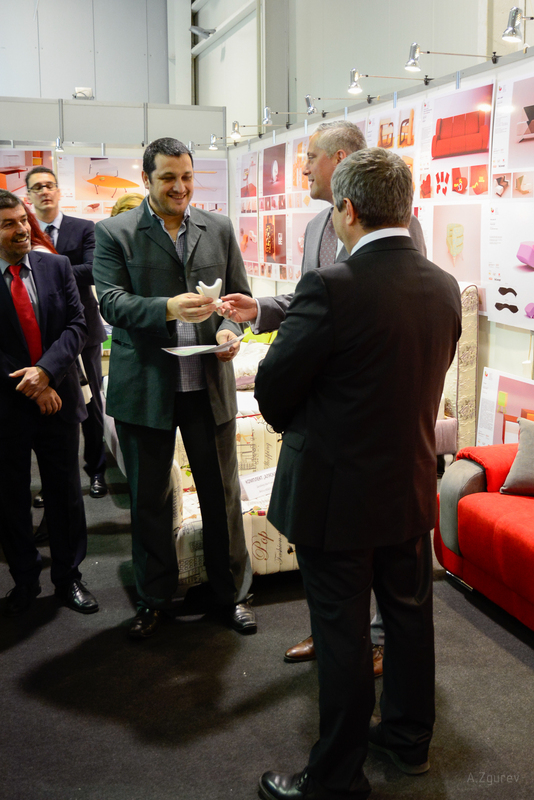 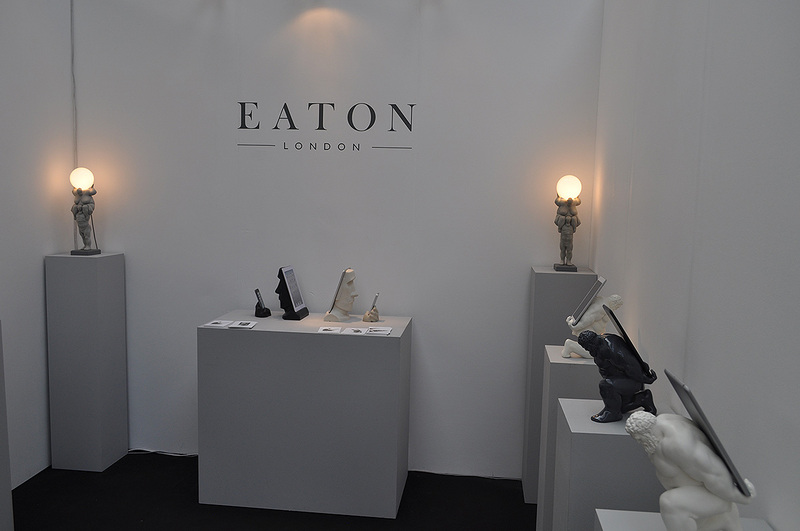 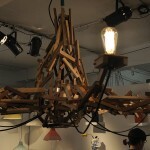 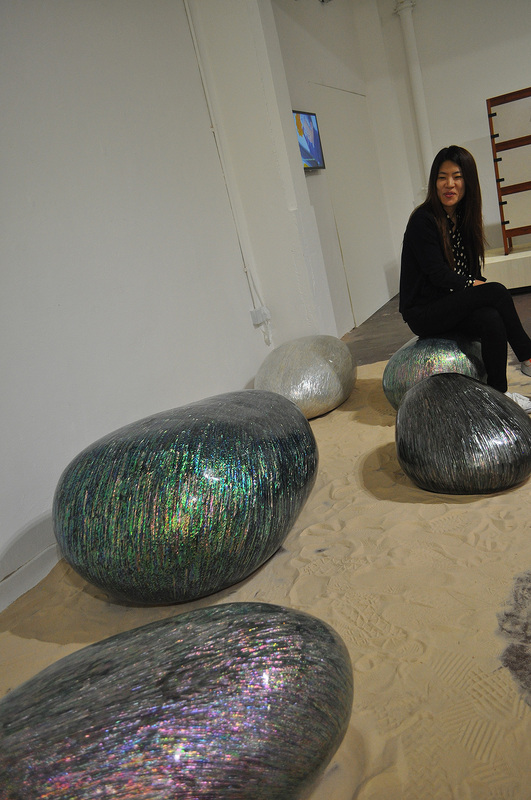 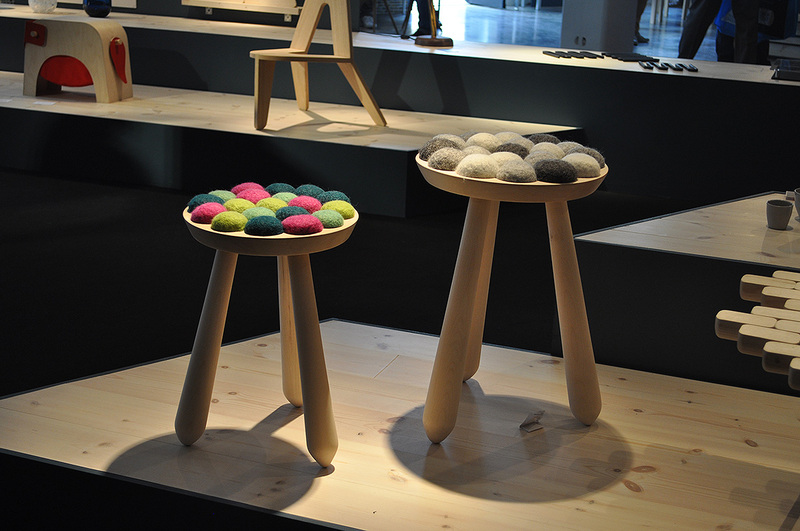 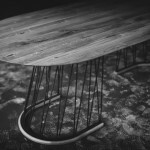 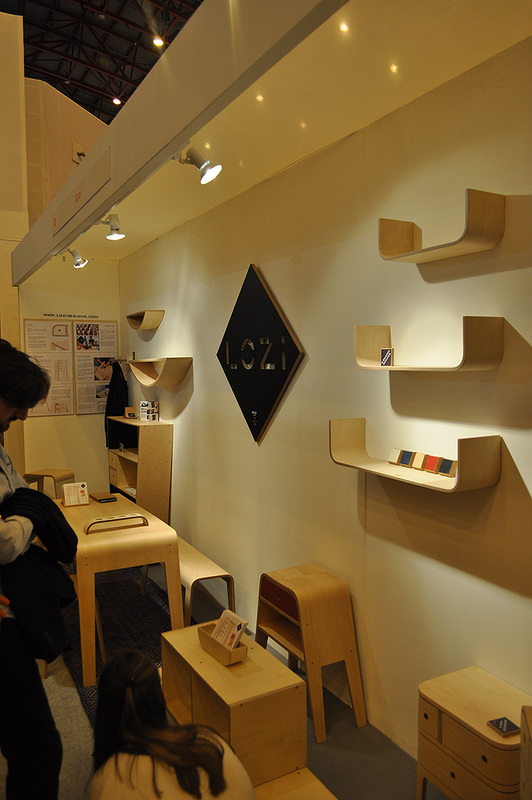 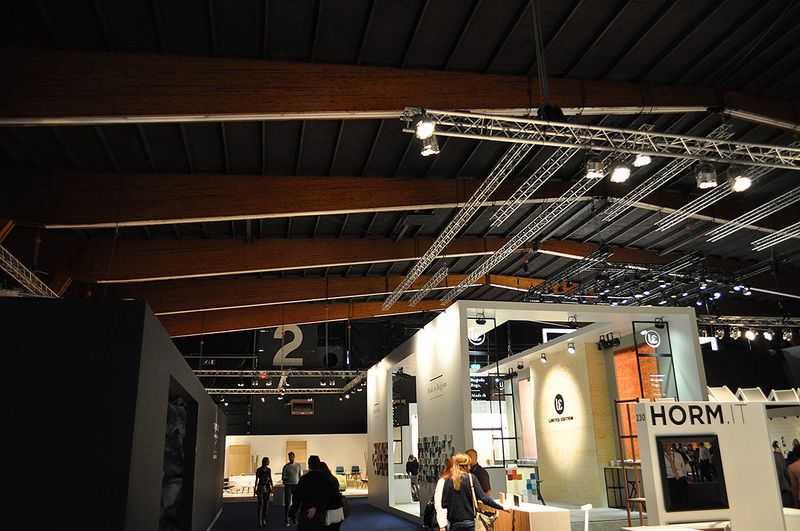 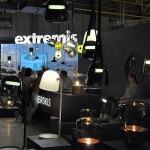 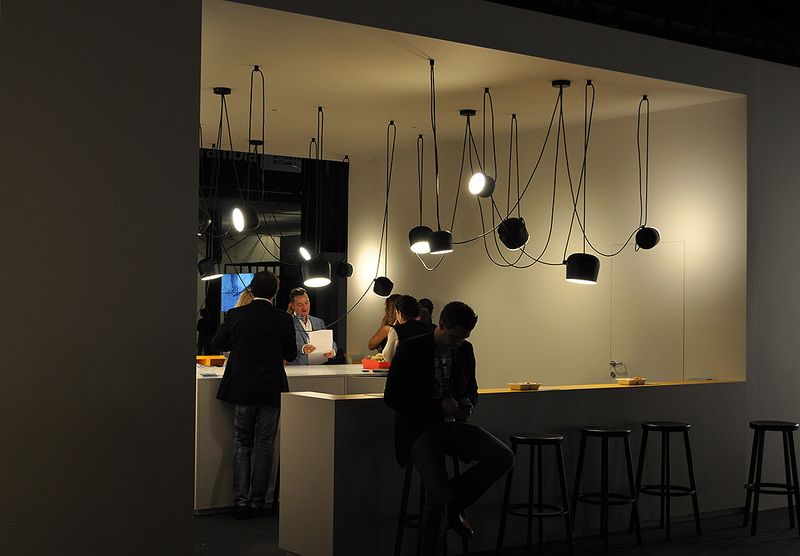 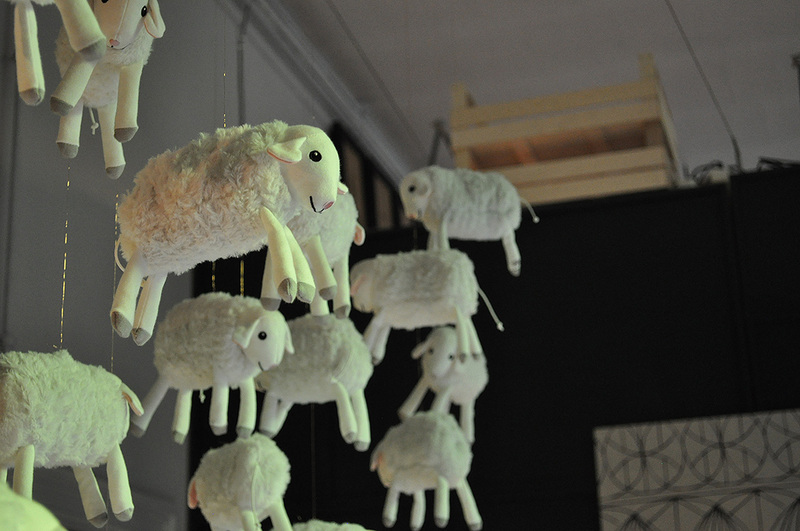 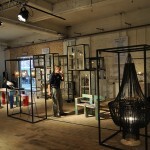 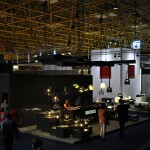 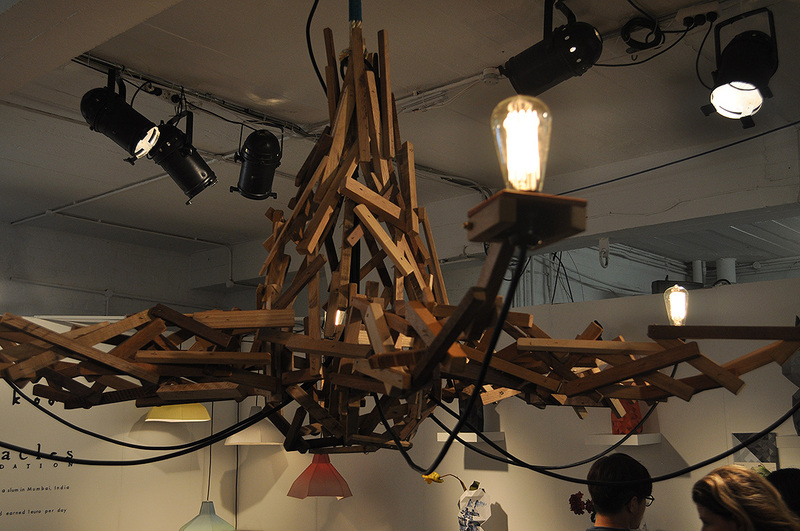 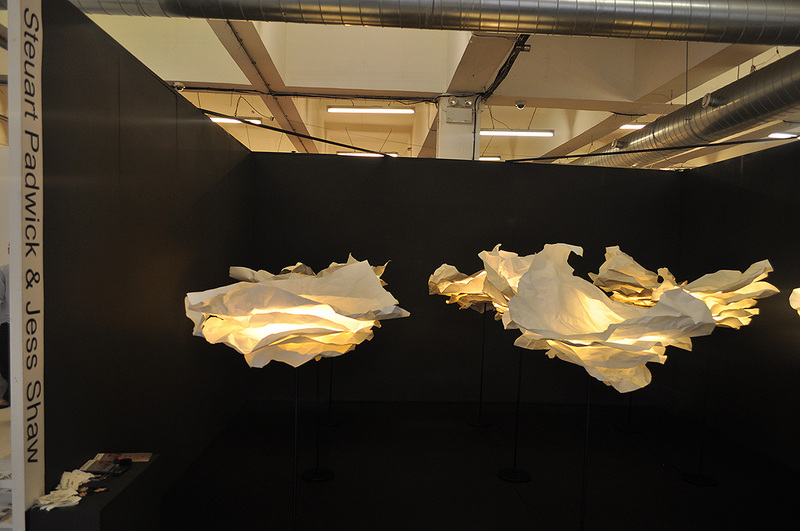 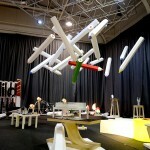 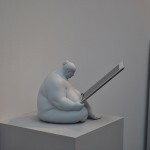 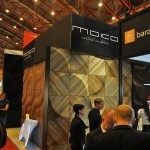 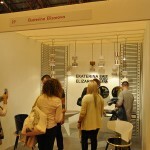 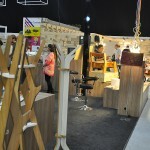 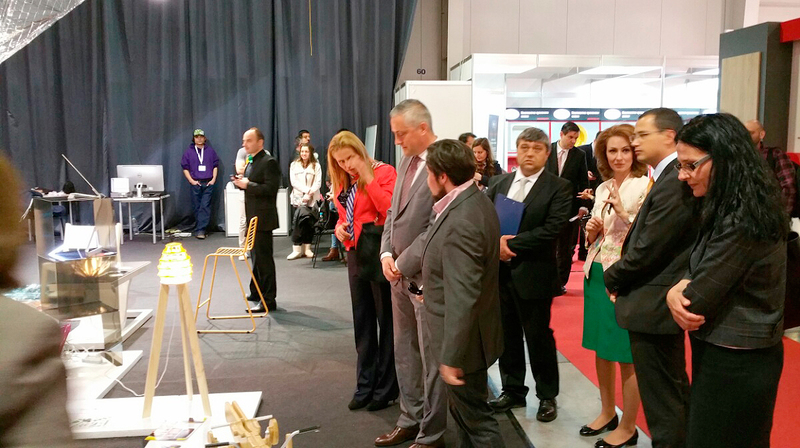 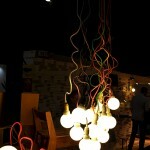 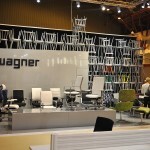 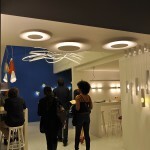 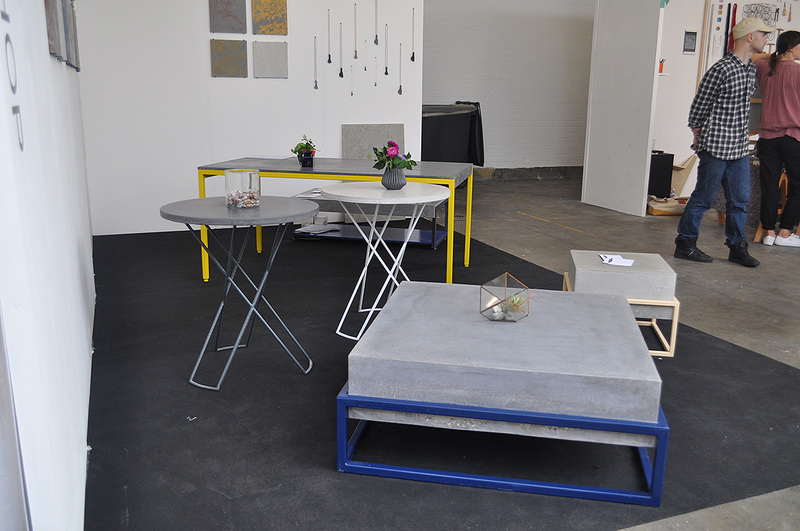 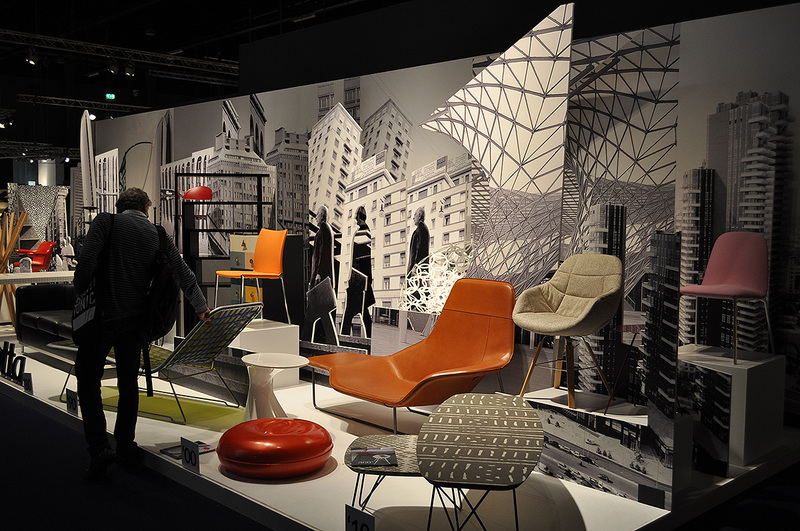 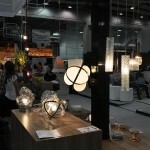 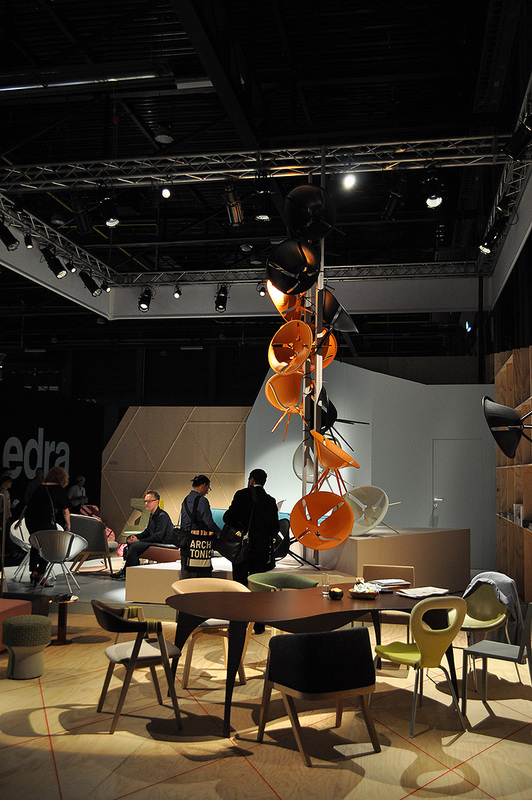 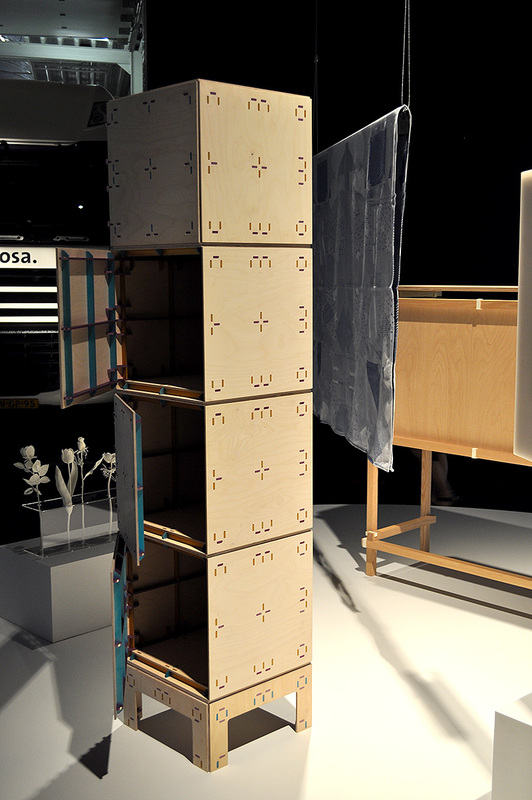 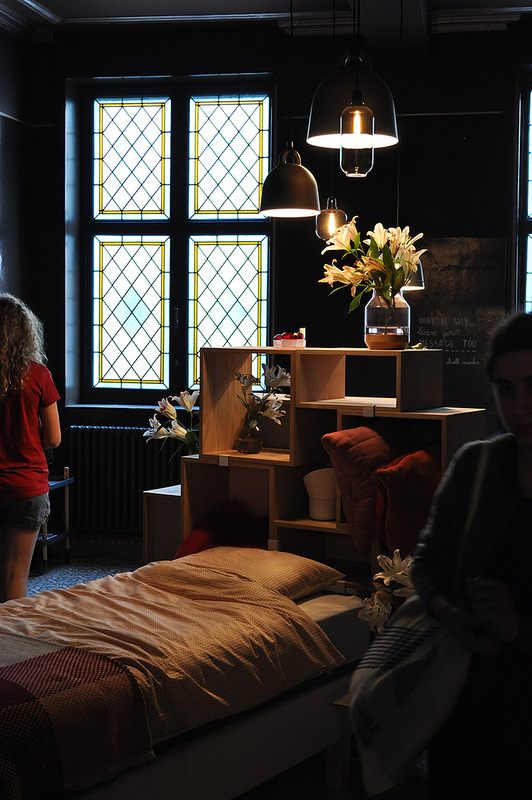 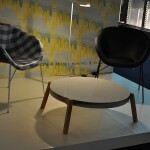 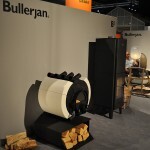 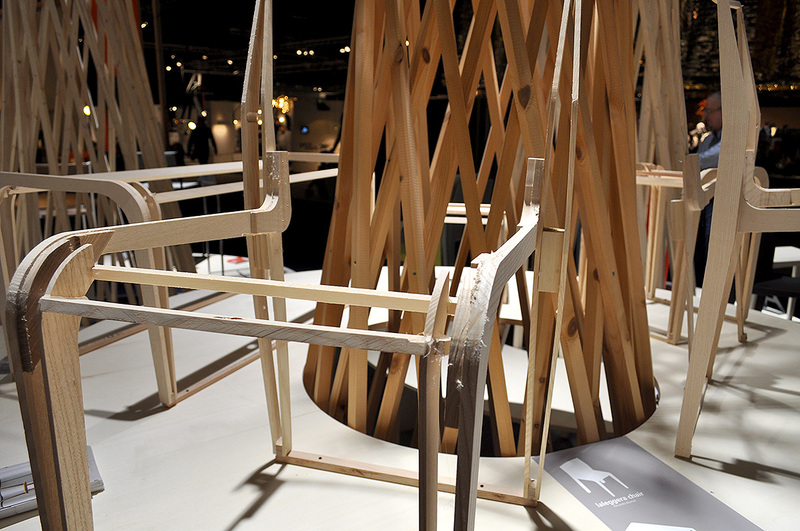 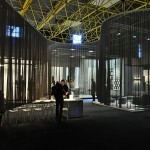 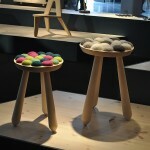 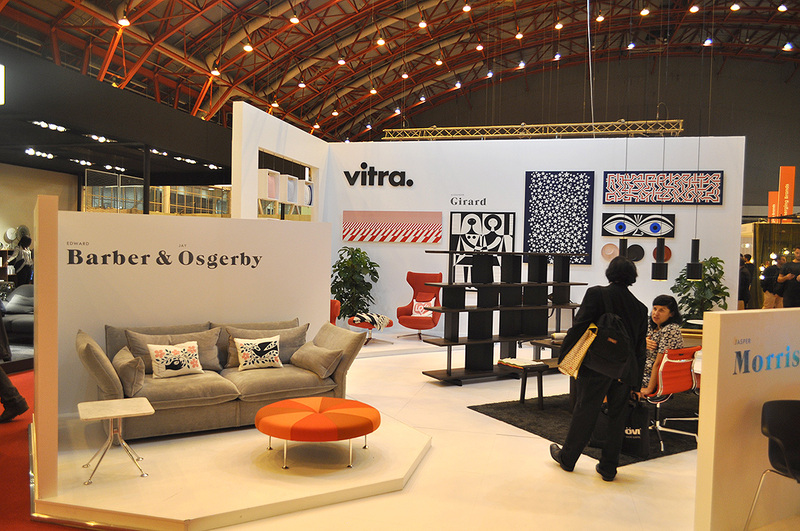 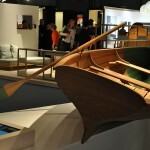 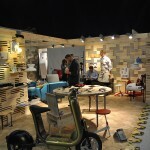 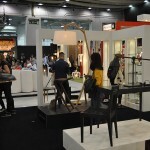 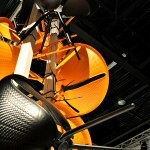 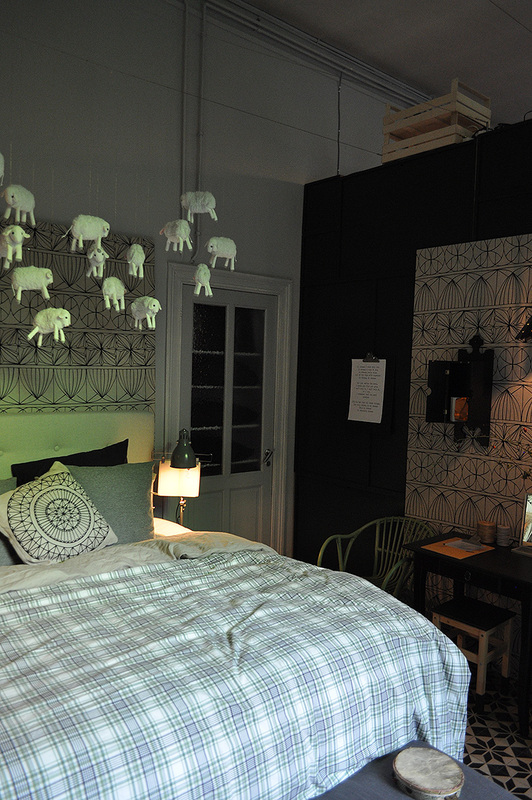 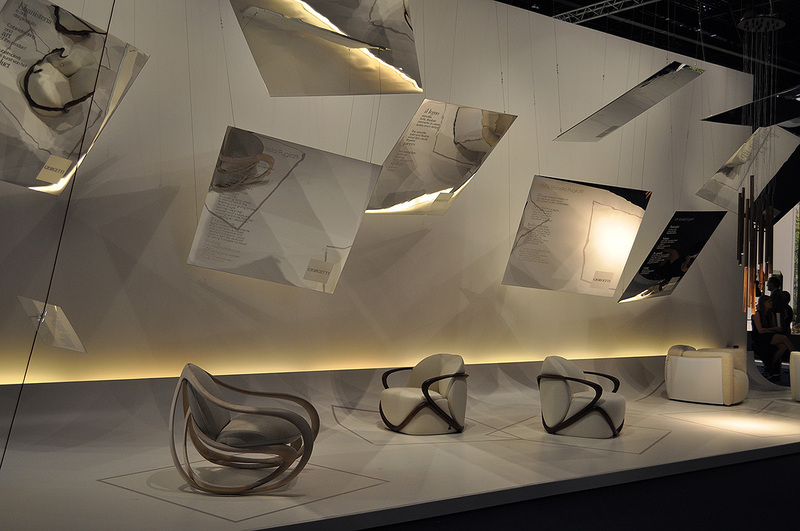 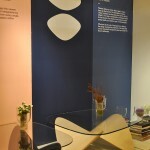 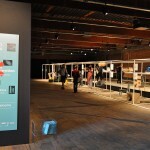 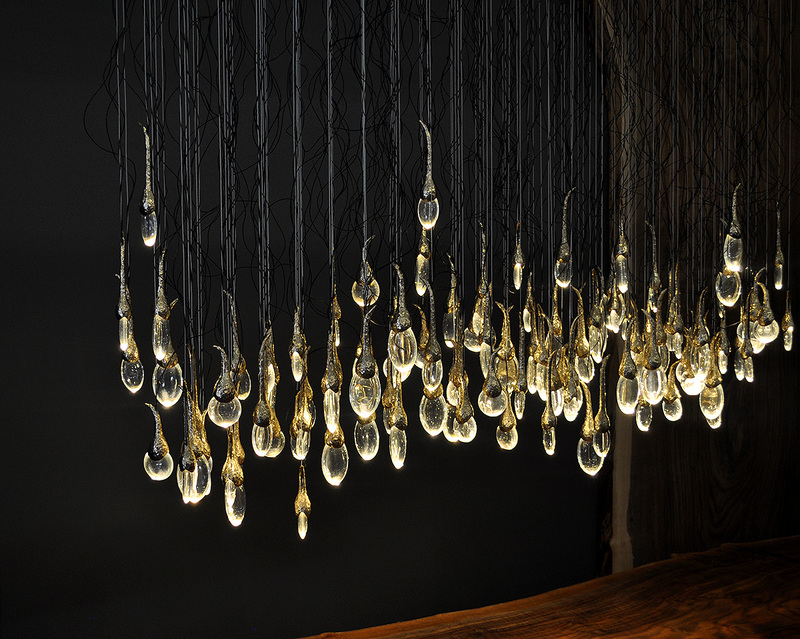 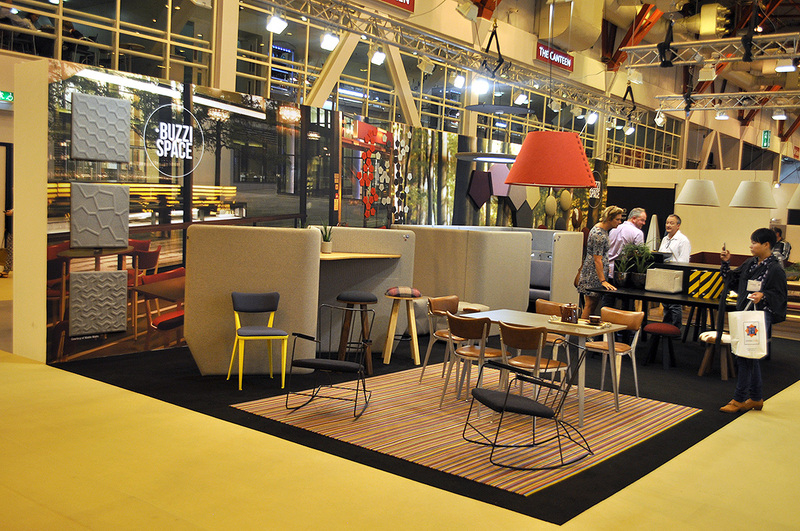 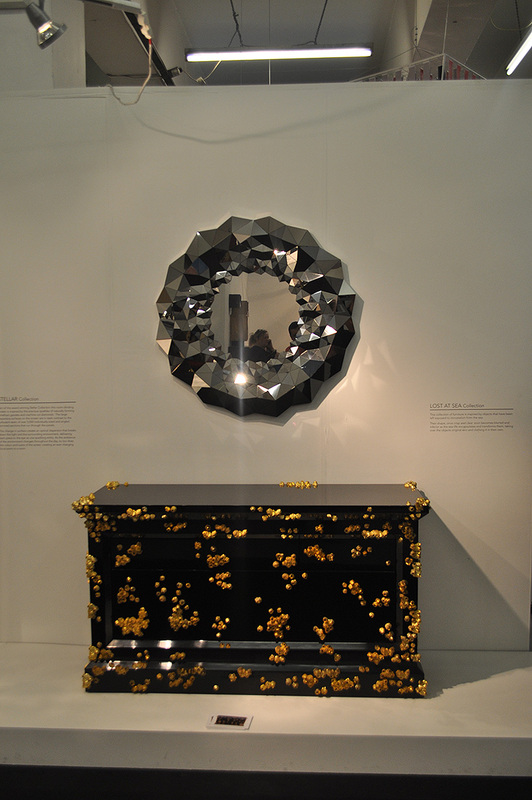 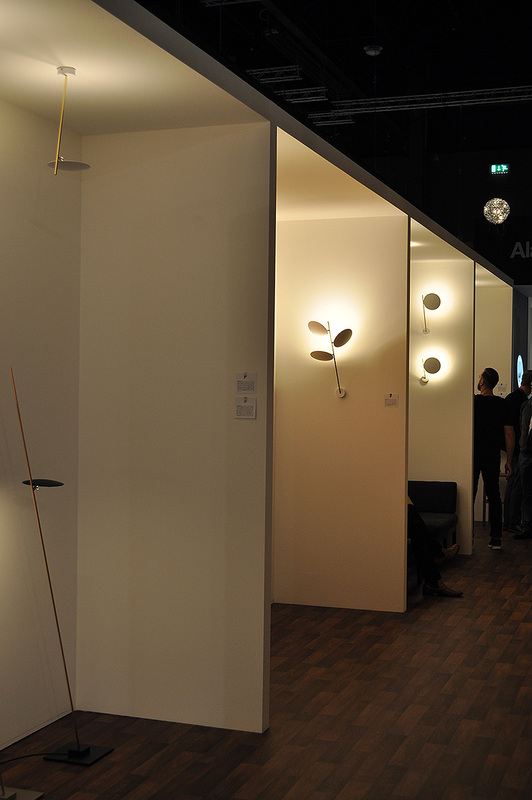 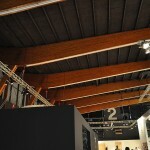 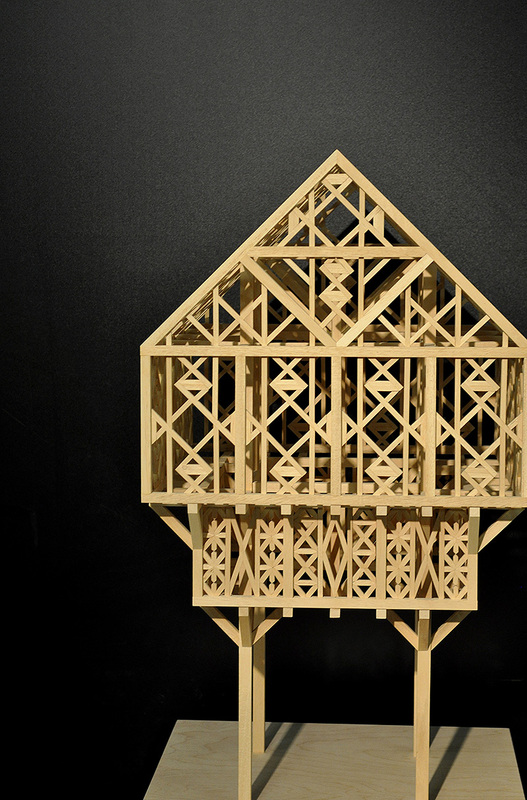 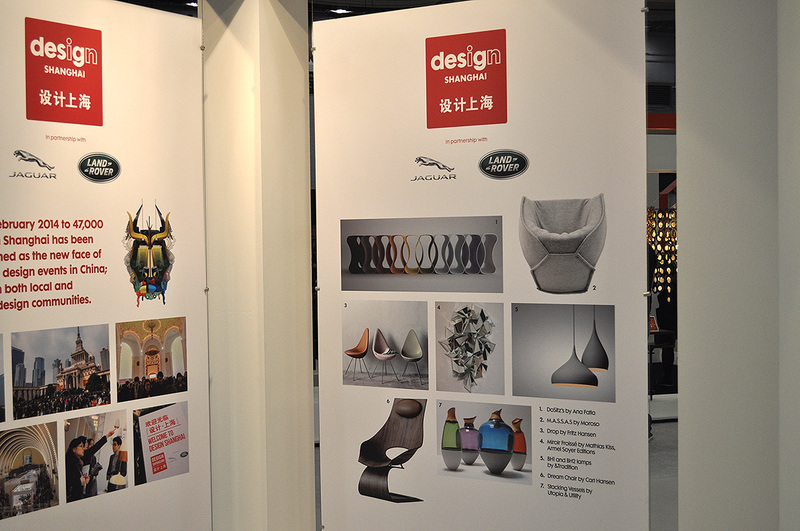 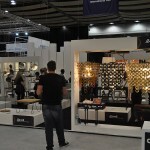 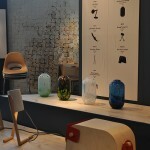 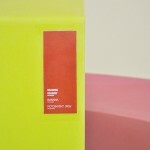 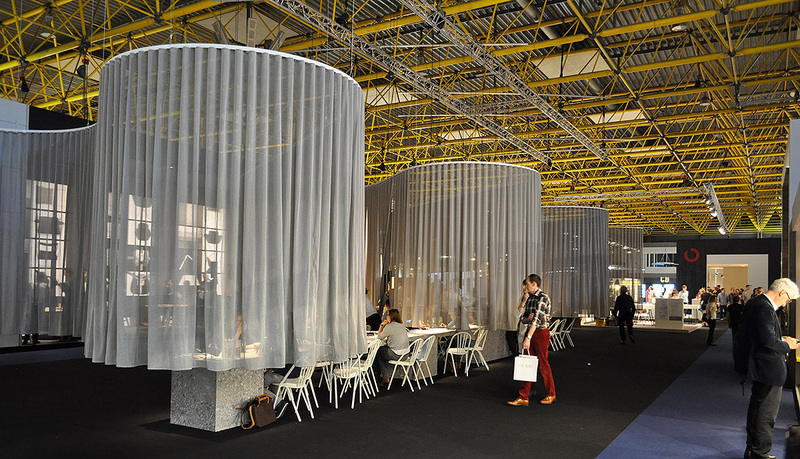 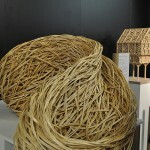 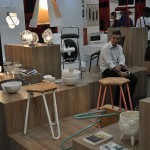 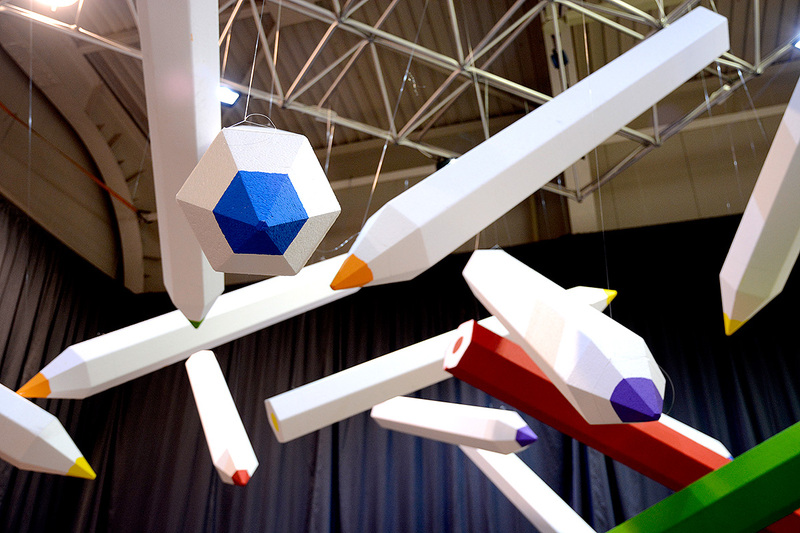 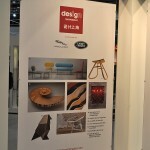 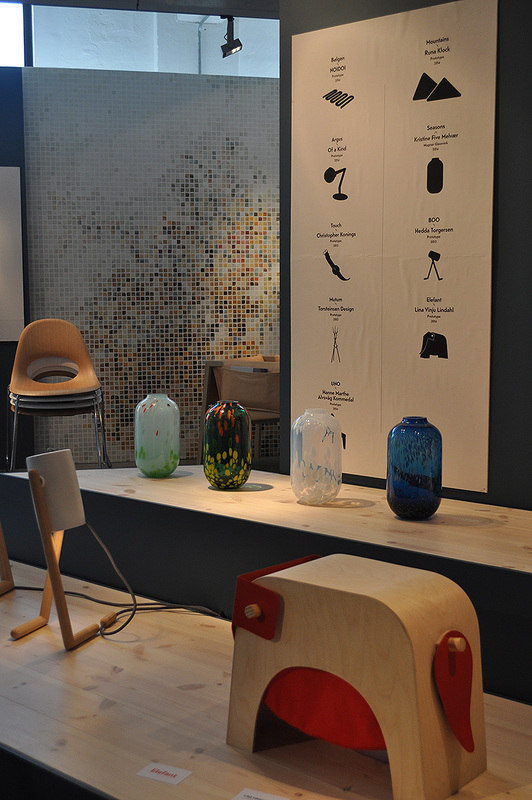 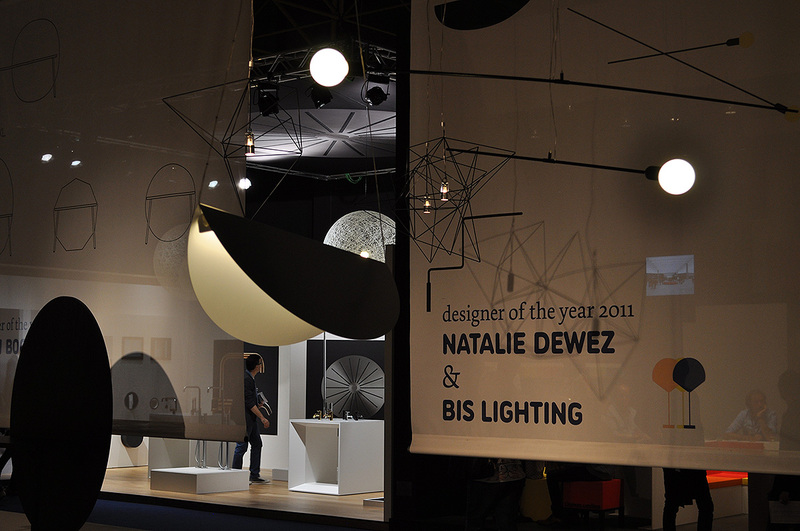 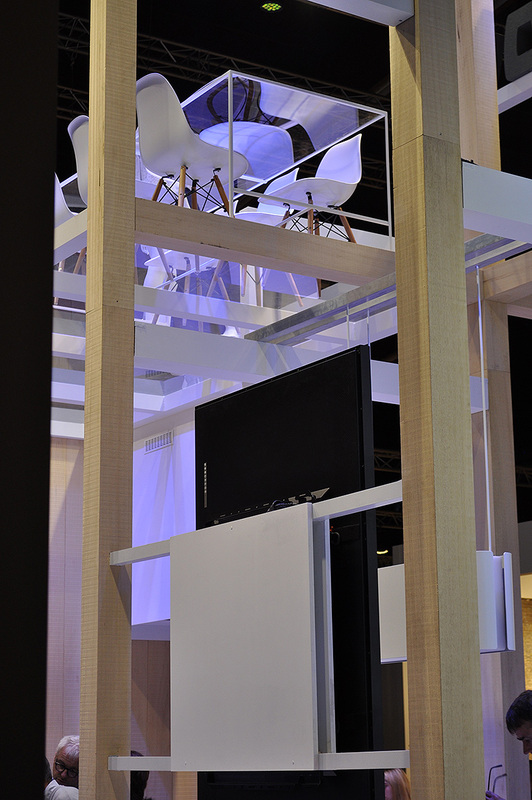 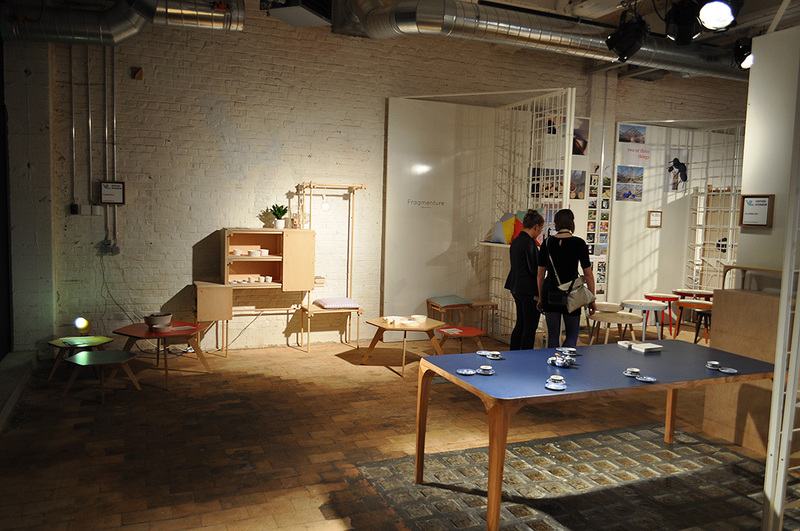 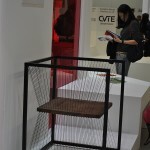 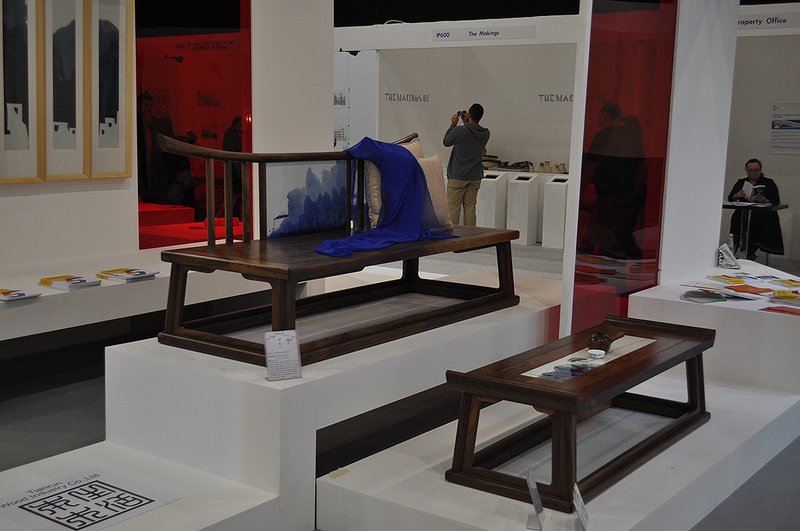 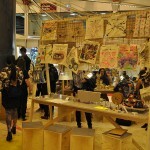 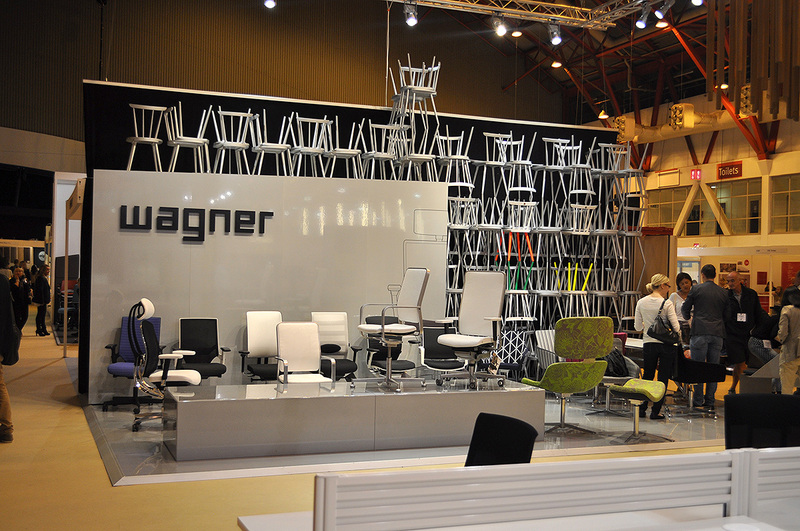 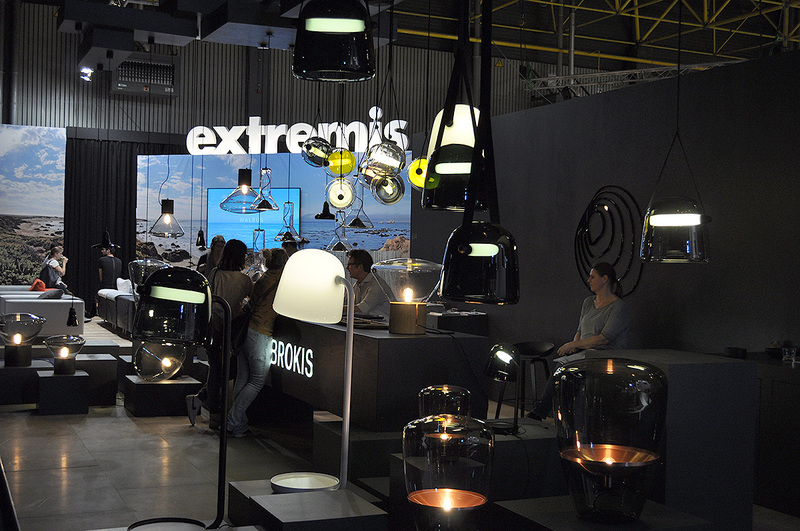 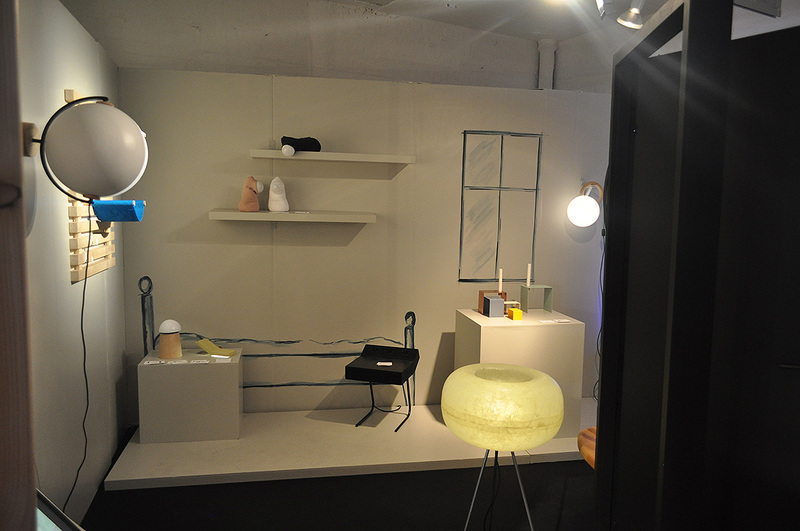 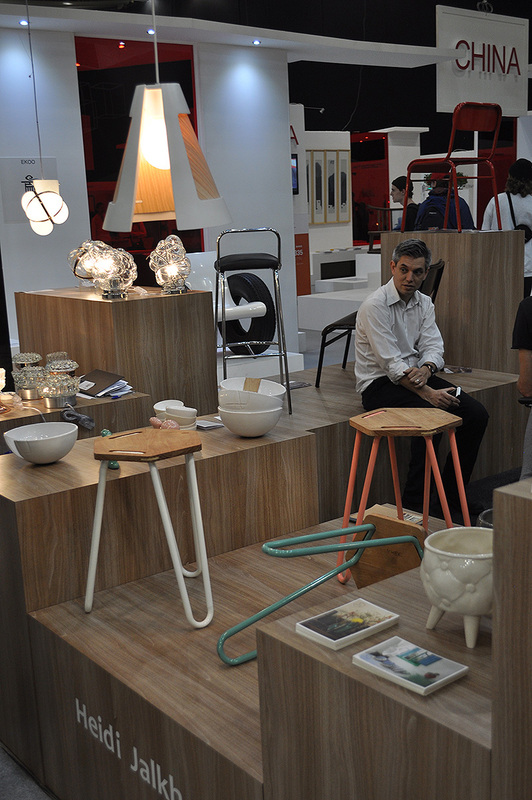 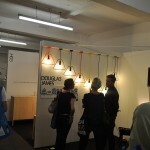 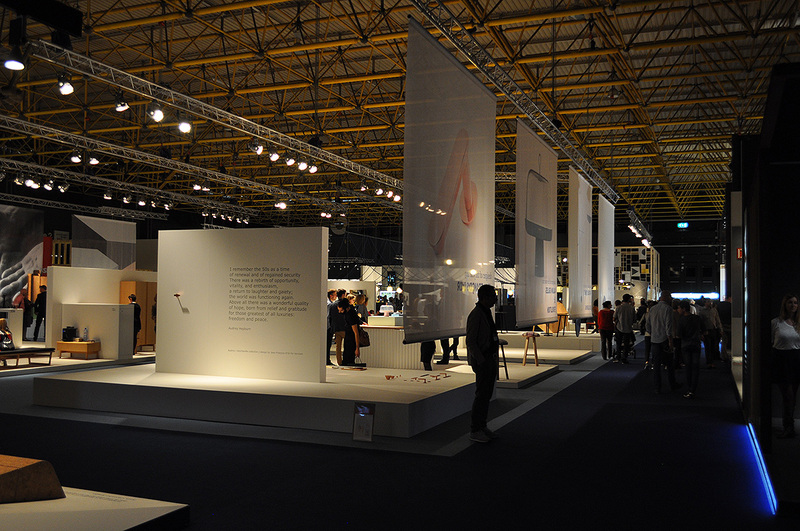 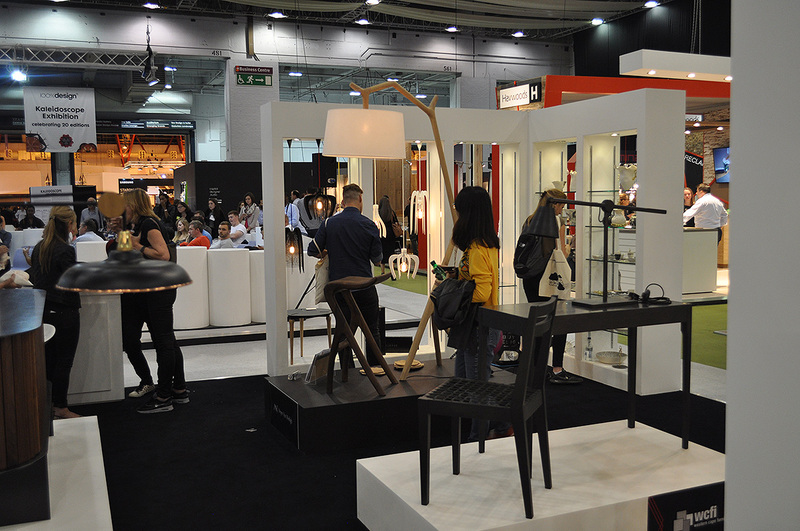 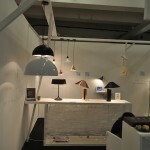 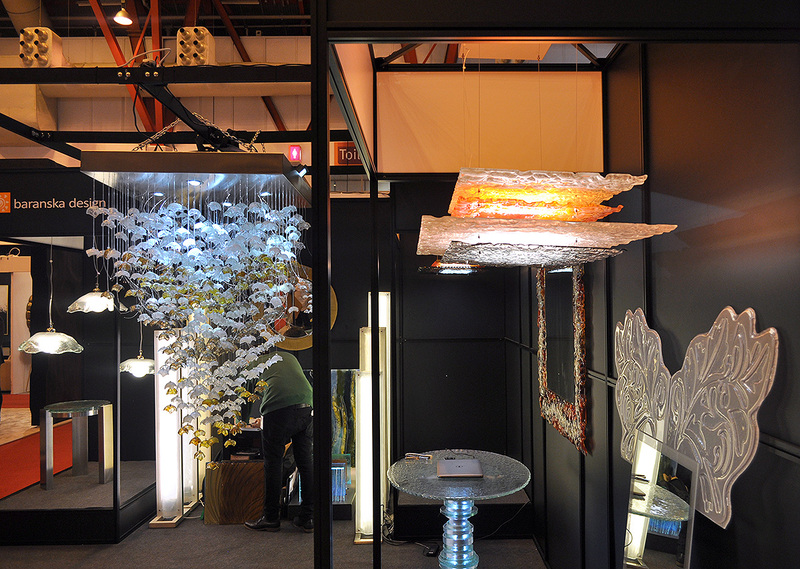 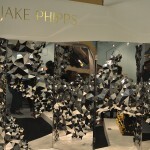 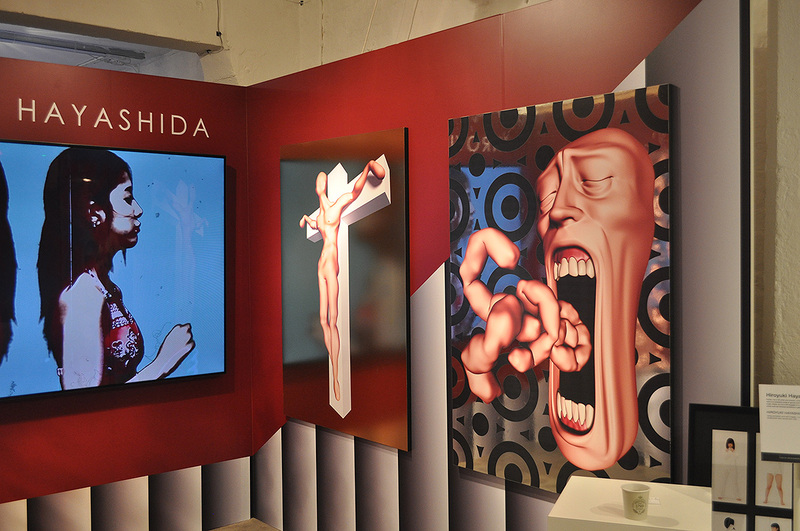 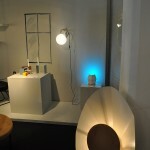 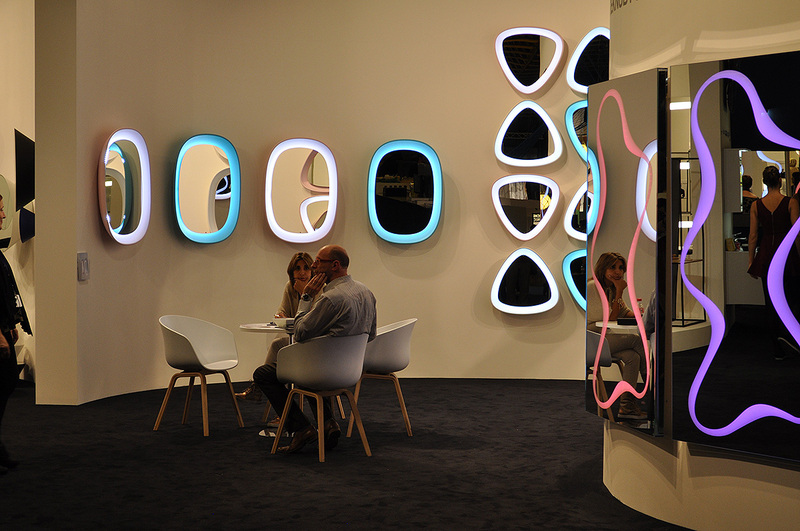 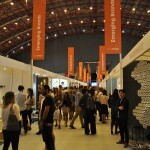 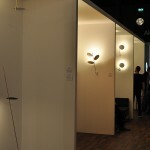 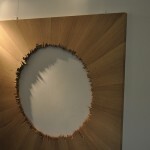 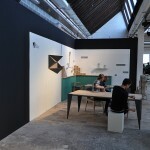 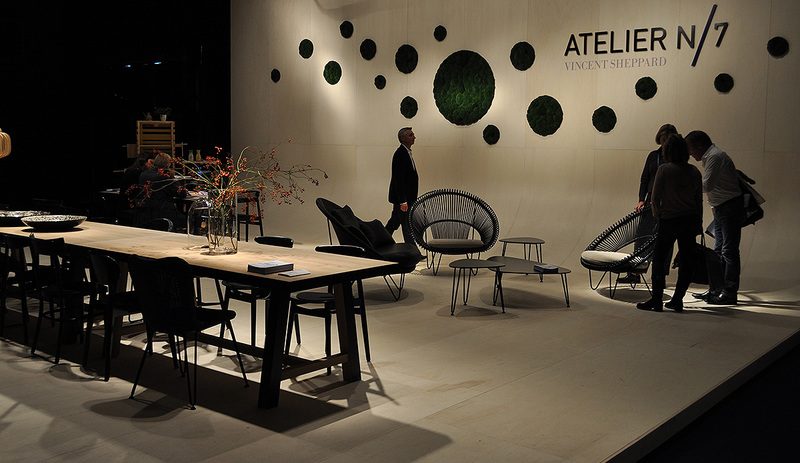 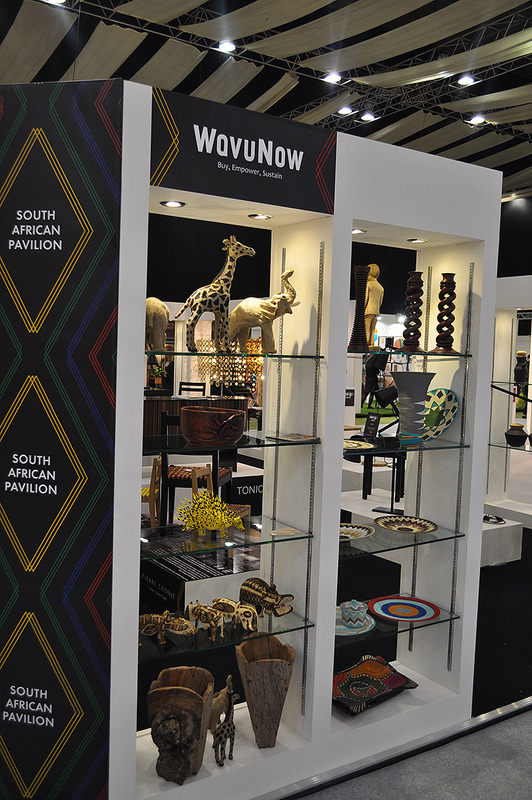 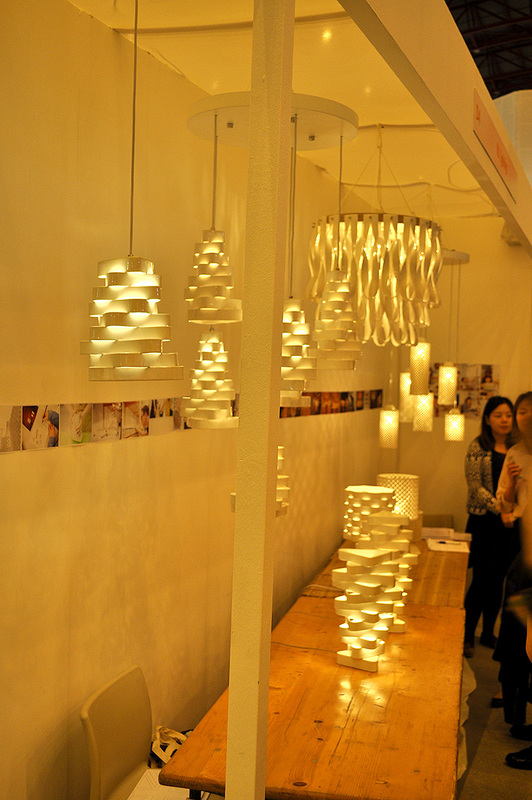 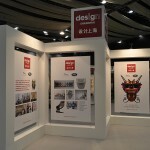 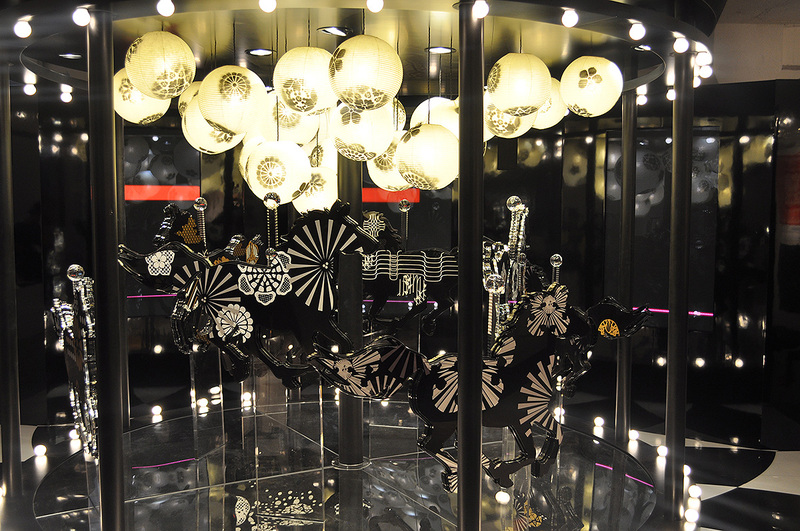 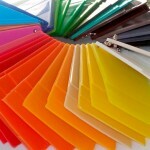 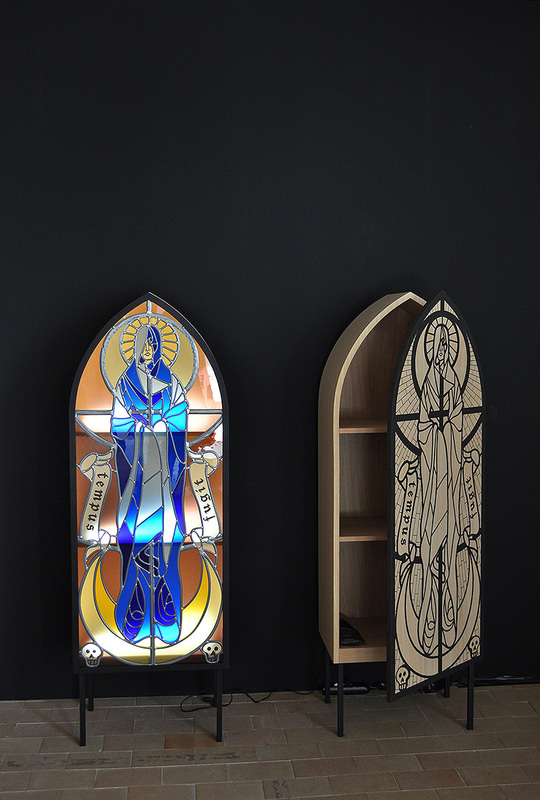 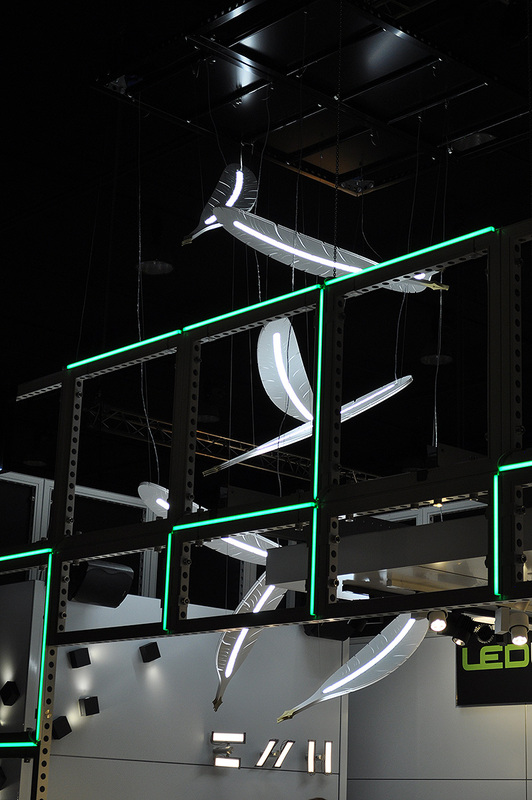 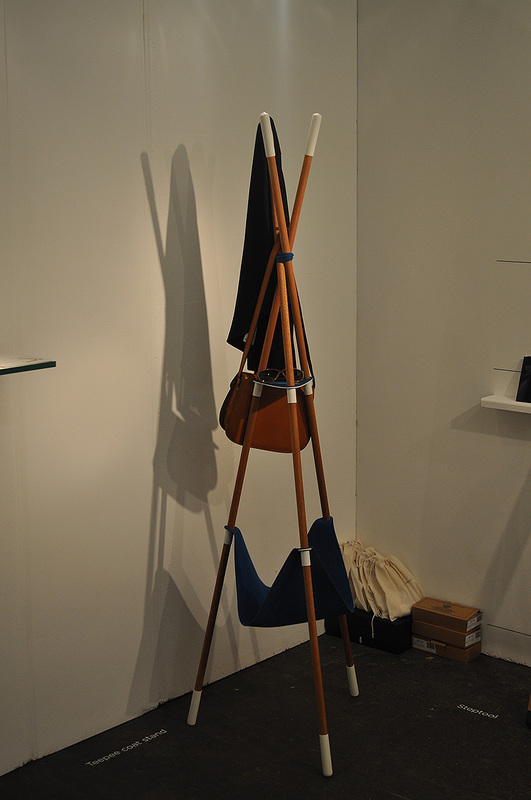 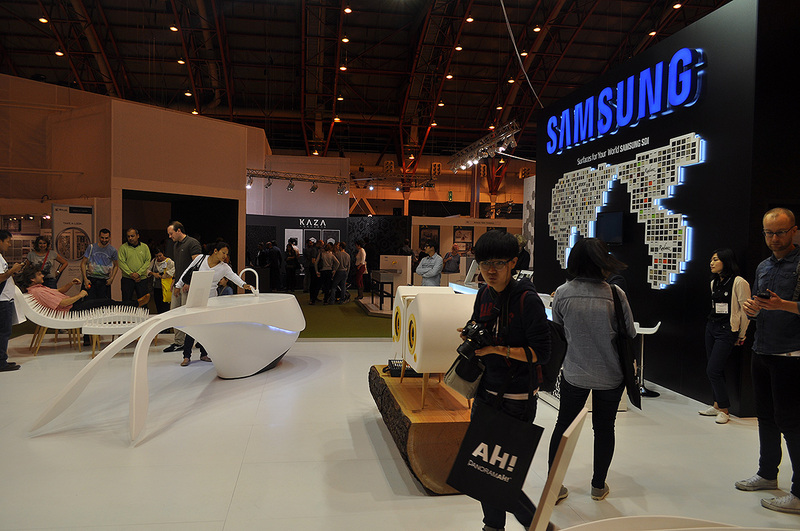 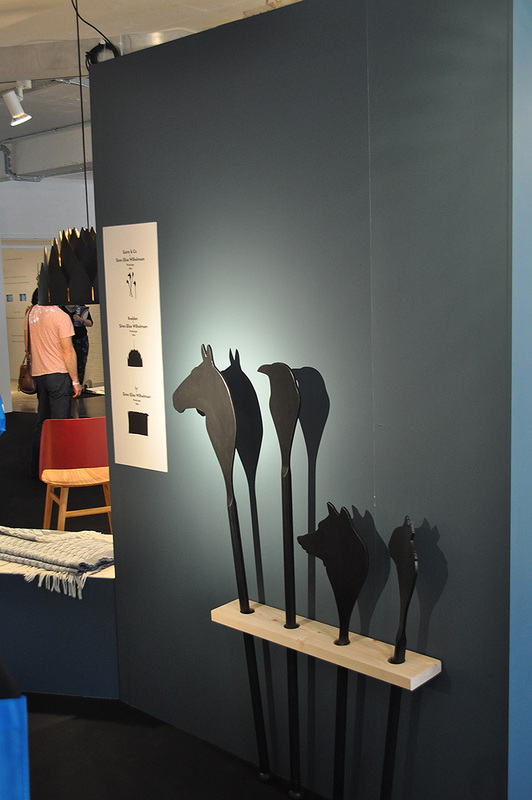 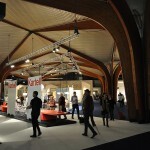 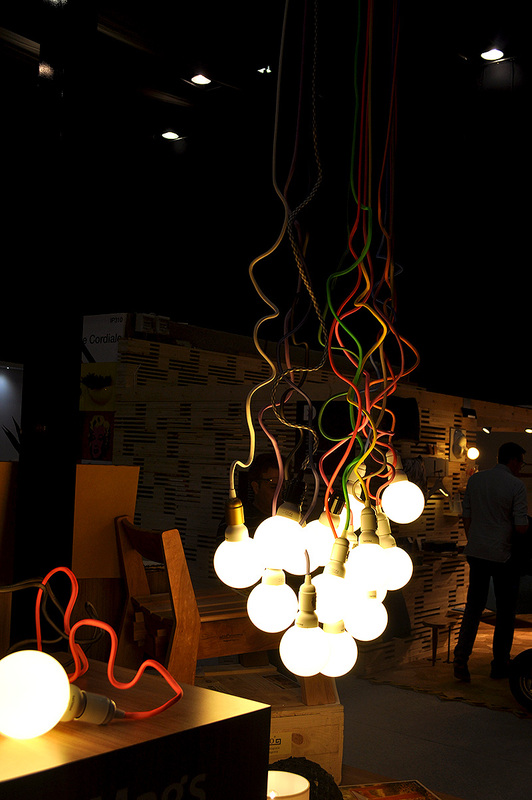 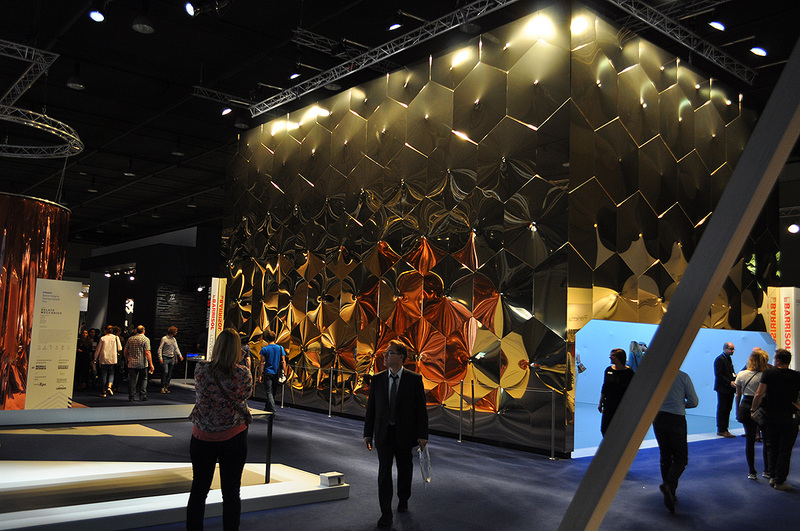 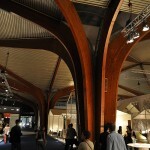 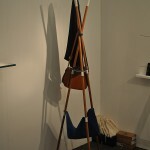 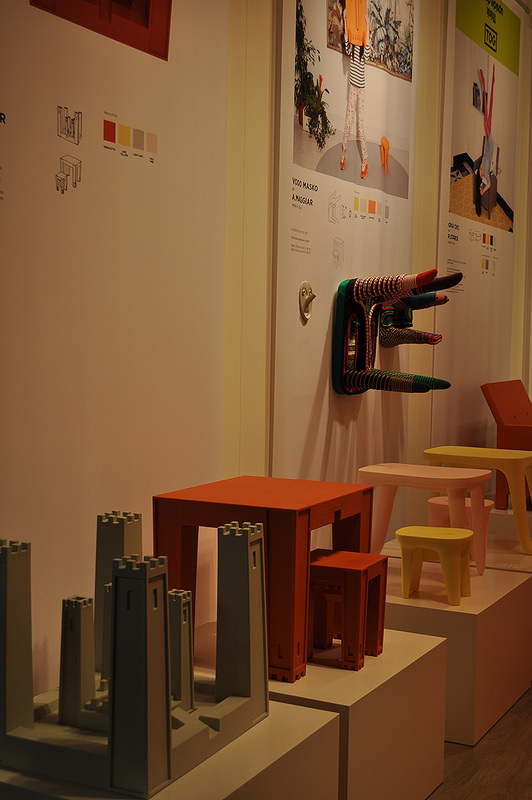 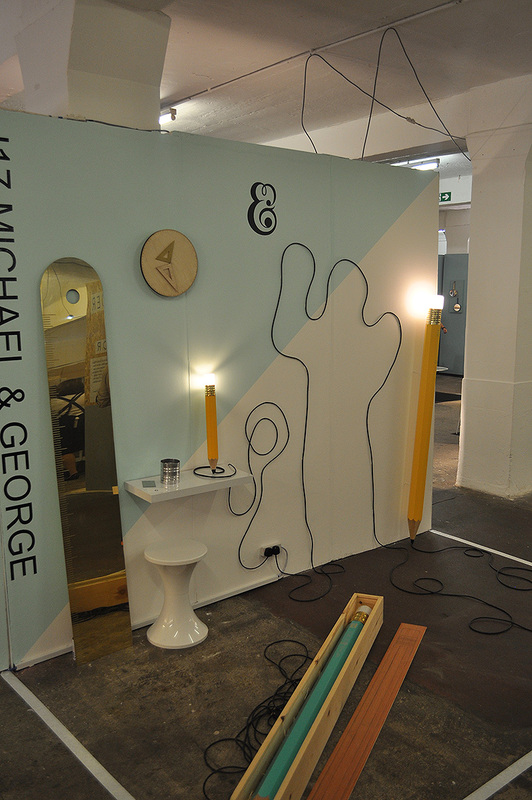 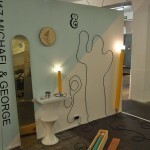 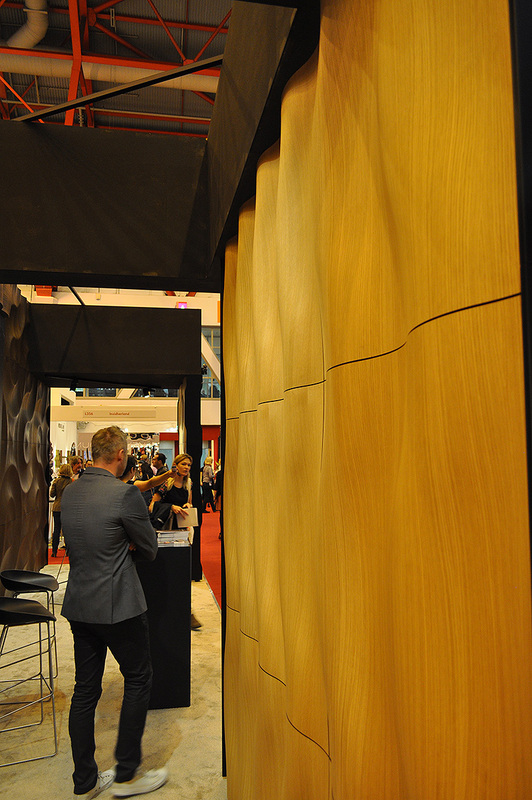 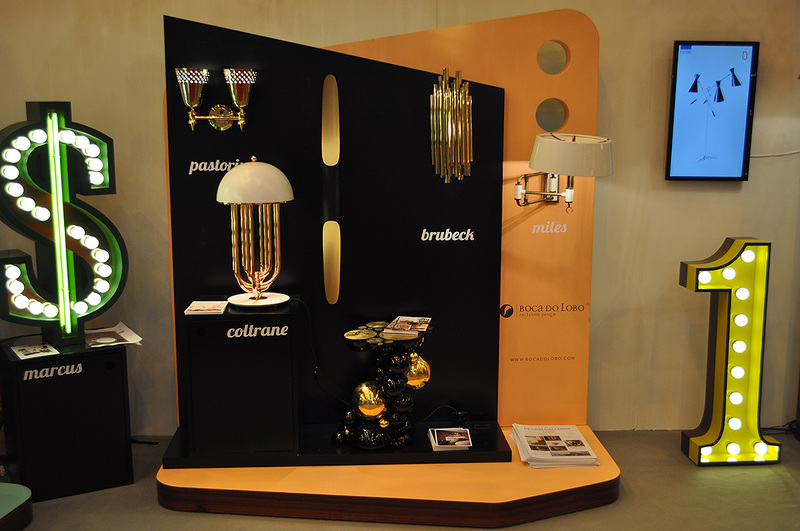 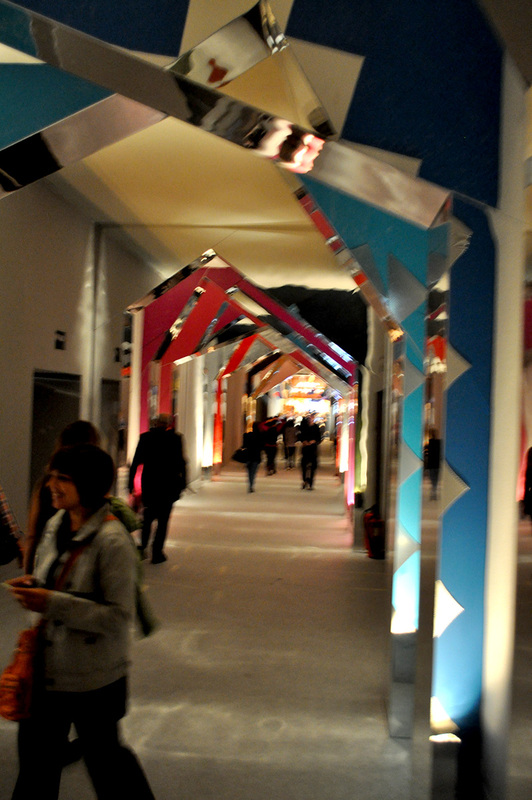 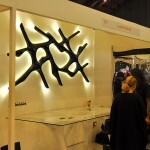 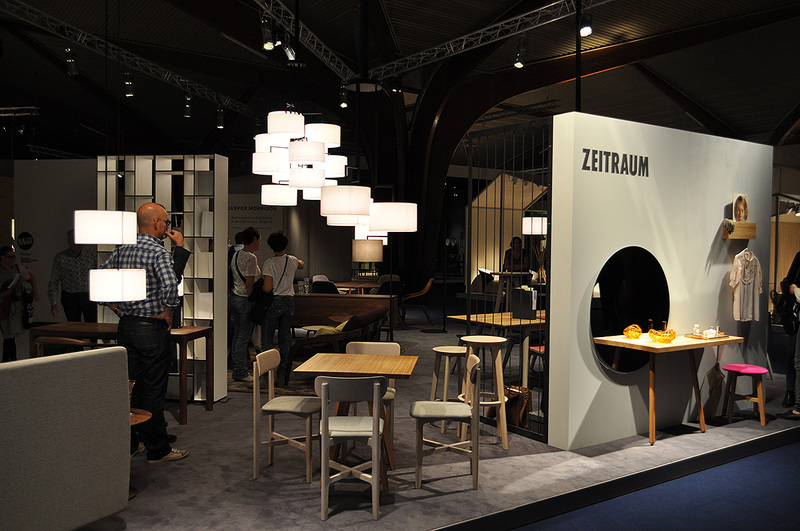 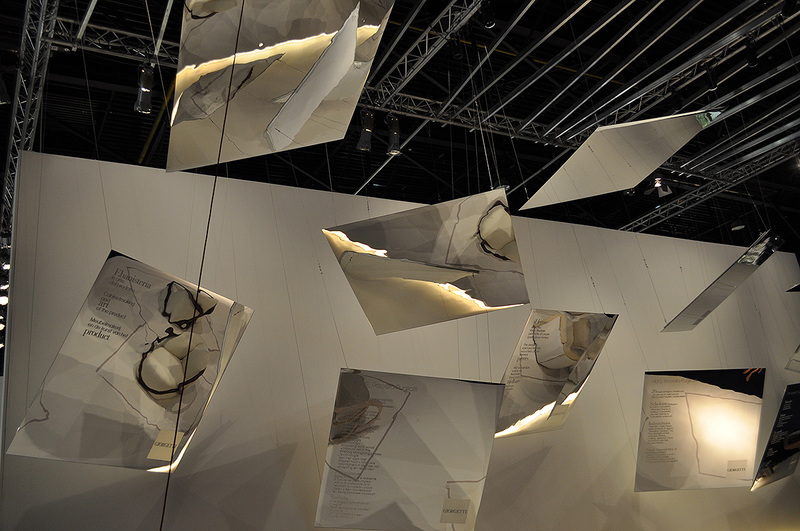 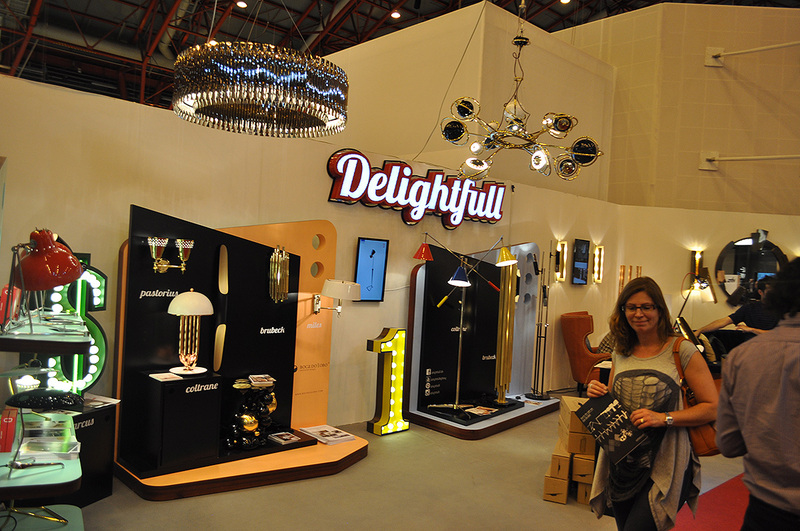 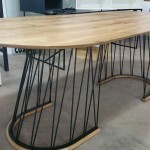 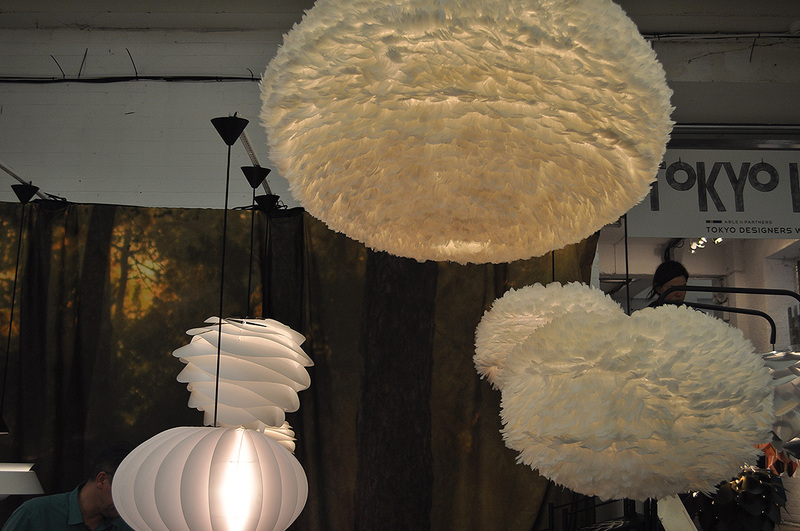 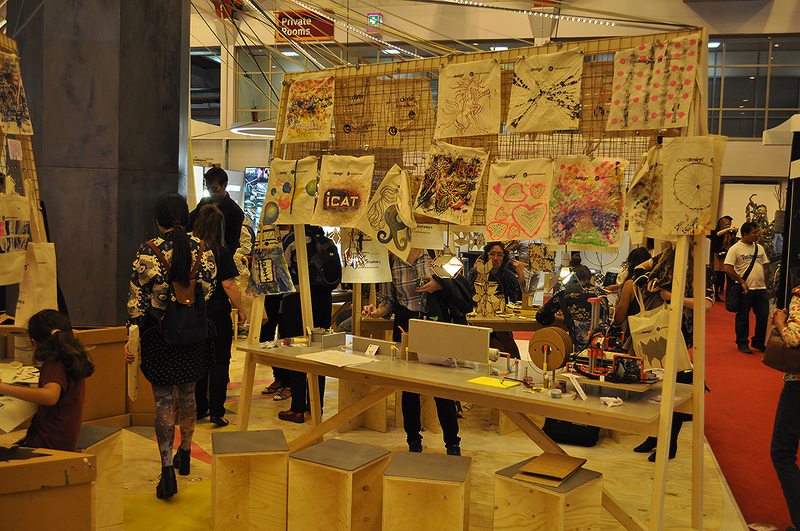 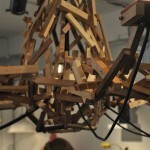 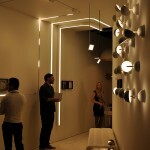 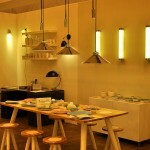 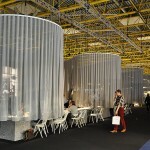 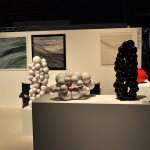 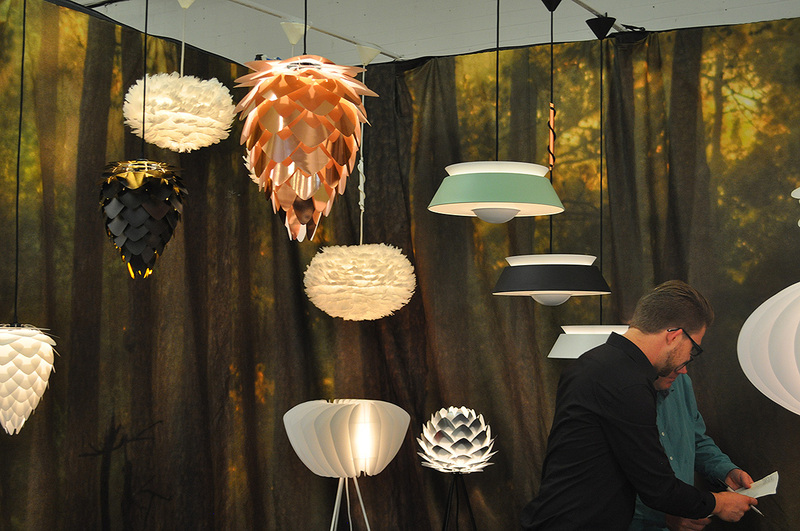 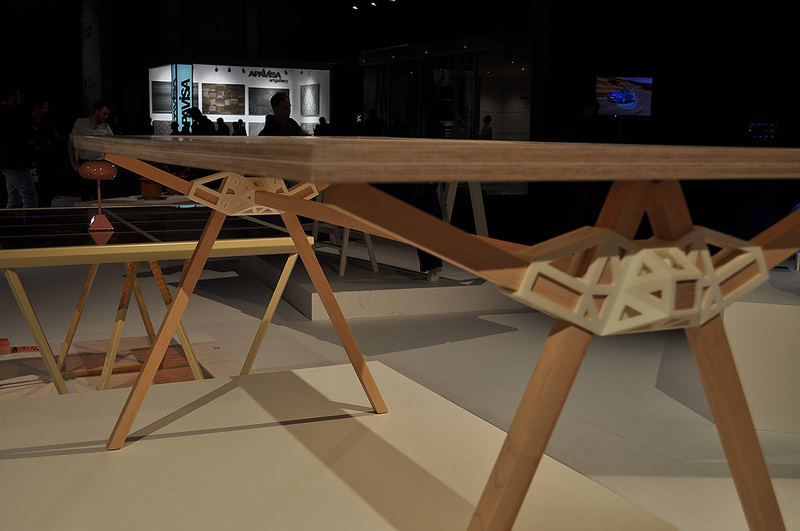 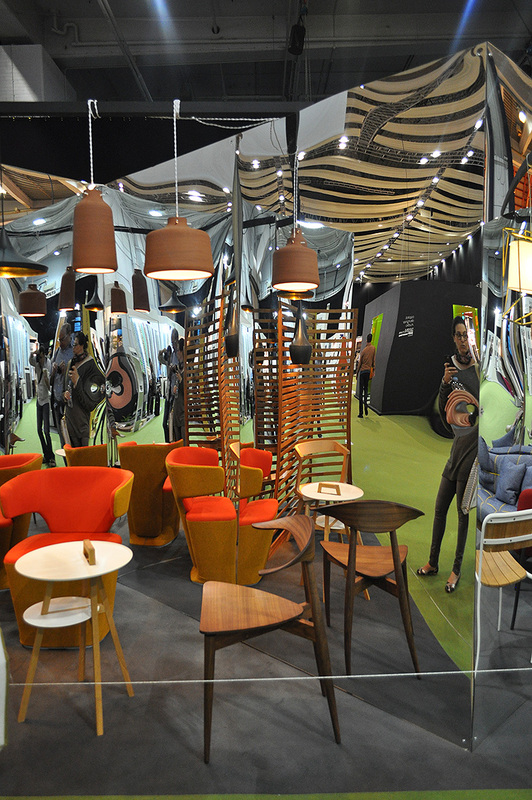 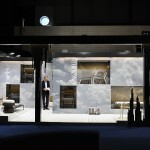 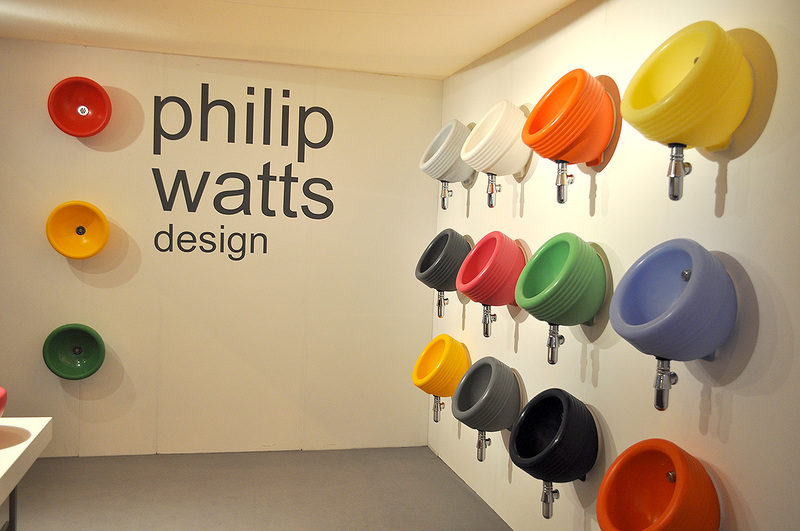 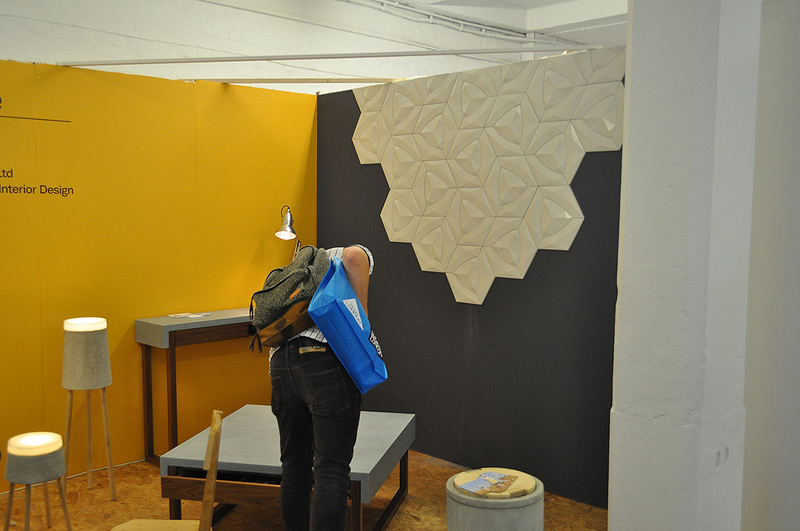 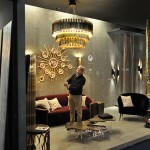 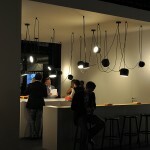 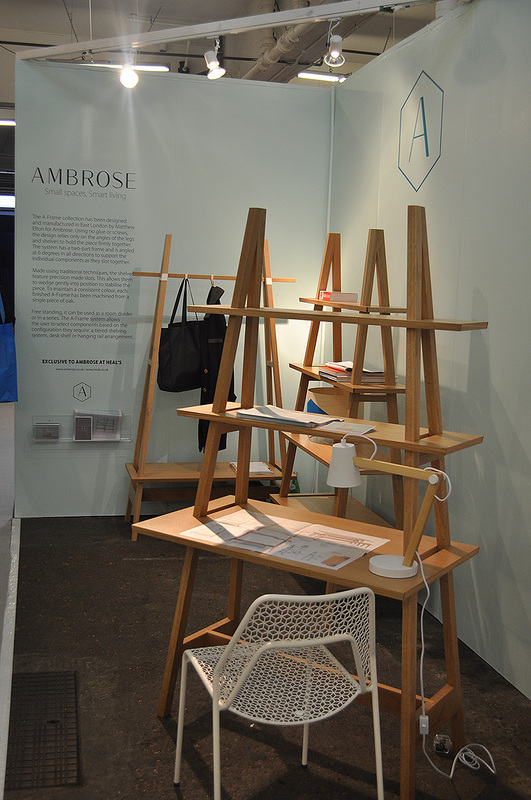 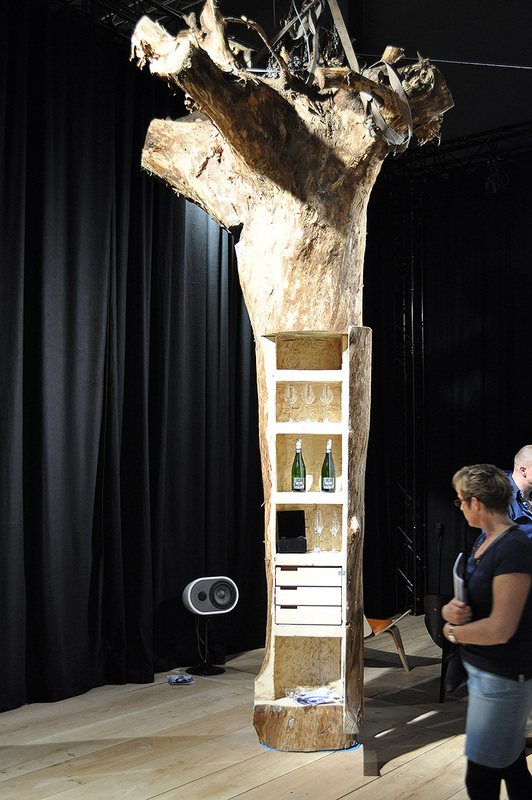 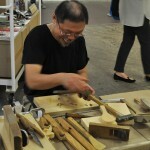 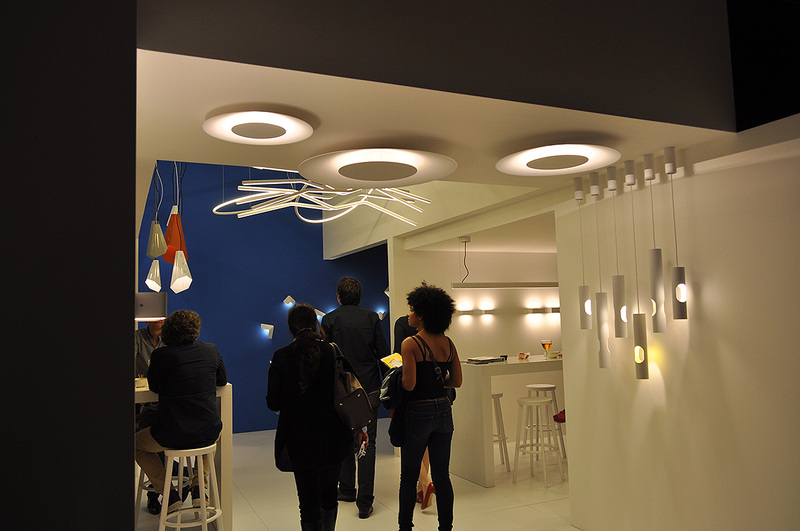 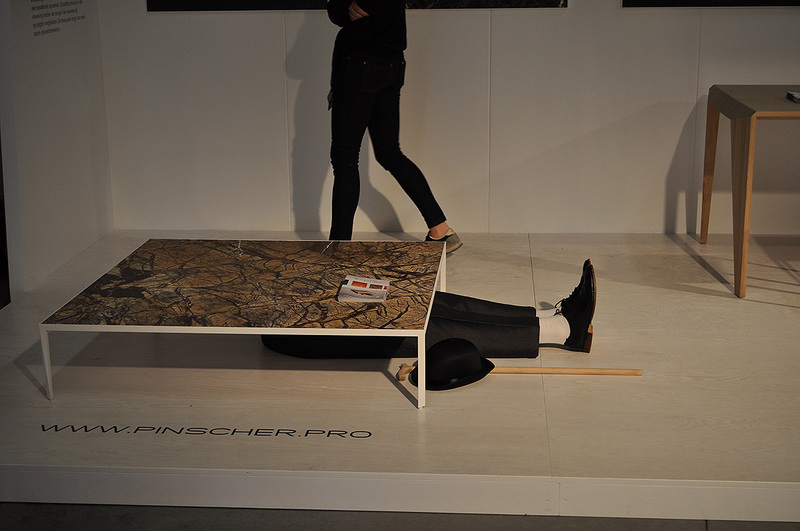 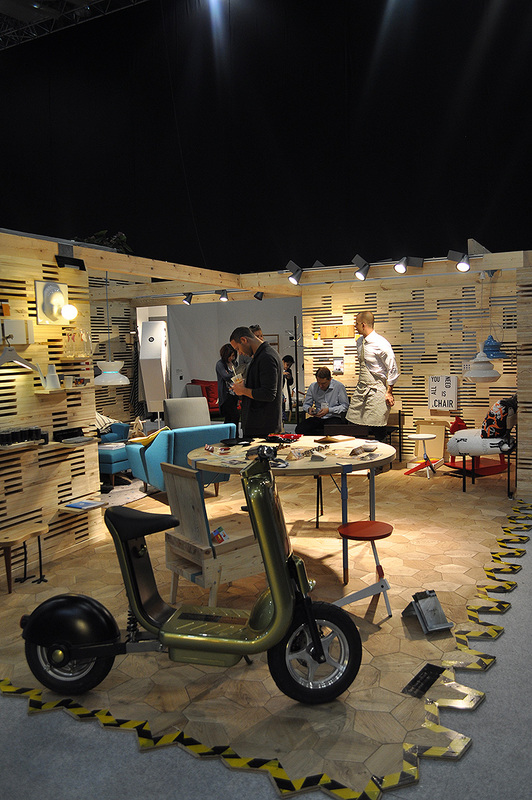 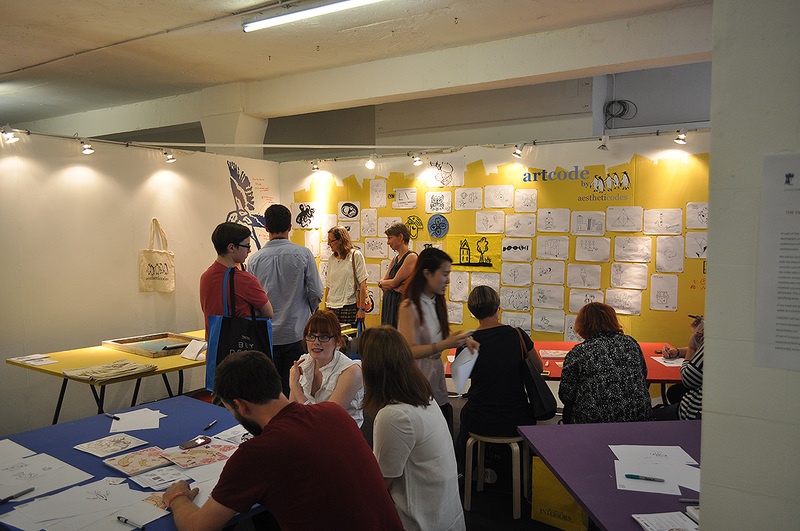 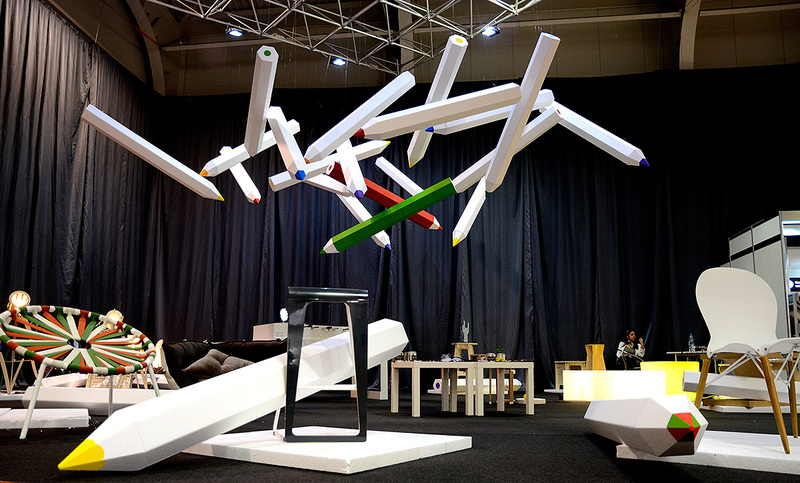 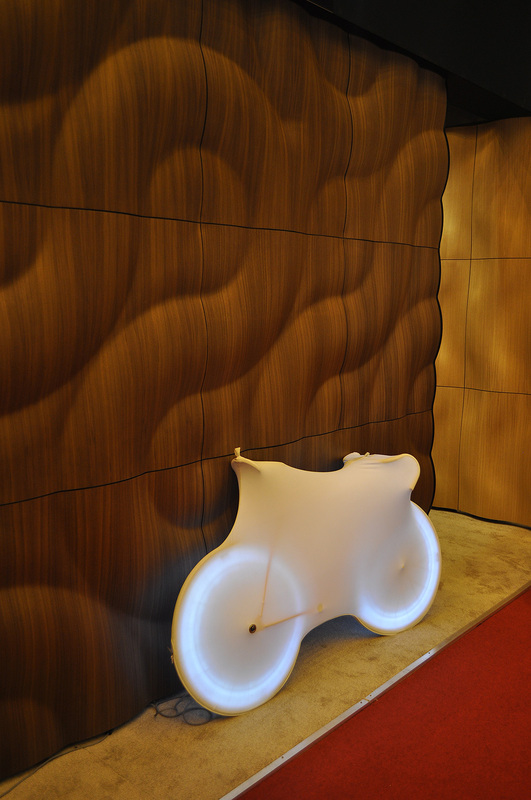 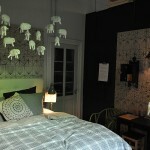 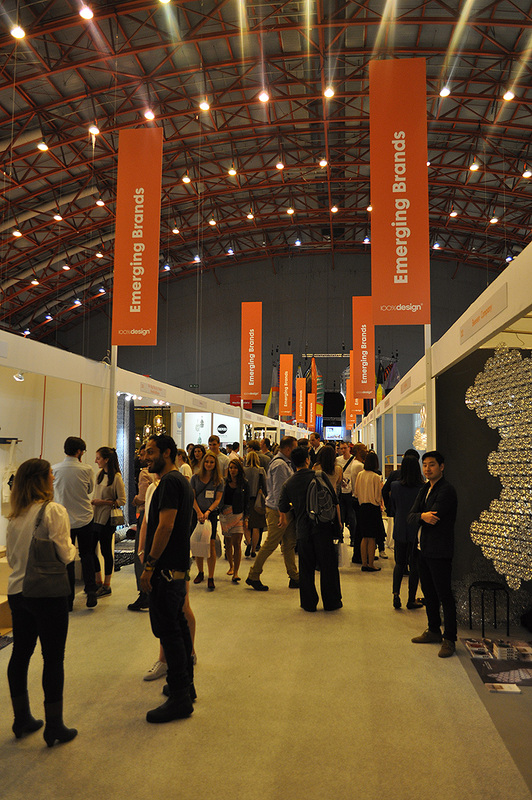 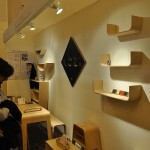 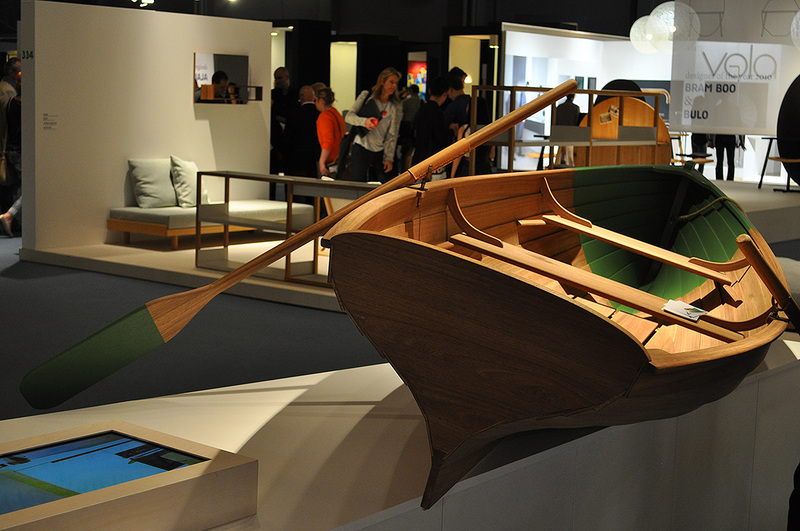 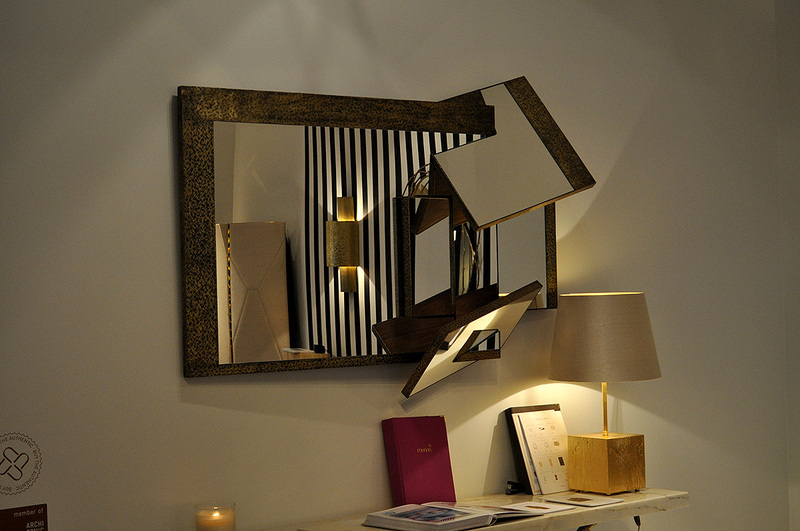 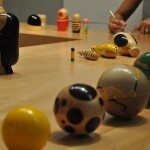 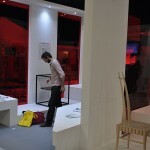 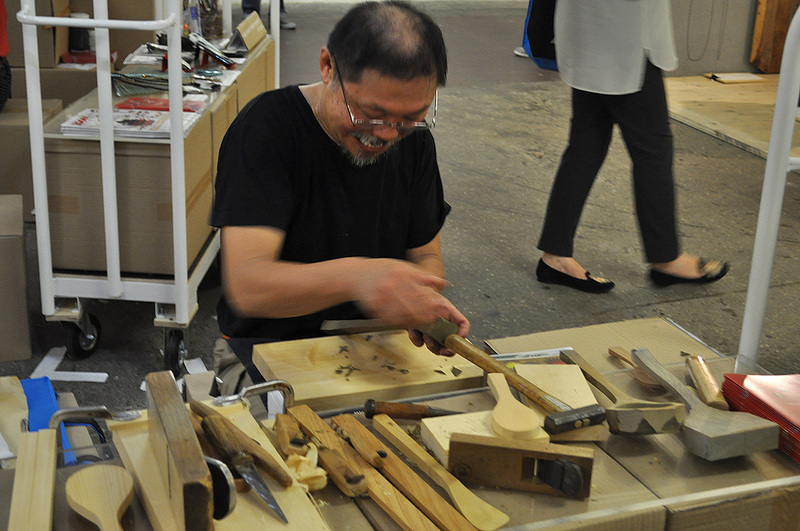 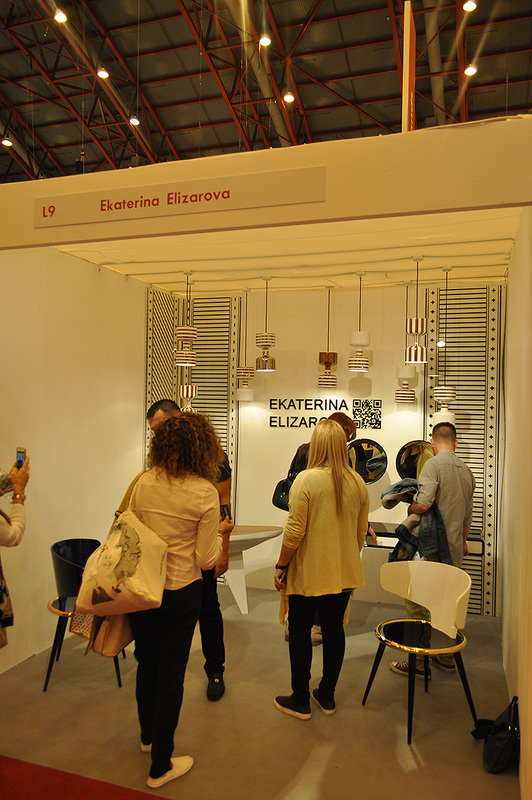 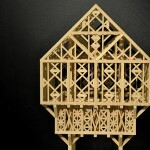 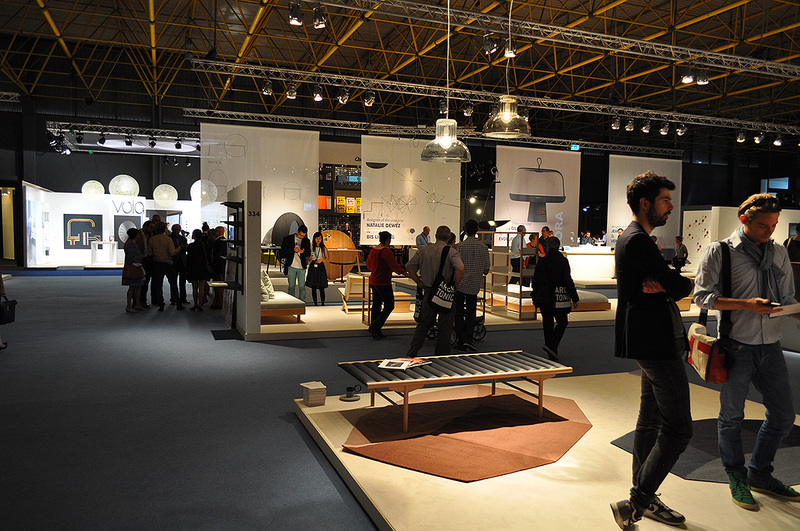 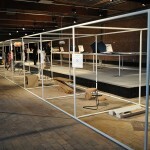 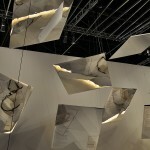 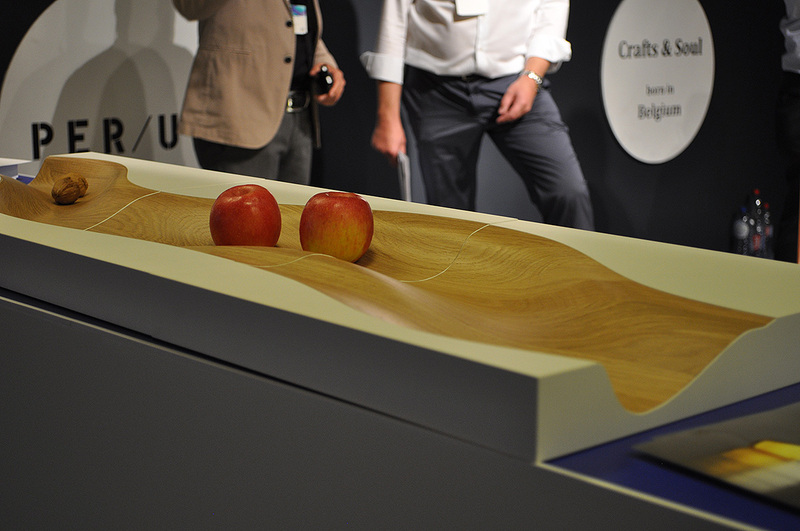 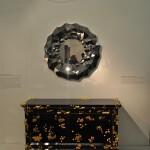 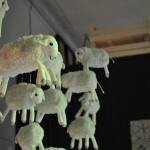 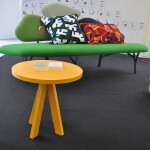 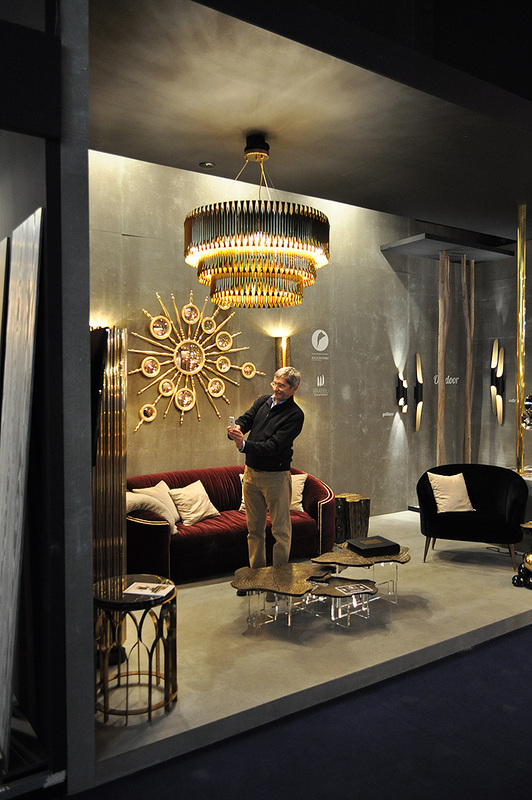 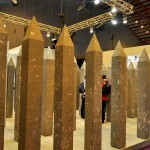 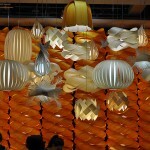 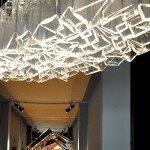 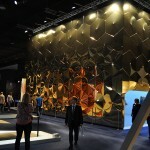 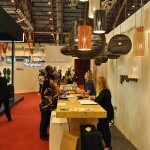 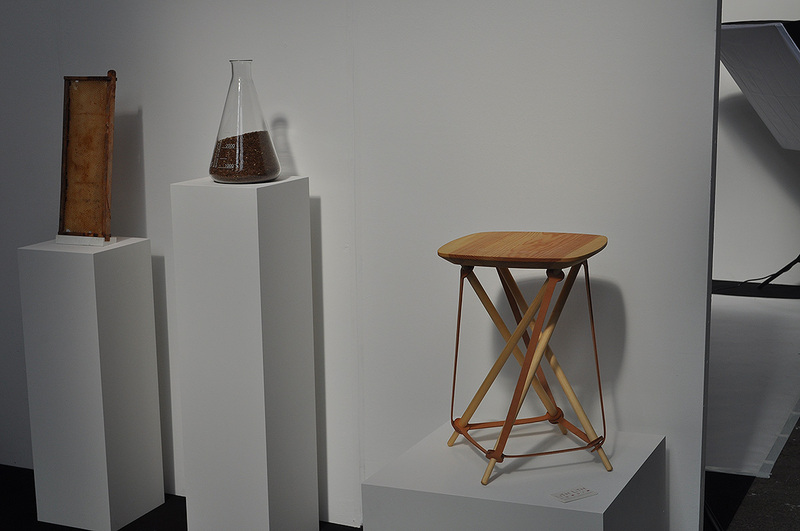 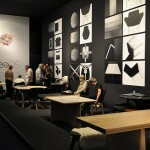 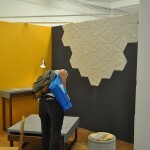 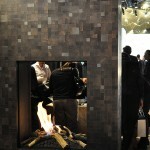 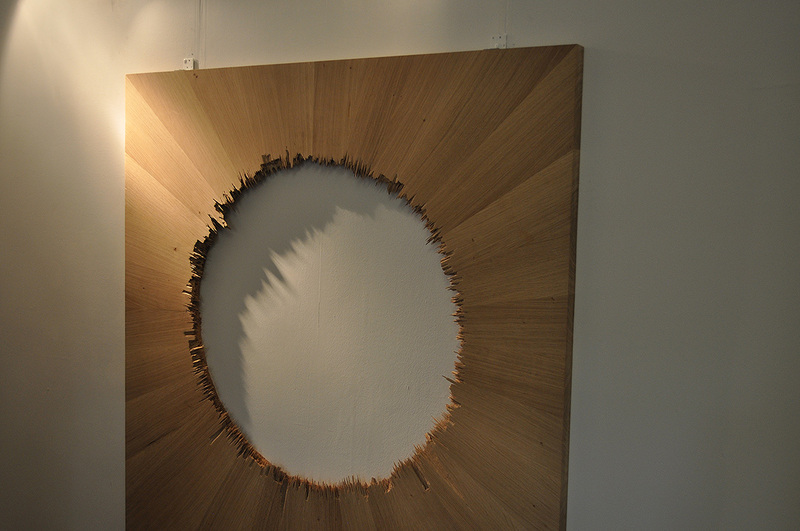 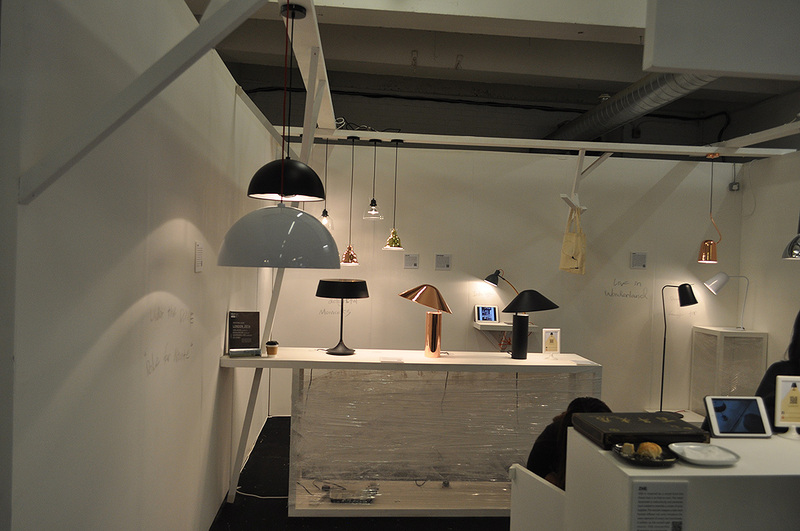 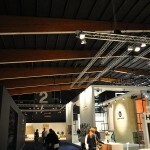 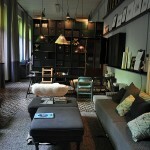 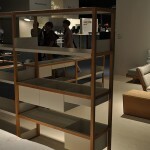 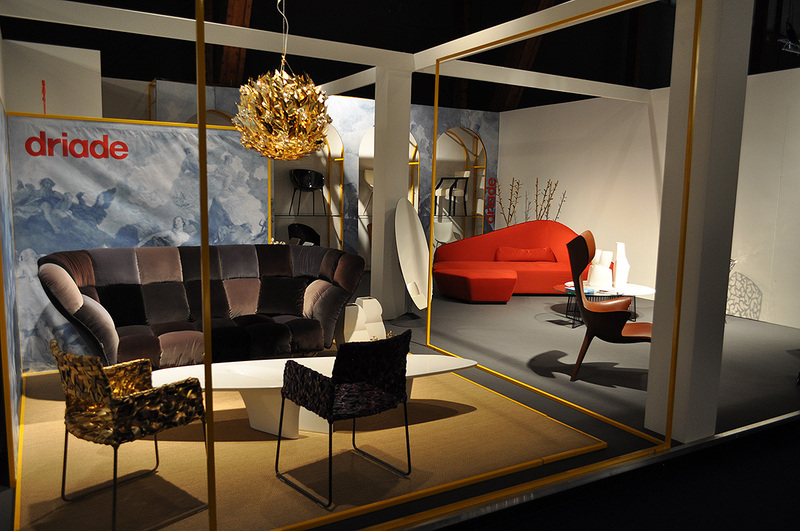 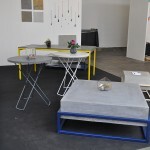 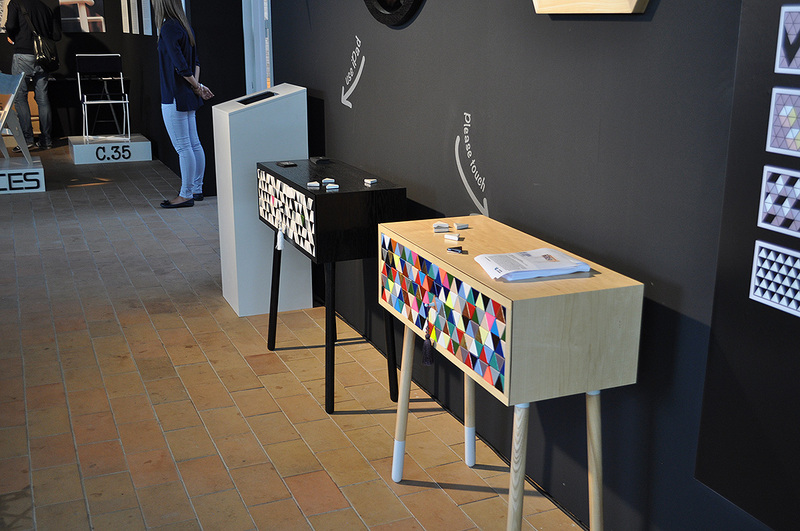 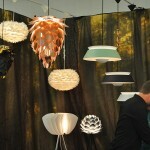 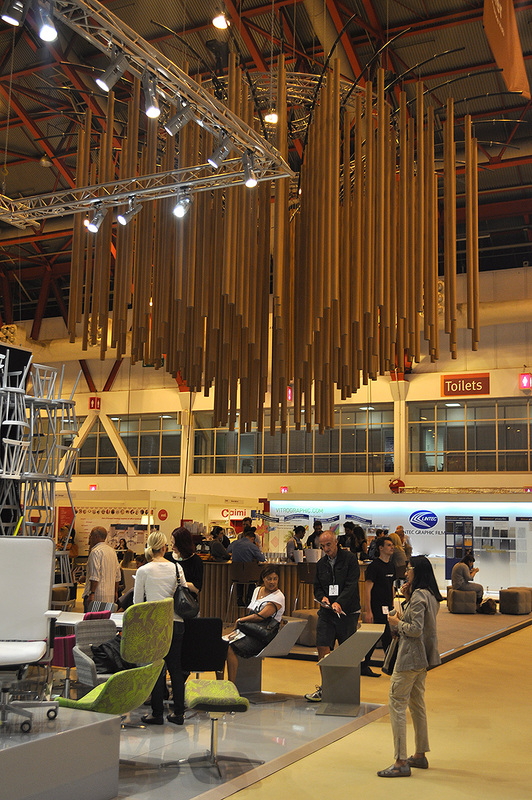 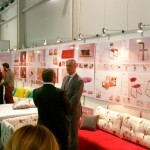 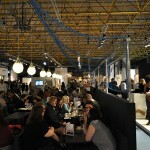 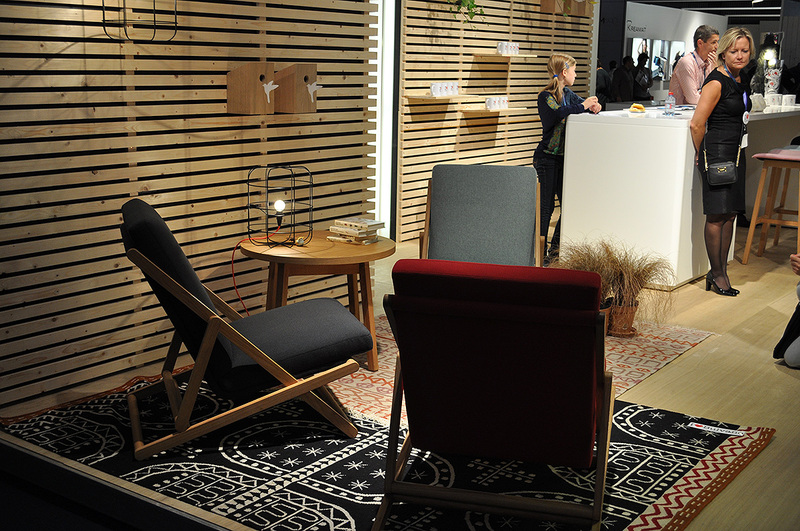 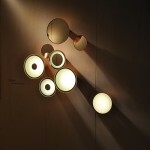 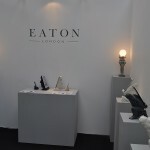 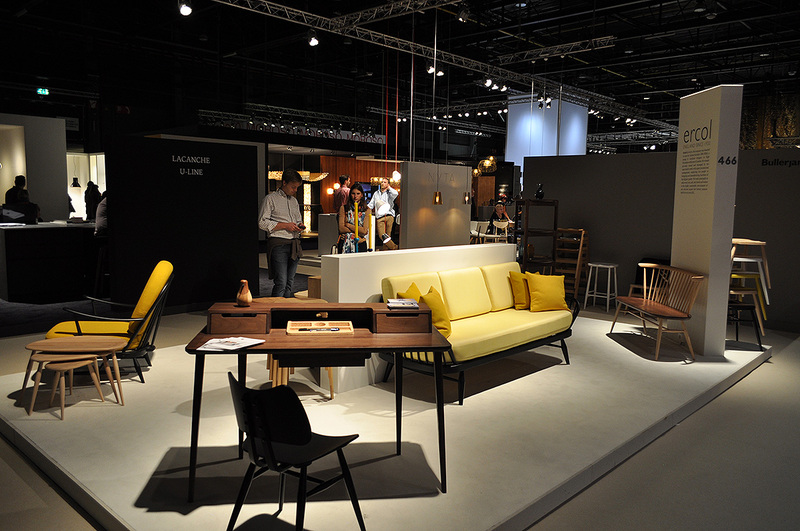 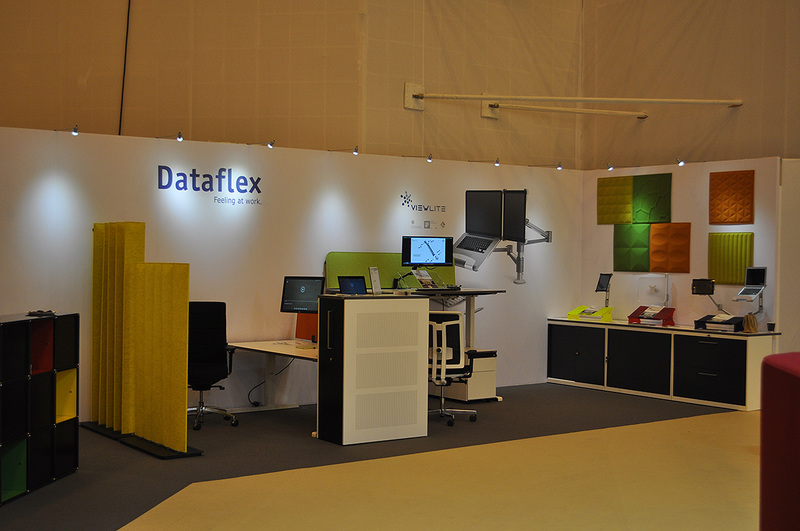 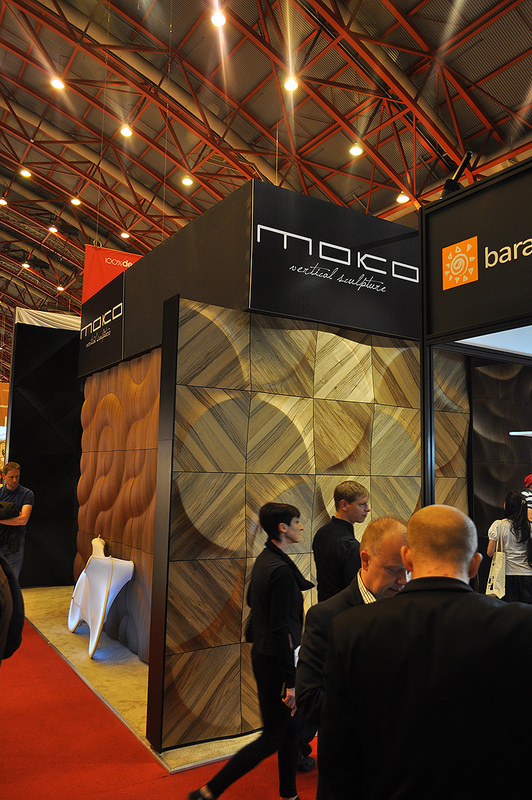 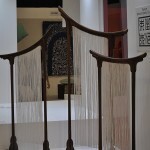 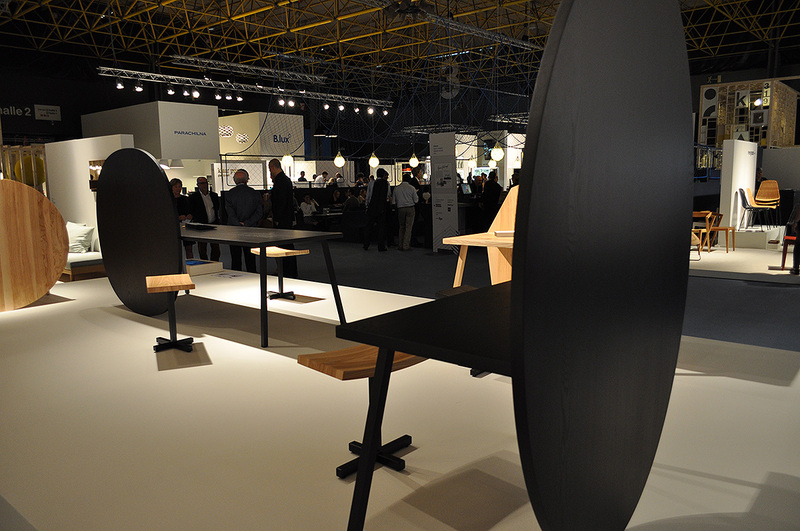 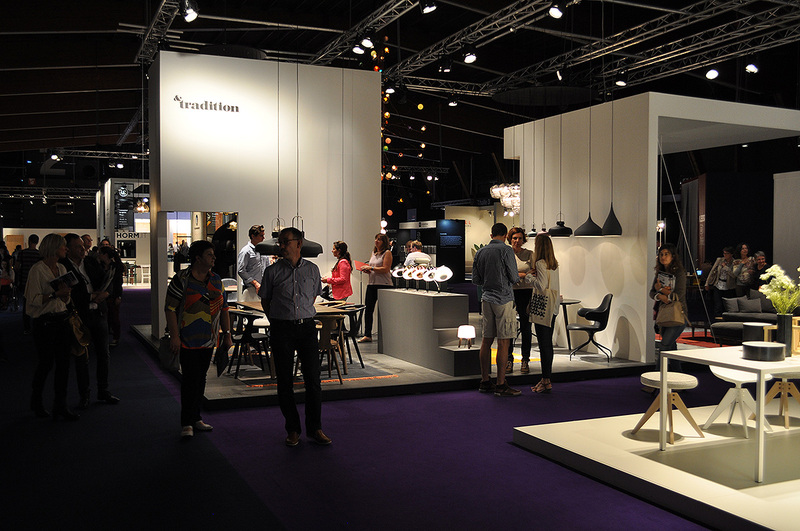 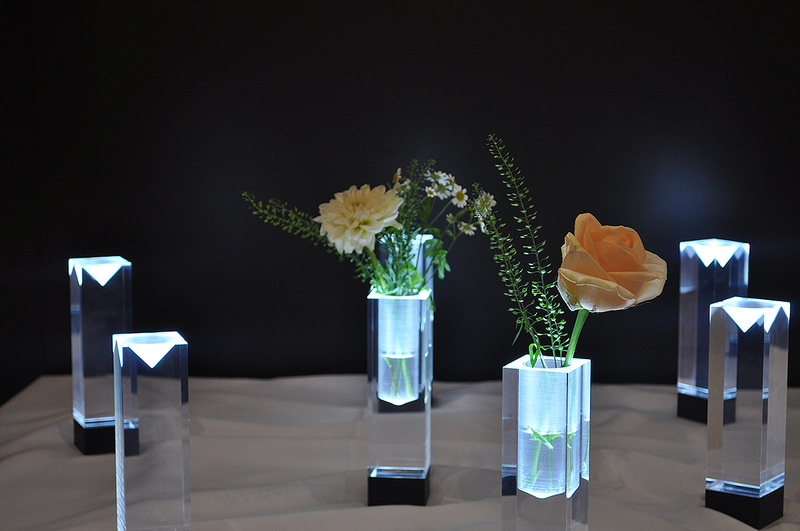 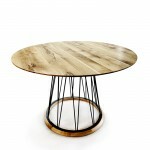 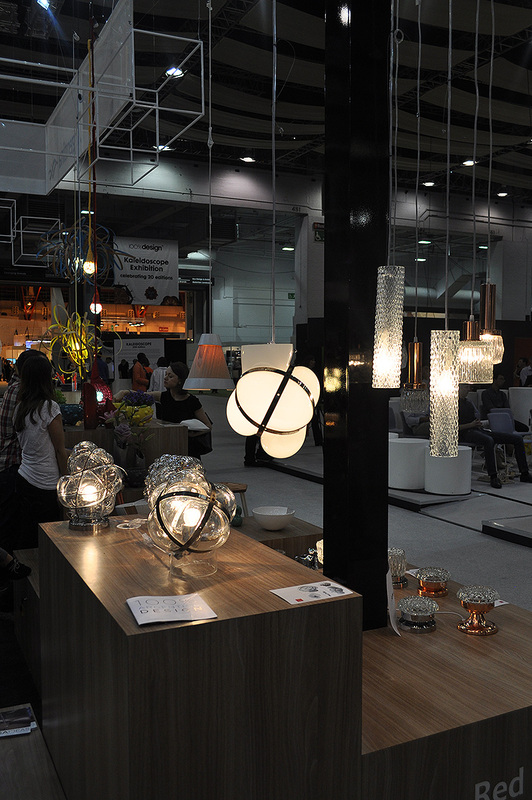 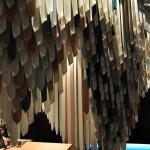 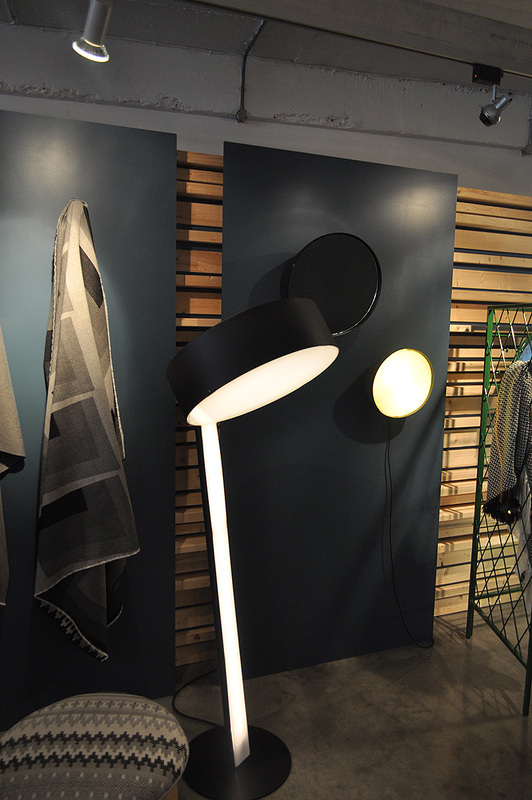 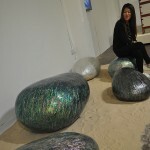 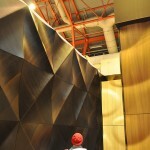 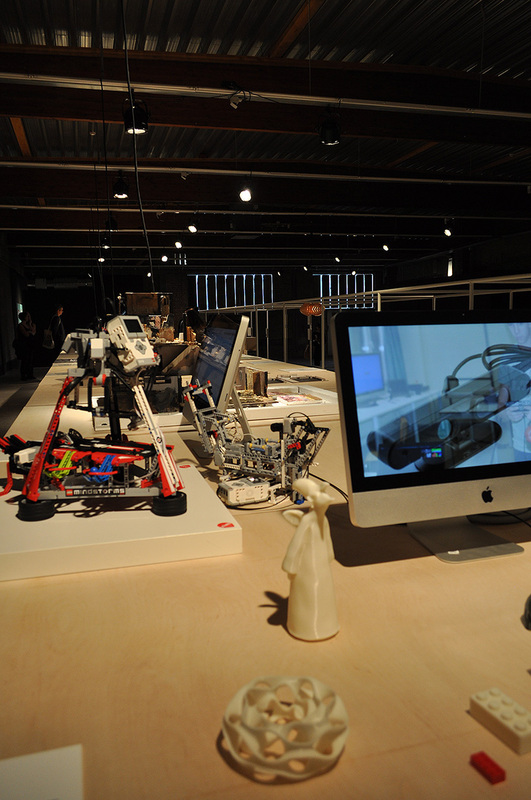 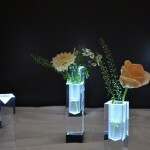 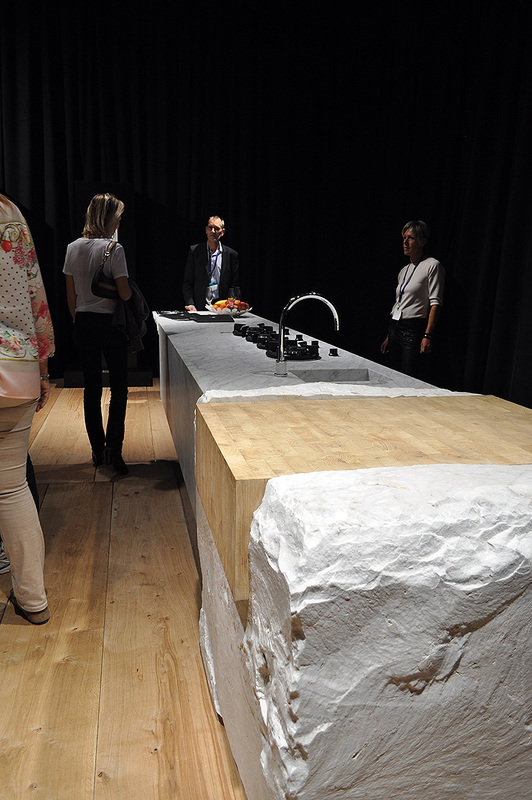 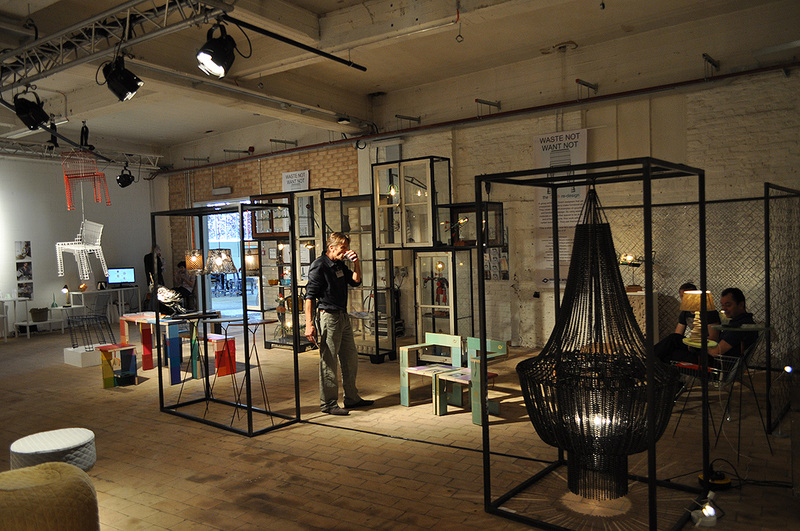 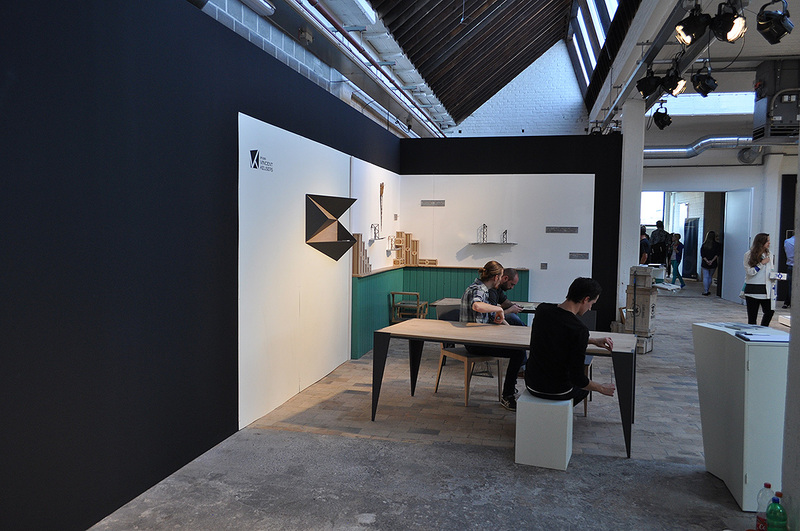 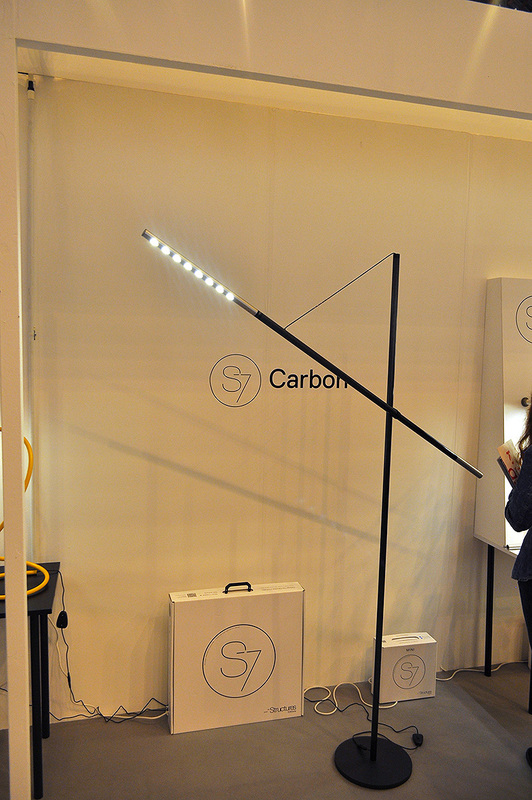 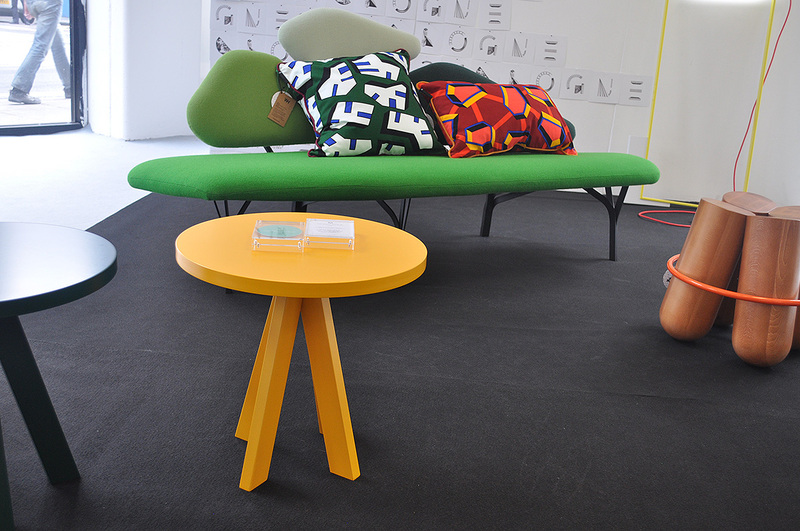 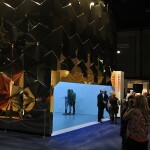 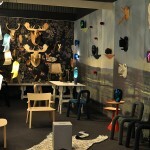 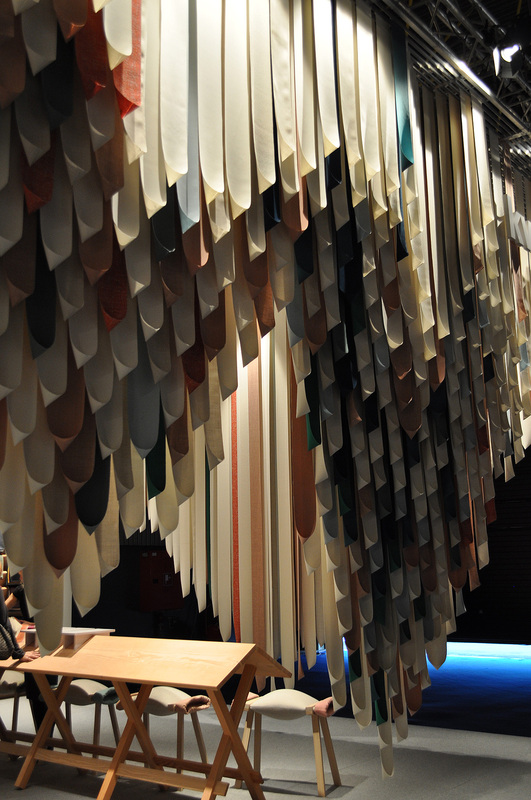 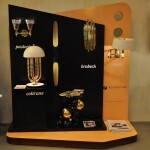 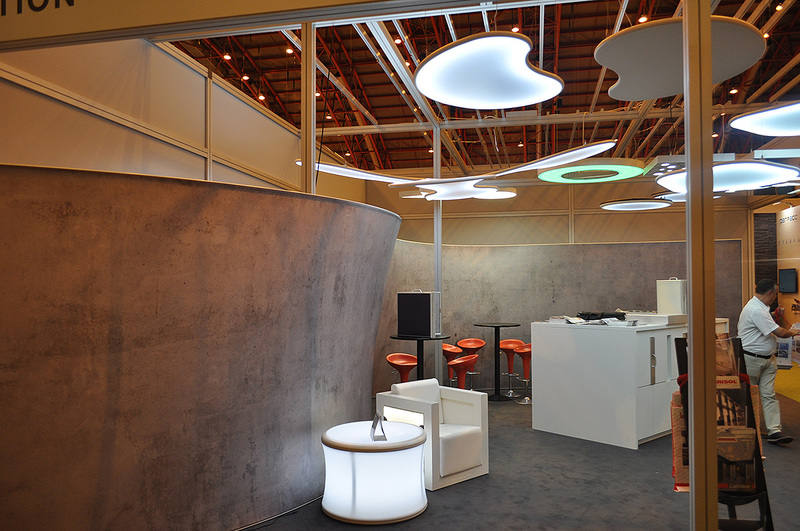 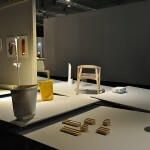 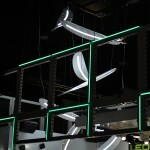 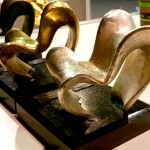 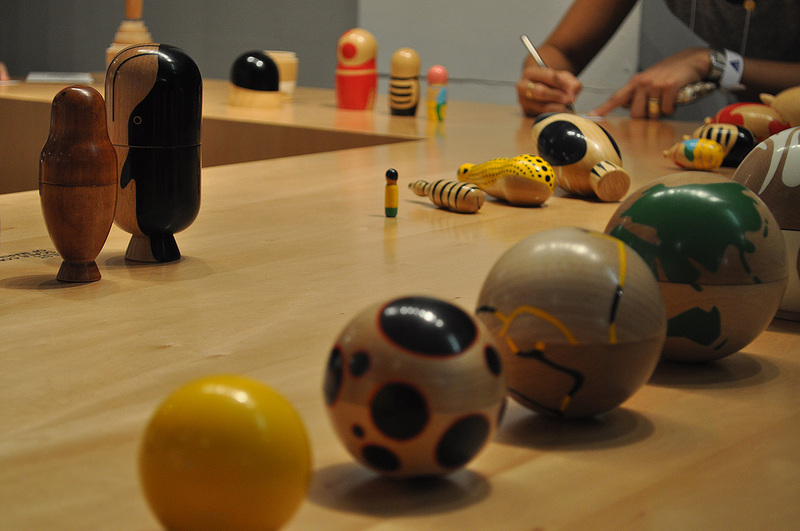 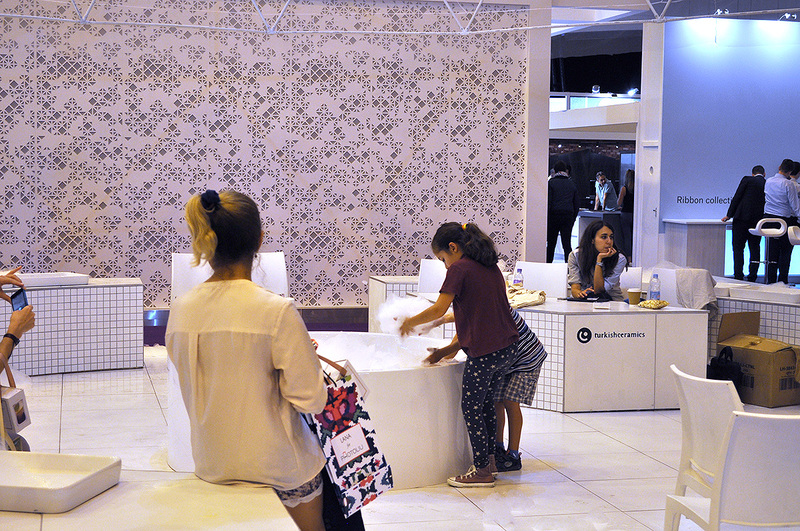 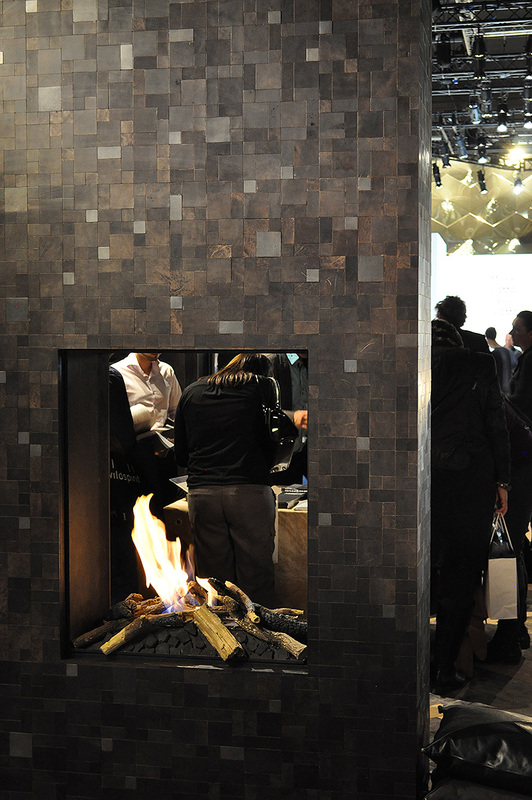 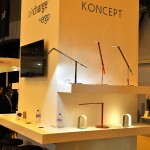 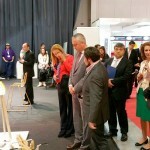 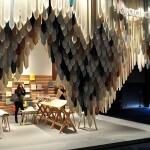 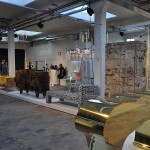 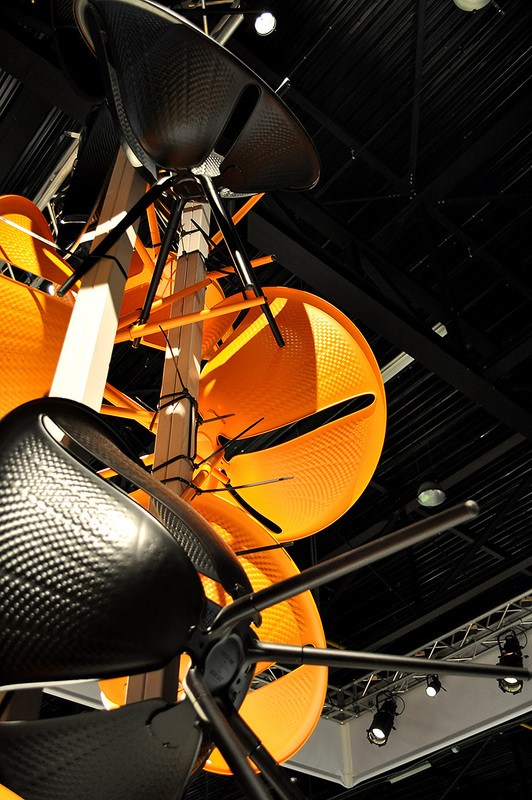 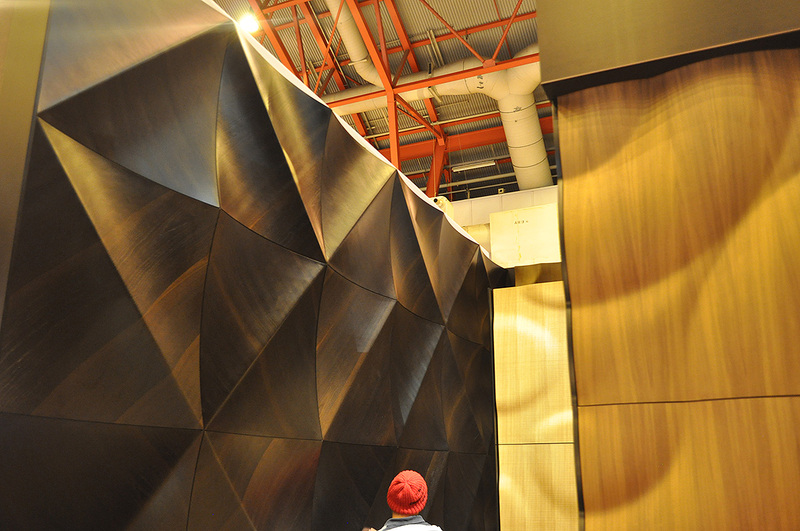 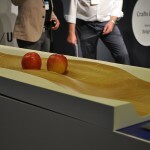 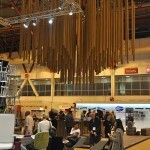 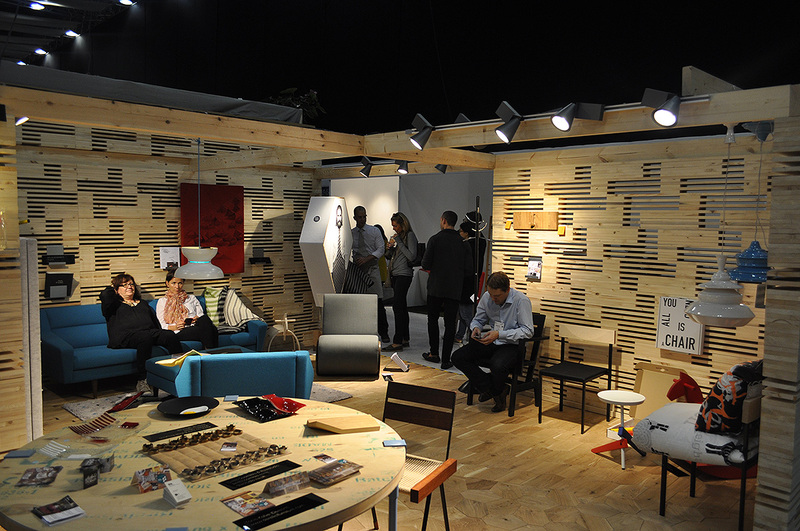 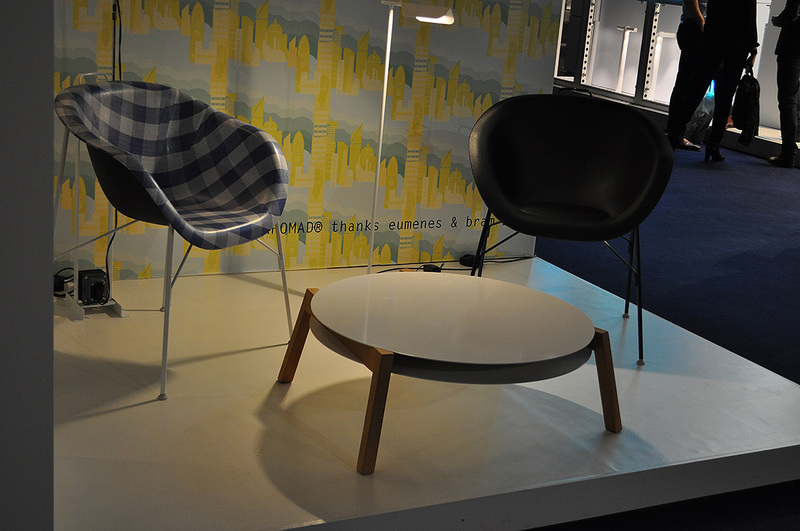 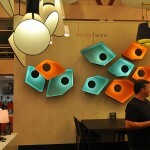 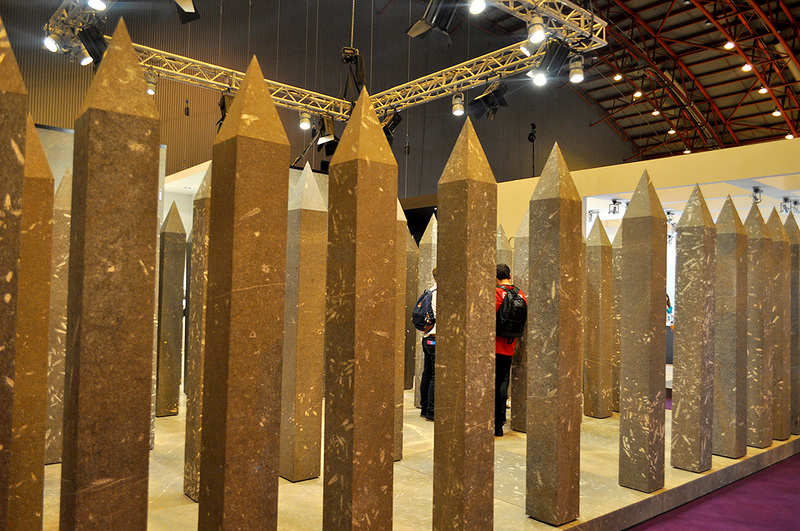 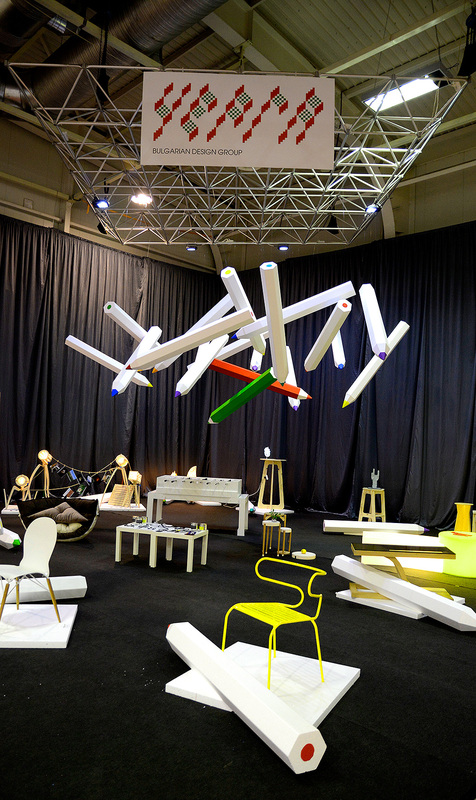 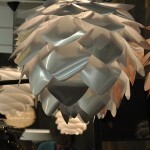 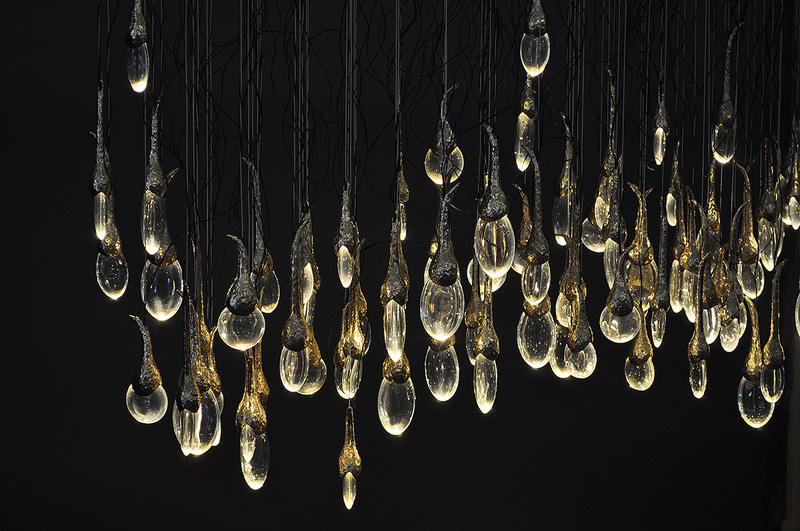 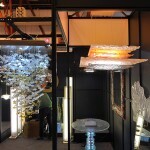 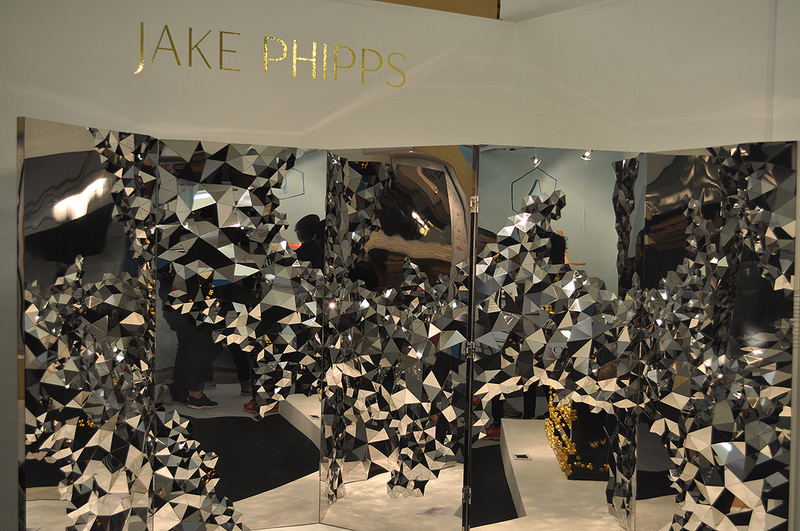 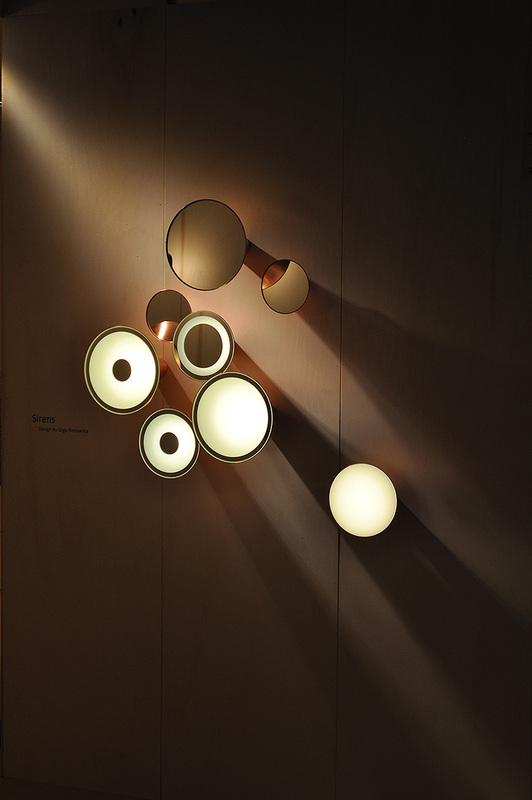 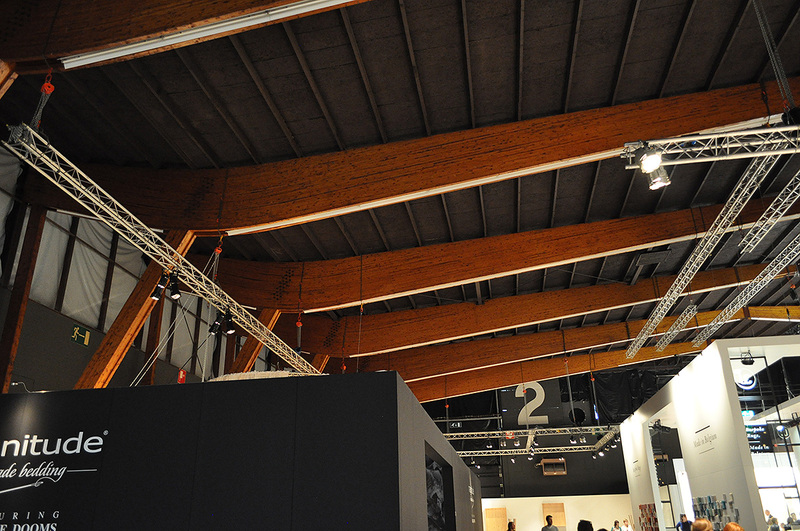 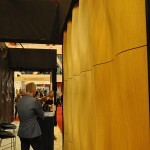 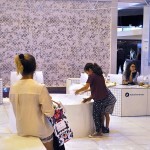 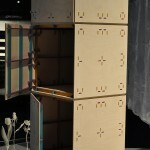 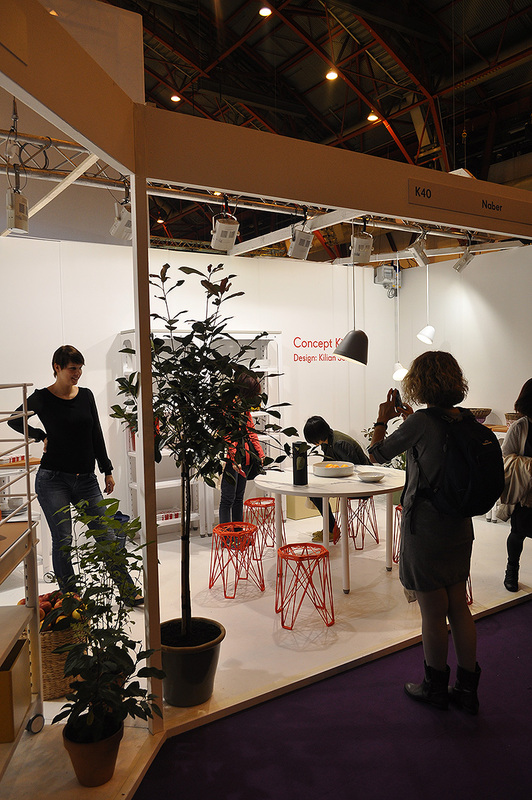 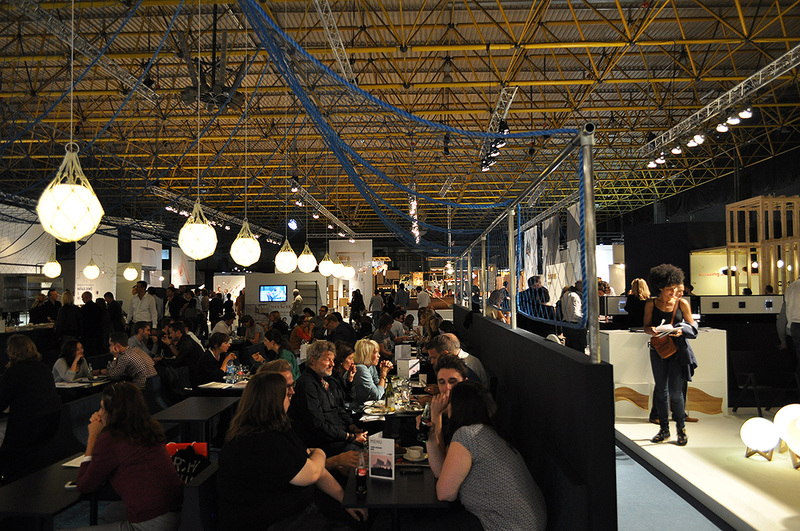 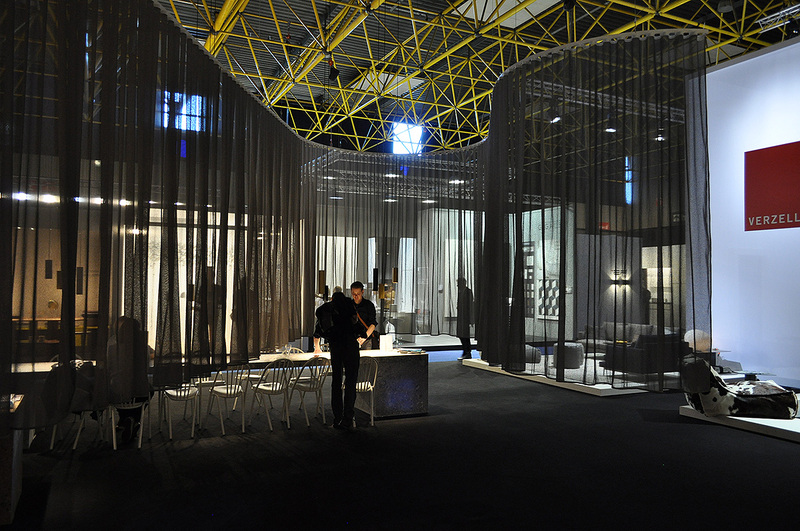 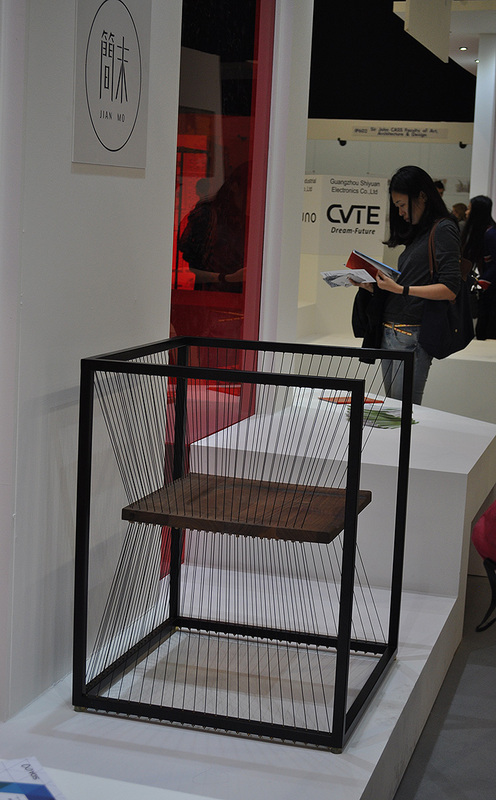 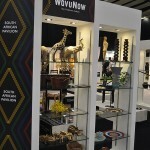 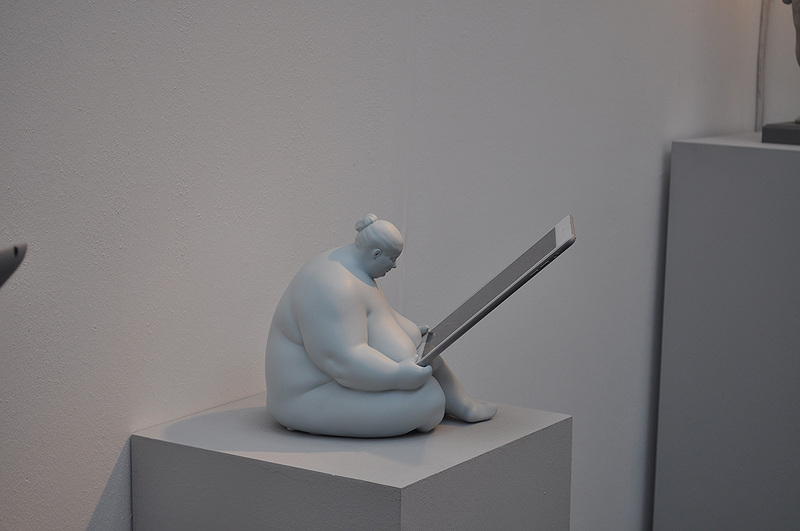 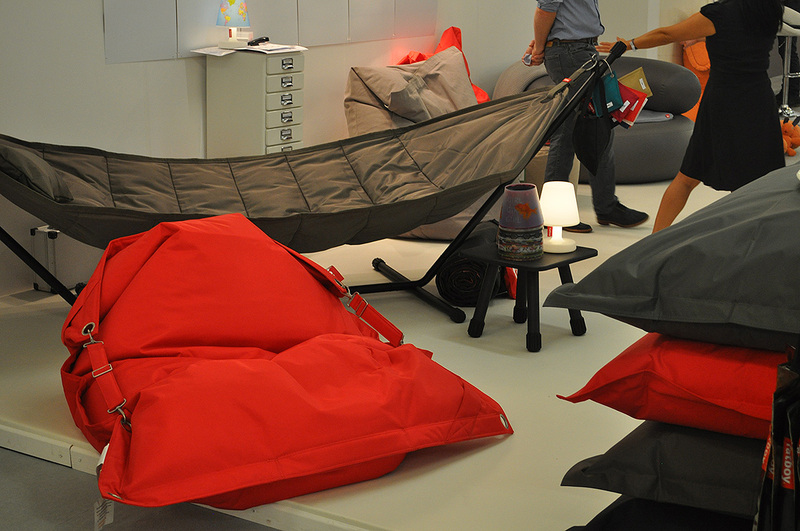 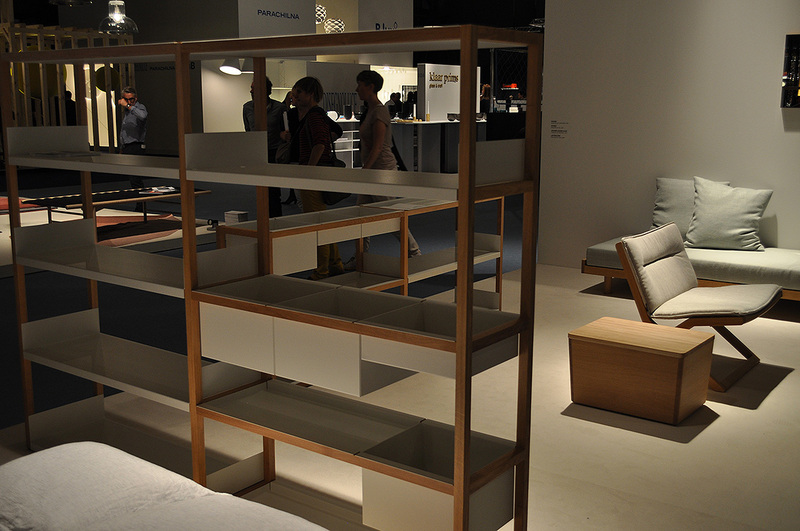 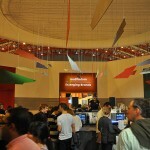 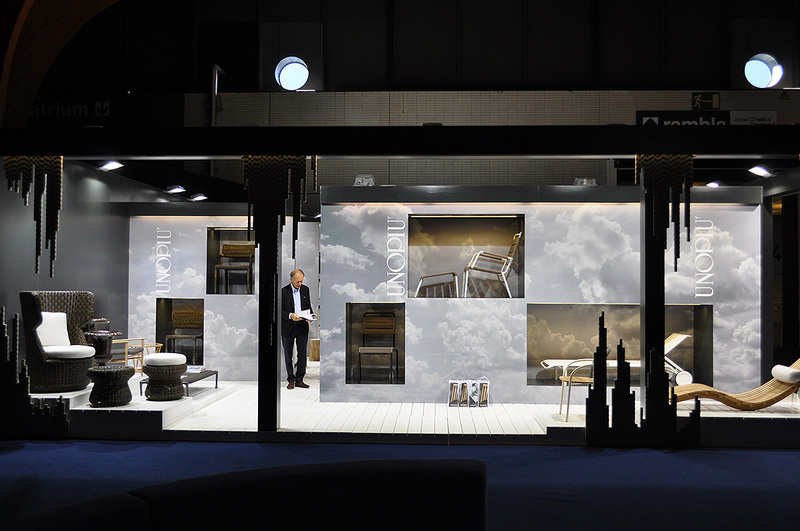 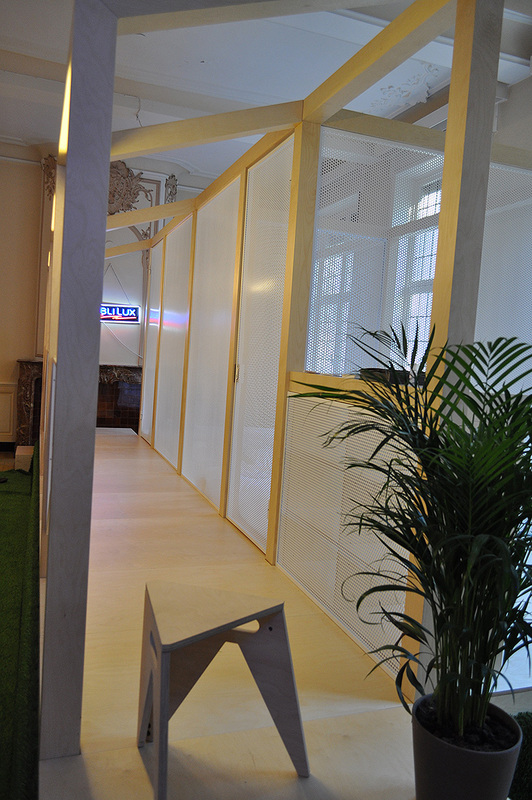 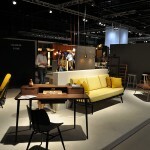 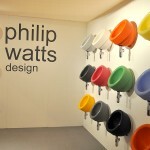 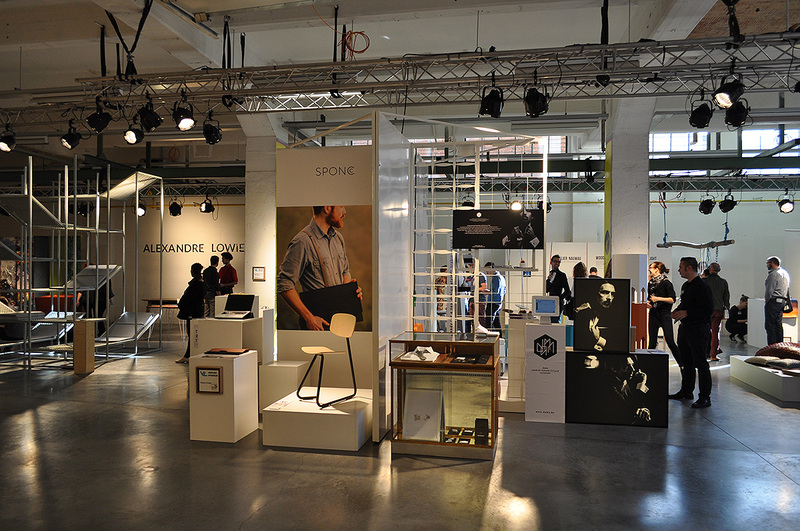 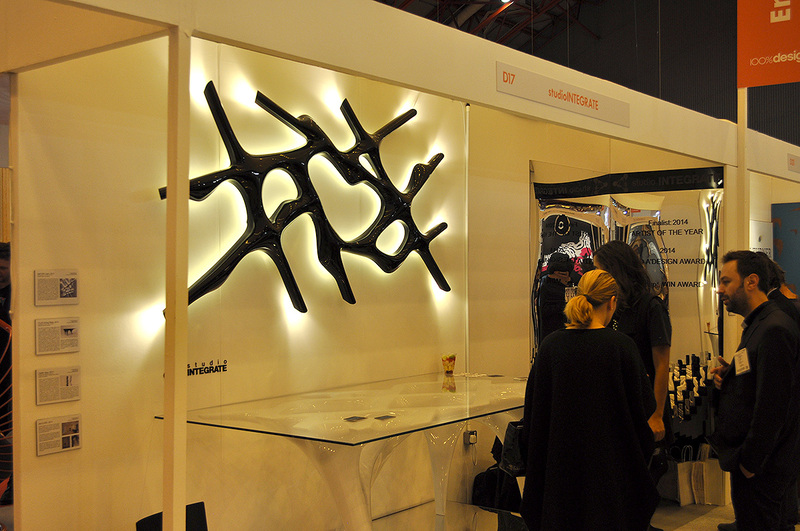 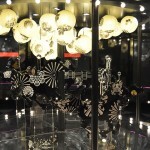 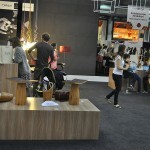 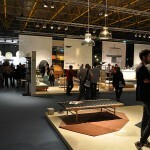 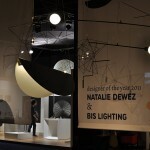 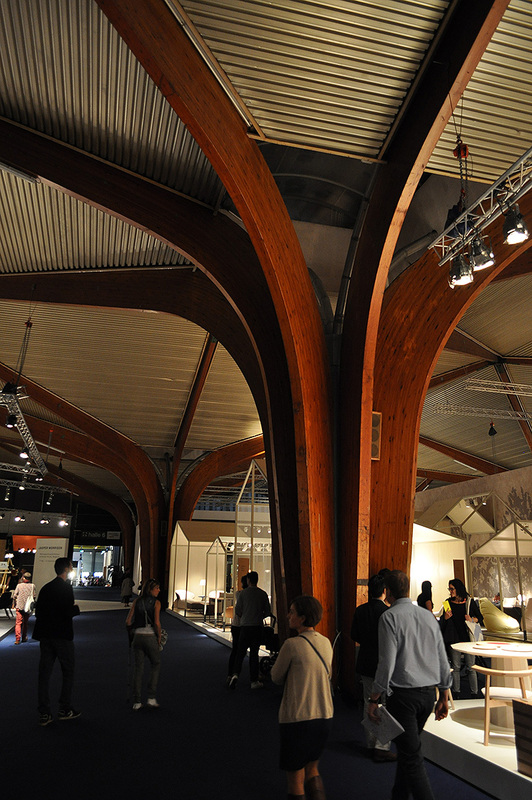 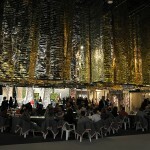 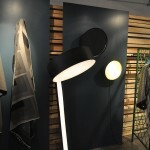 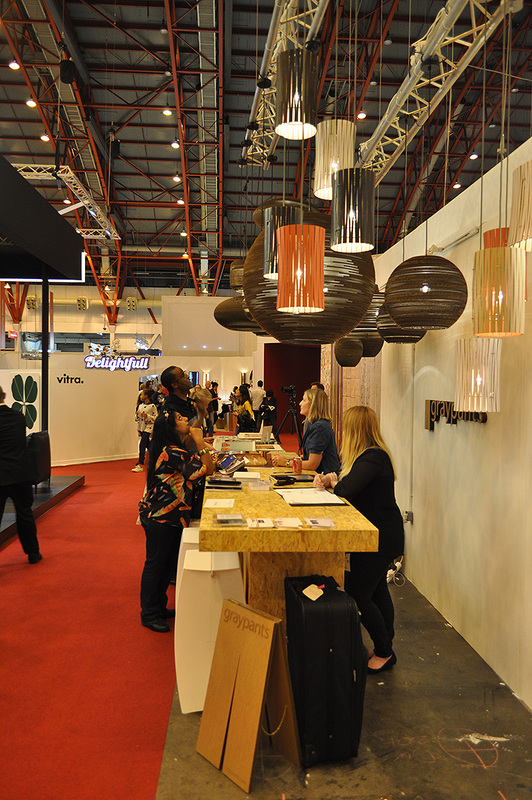 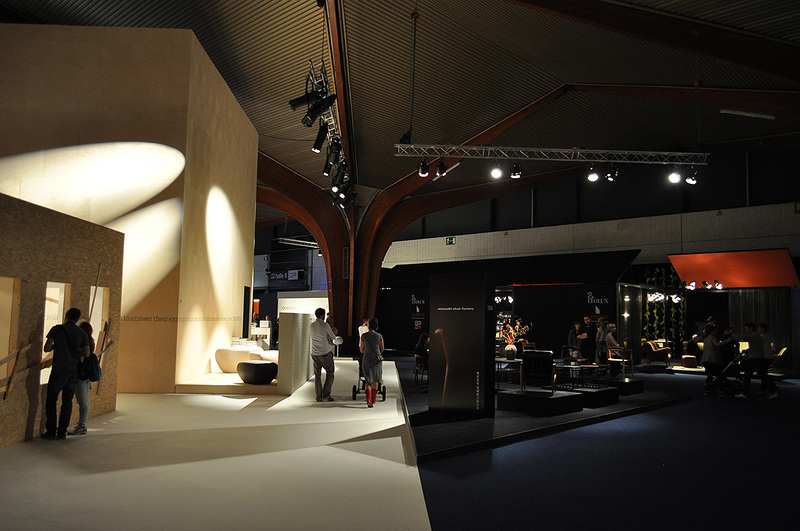 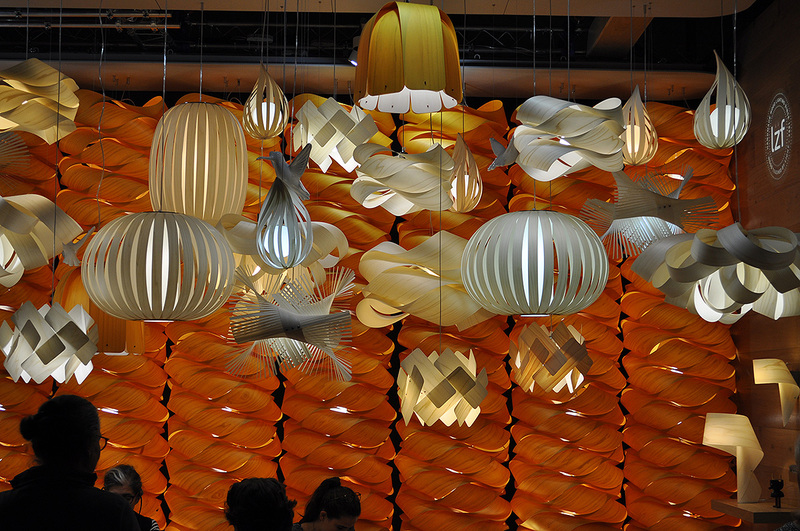 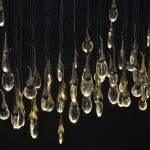 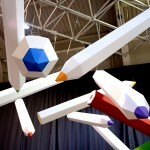 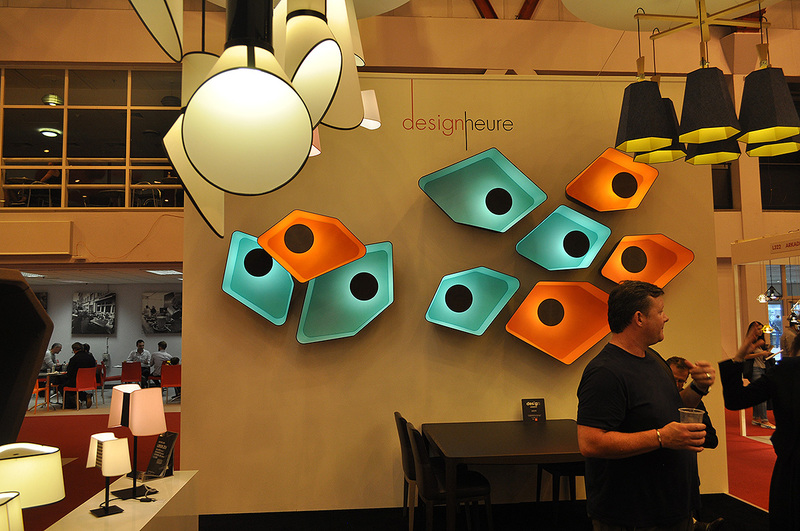 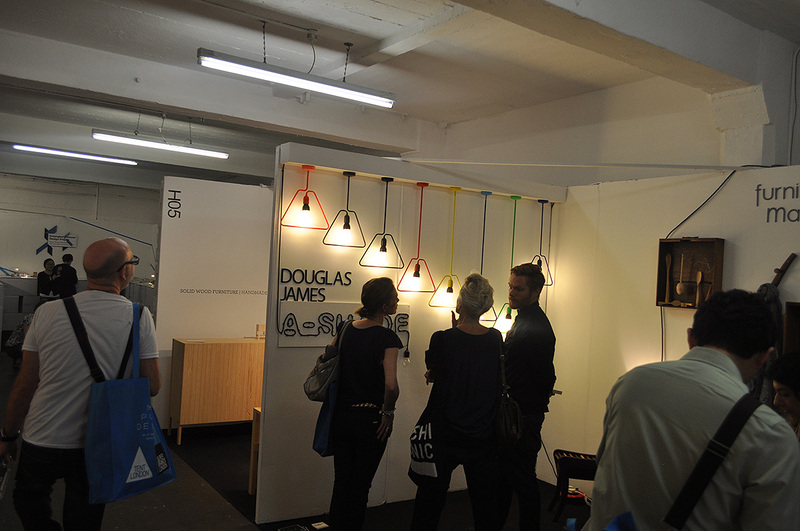 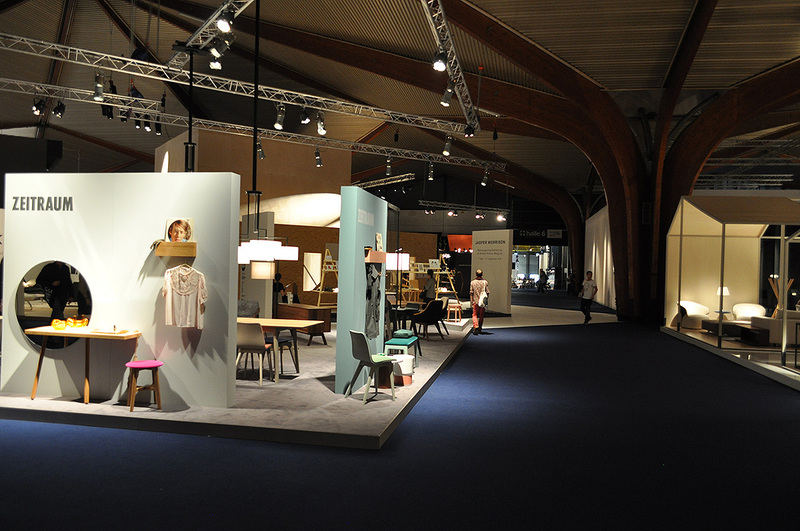 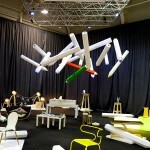 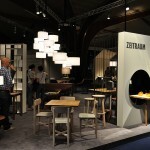 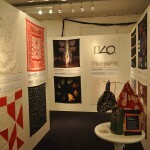 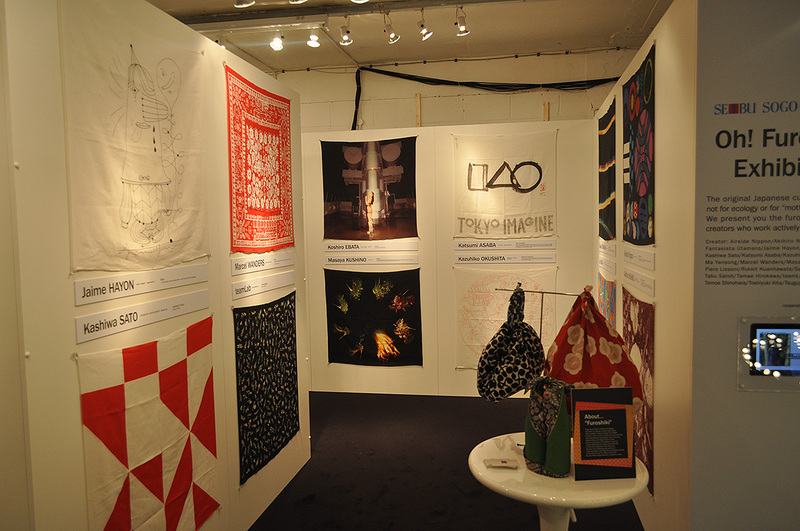 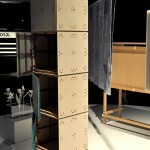 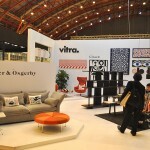 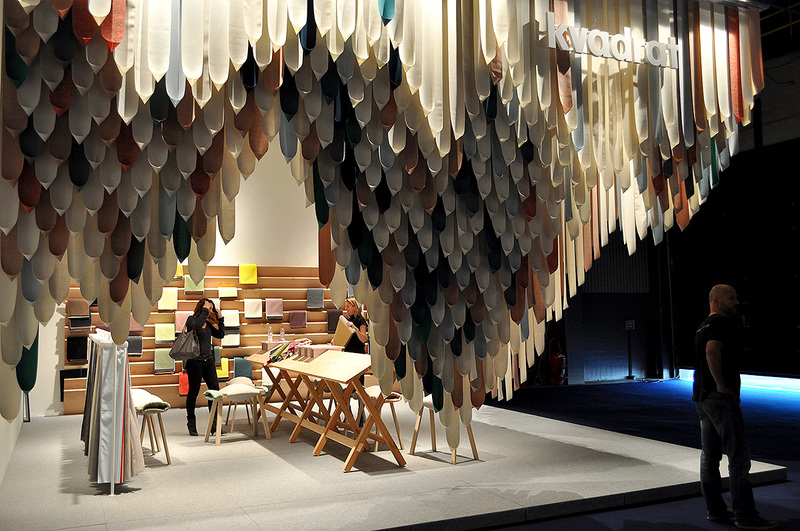 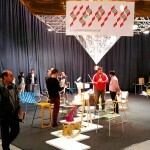 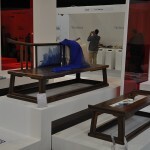 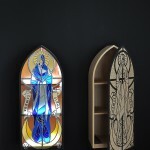 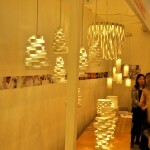 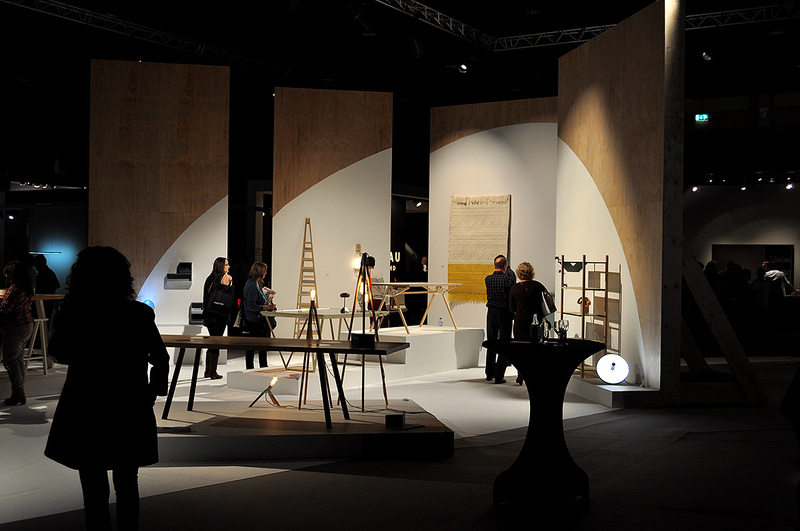 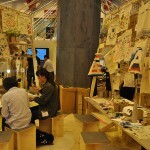 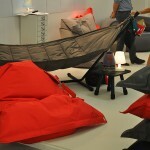 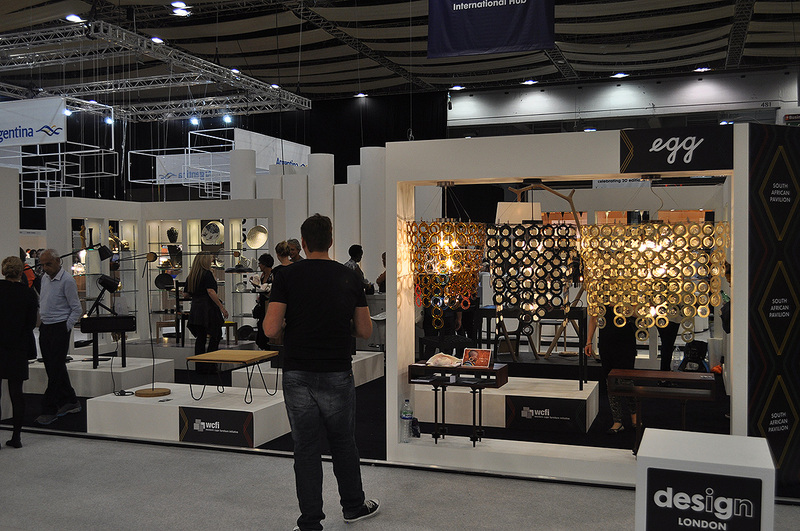 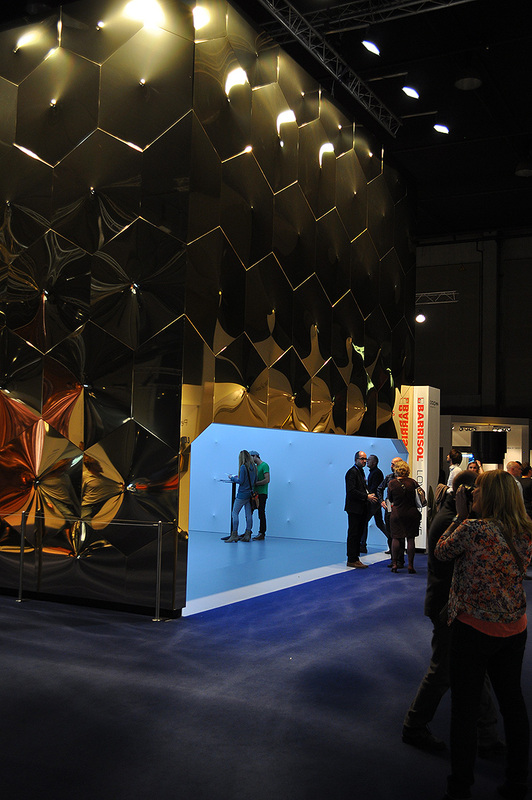 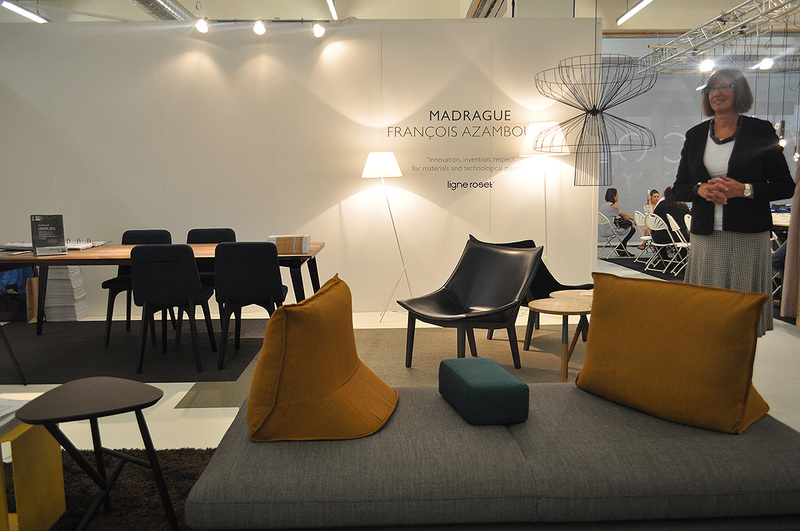 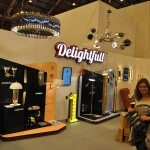 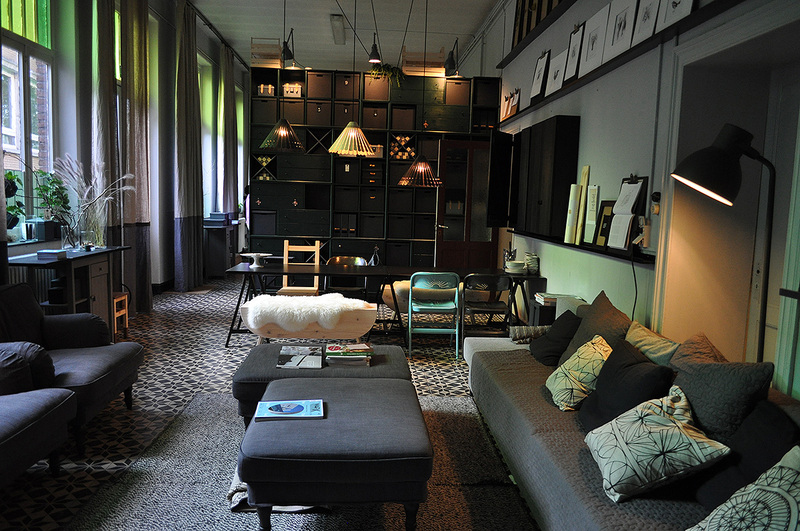 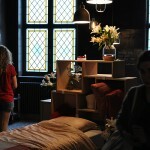 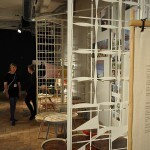 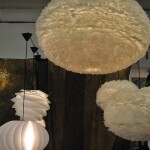 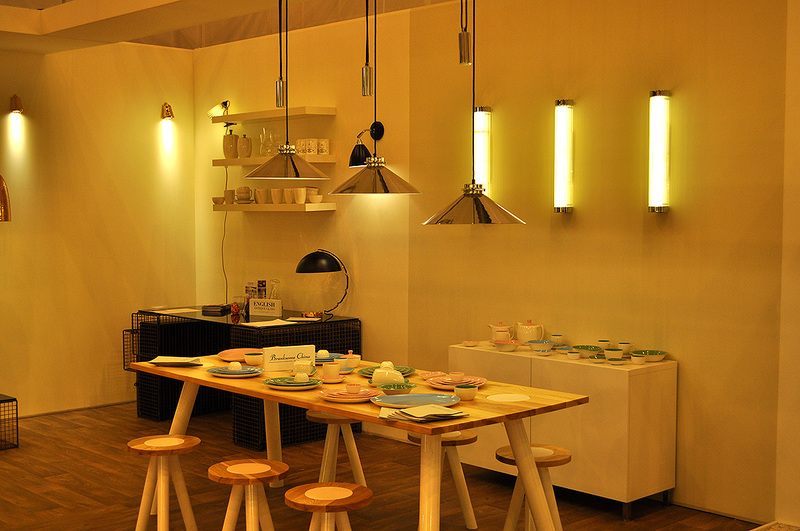 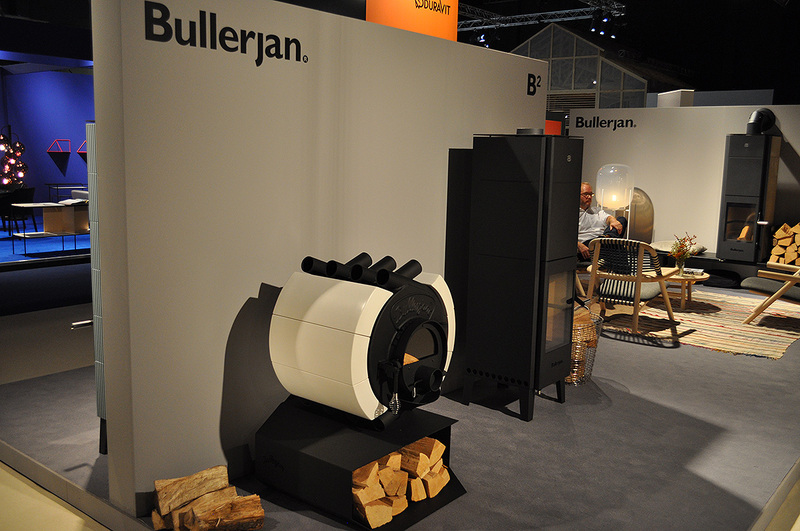 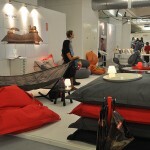 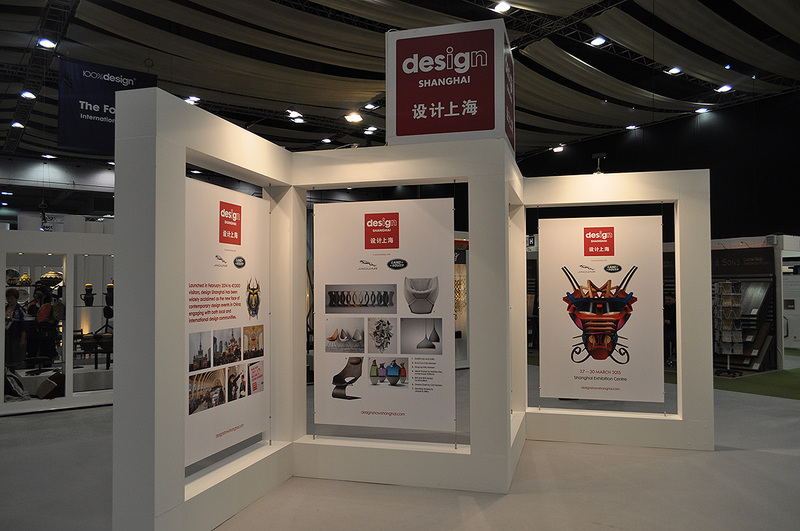 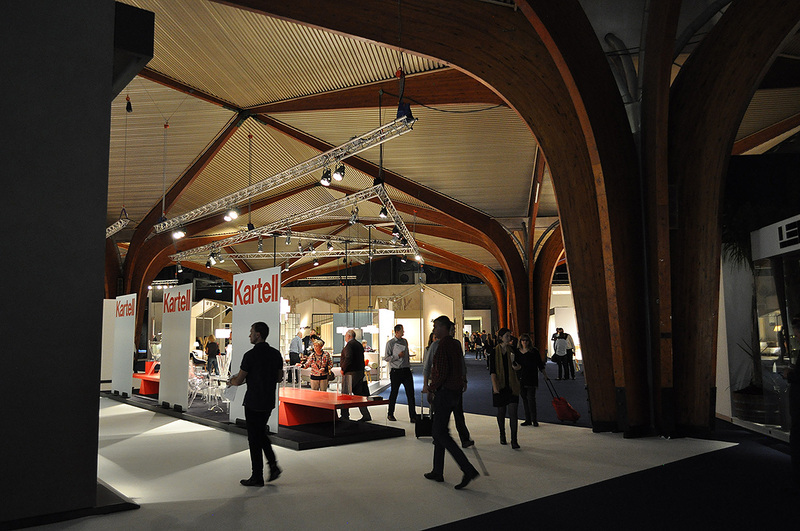 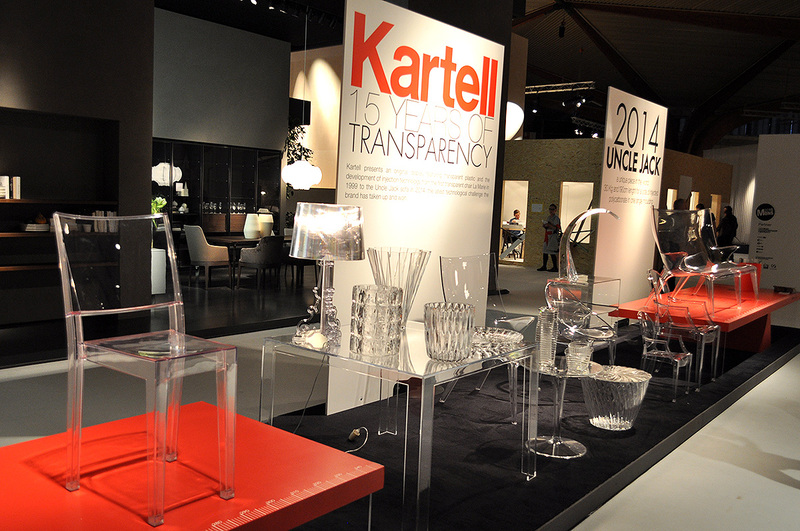 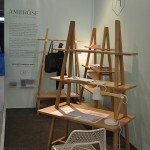 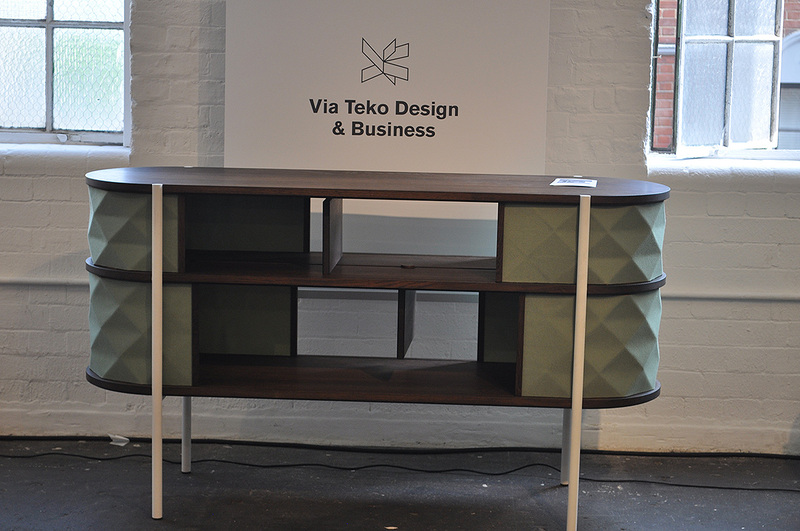 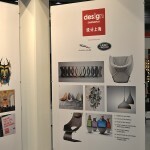 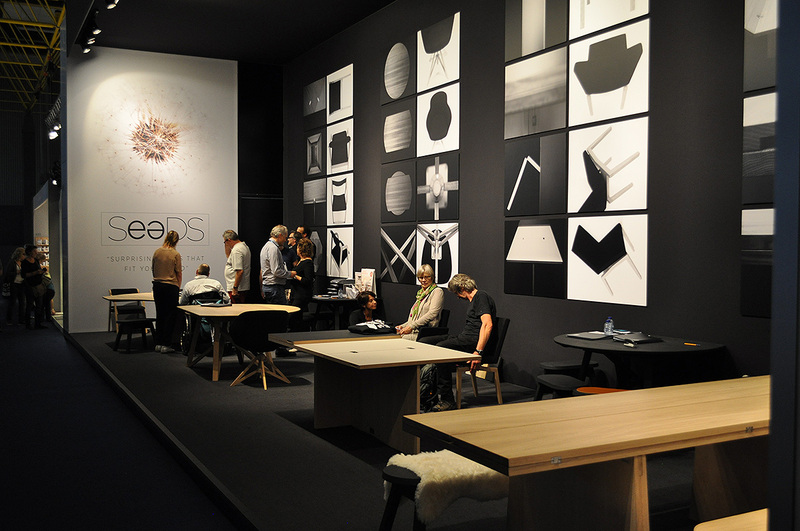 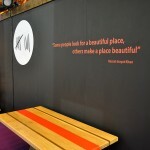 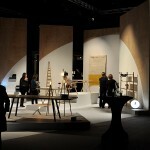 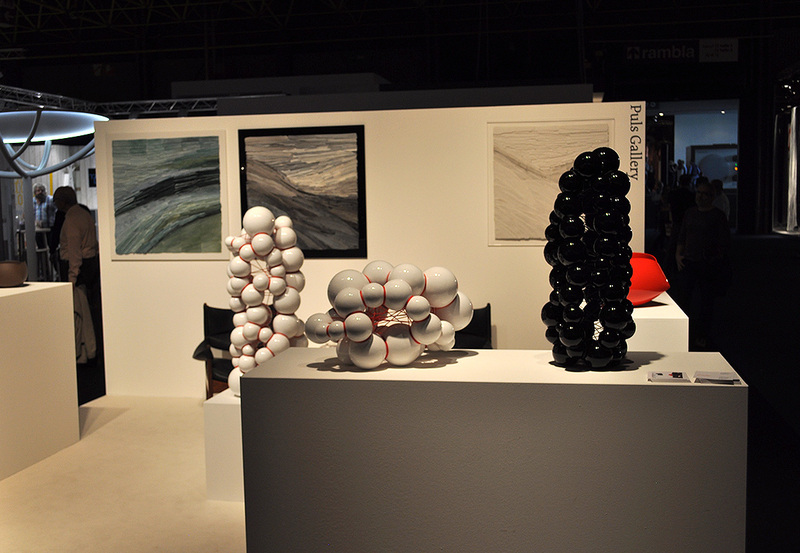 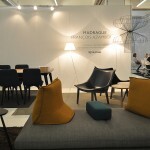 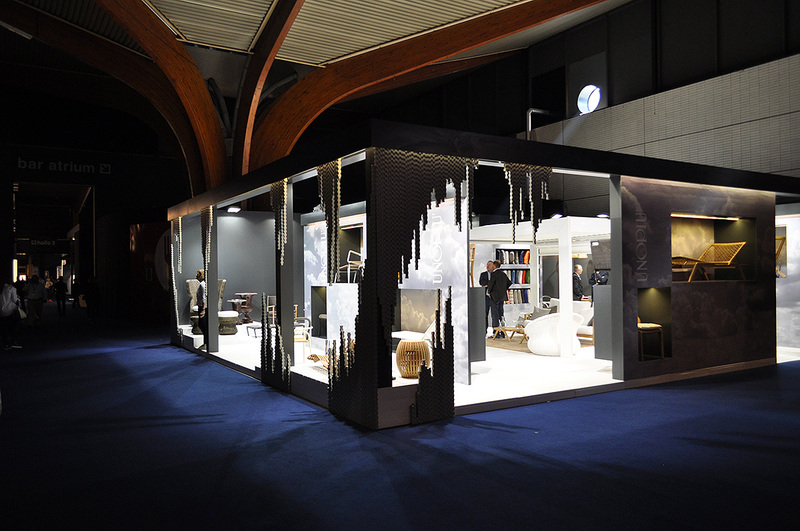 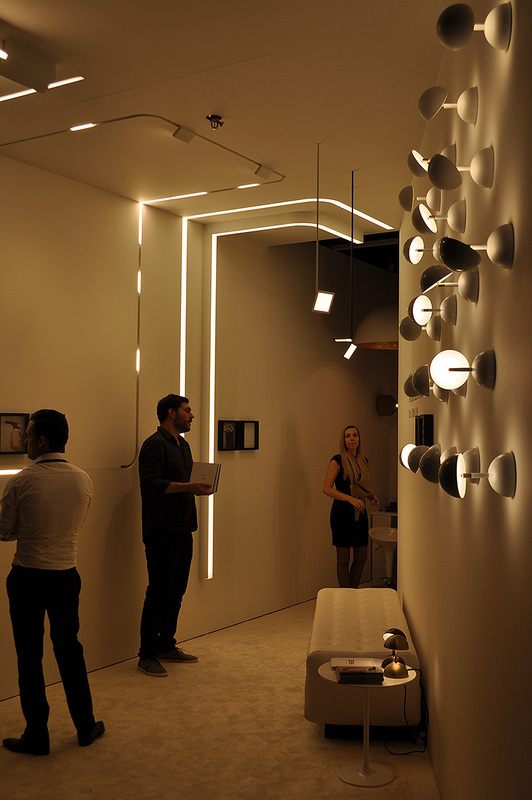 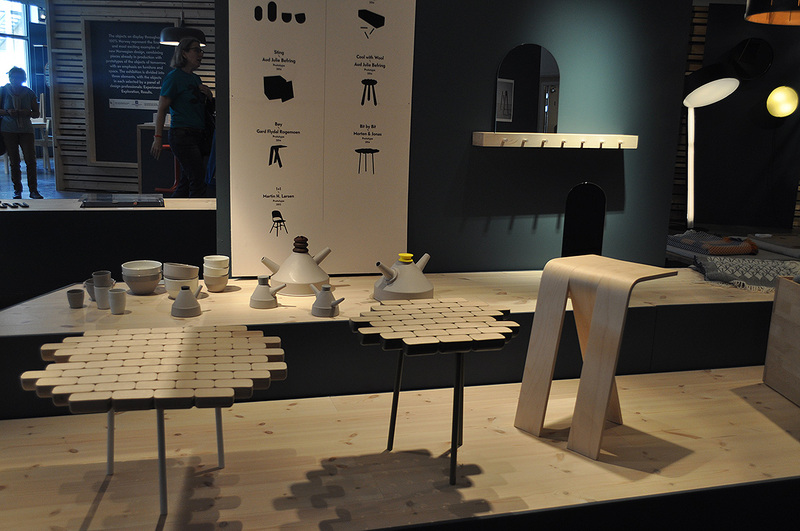 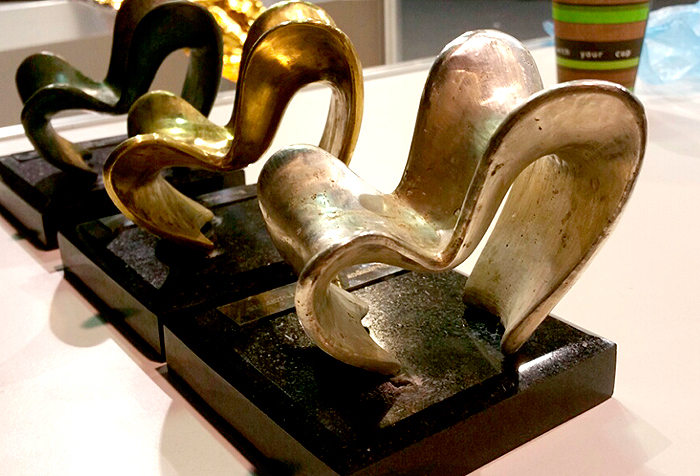 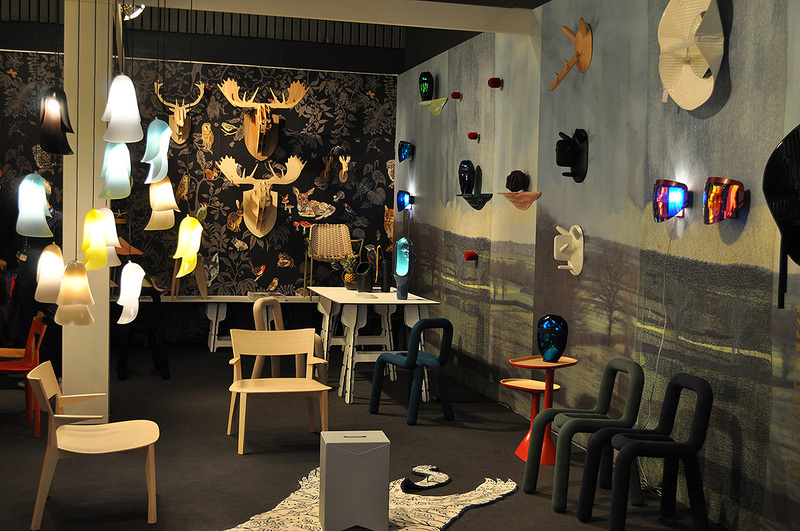 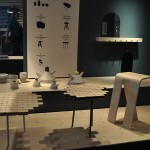 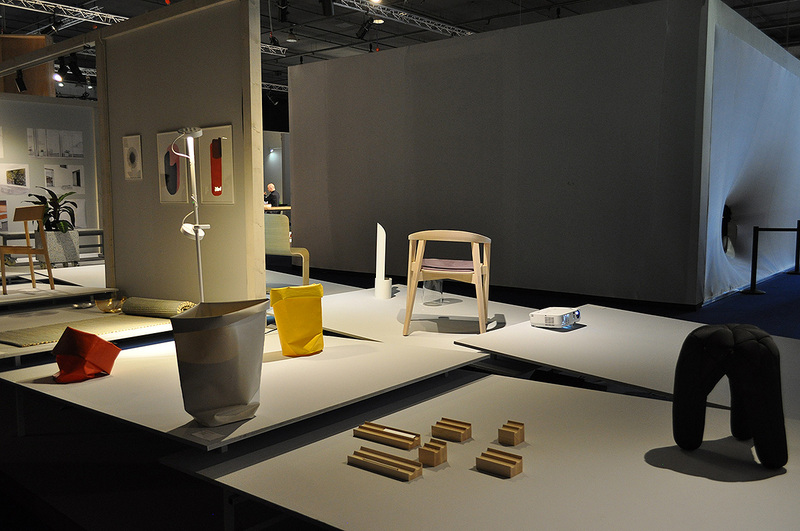 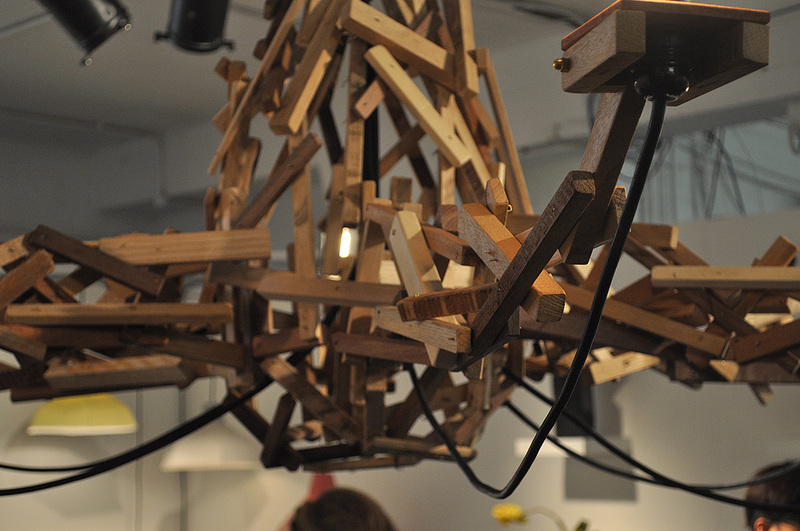 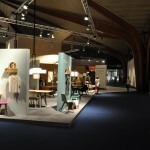 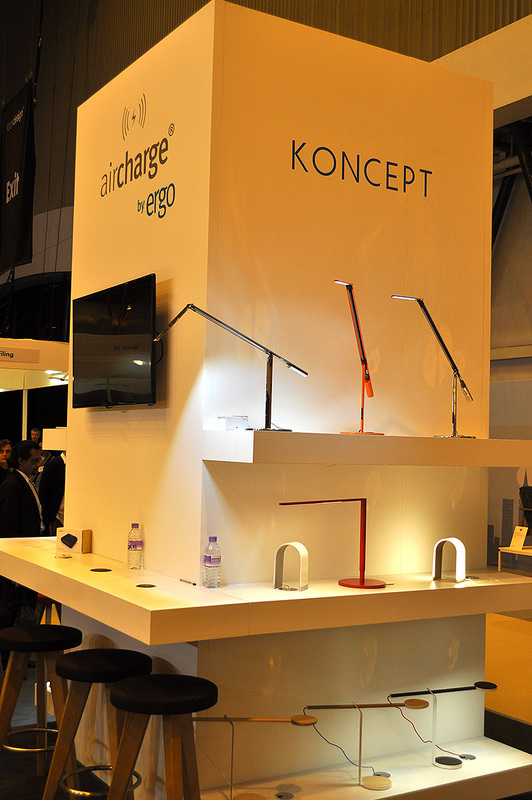 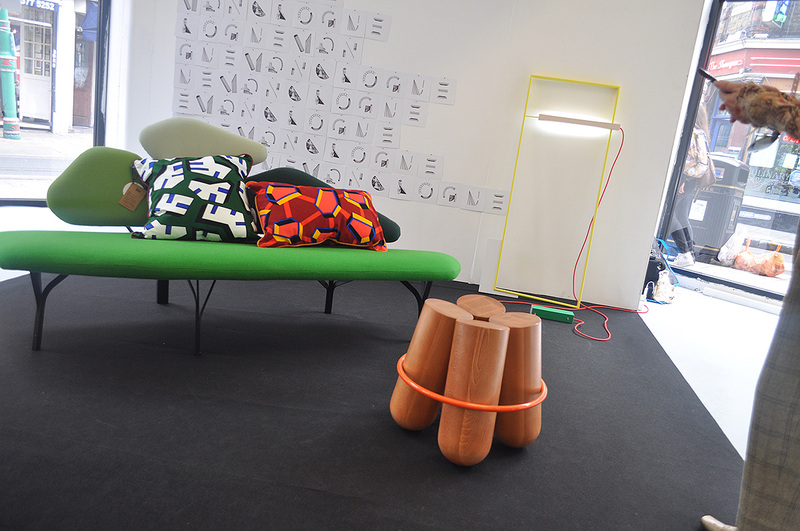 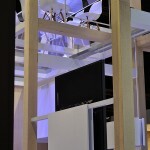 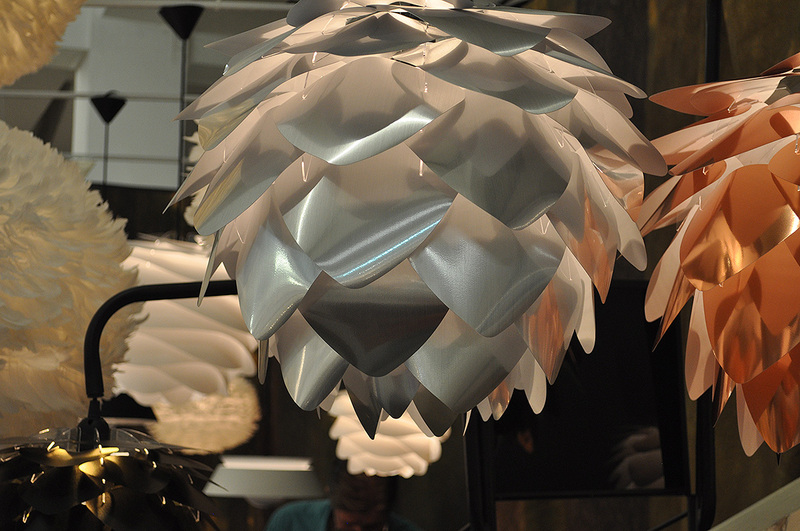 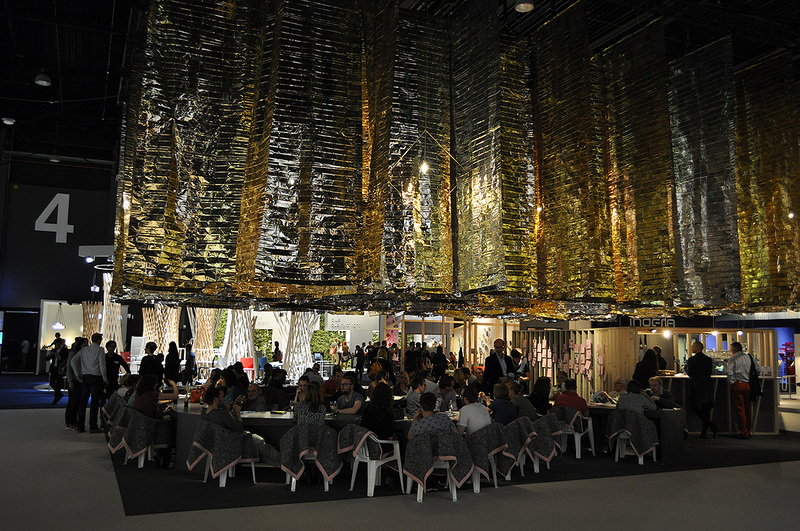 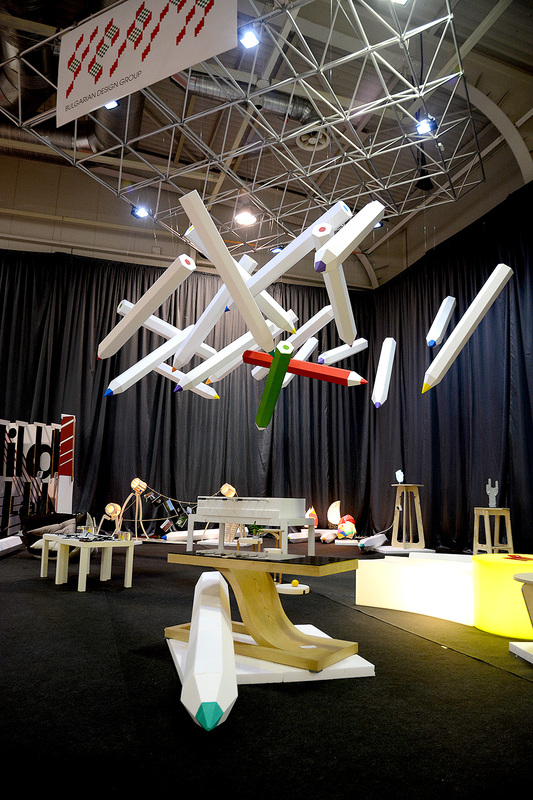 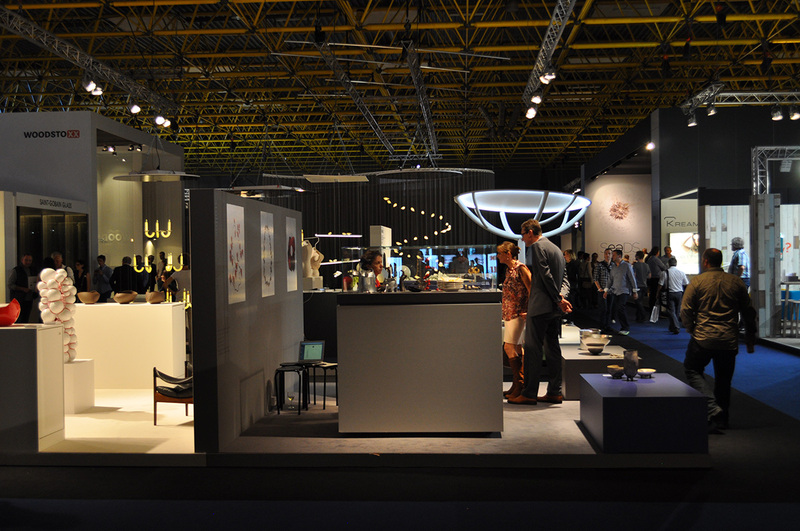 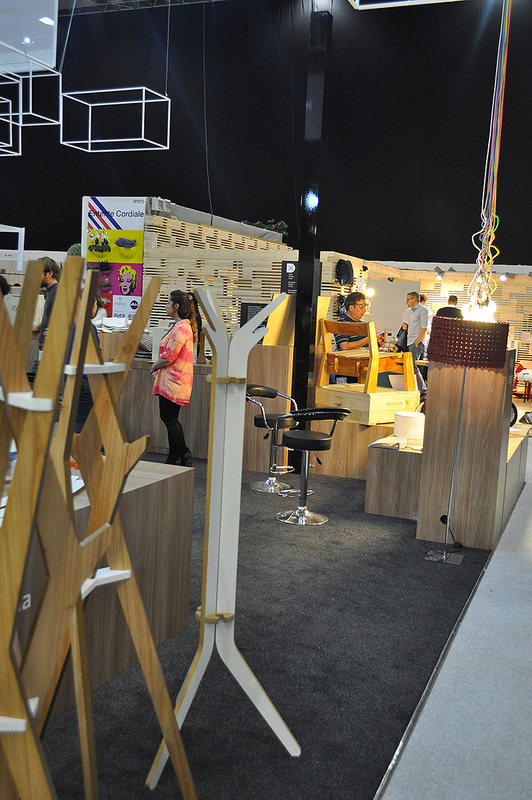 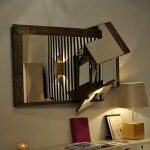 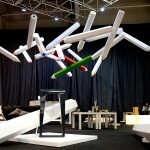 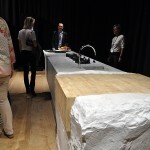 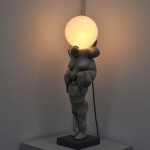 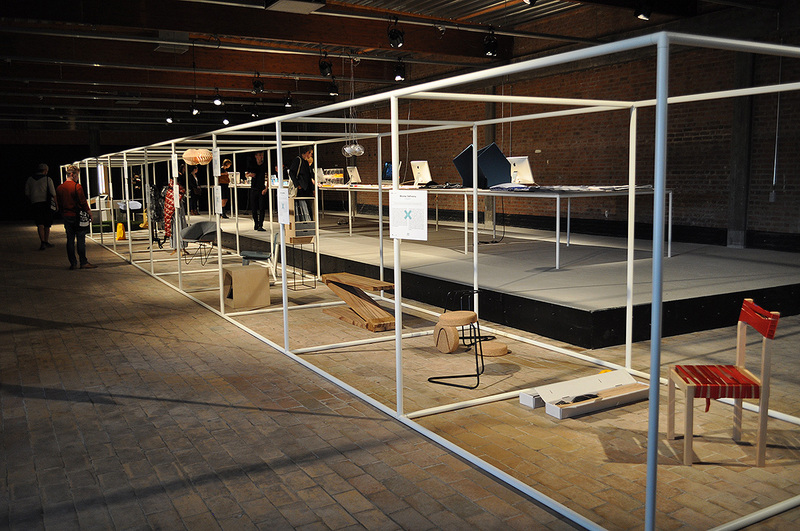 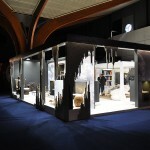 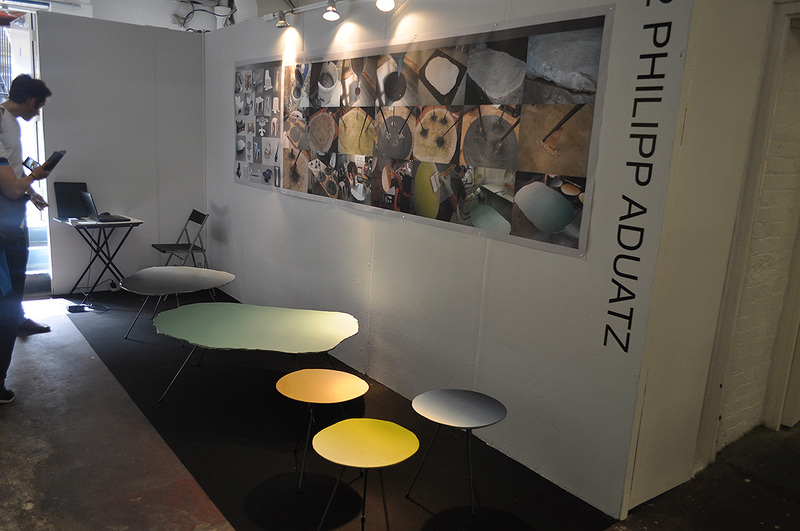 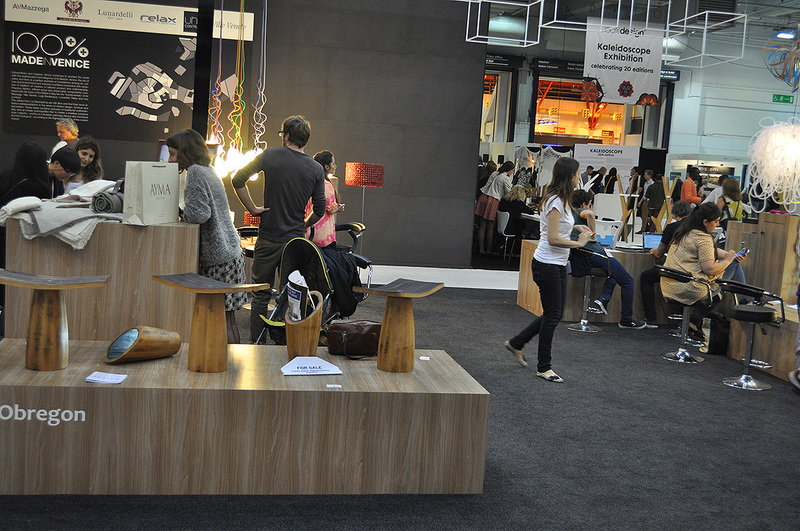 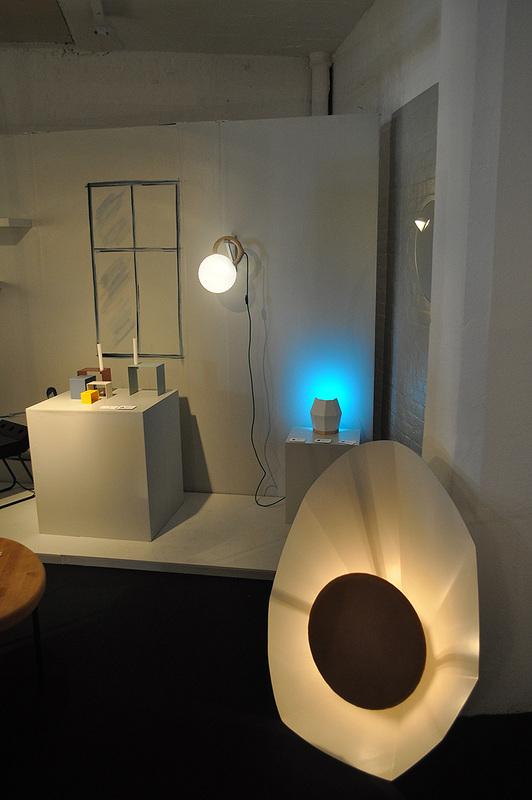 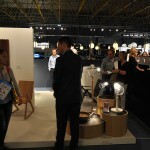 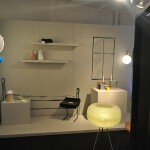 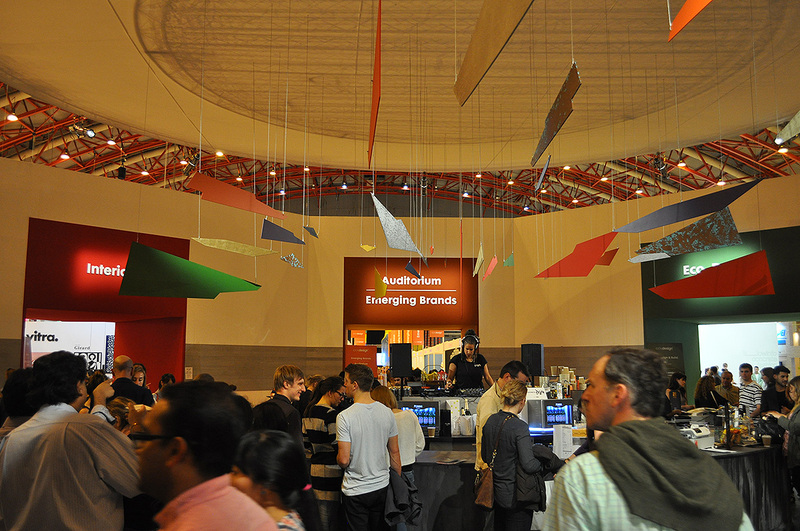 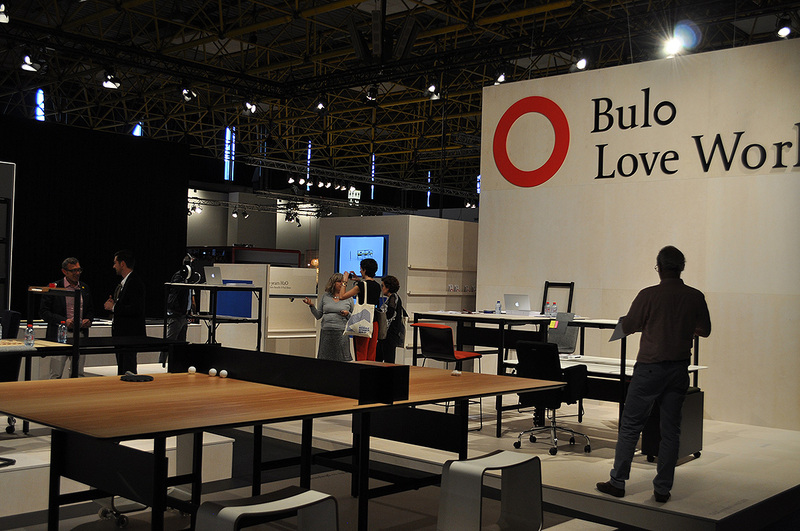 Just came back from the MACEF 2012 show – participating together with CHERGA – bulgarian design group. 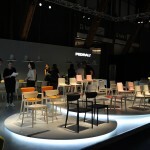 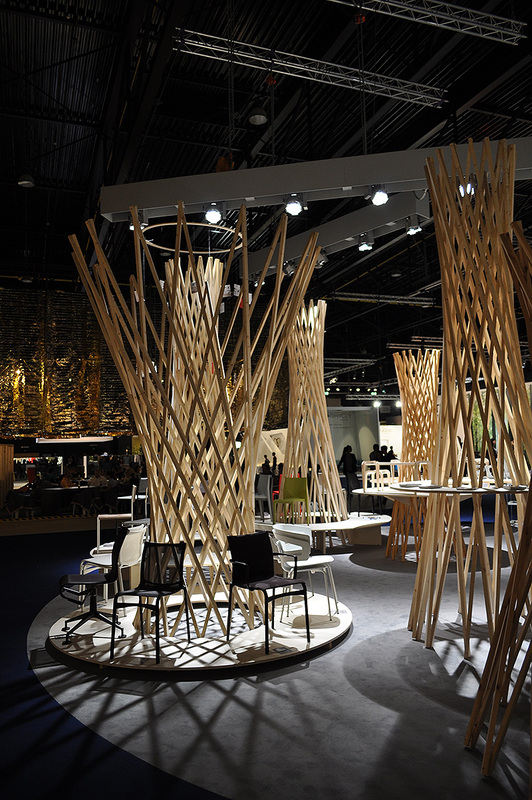 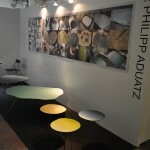 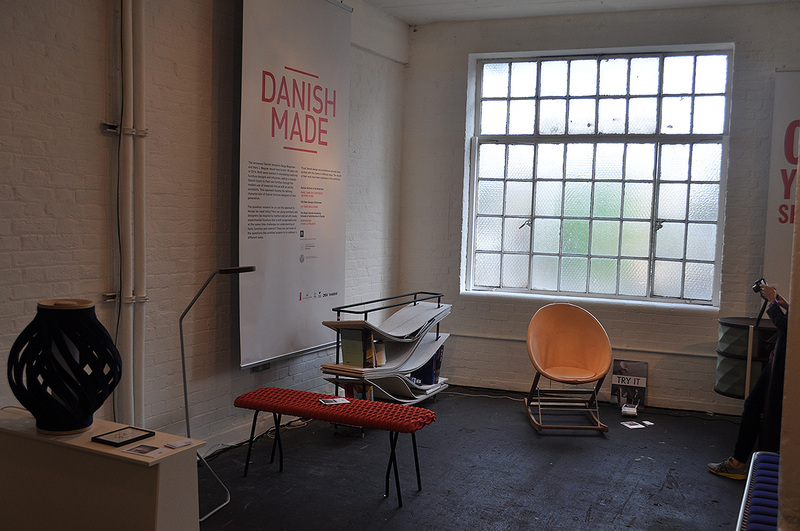 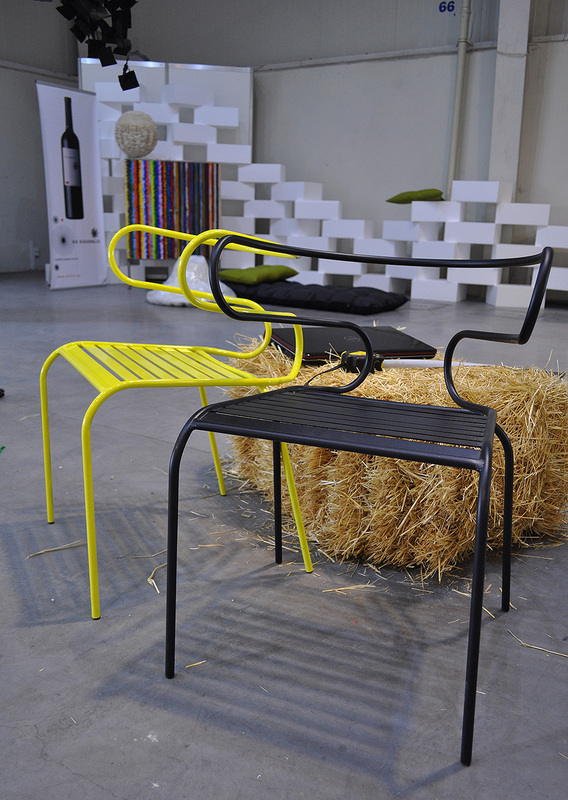 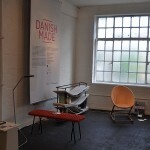 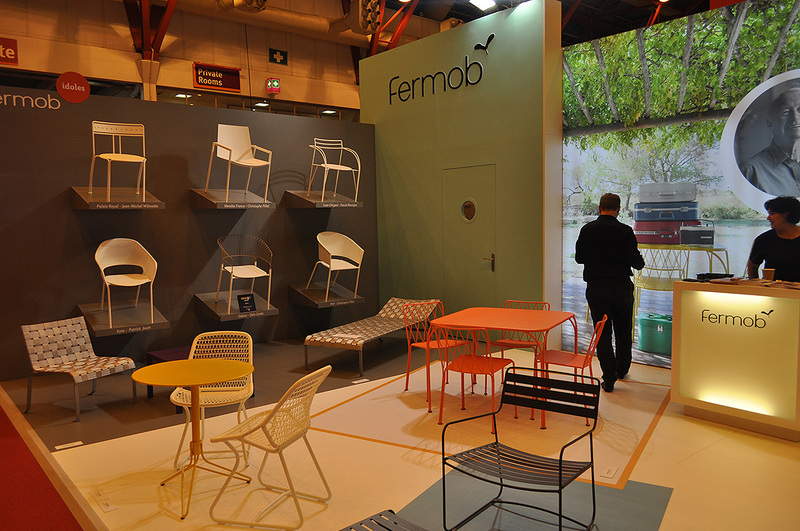 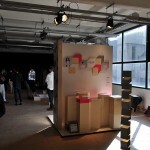 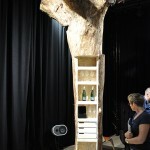 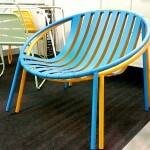 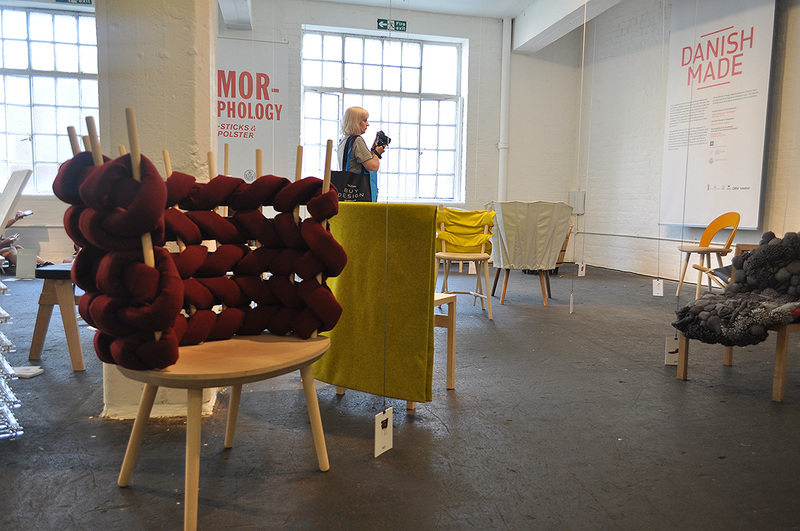 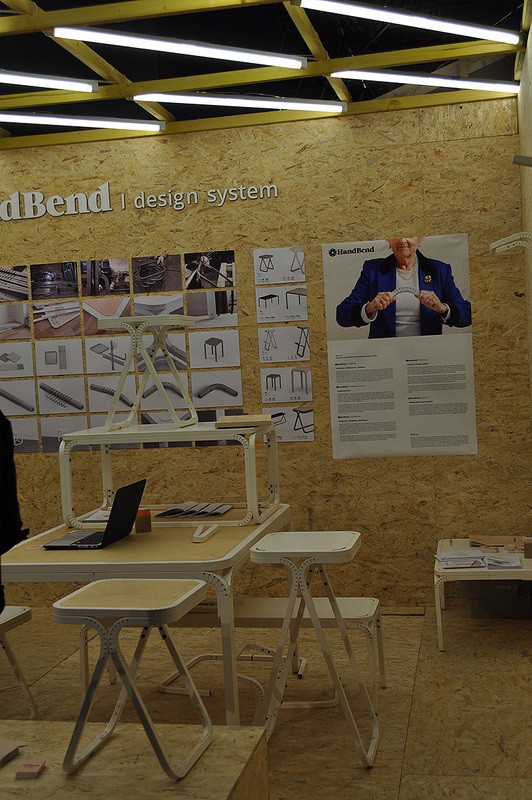 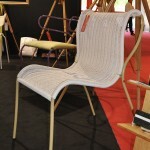 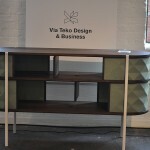 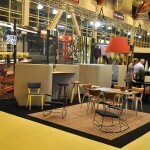 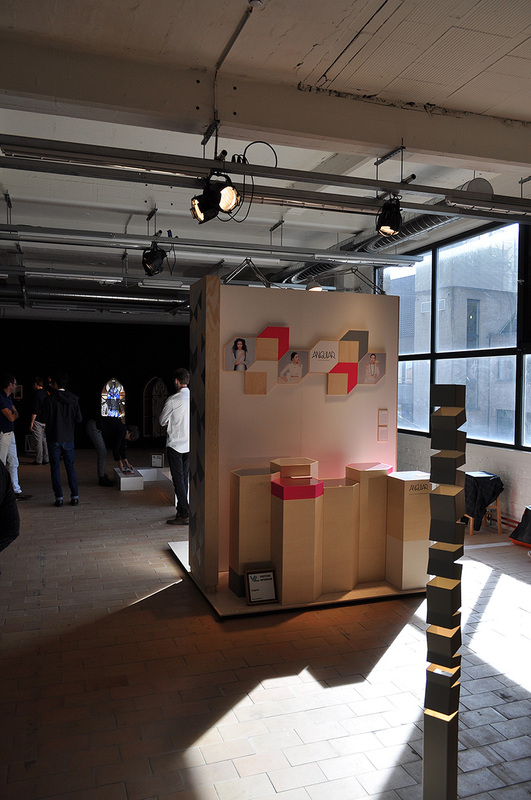 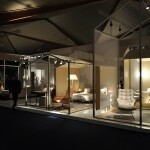 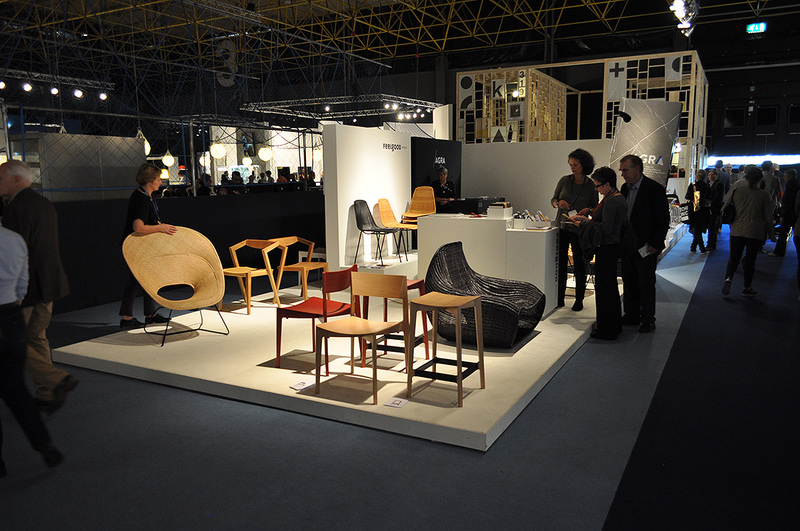 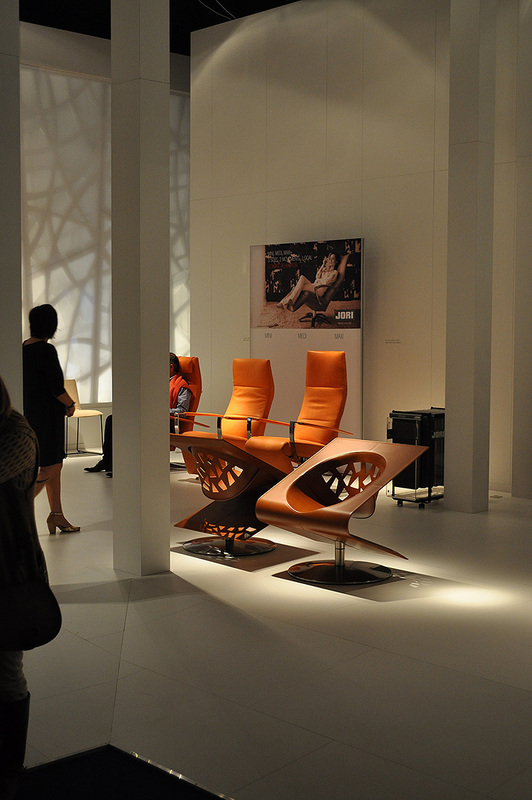 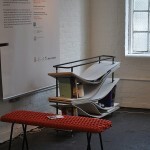 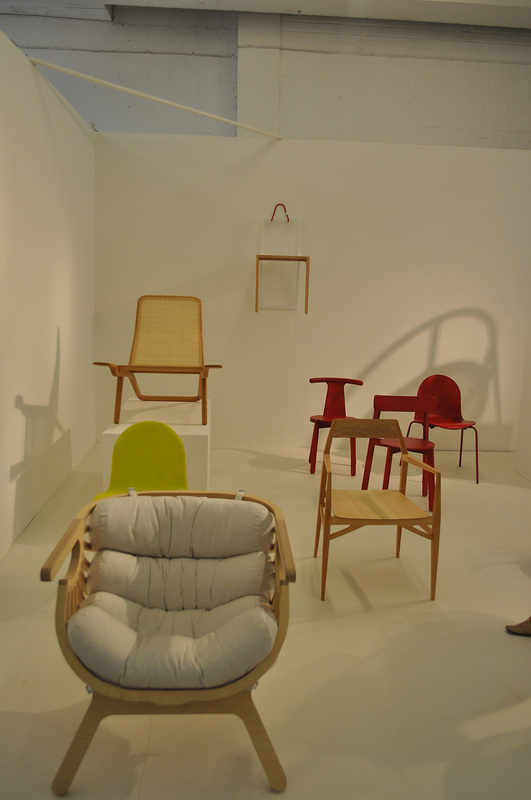 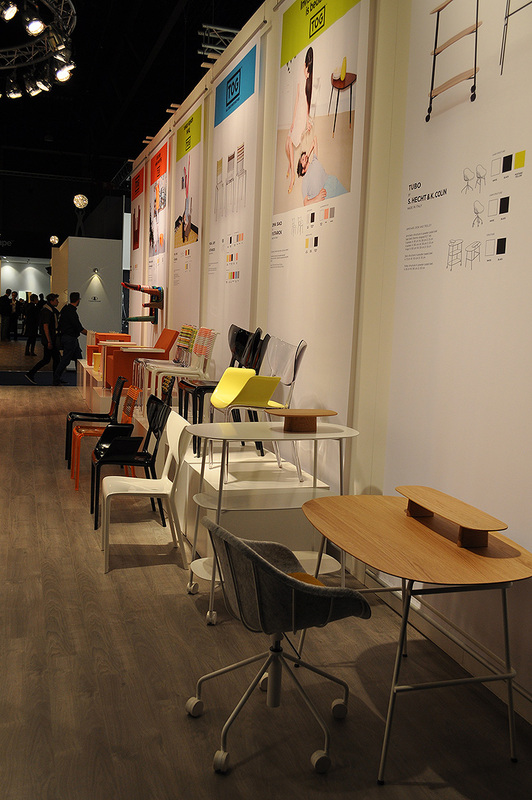 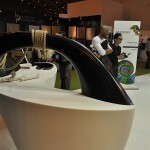 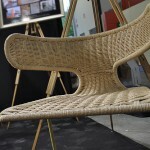 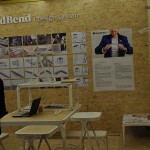 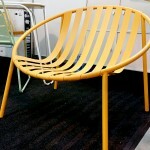 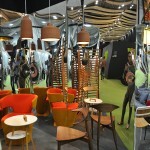 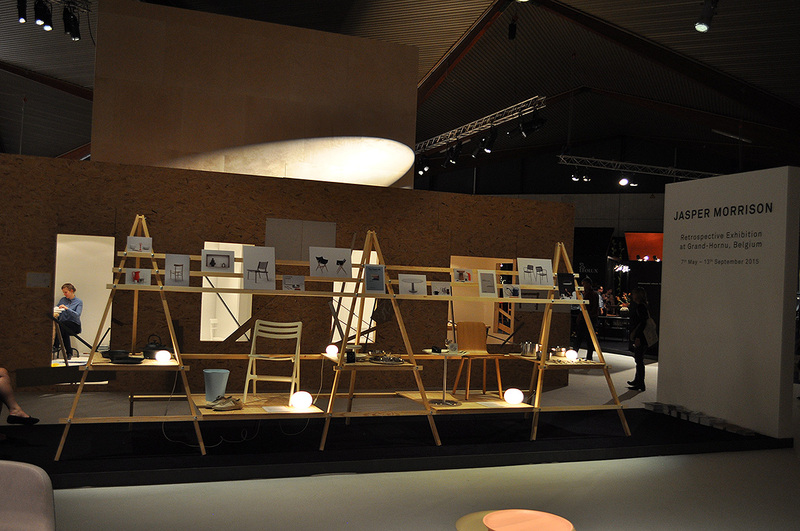 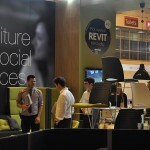 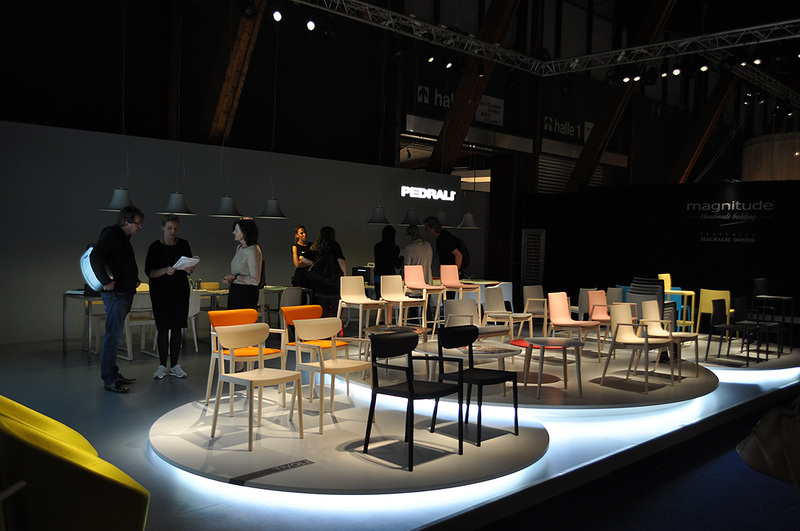 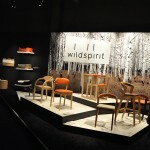 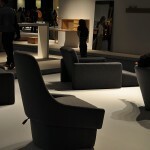 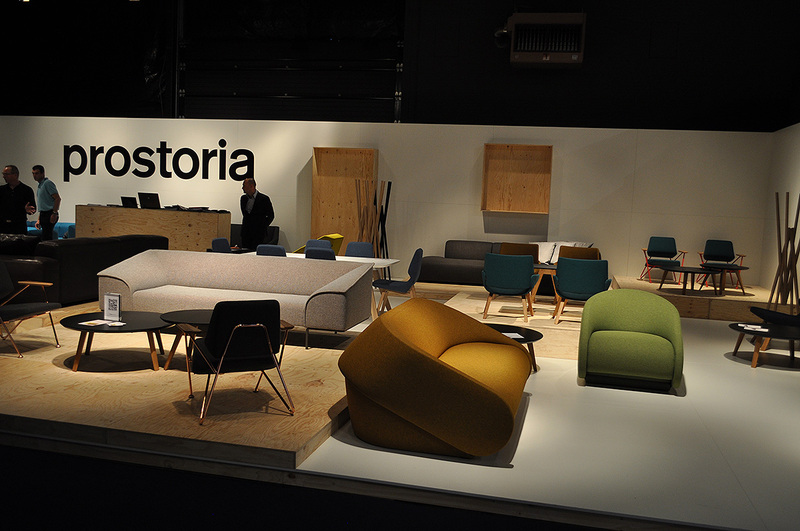 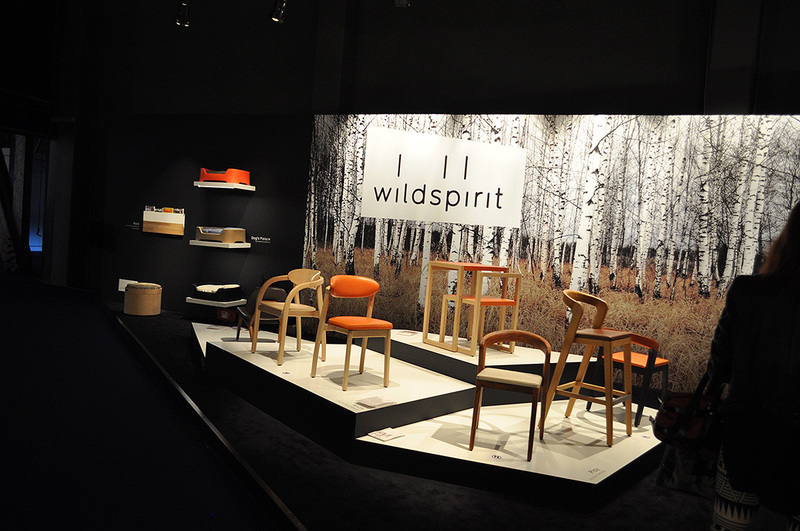 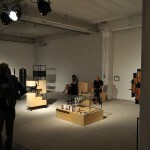 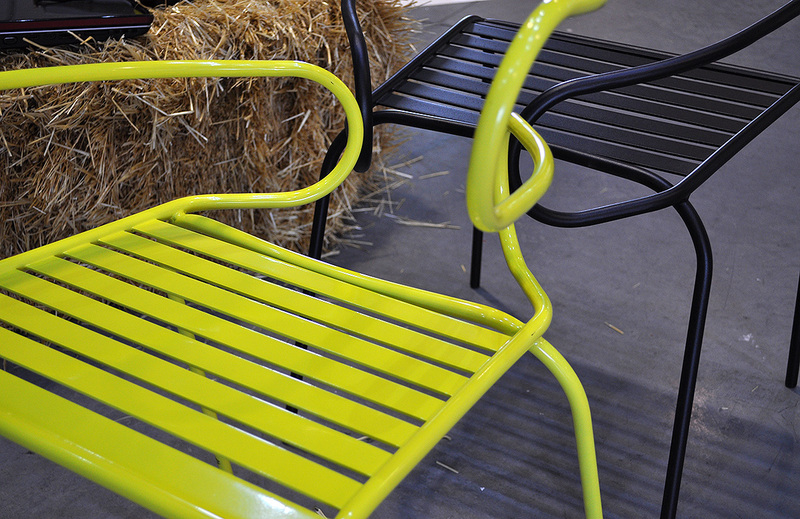 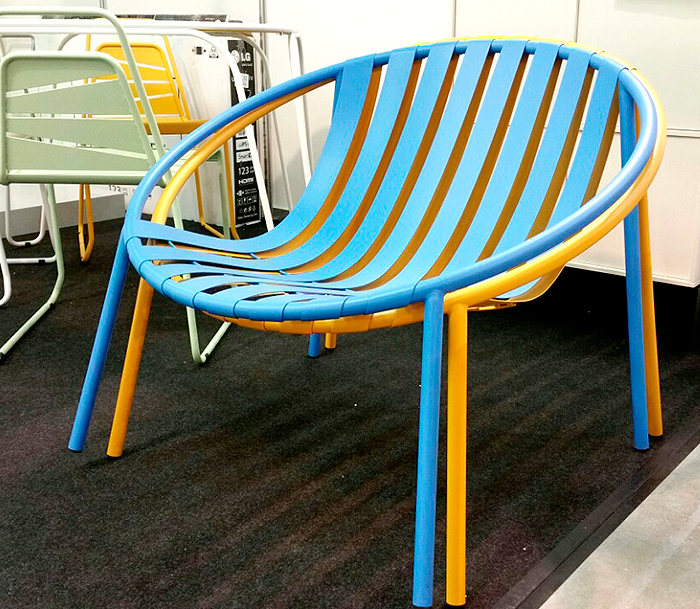 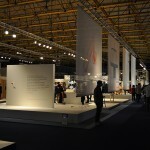 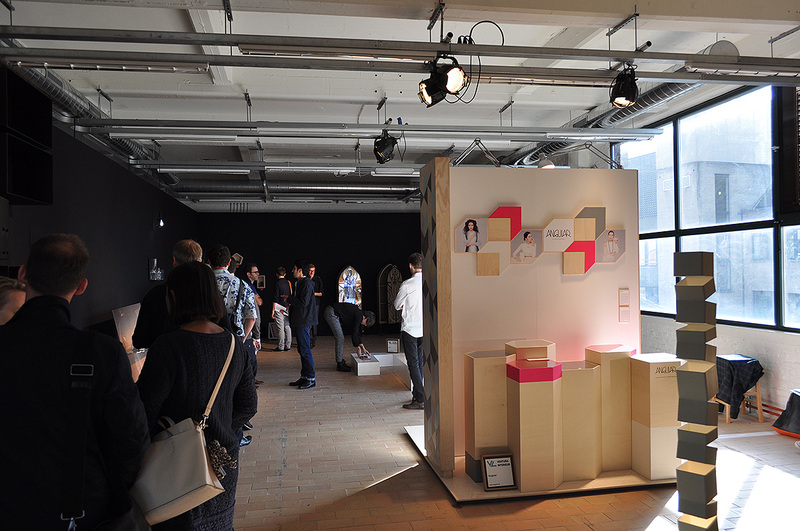 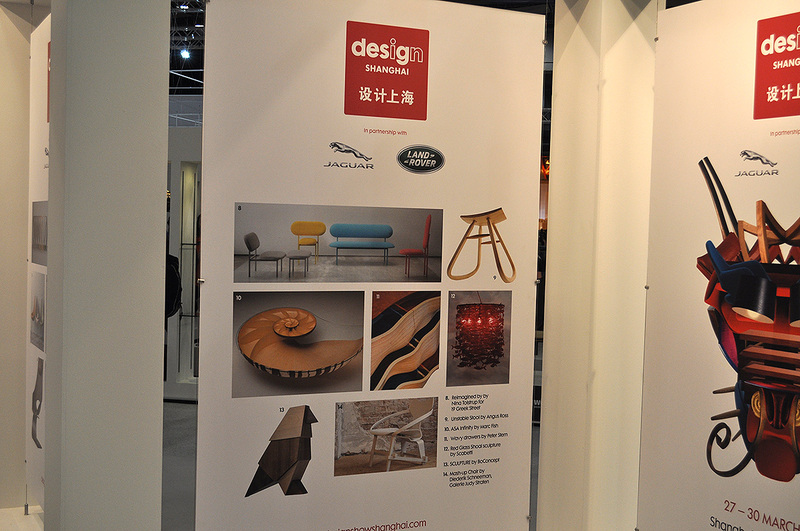 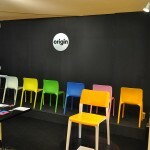 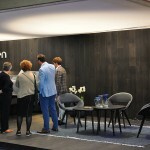 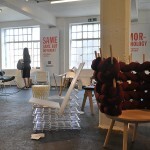 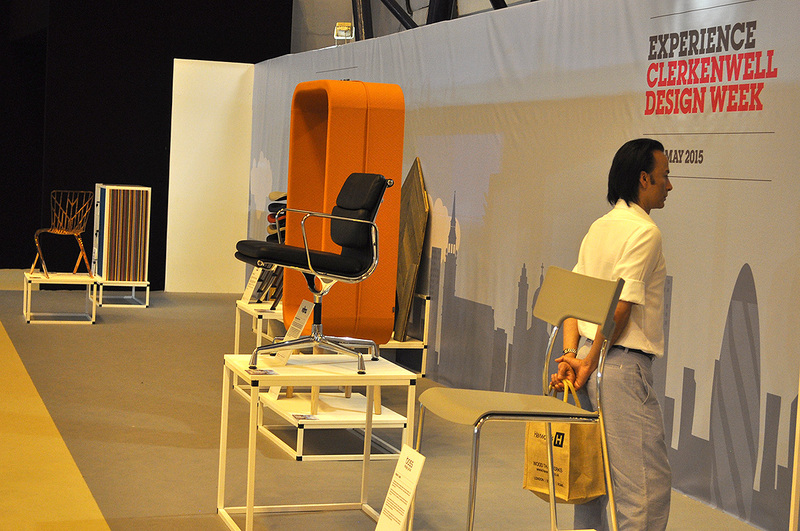 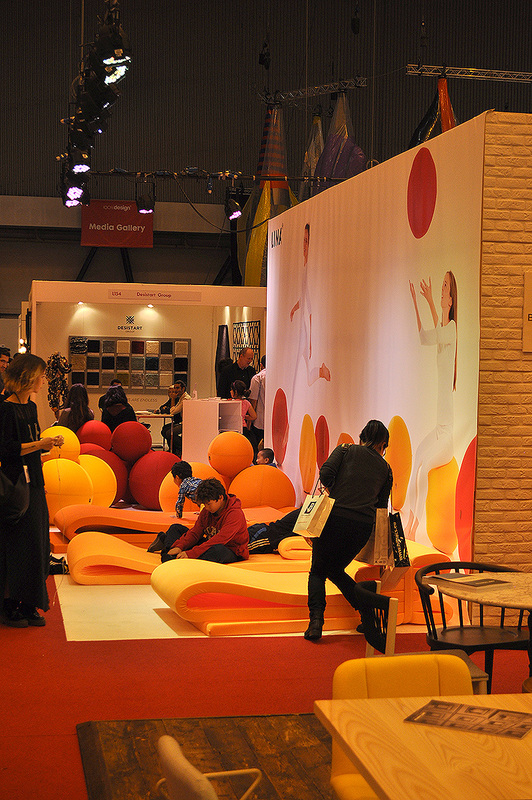 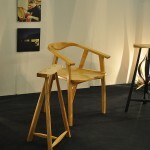 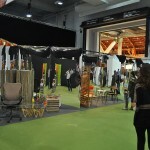 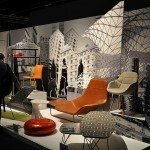 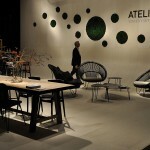 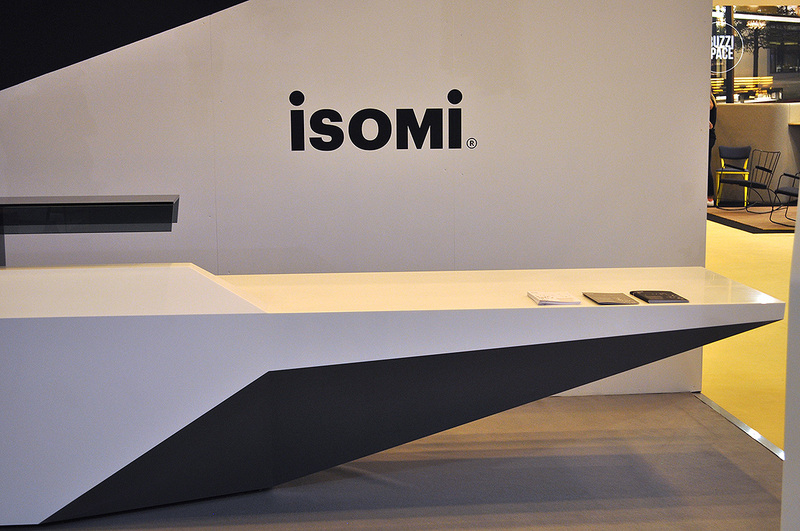 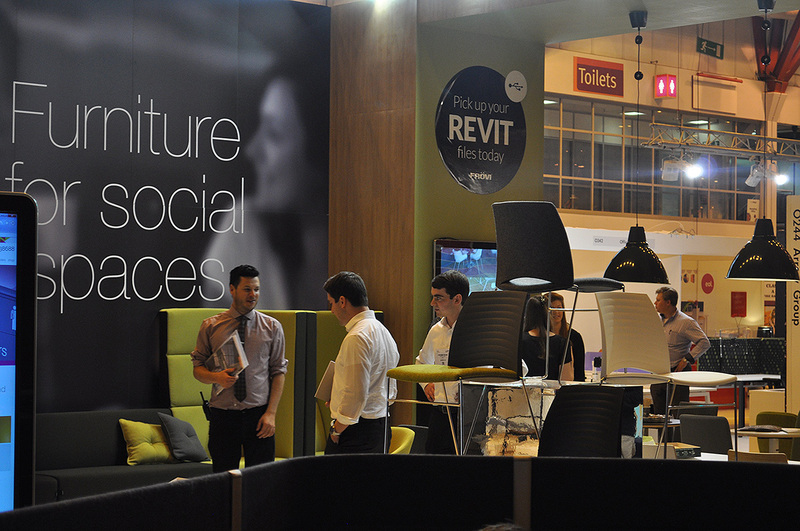 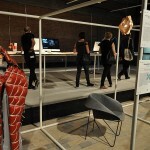 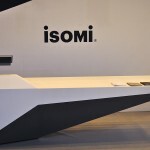 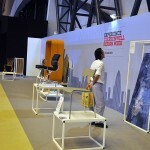 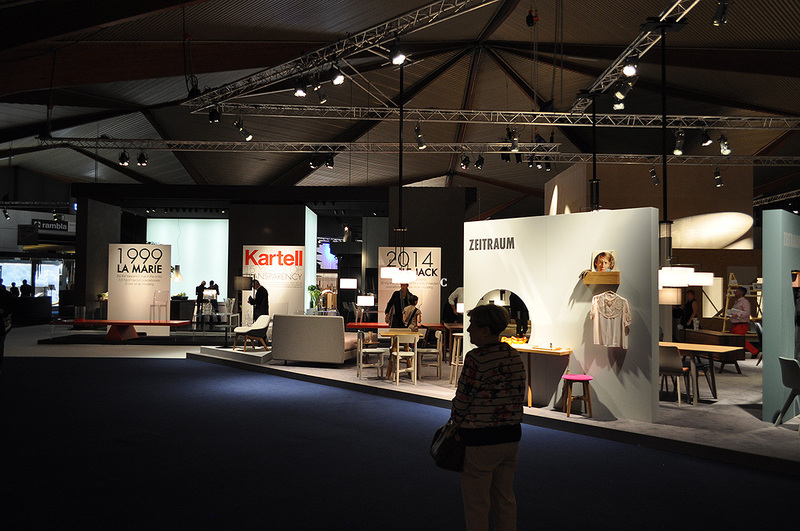 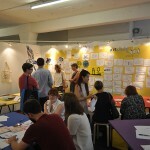 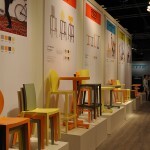 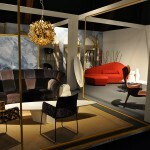 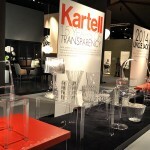 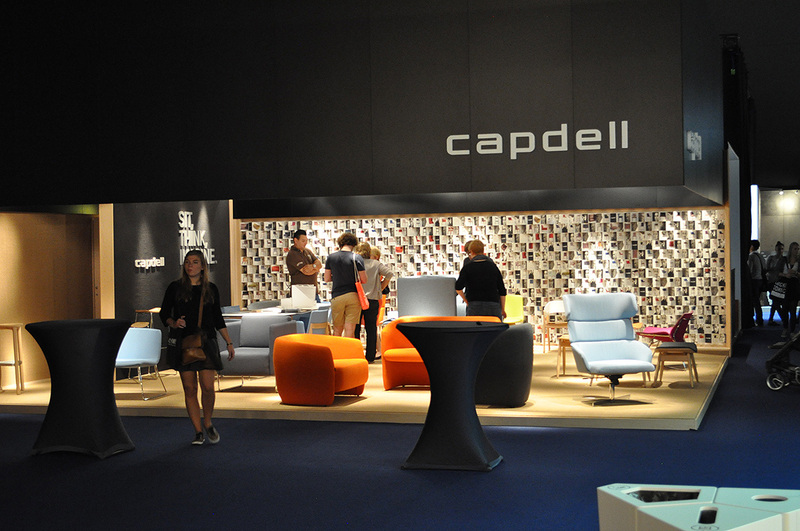 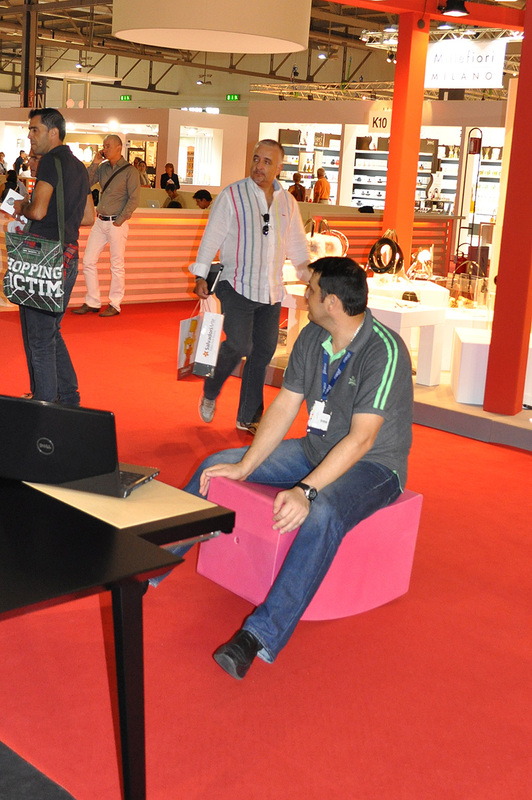 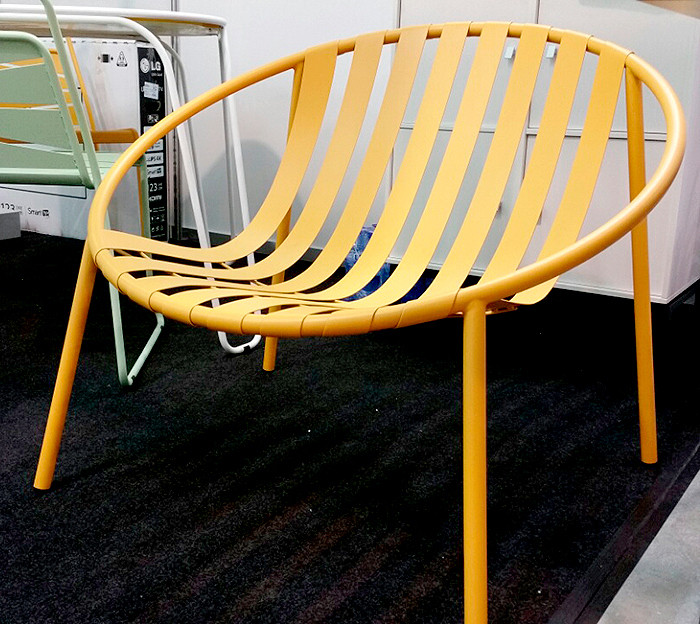 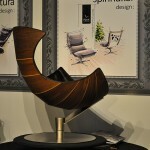 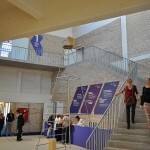 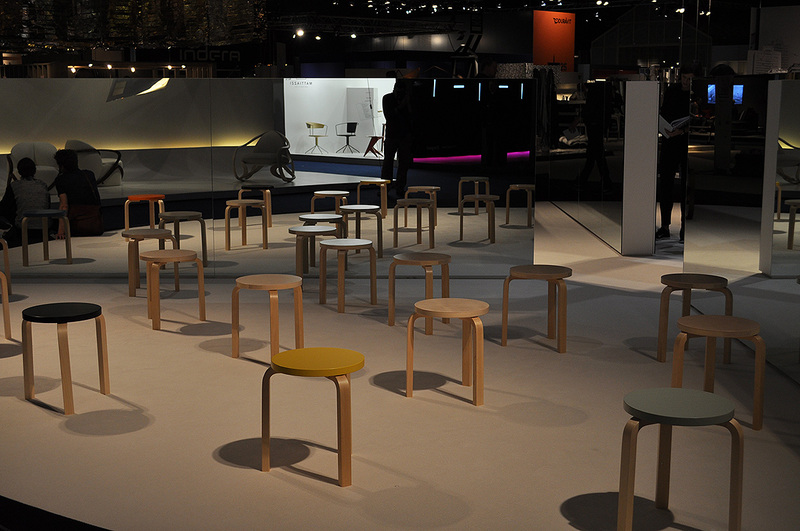 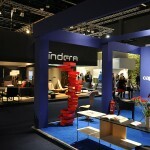 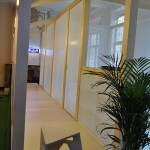 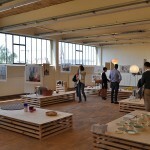 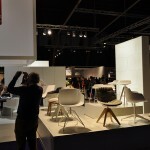 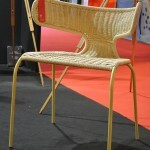 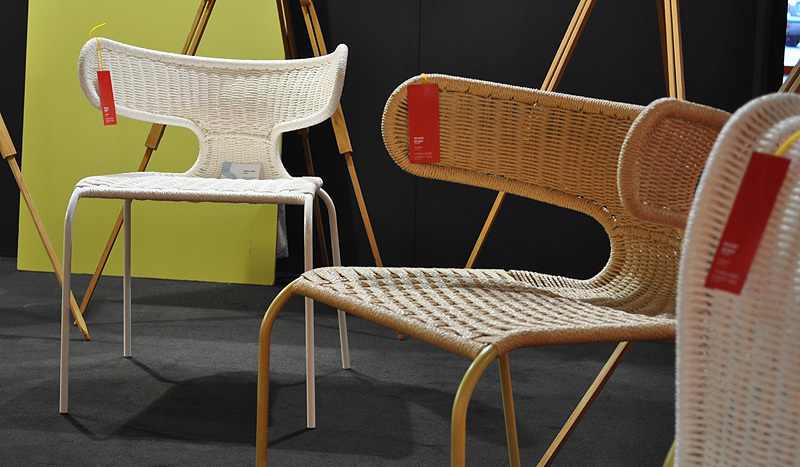 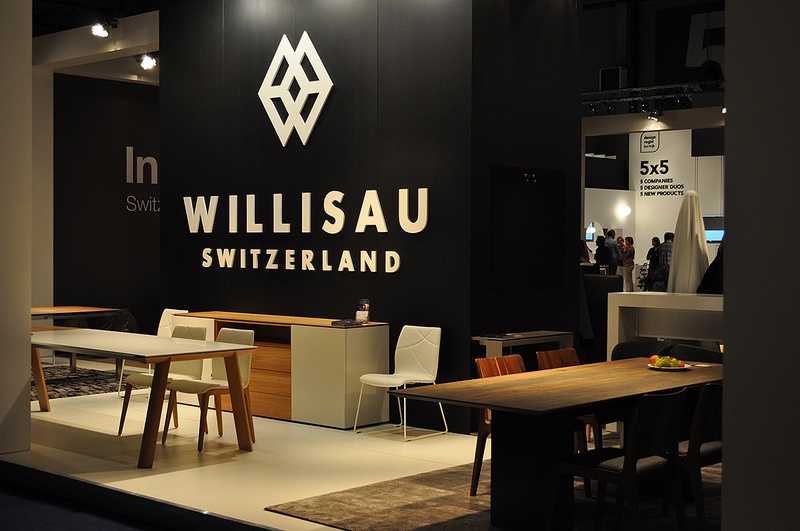 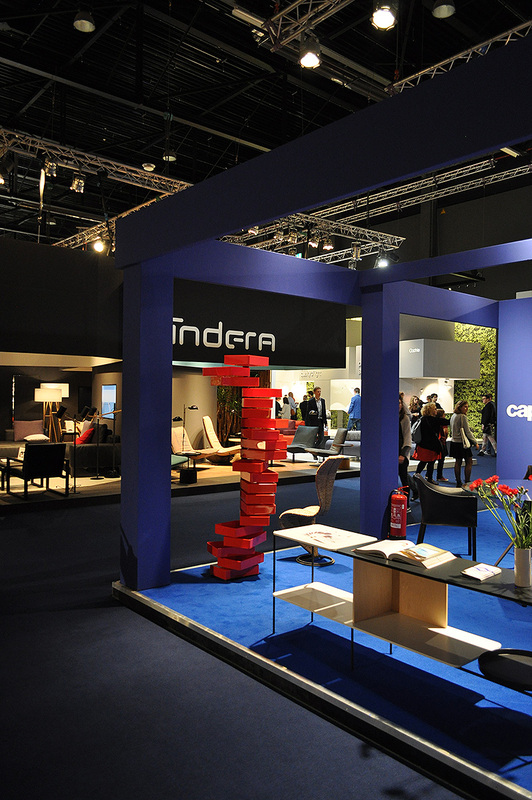 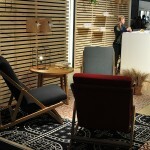 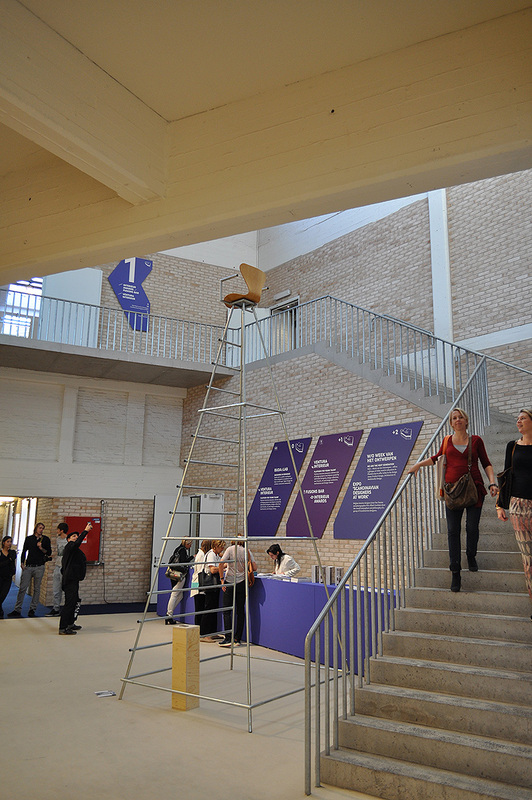 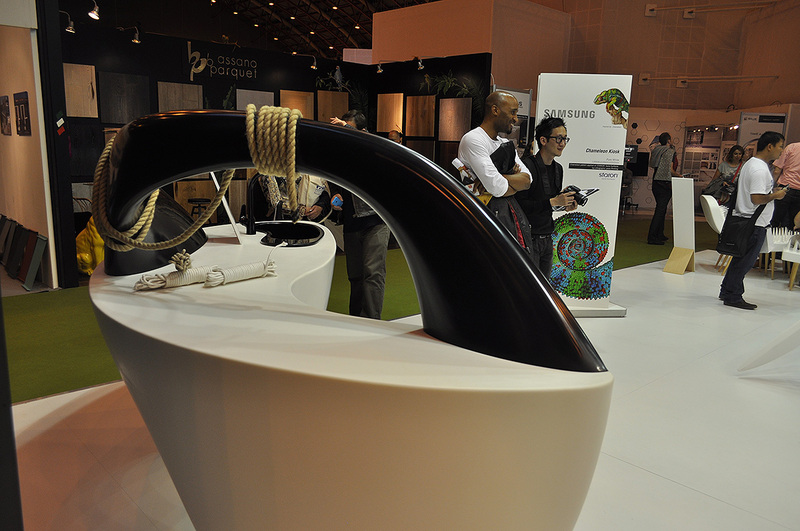 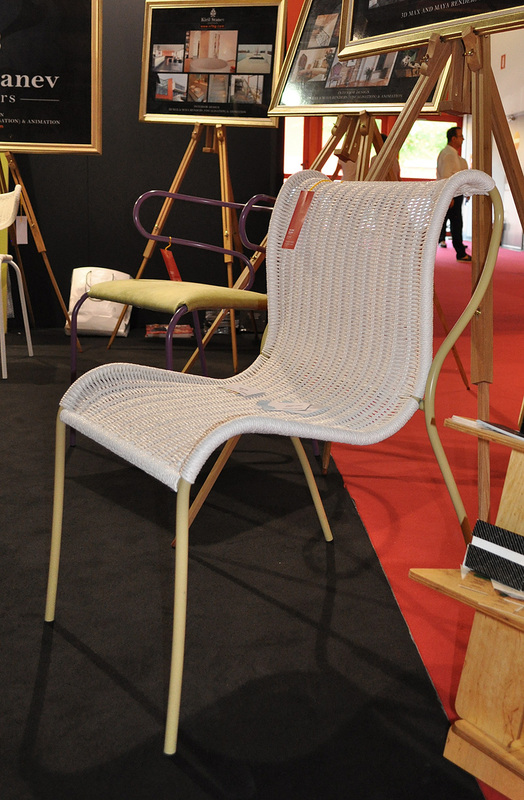 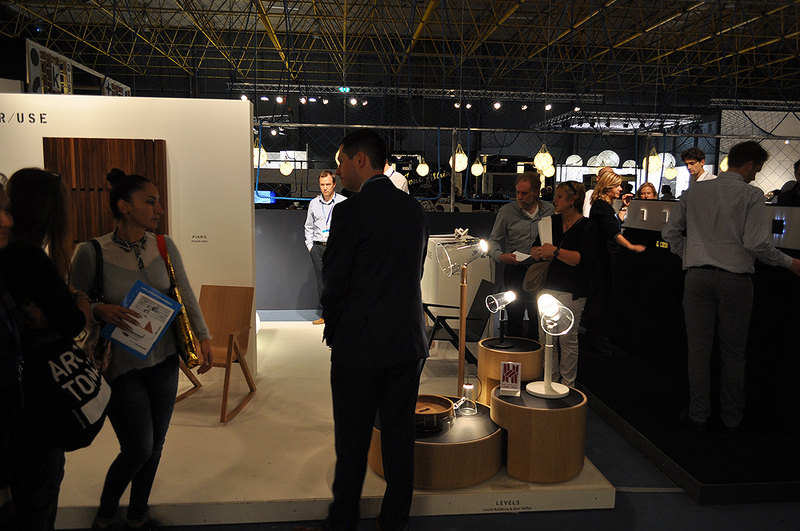 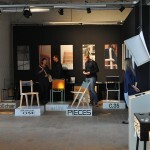 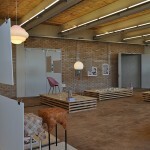 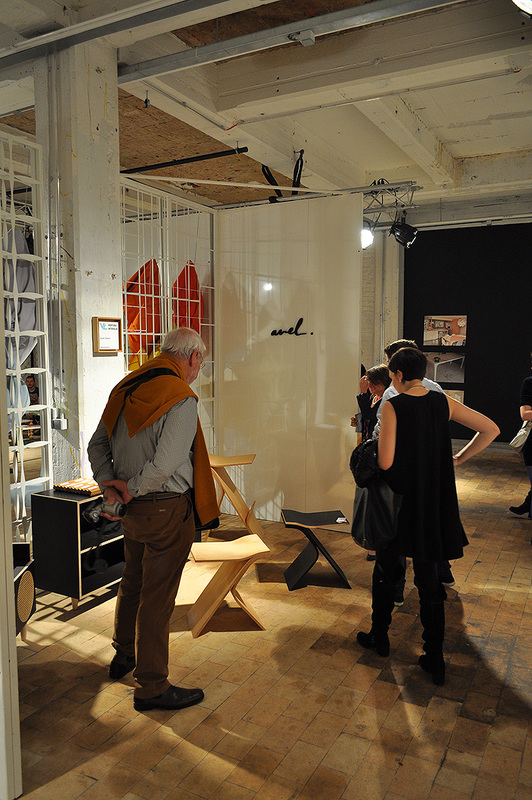 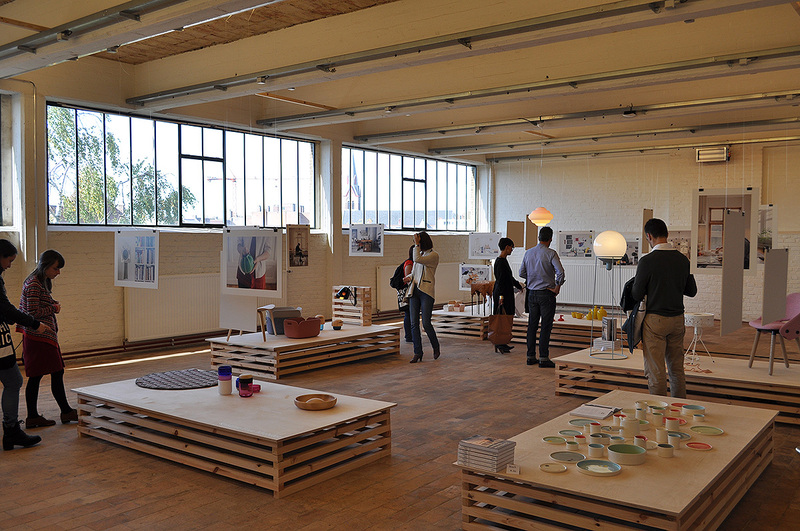 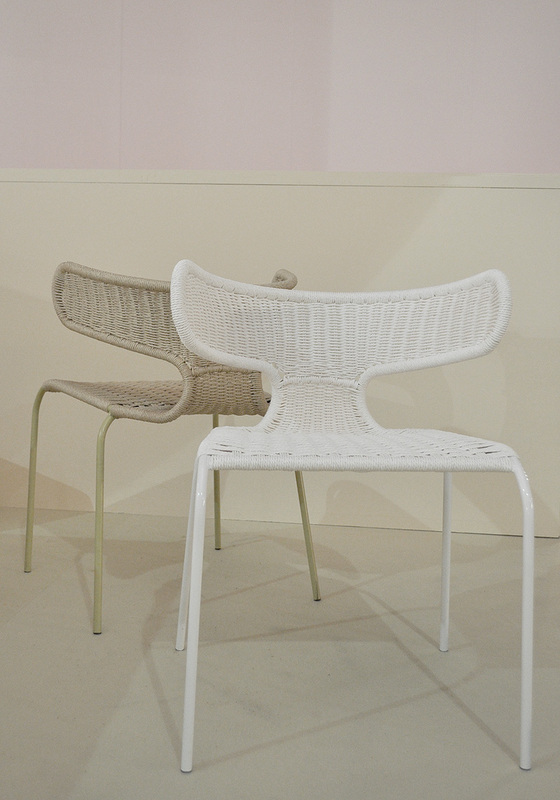 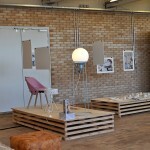 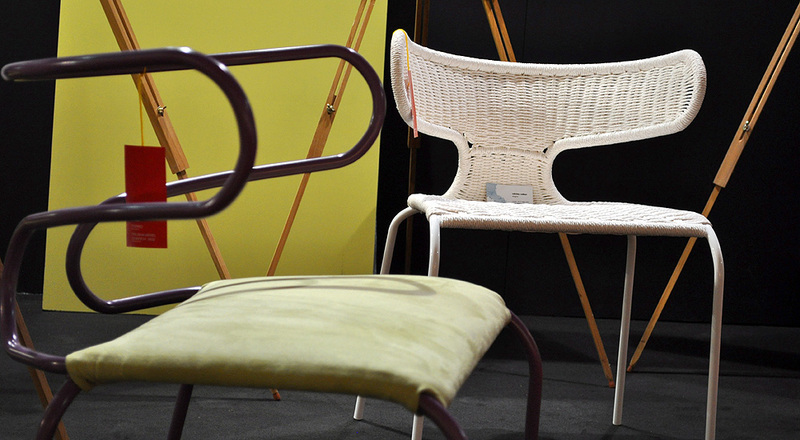 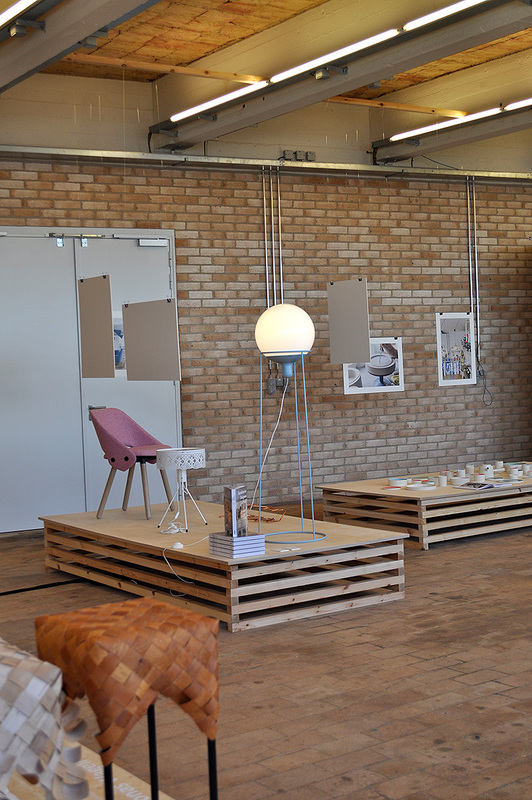 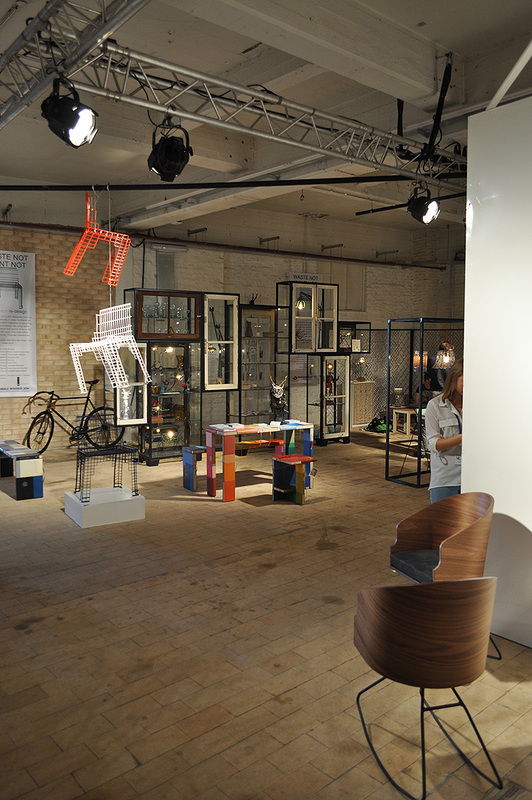 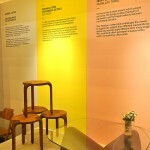 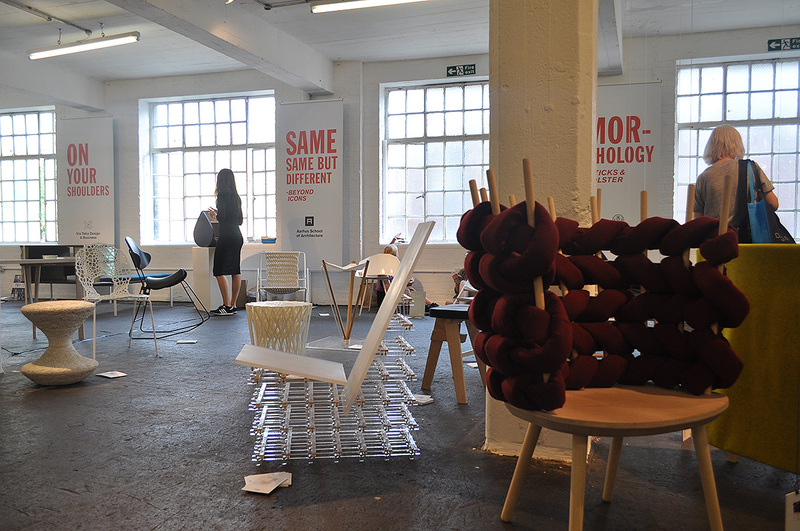 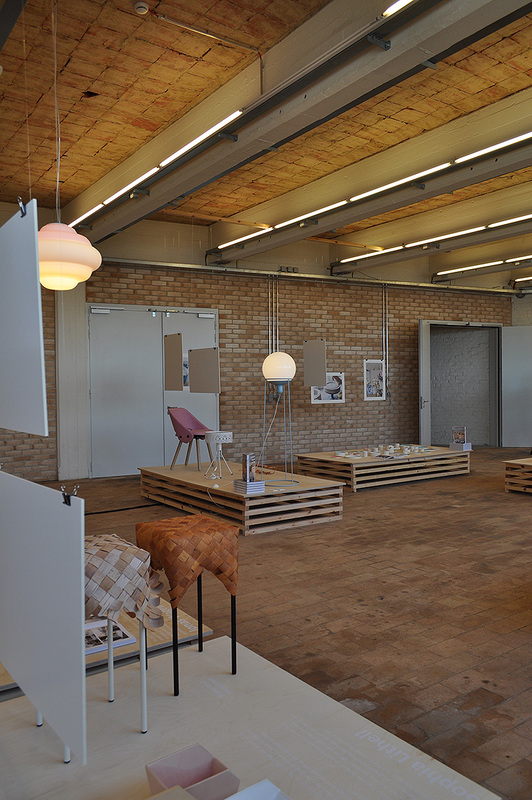 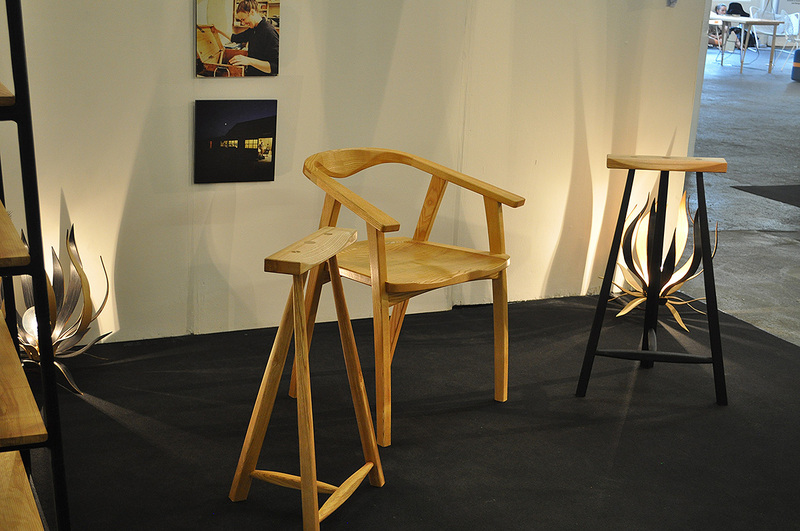 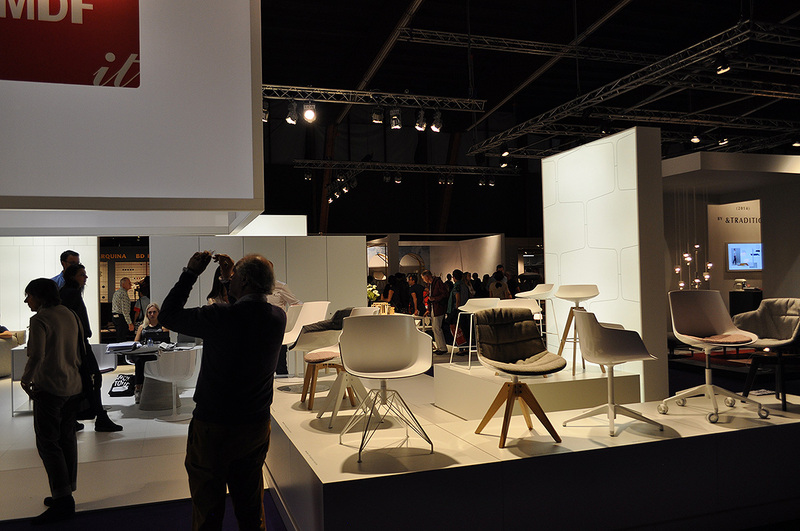 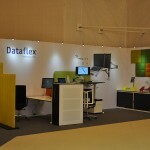 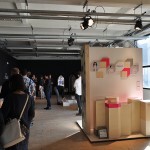 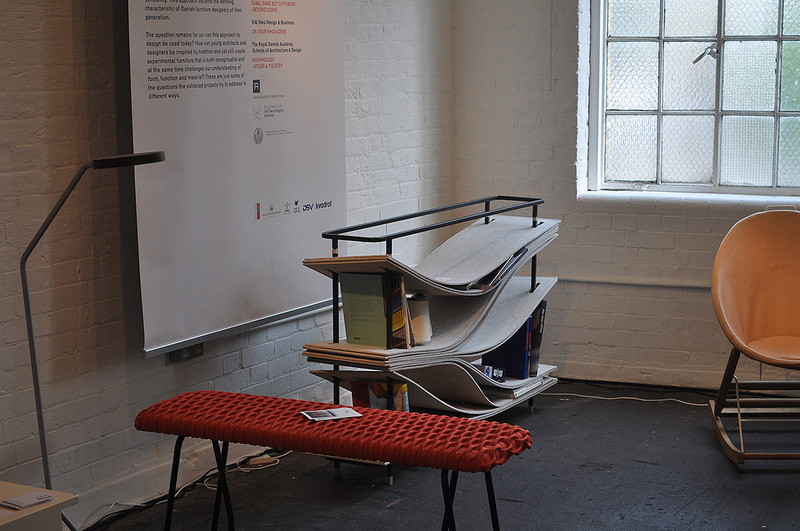 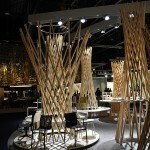 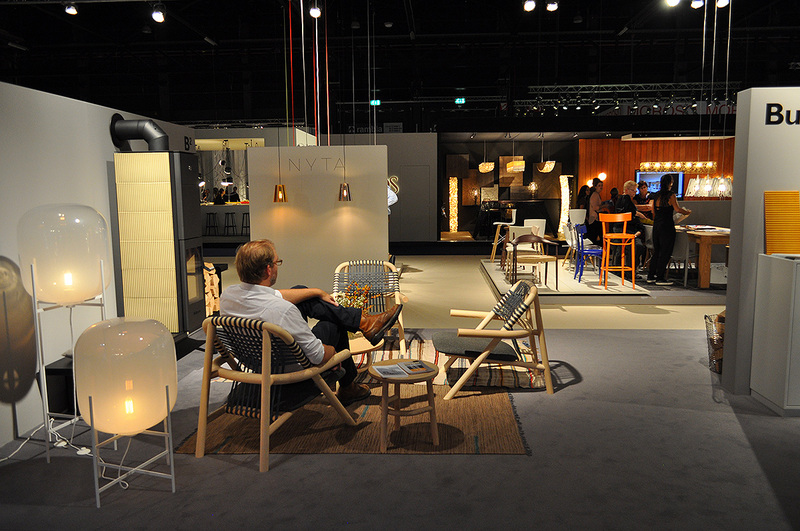 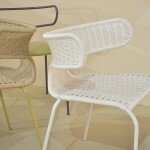 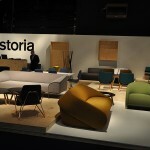 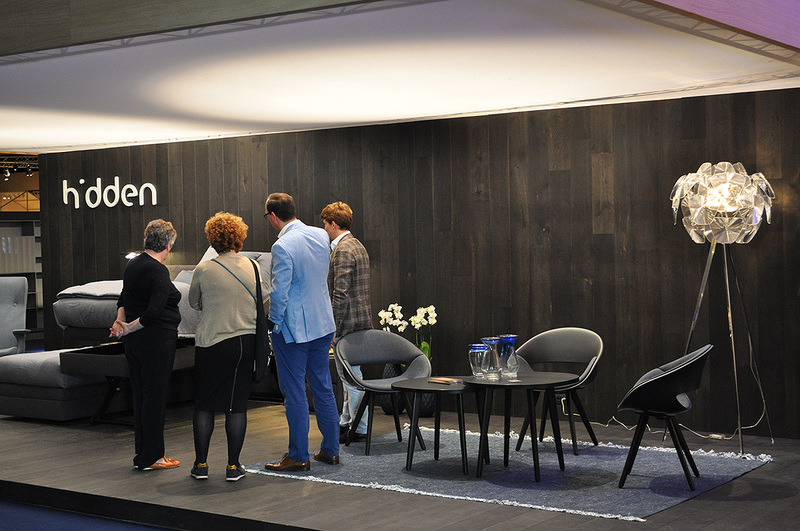 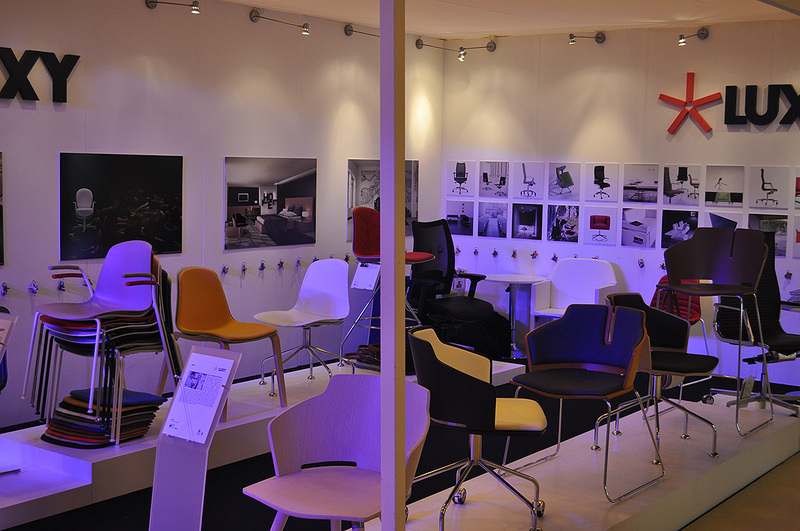 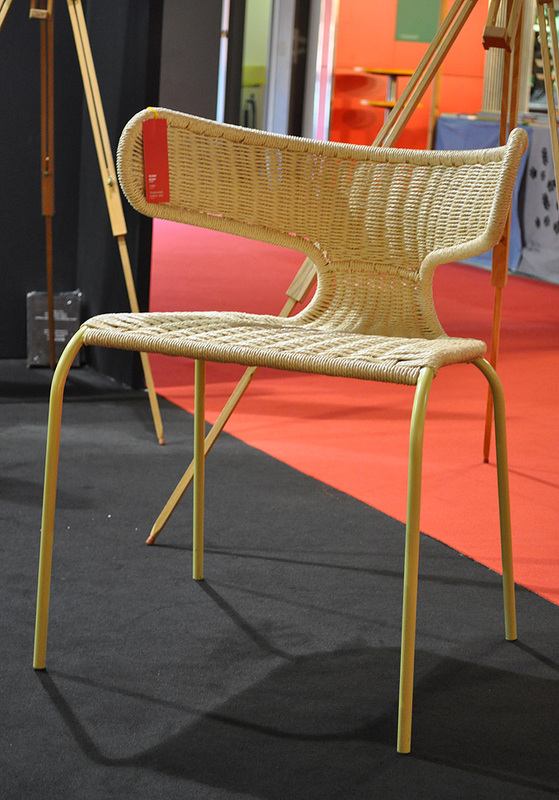 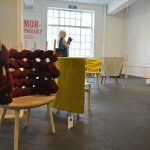 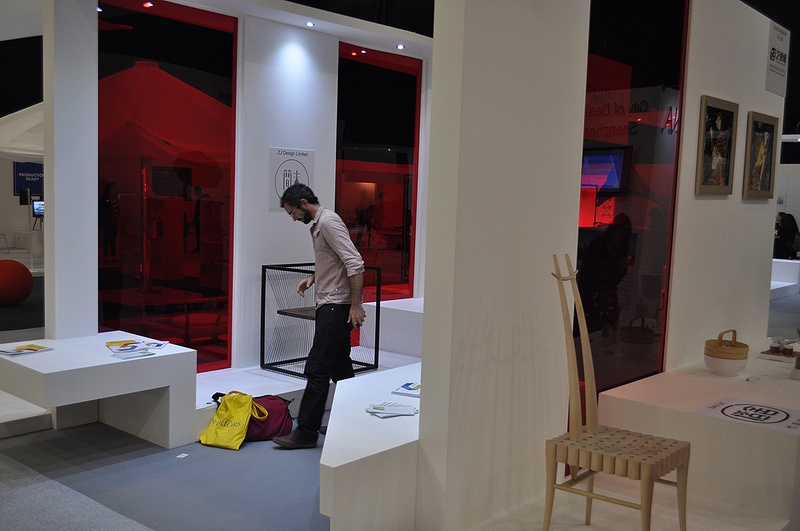 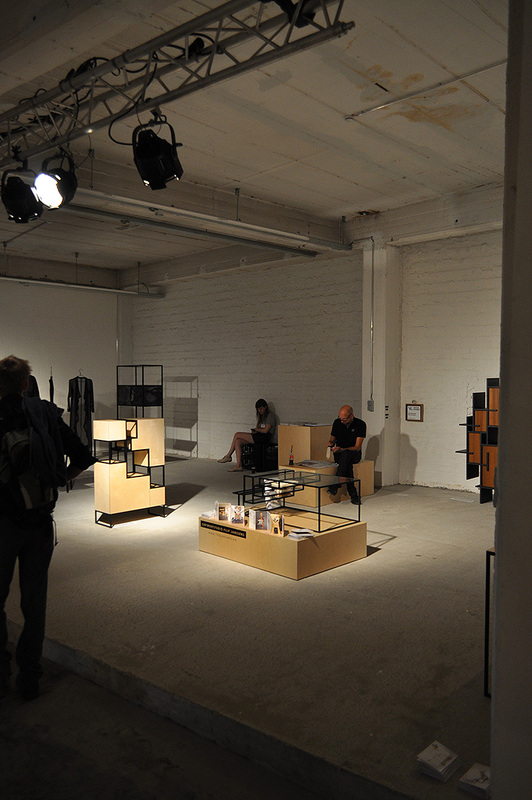 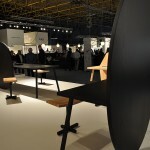 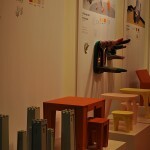 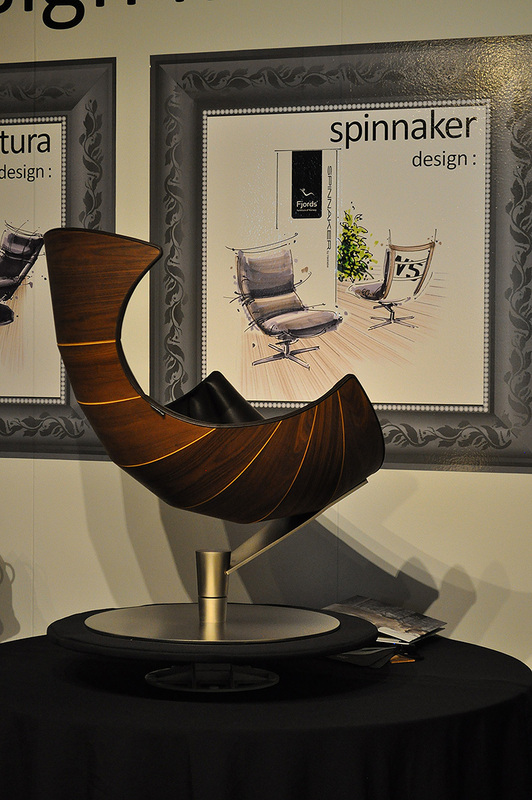 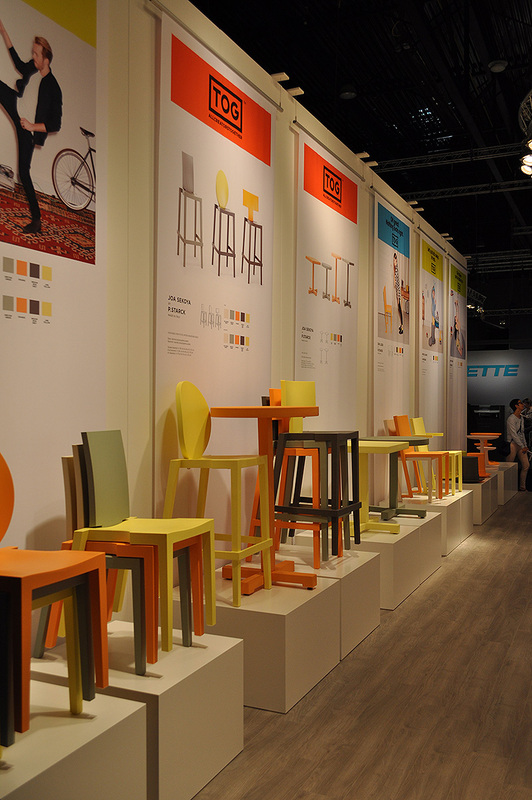 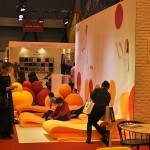 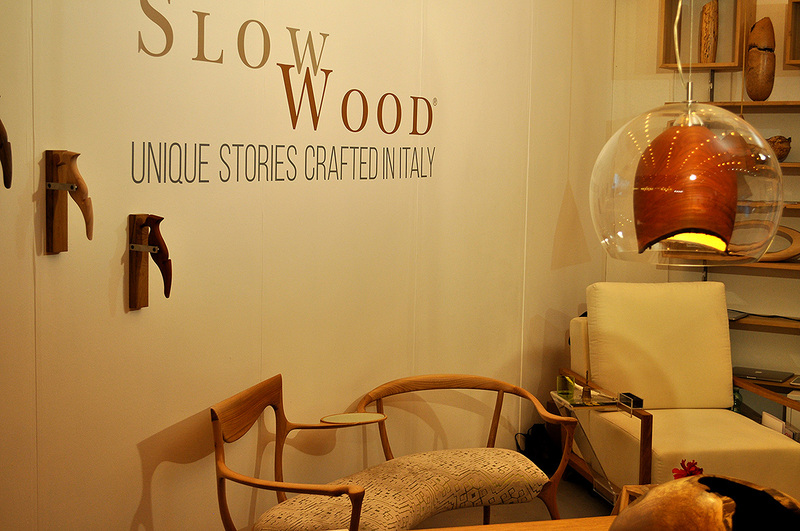 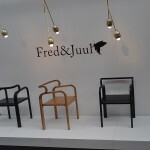 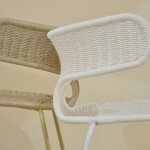 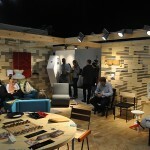 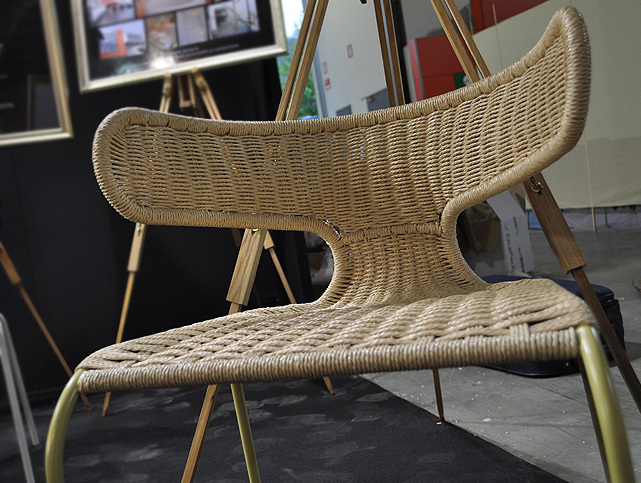 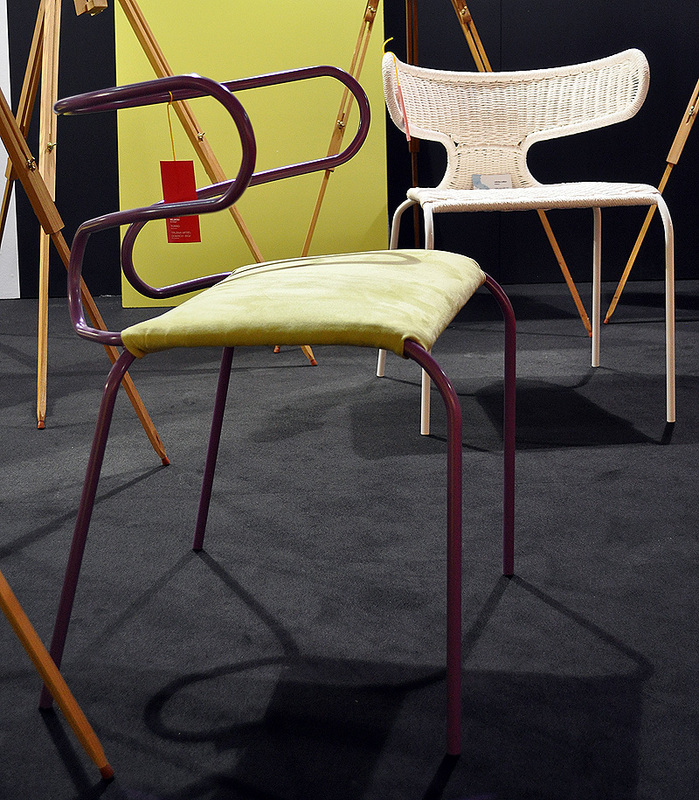 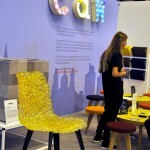 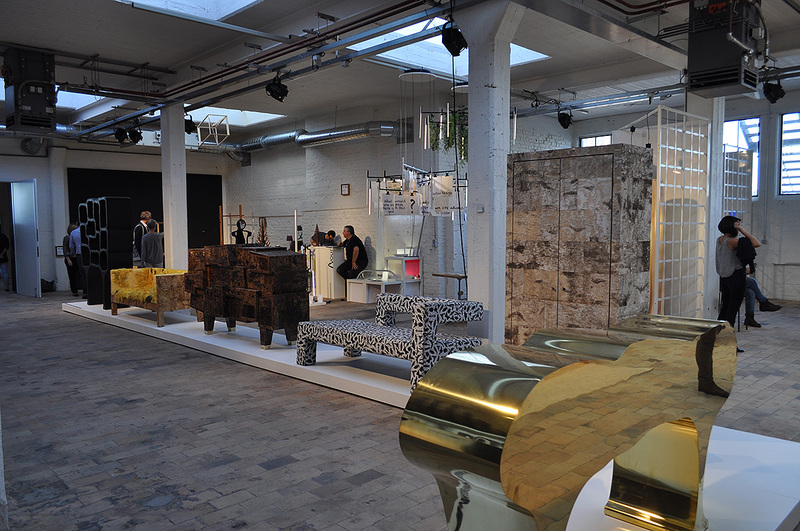 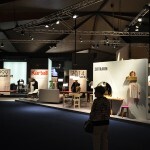 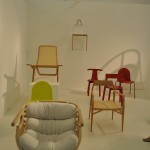 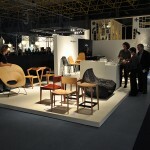 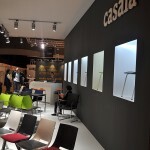 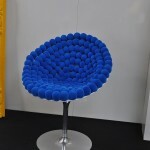 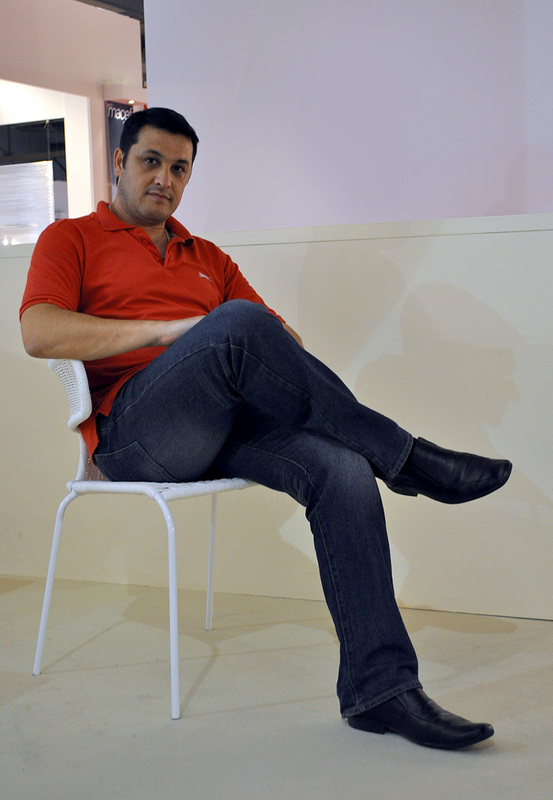 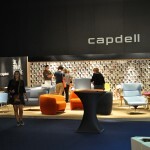 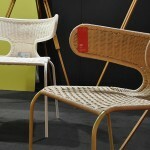 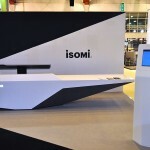 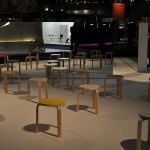 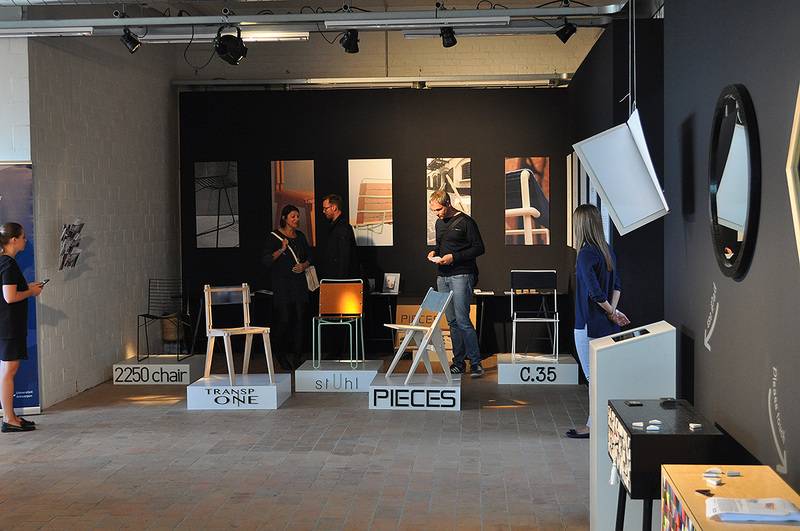 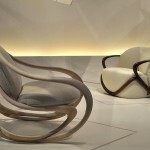 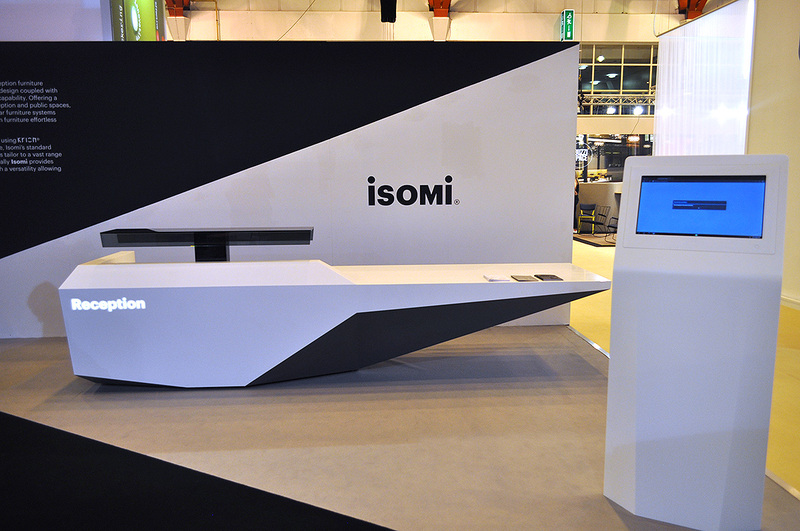 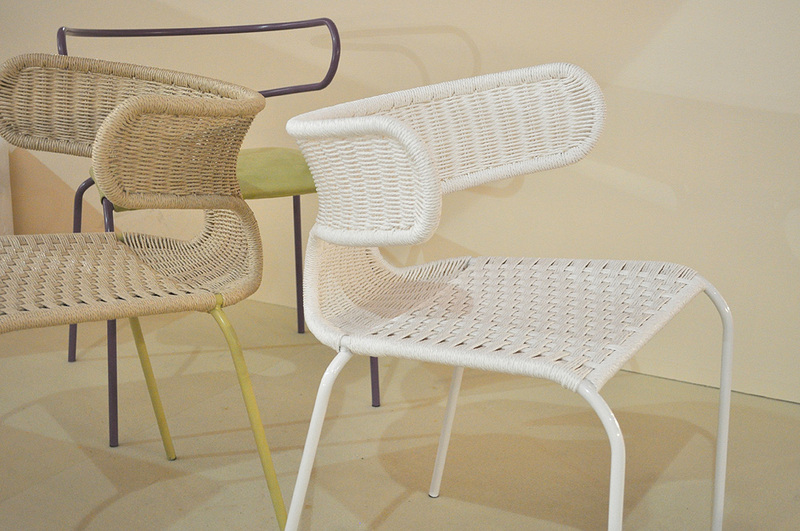 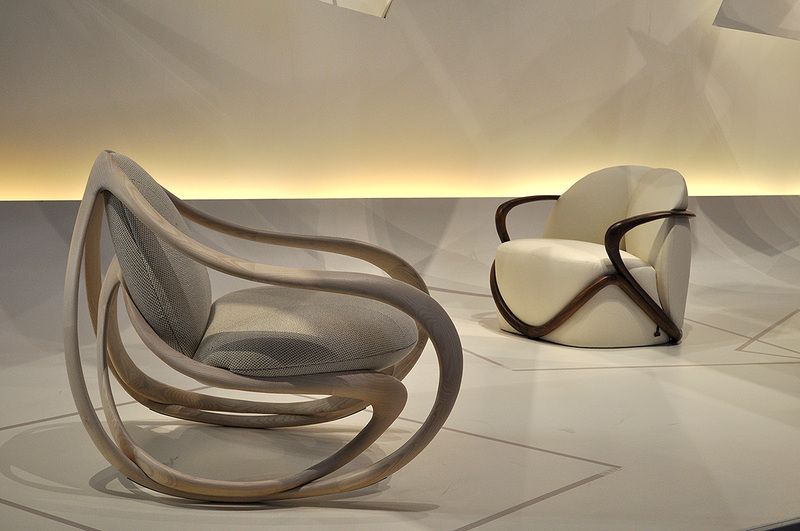 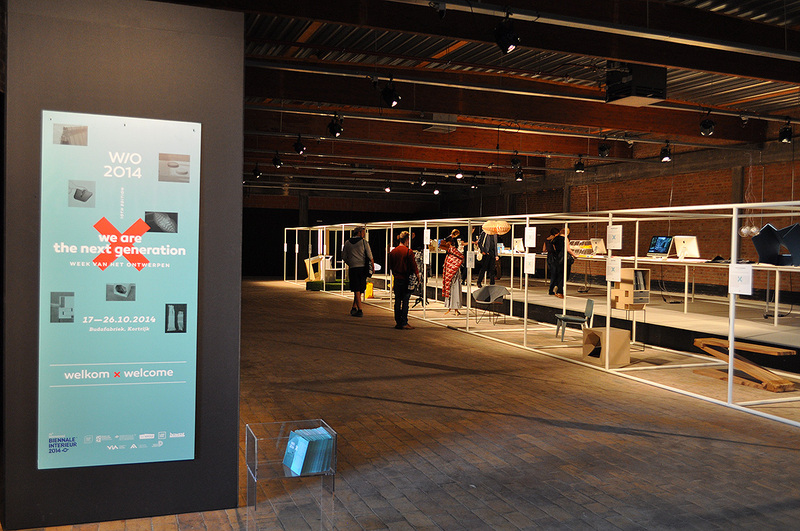 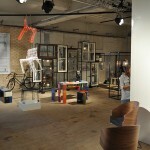 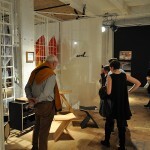 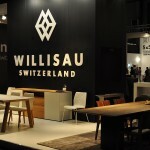 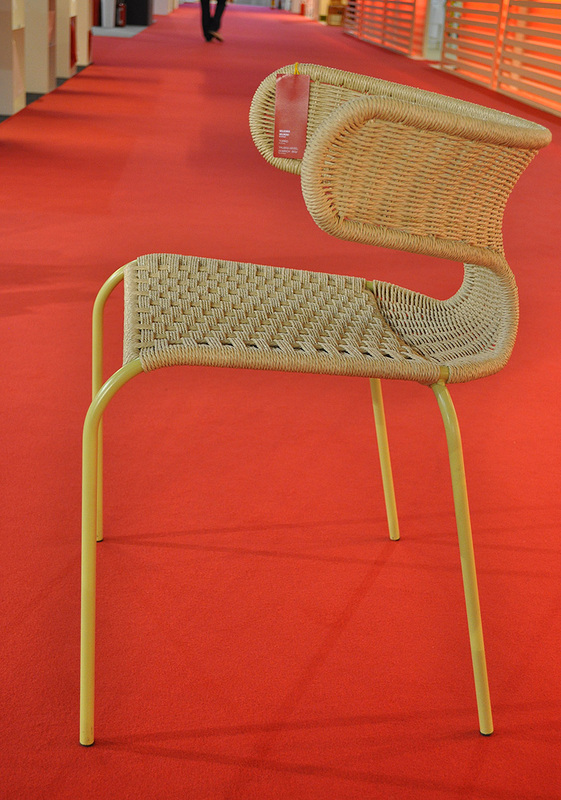 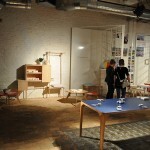 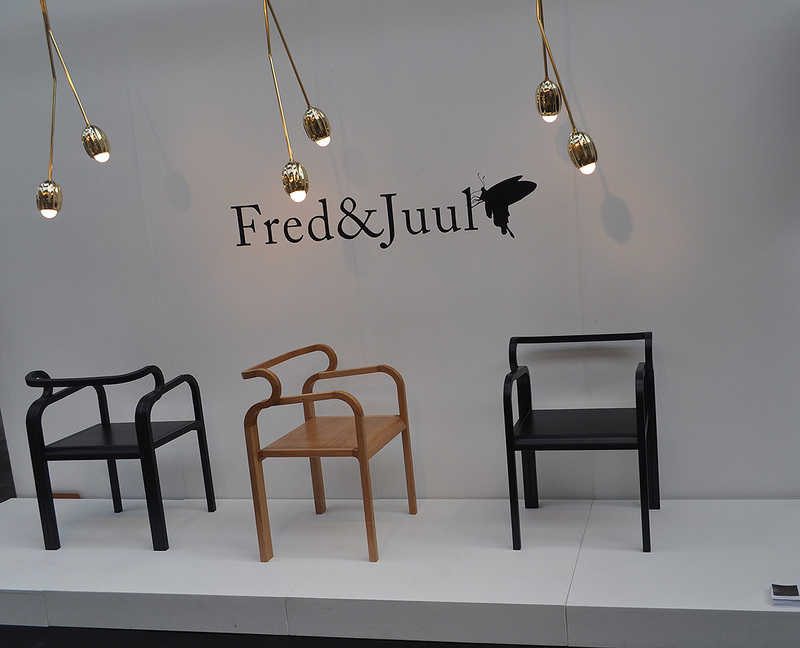 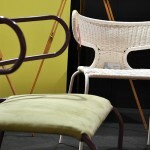 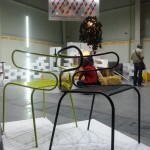 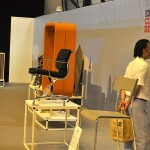 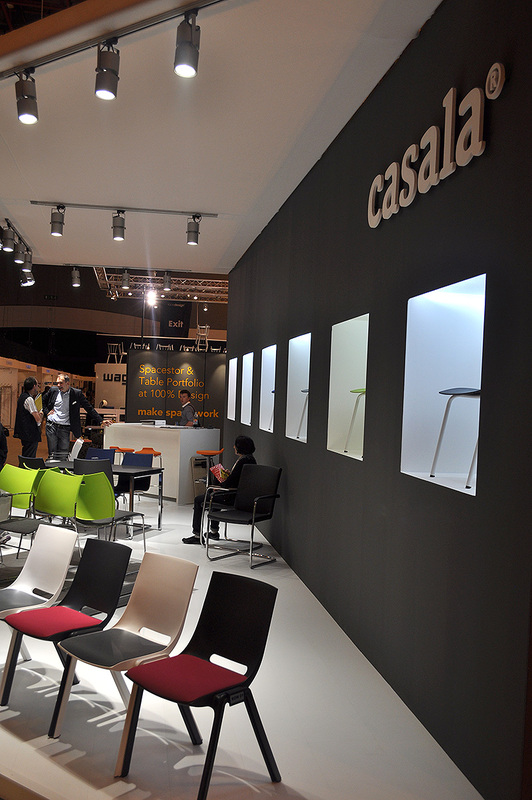 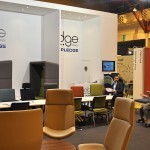 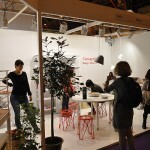 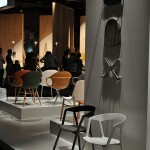 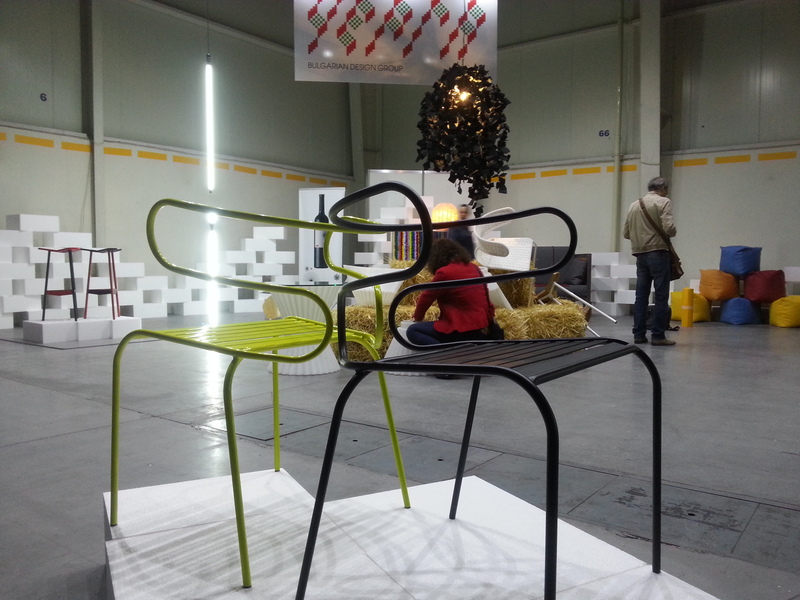 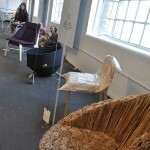 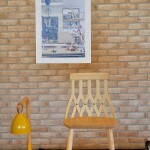 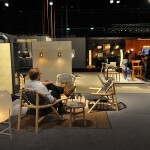 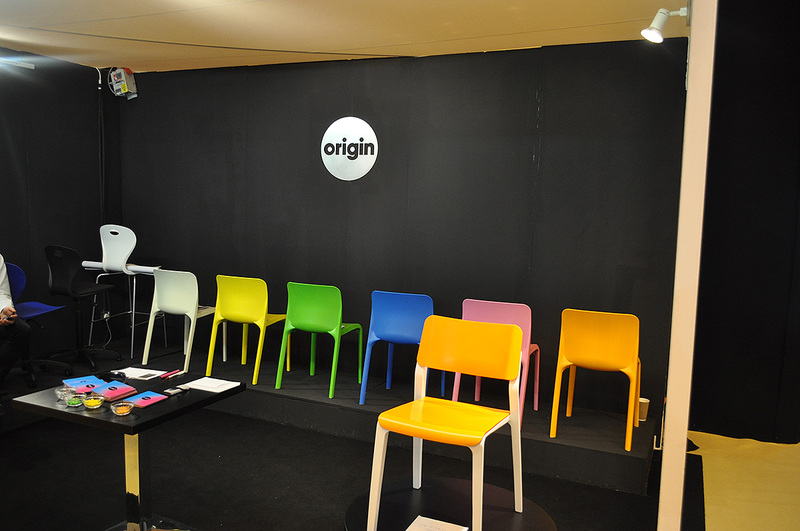 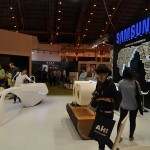 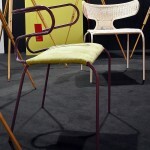 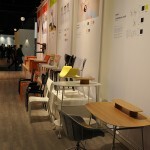 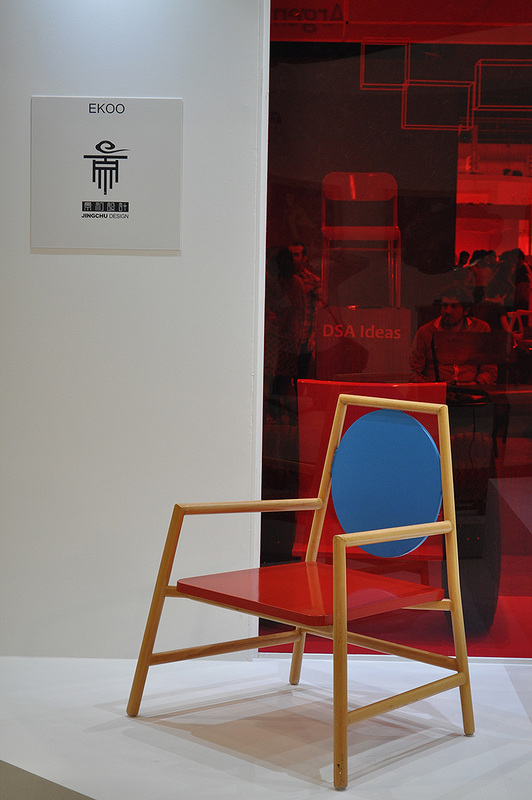 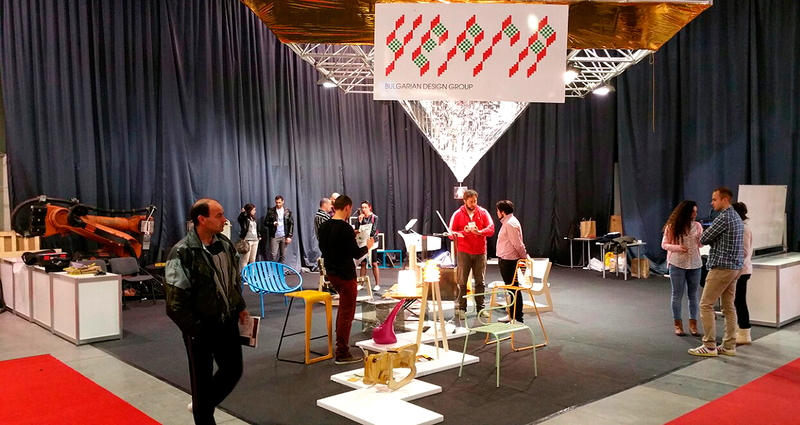 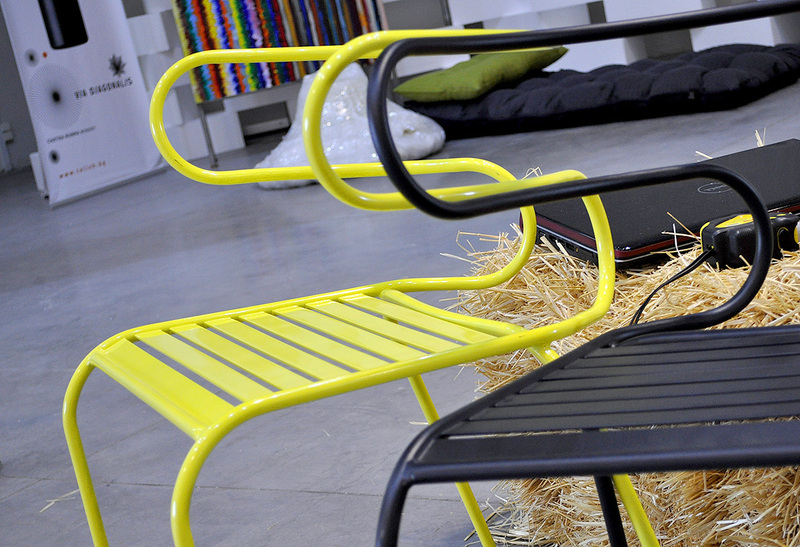 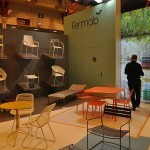 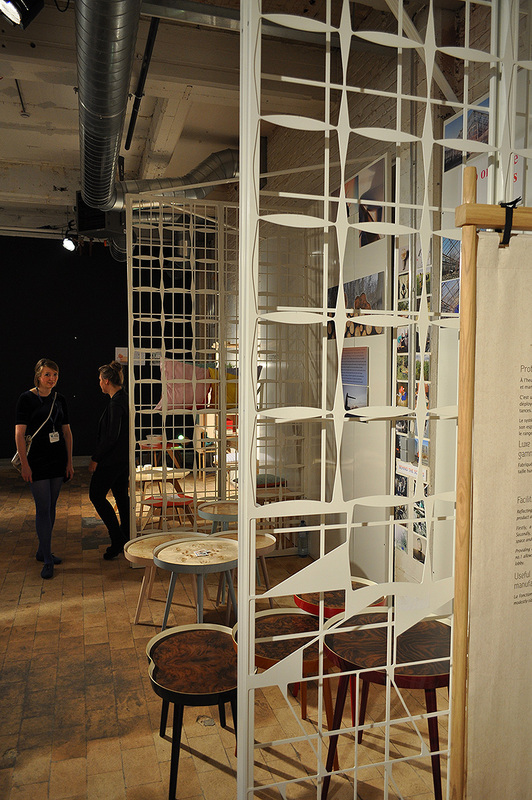 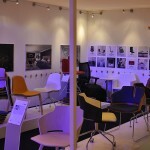 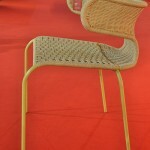 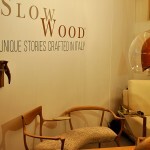 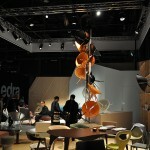 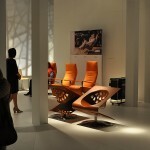 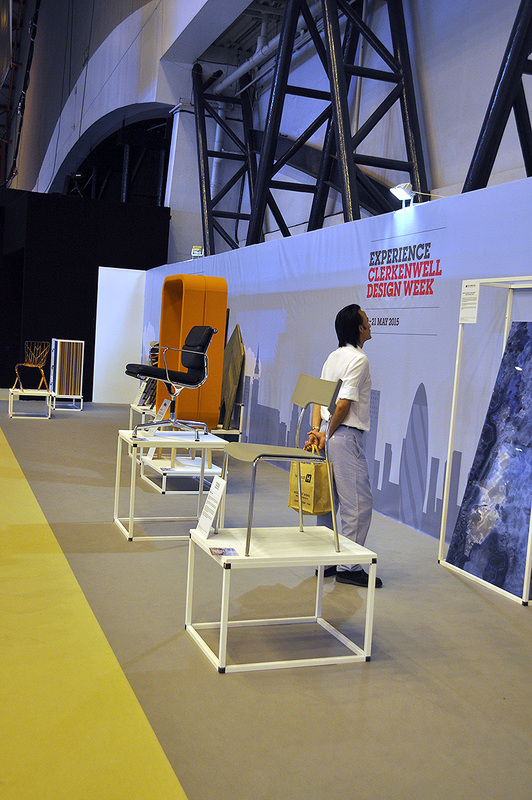 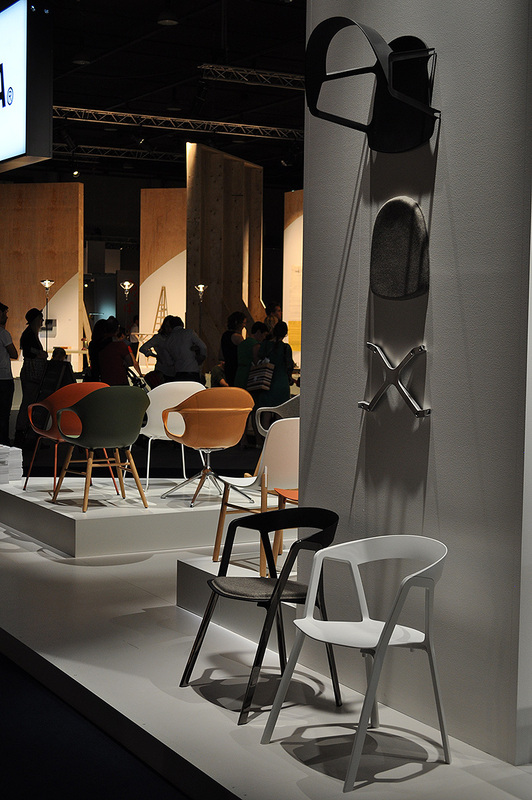 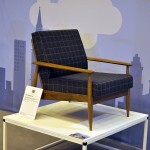 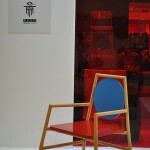 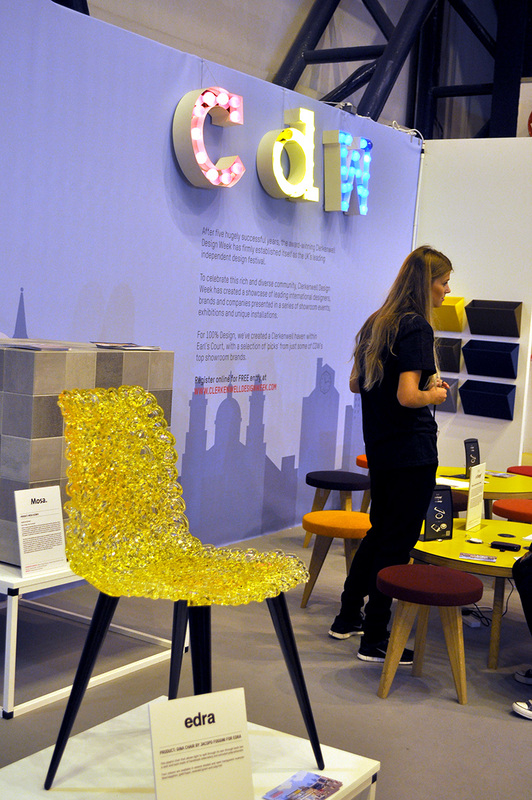 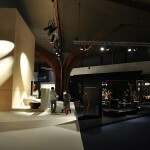 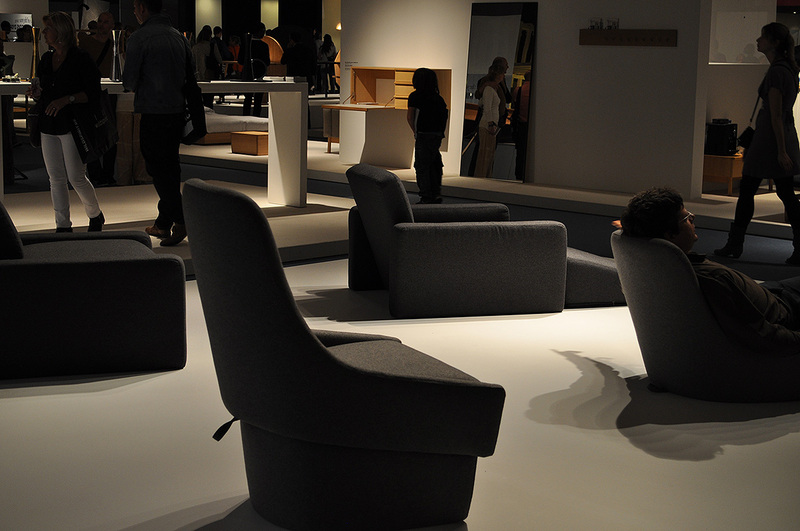 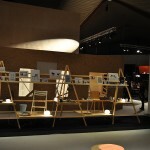 It was realy good show, i presented my last products – Torro chair, Curvy chair and Banana bar and rocking chair.